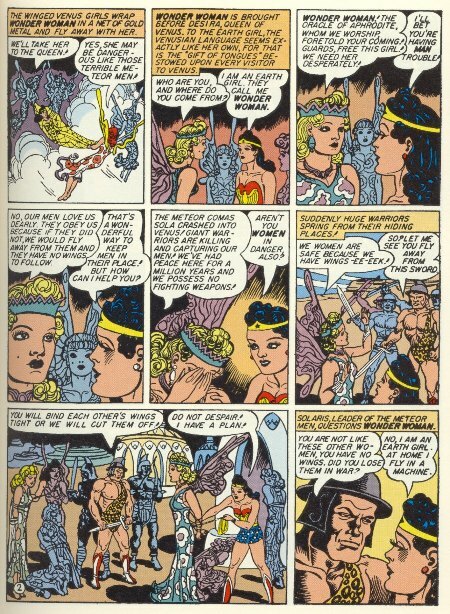 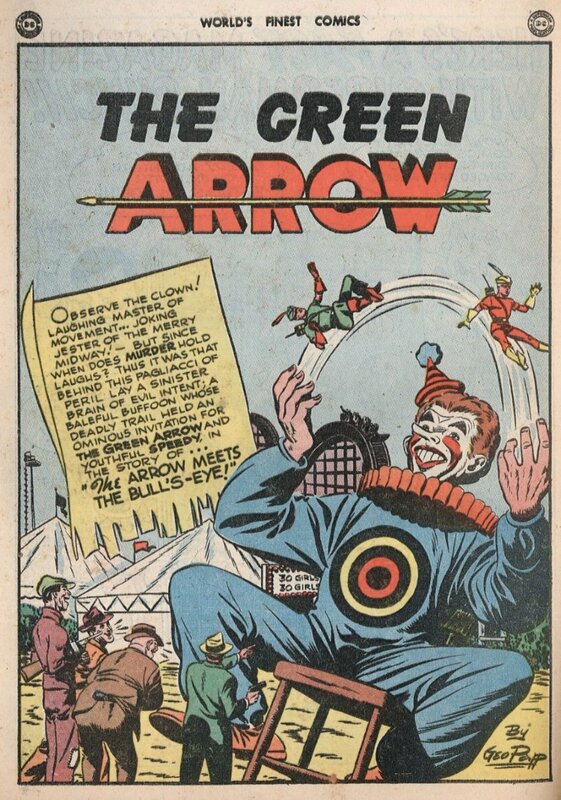 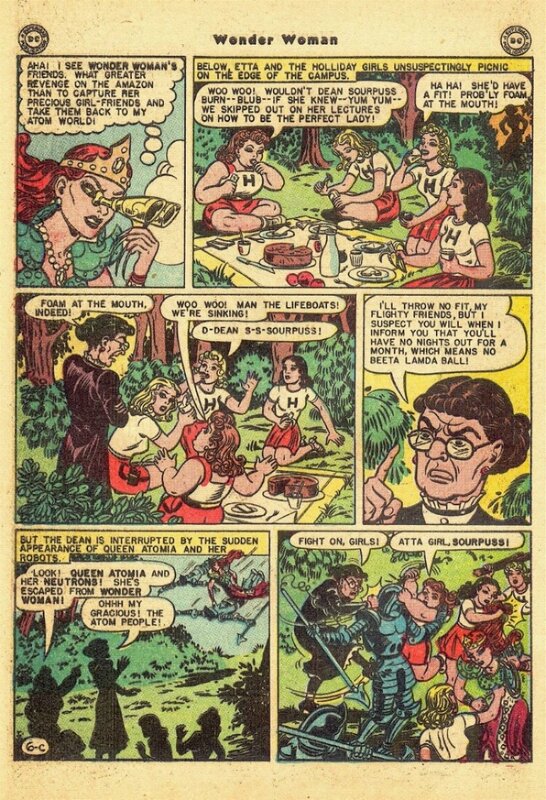 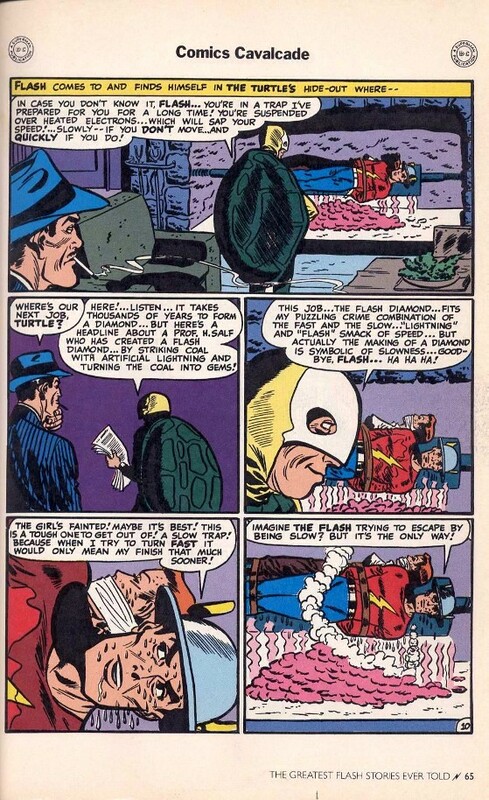 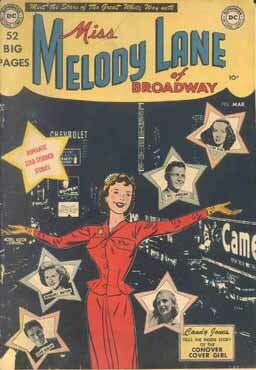 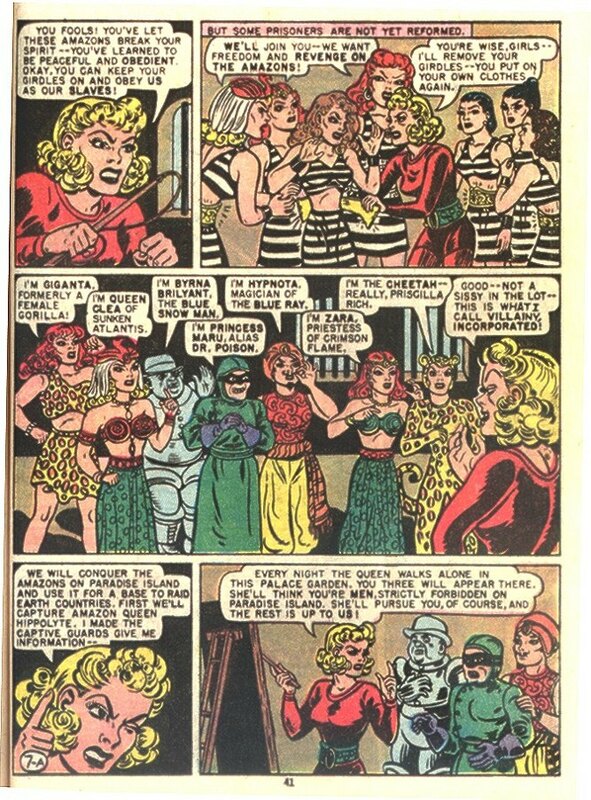 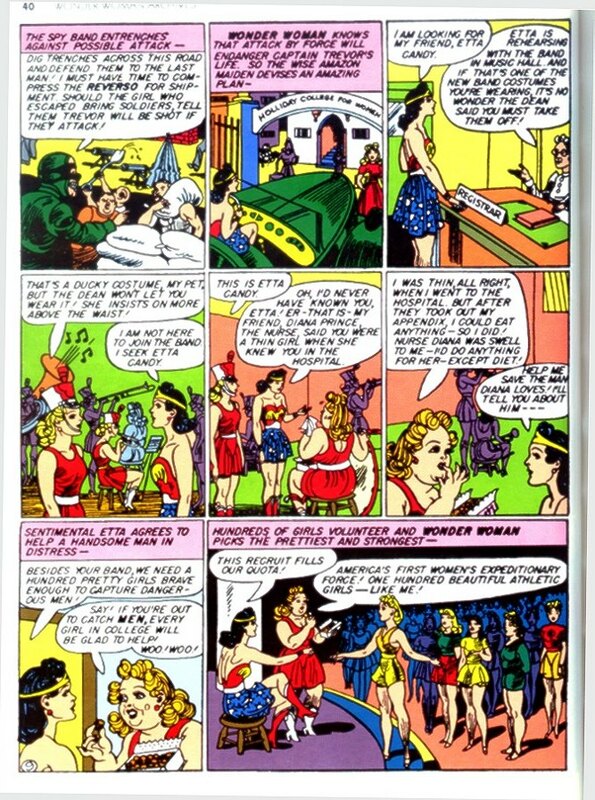 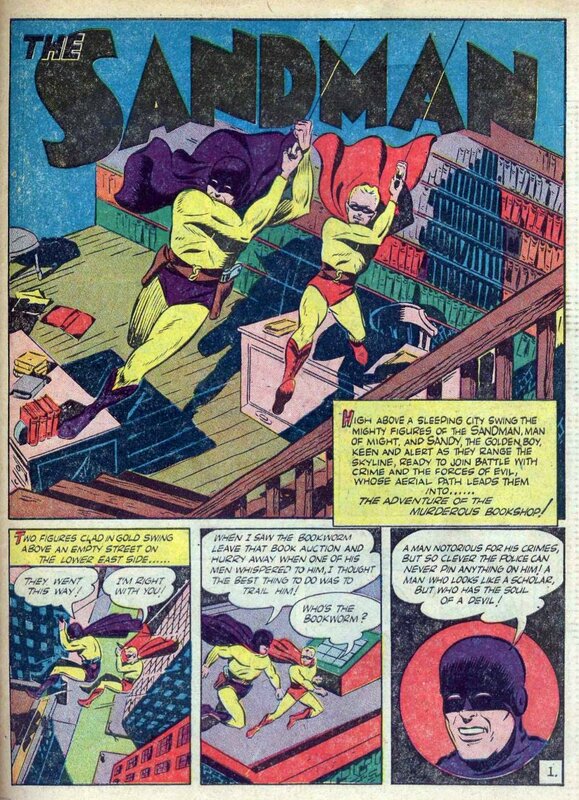 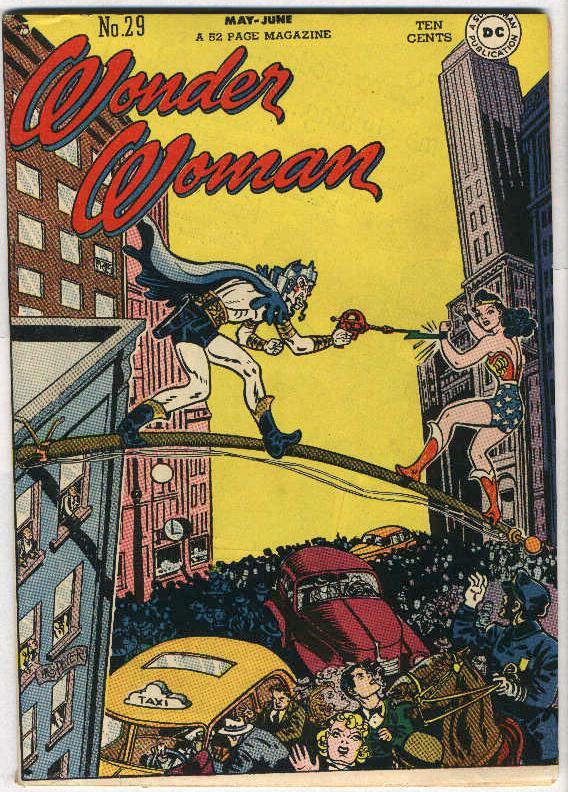 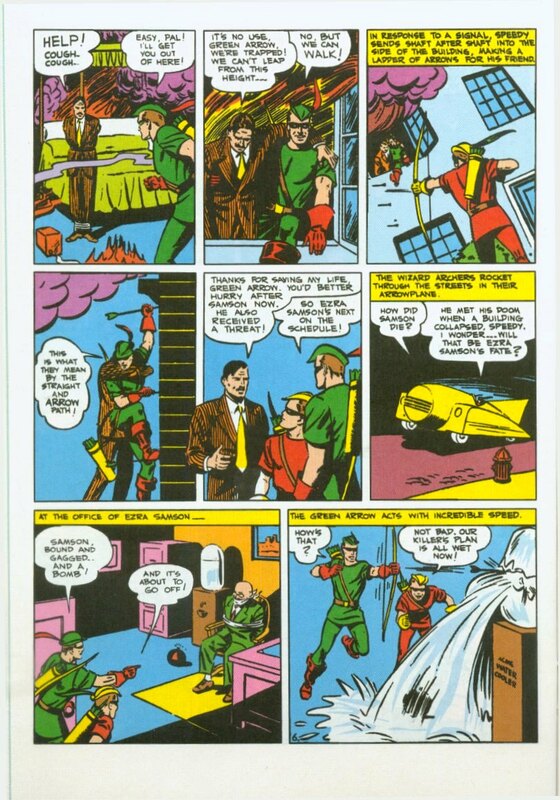 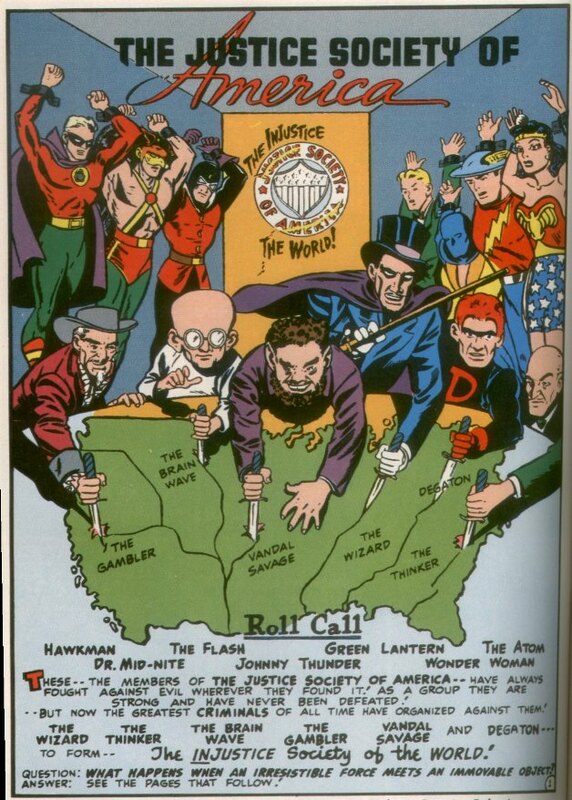 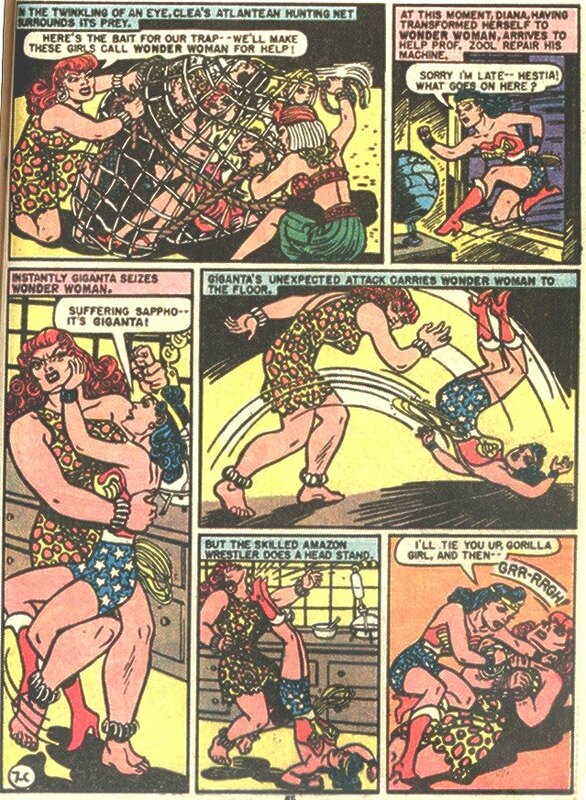 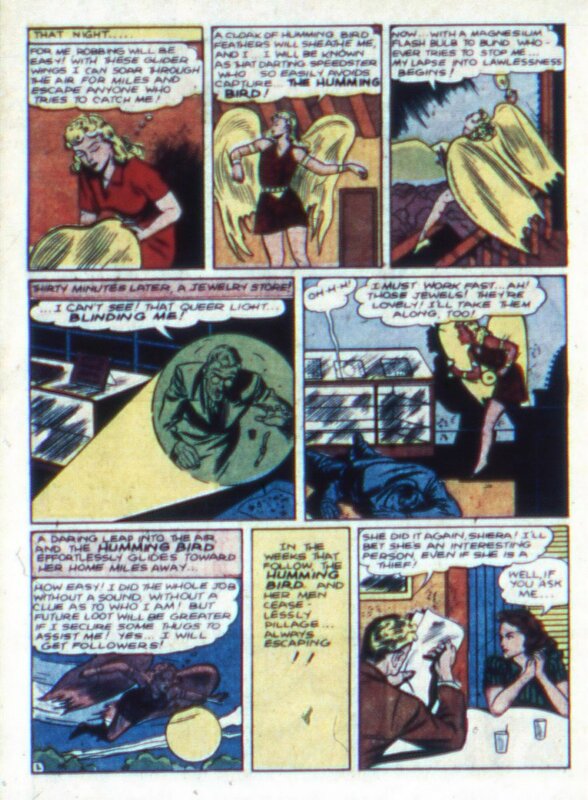 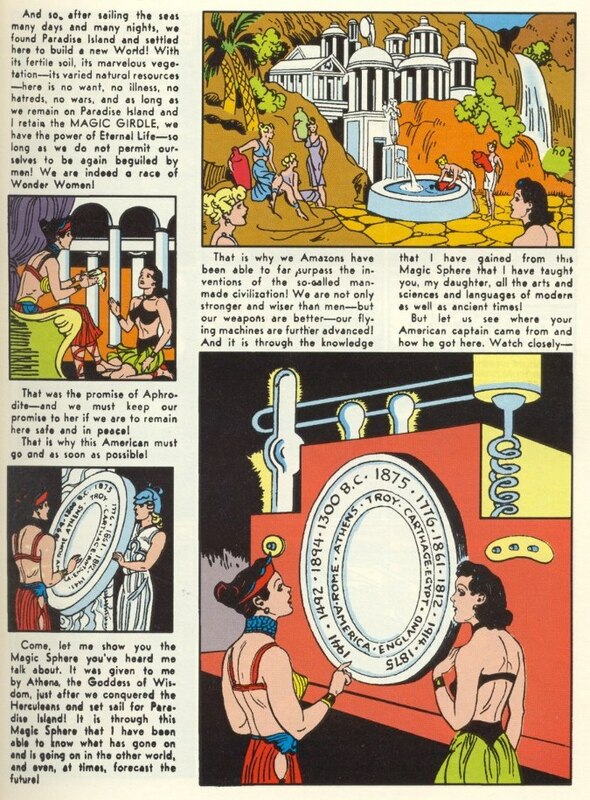 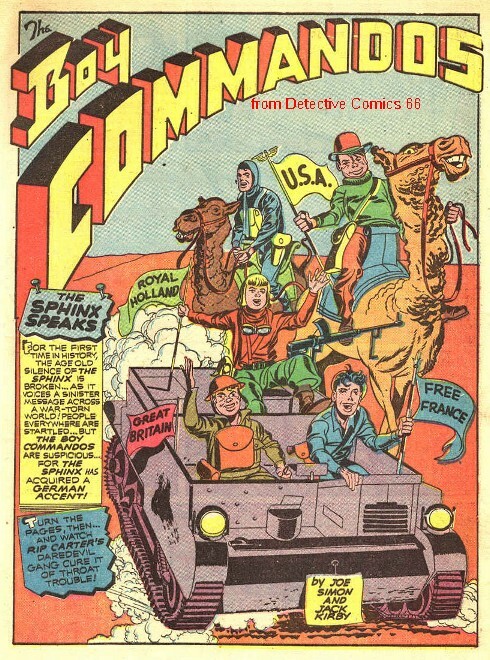 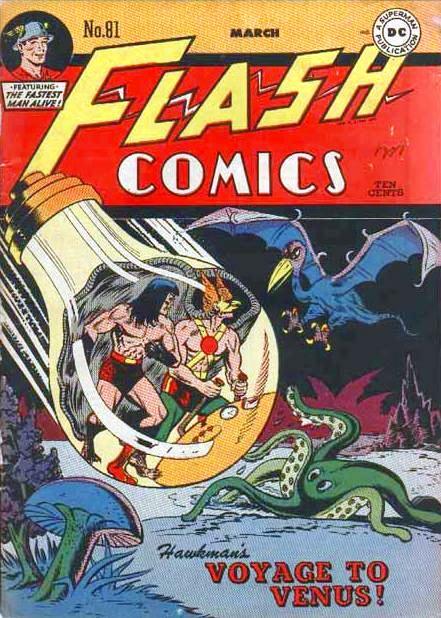 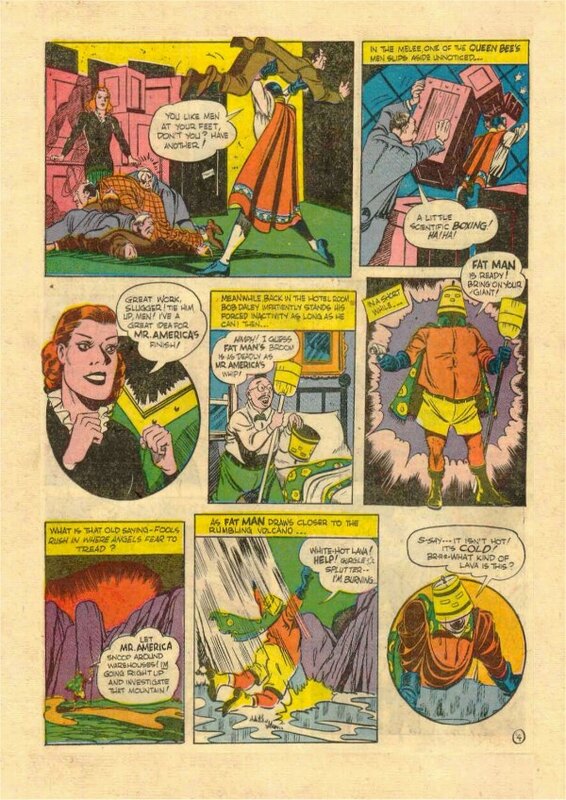 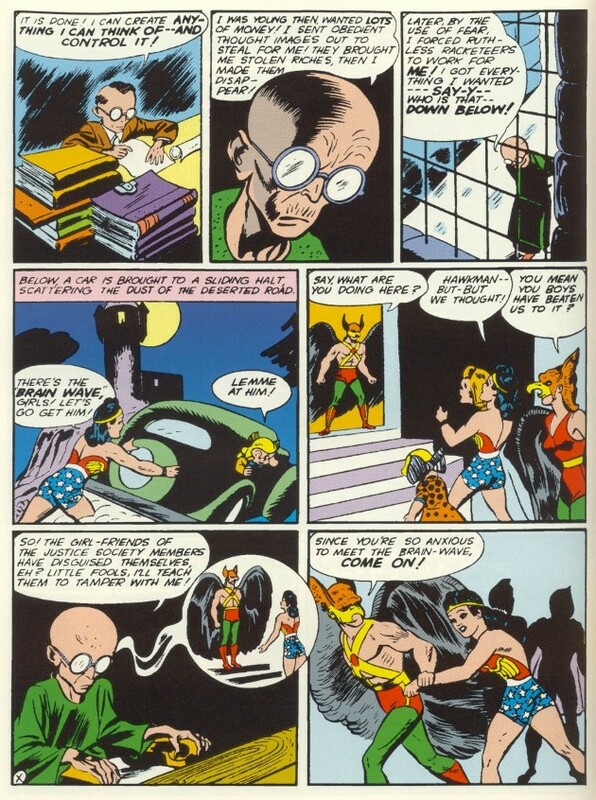 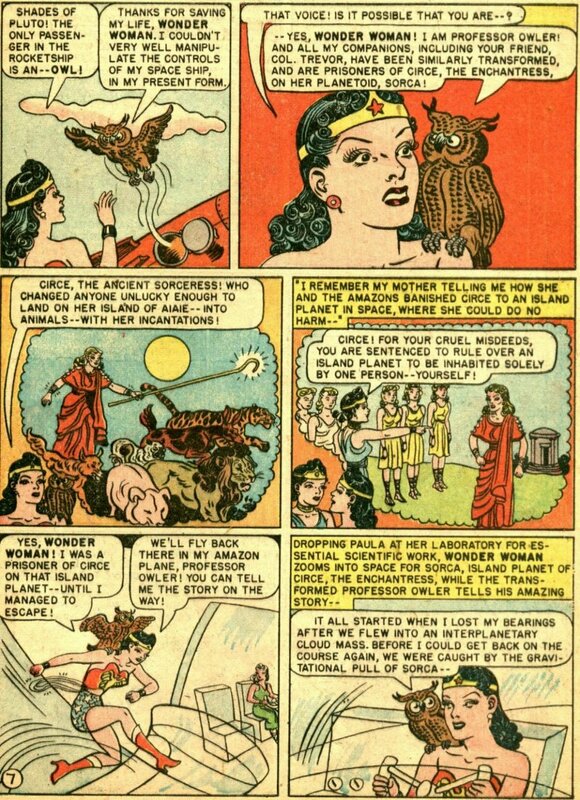 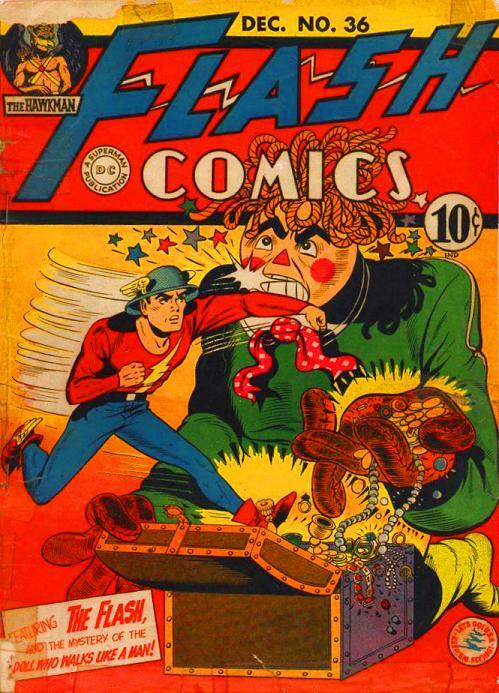 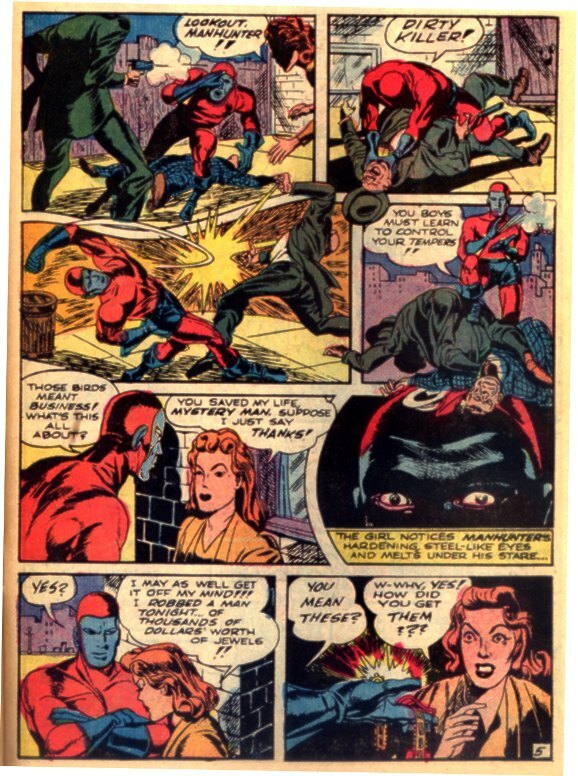 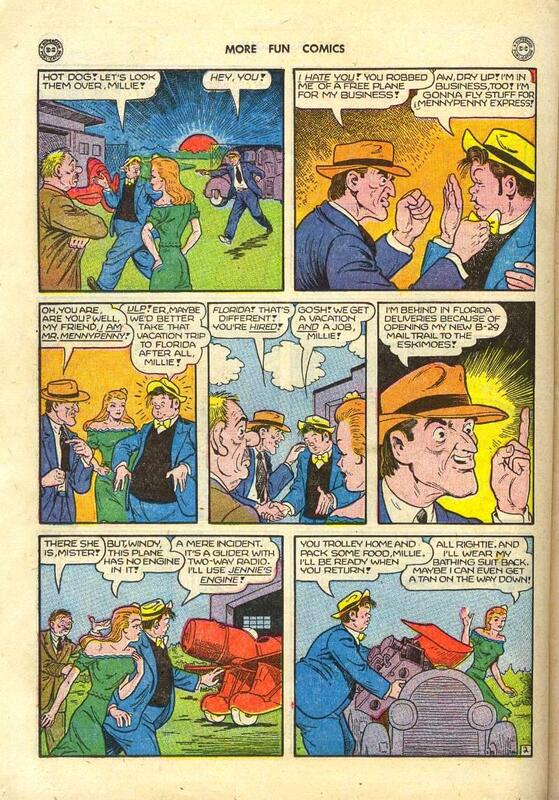 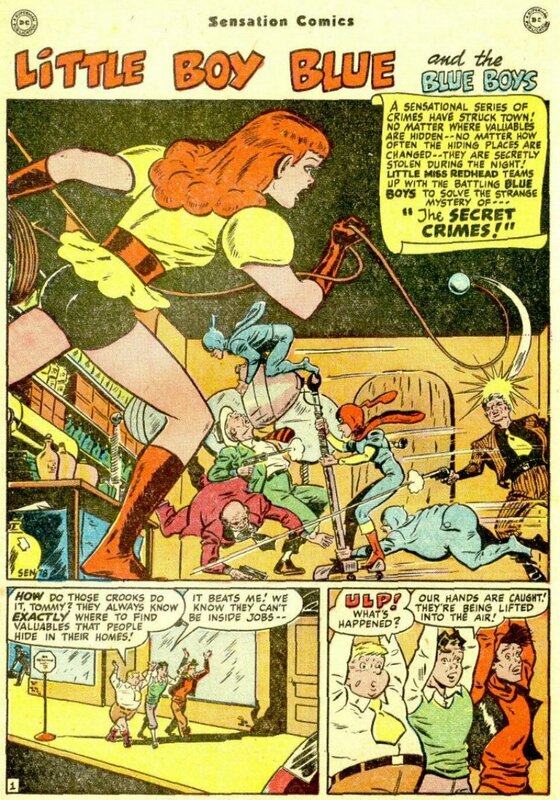 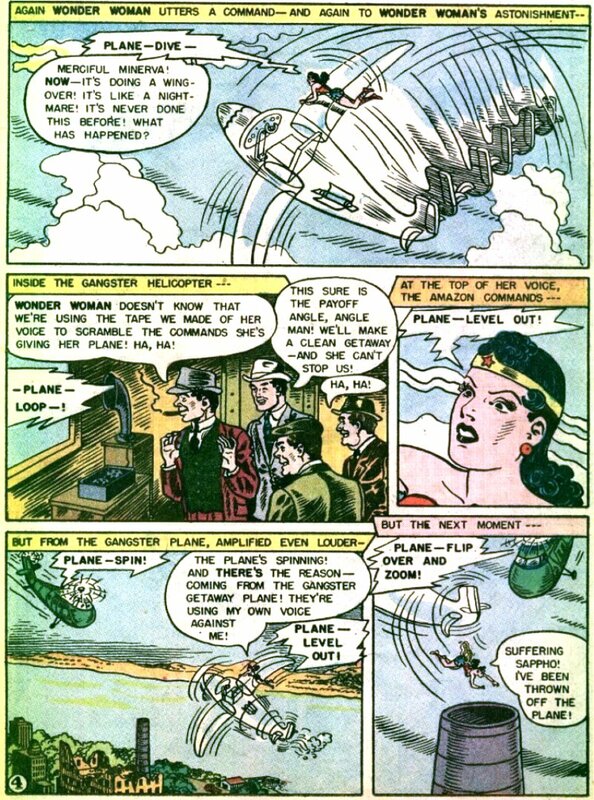 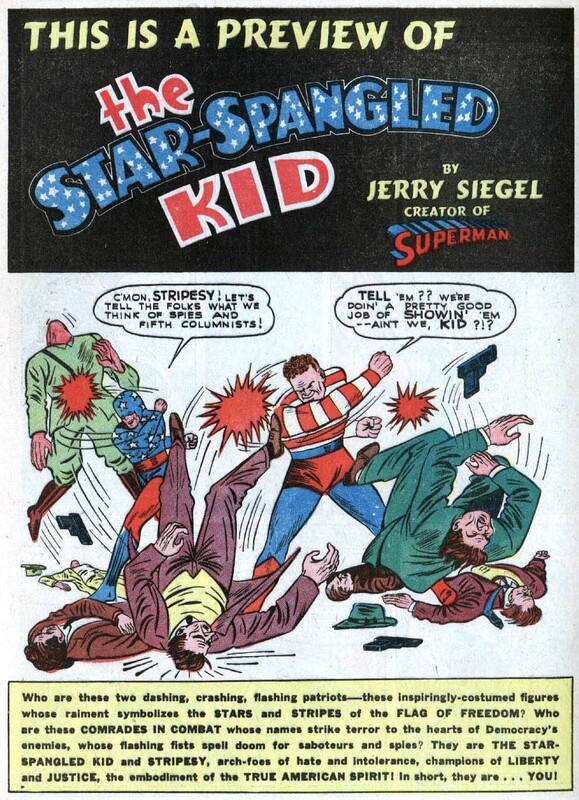 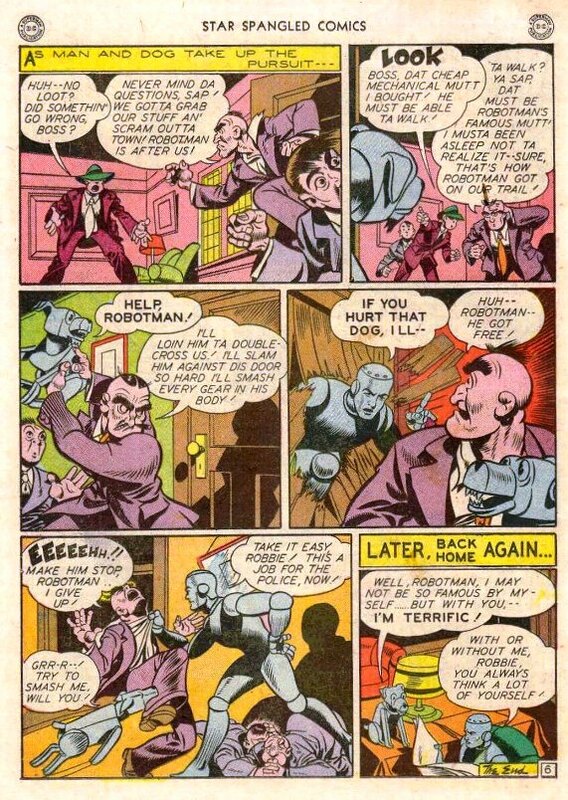 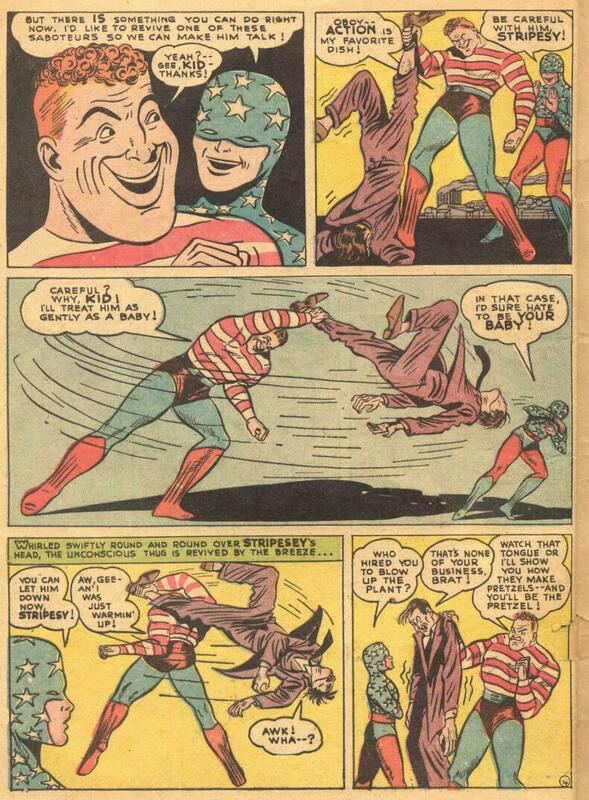 This file includes characters originally published by DC's predecessor companies between 1936 and 1955, which includes the Golden Age (1938-47 and most of the Atomic Age (1948-57). 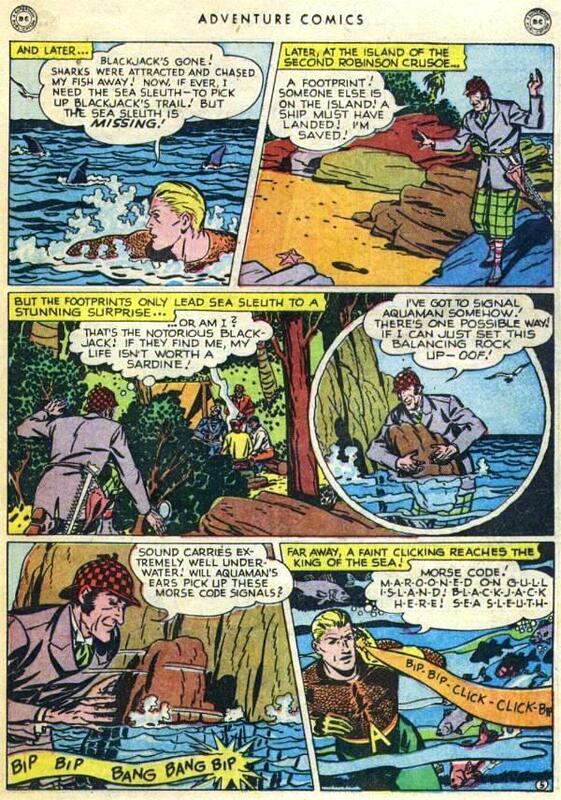 As can be expected, with stories this old, the accuracy of the data presented becomes more suspect. 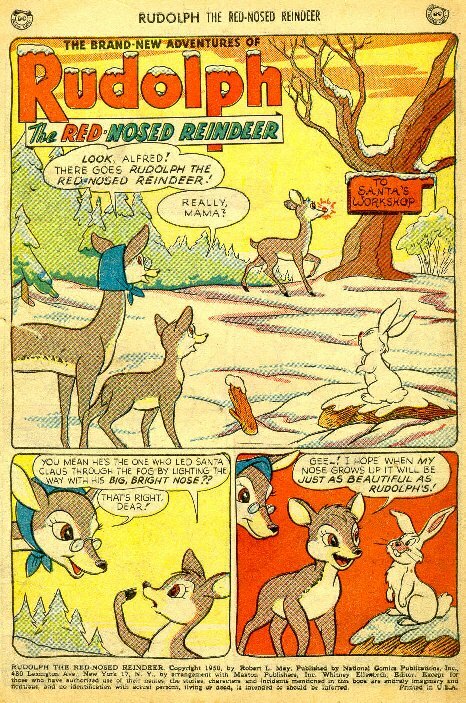 The funny animal data should be taken with a particularly large grain of salt. 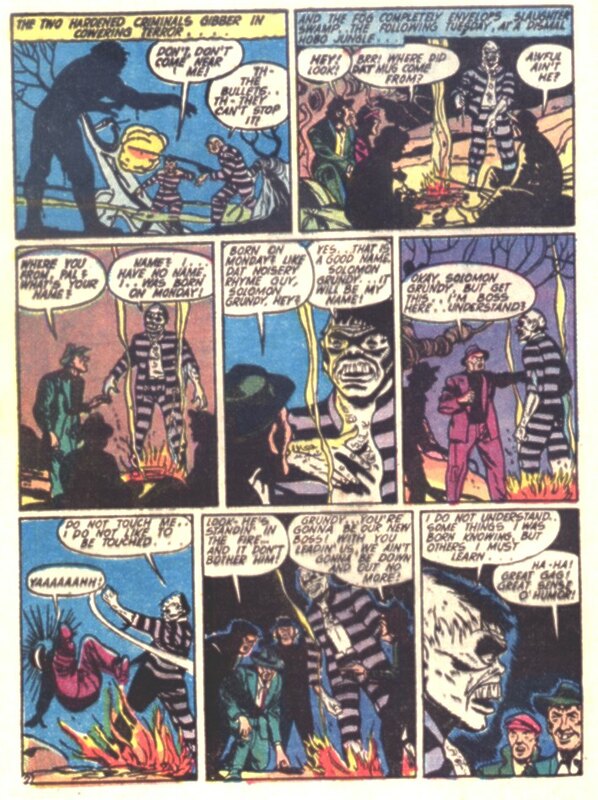 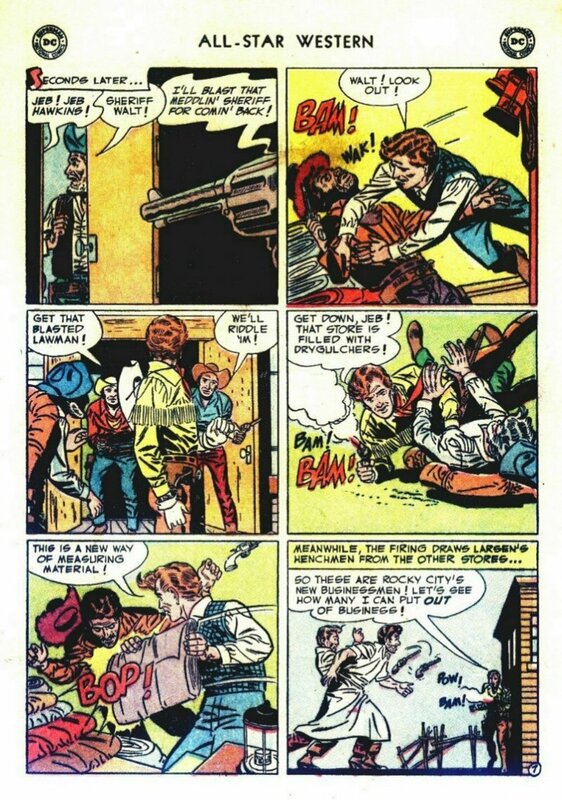 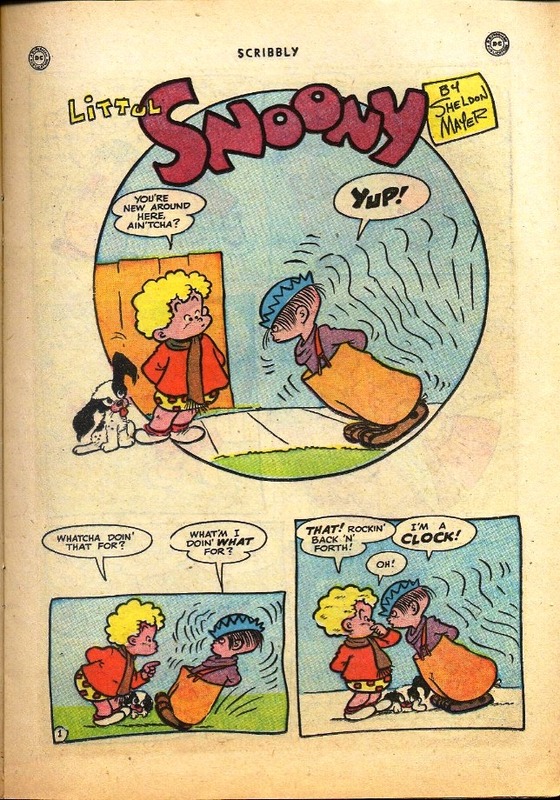 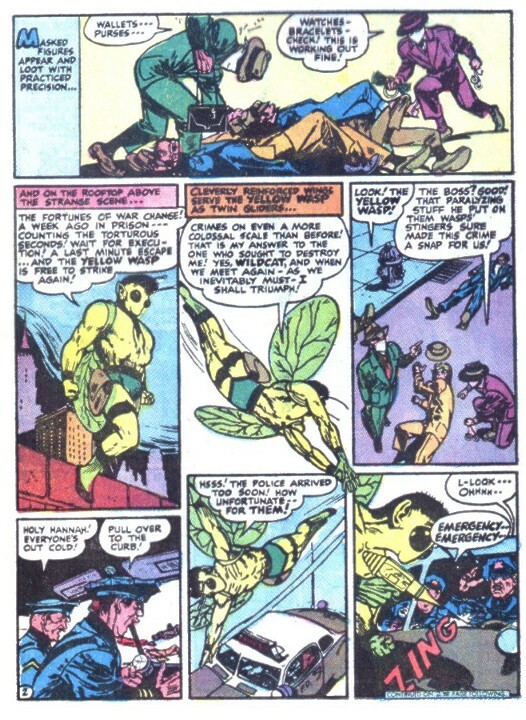 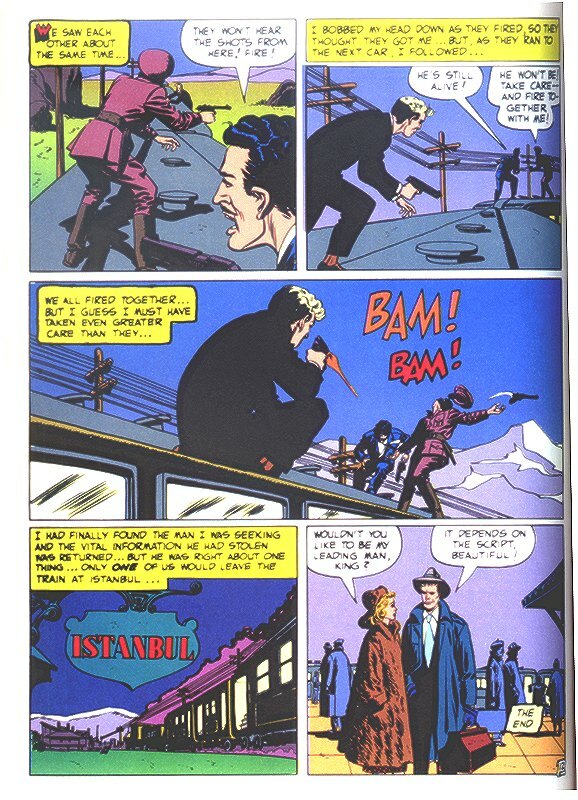 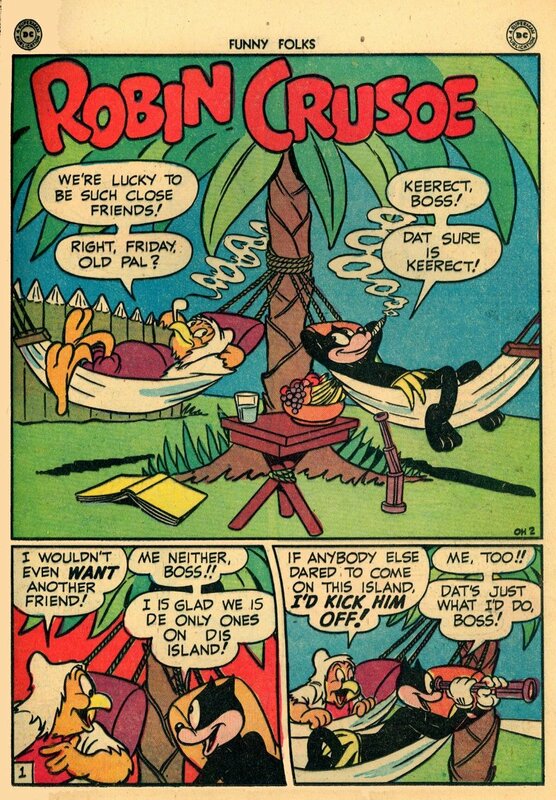 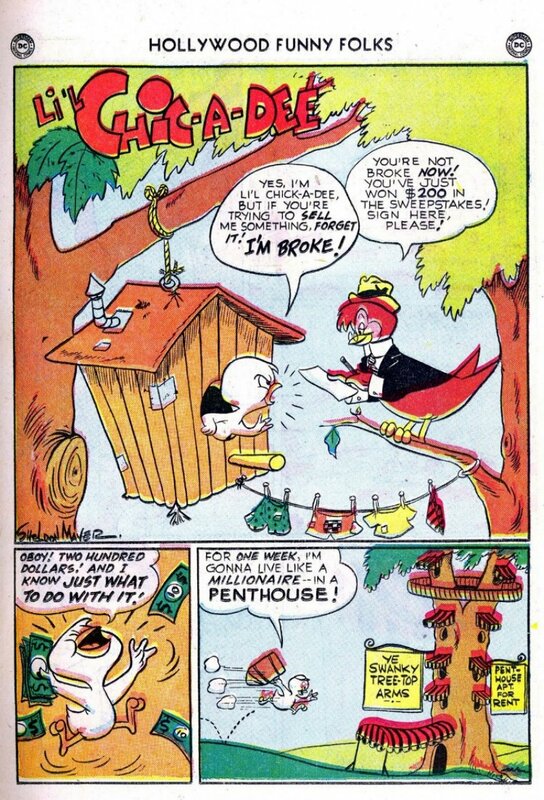 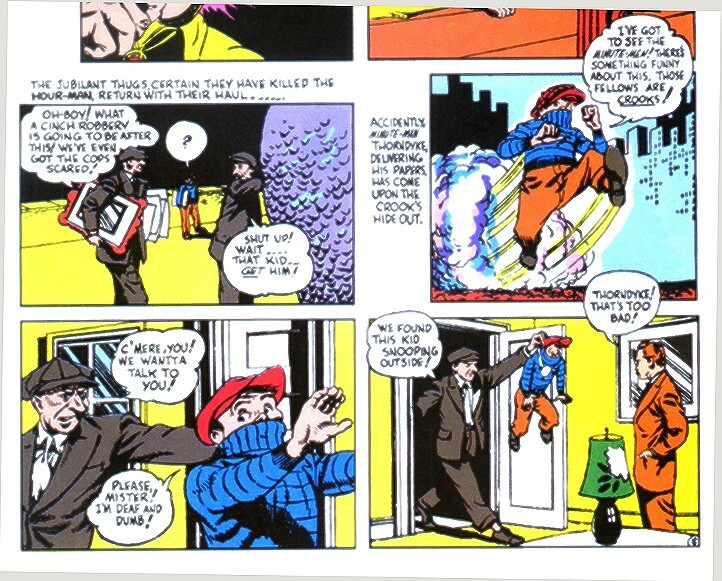 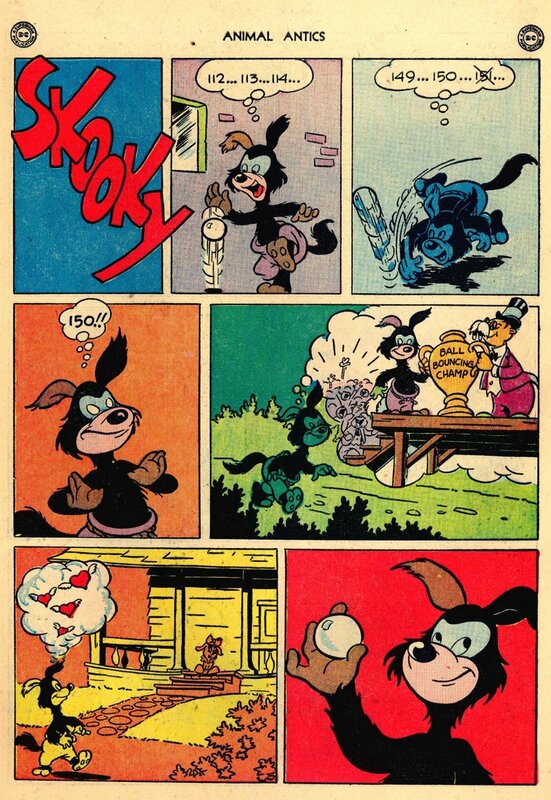 I have tried to include images from the characters' first appearances. 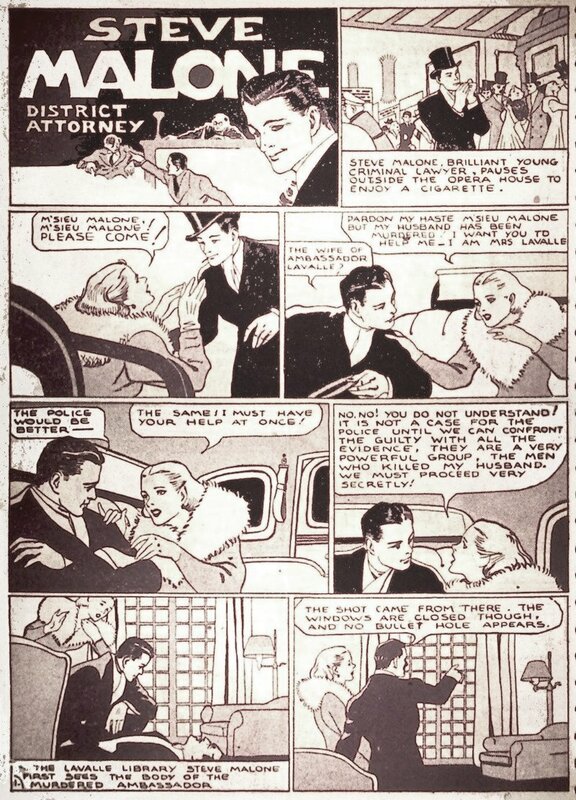 If that was not possible I tried to get the original artists. 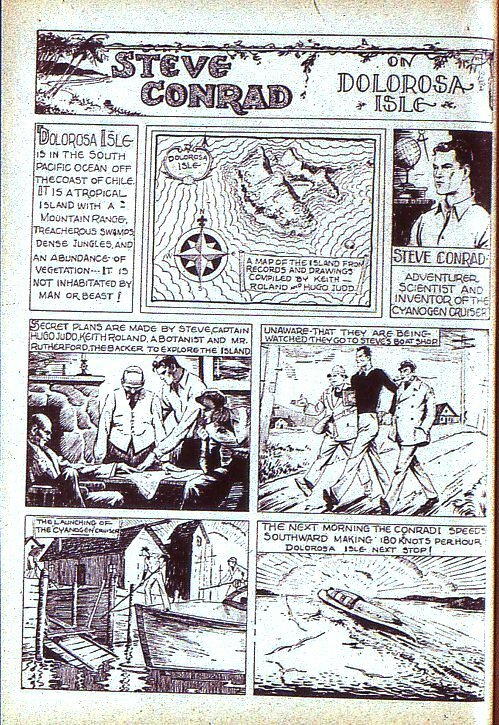 If not, the artist is indicated on the image. 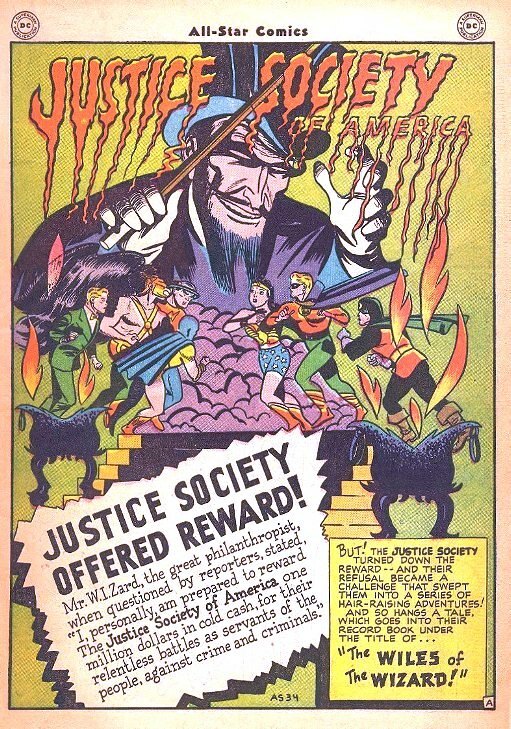 Click on the JSA members' pictures for links to full page artwork. 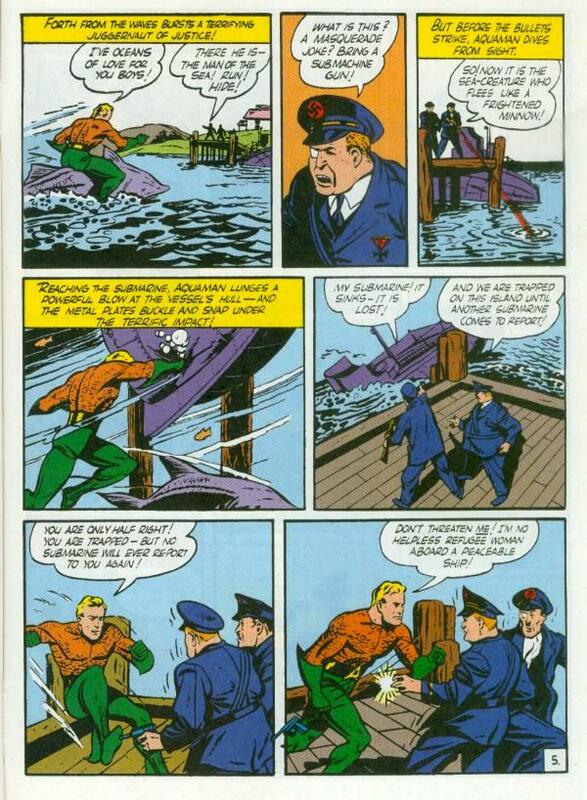 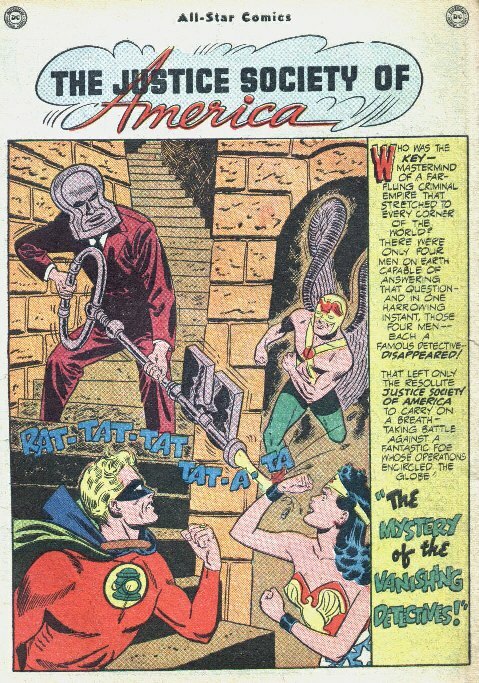 The first story gives no other name for Aquaman. 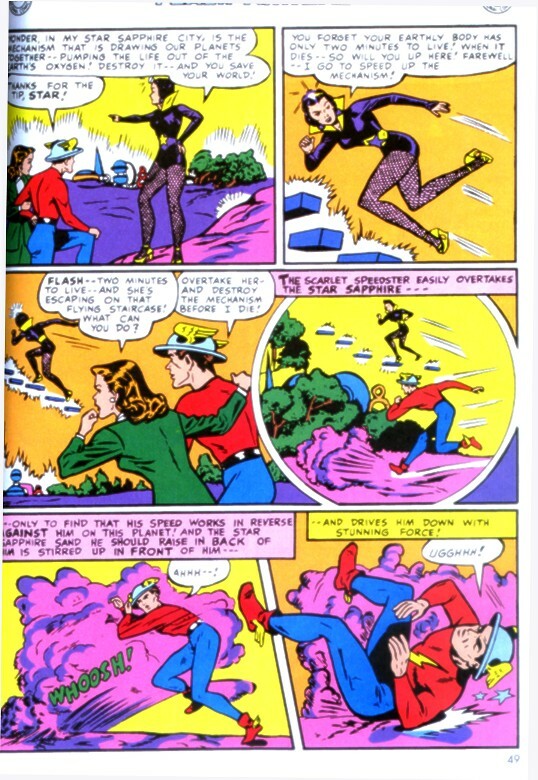 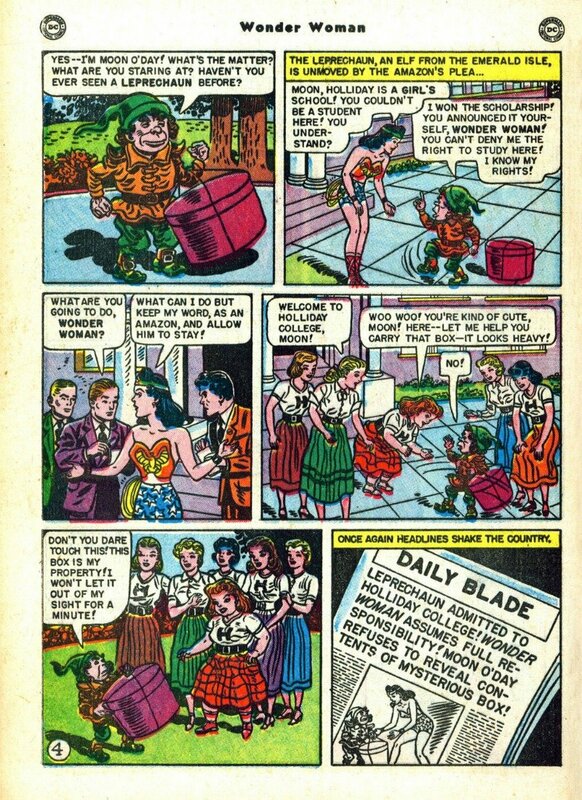 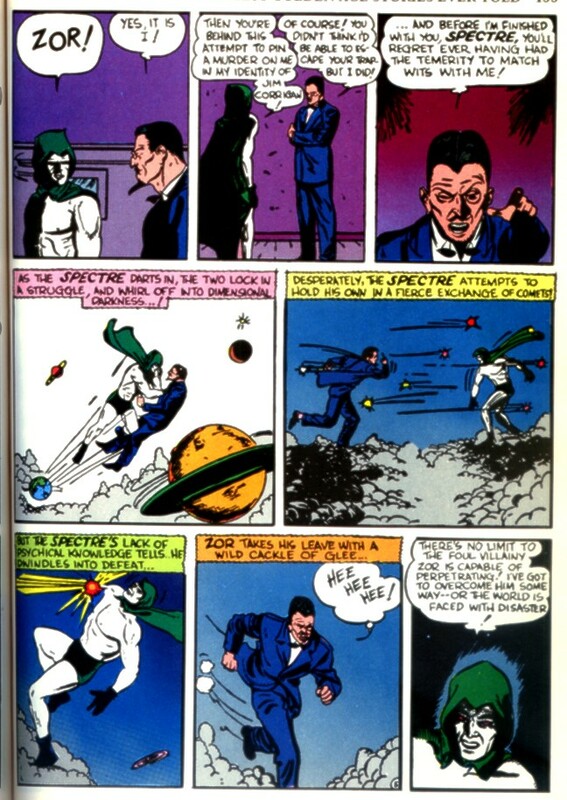 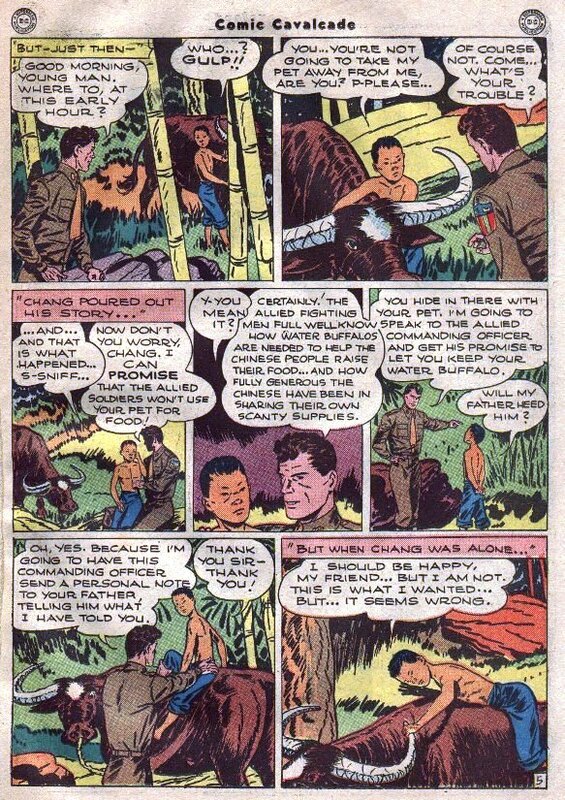 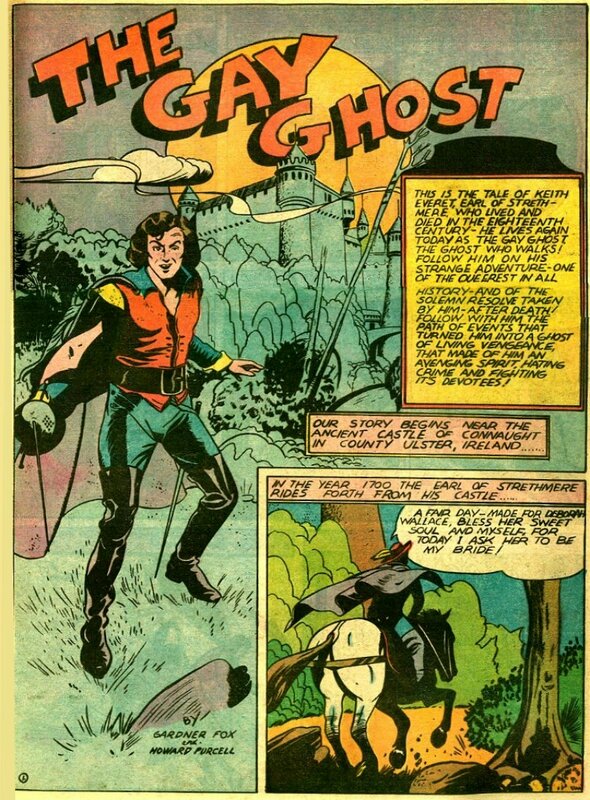 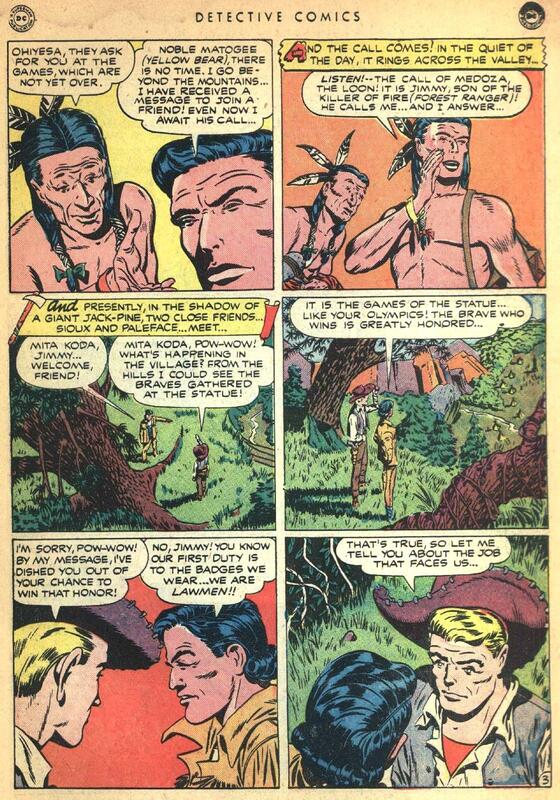 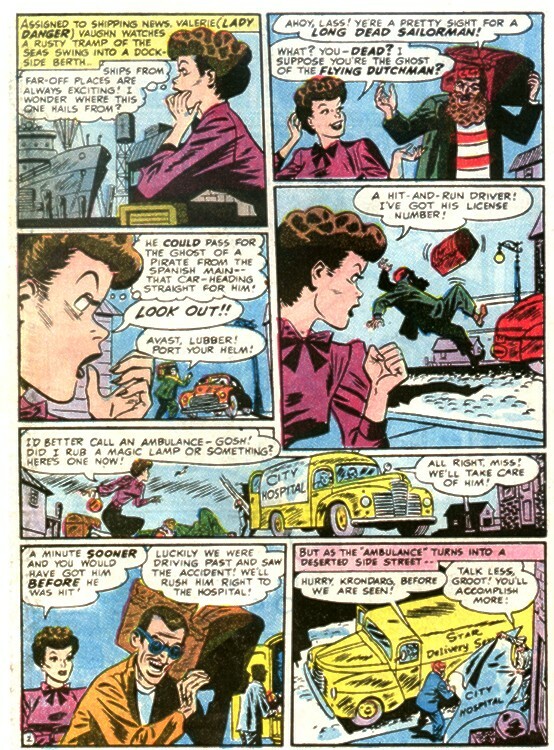 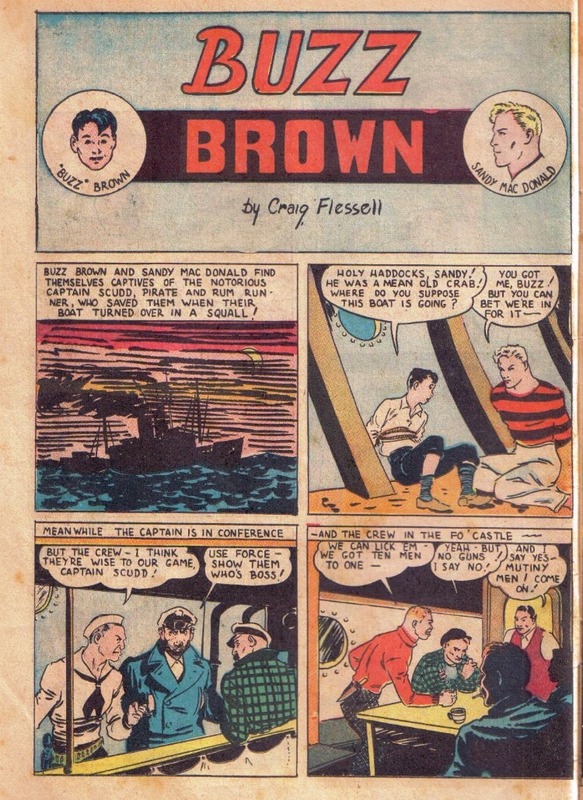 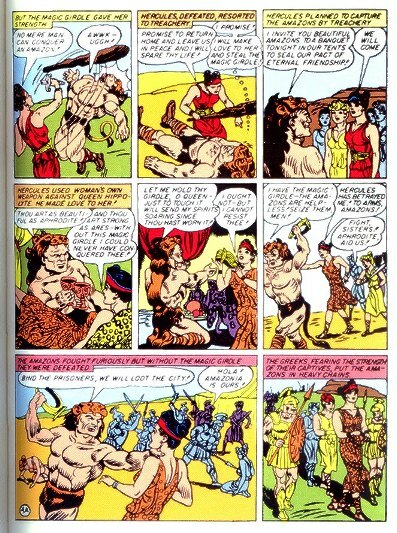 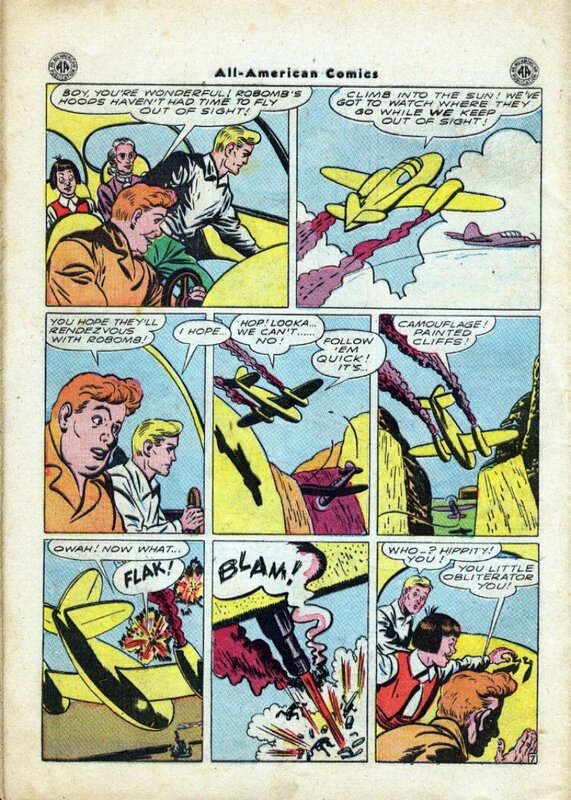 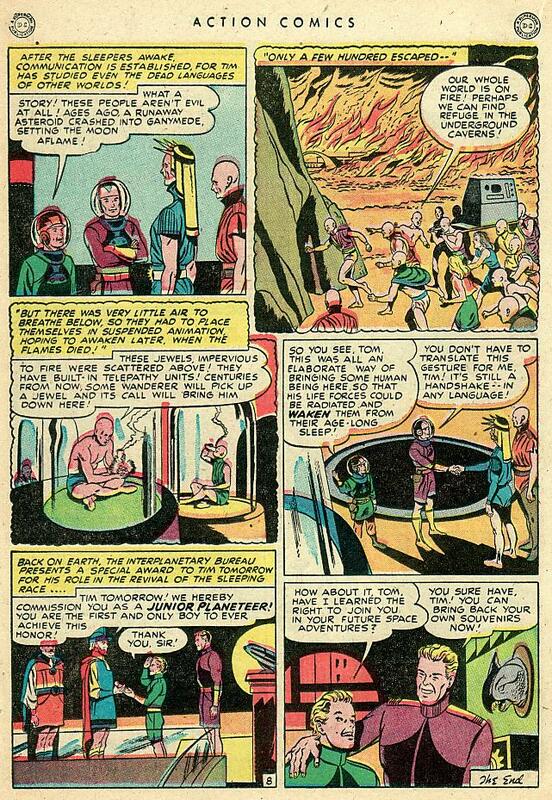 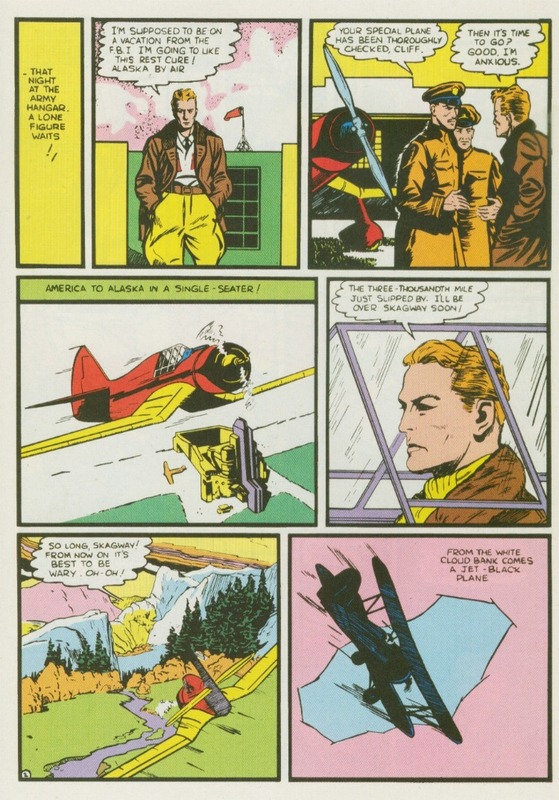 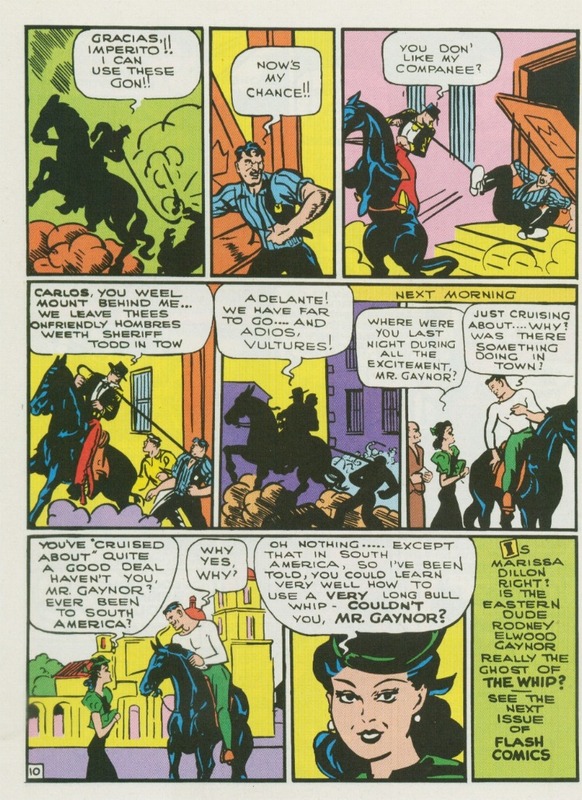 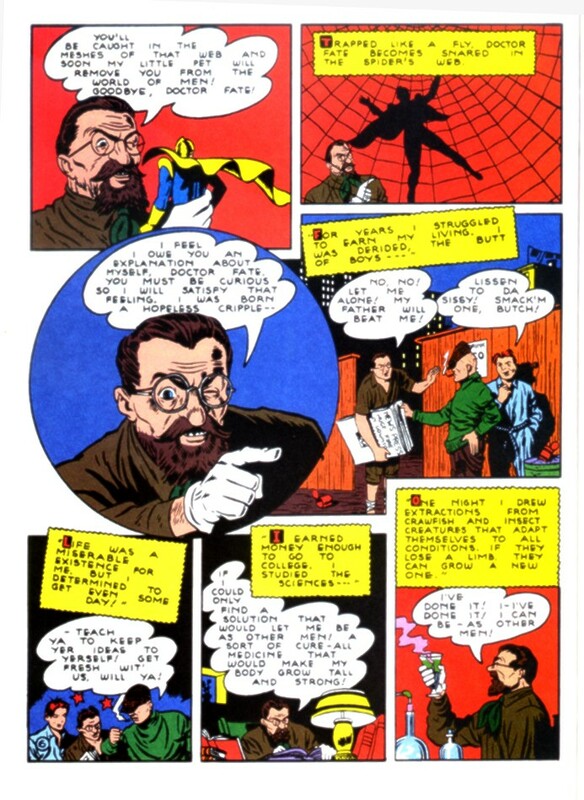 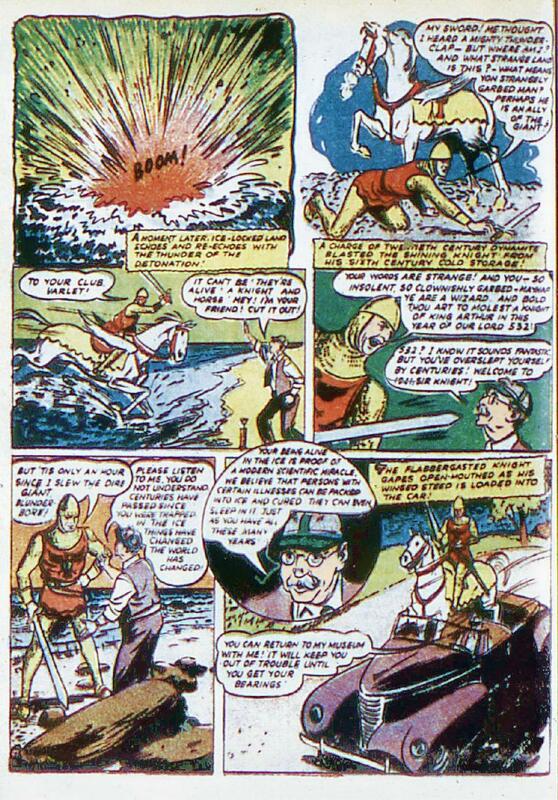 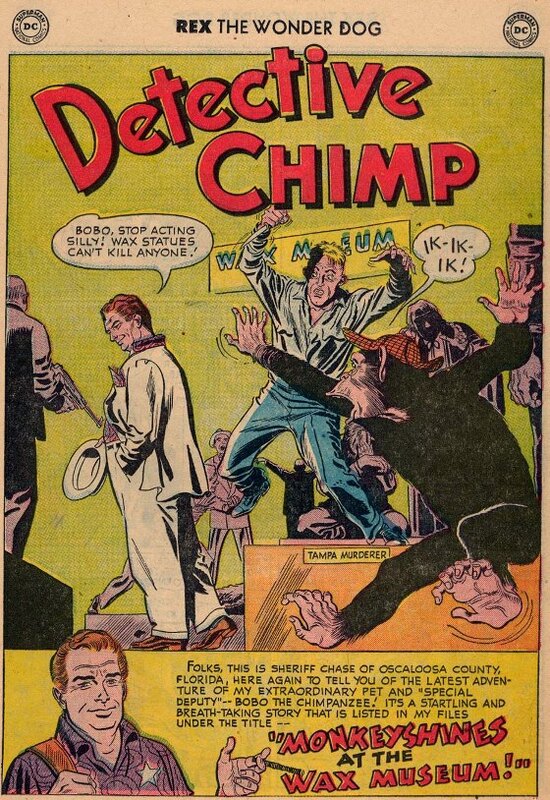 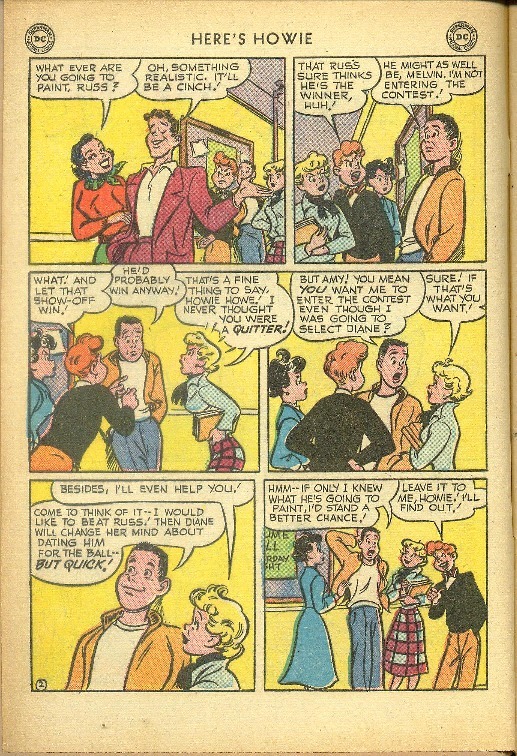 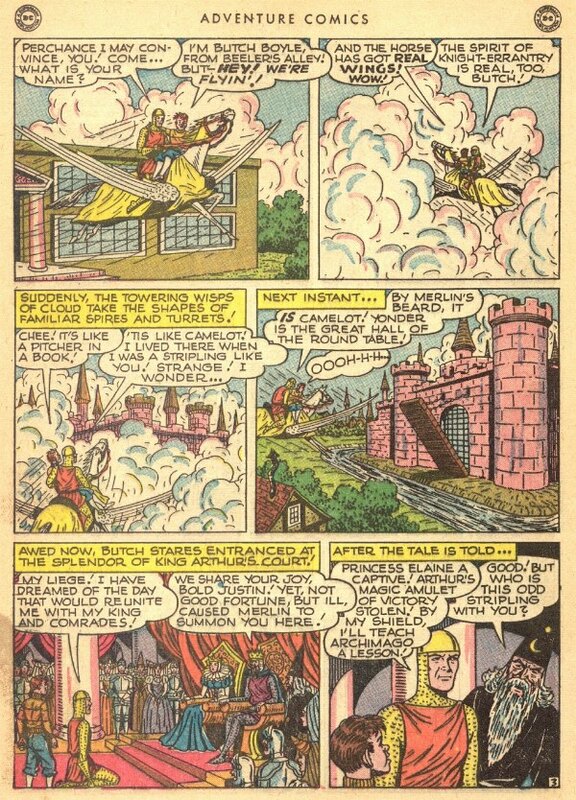 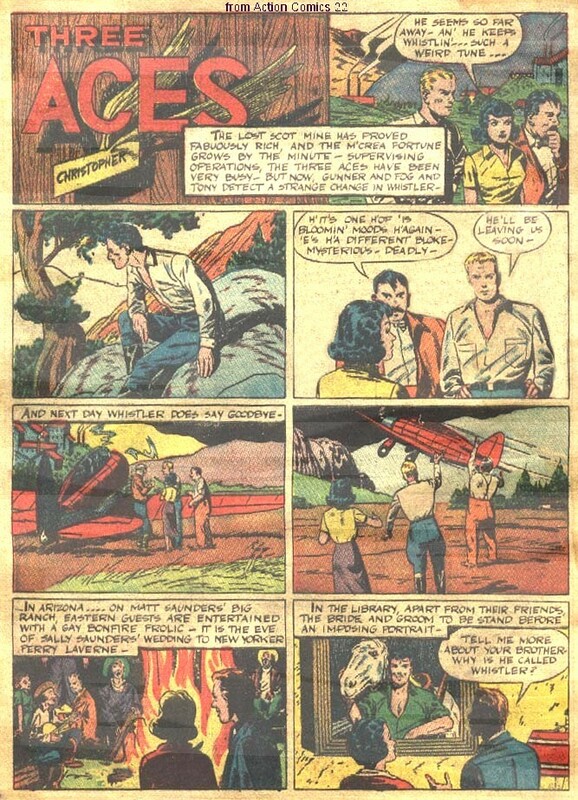 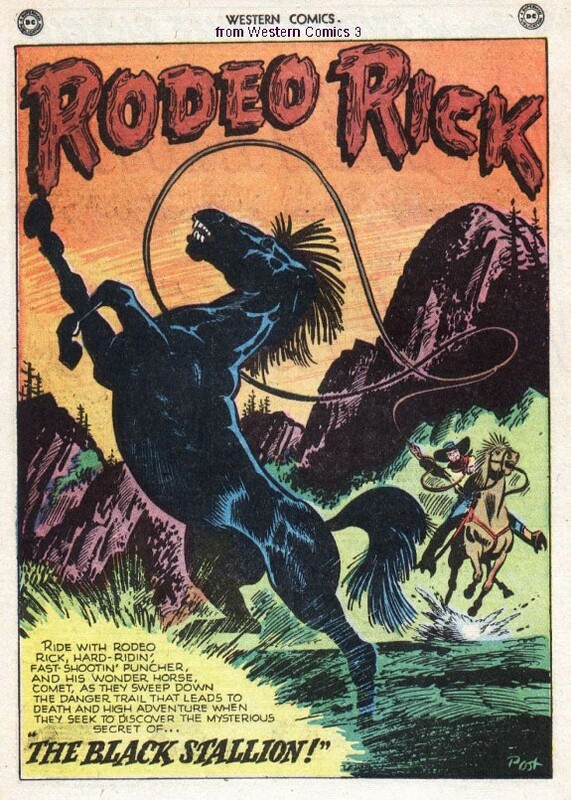 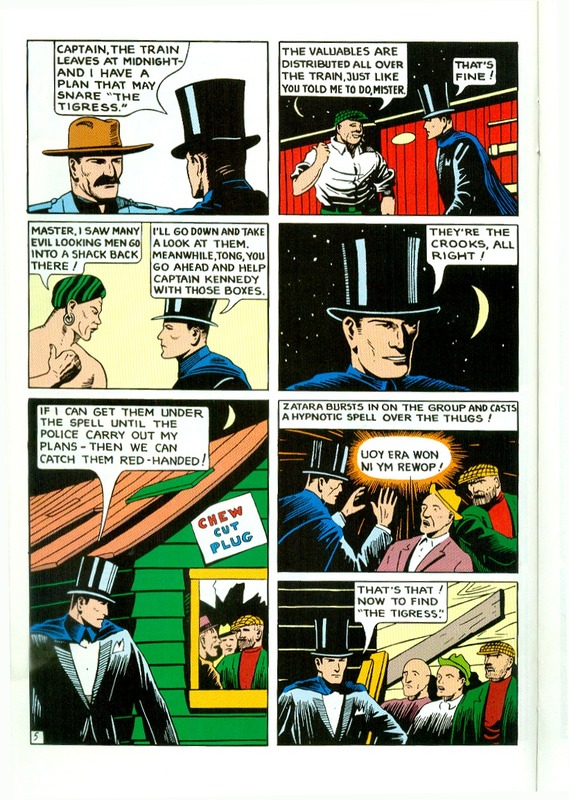 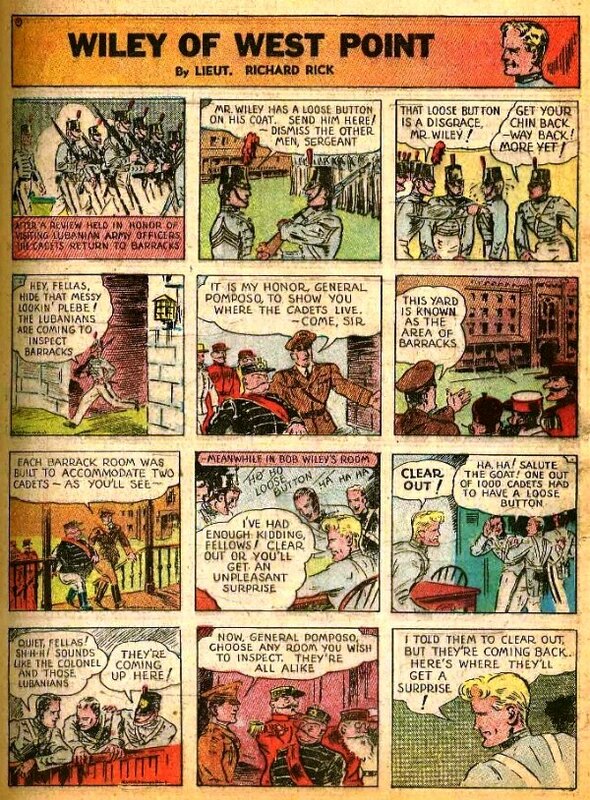 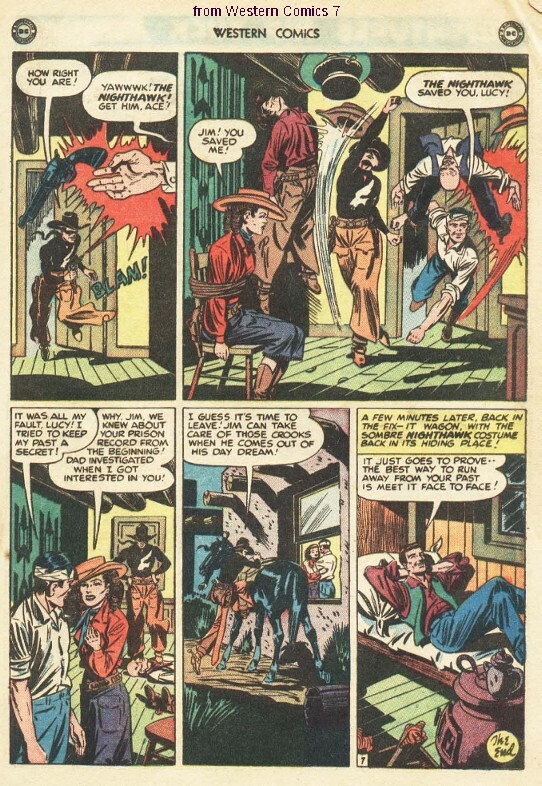 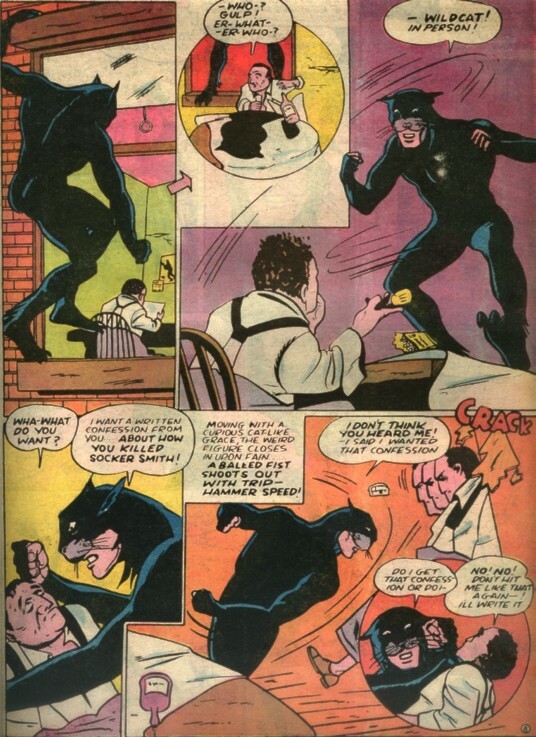 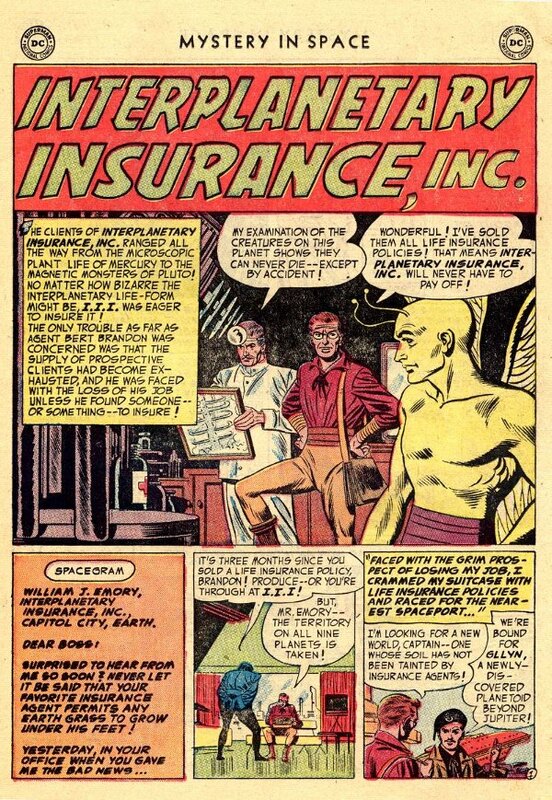 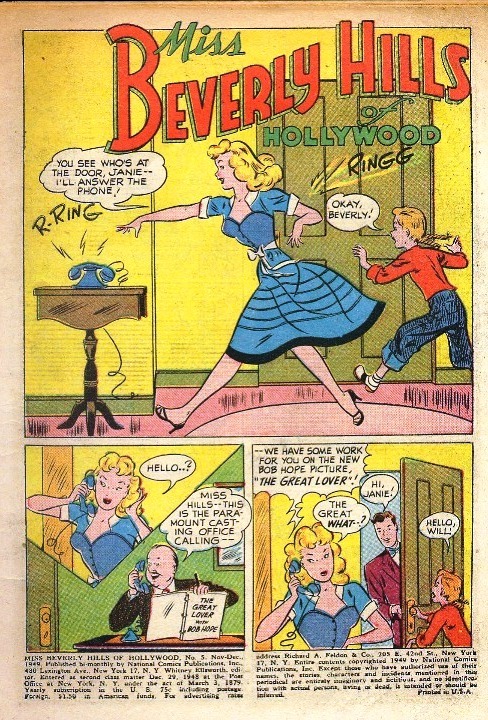 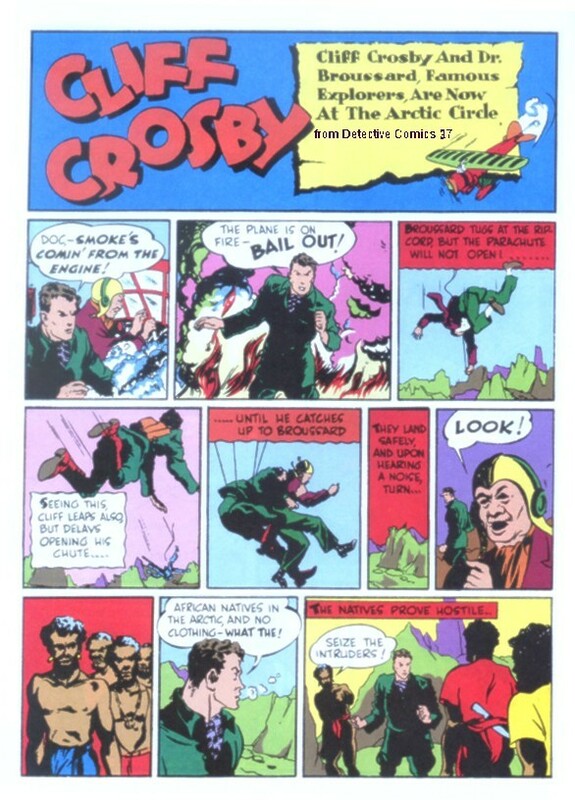 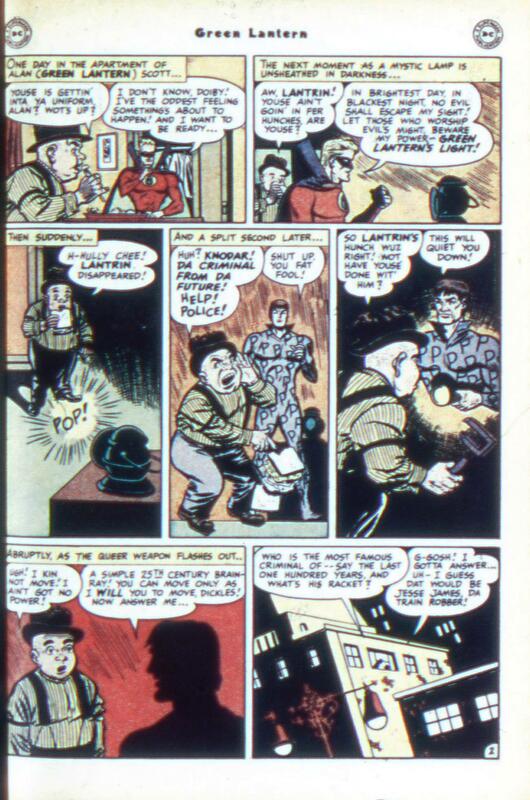 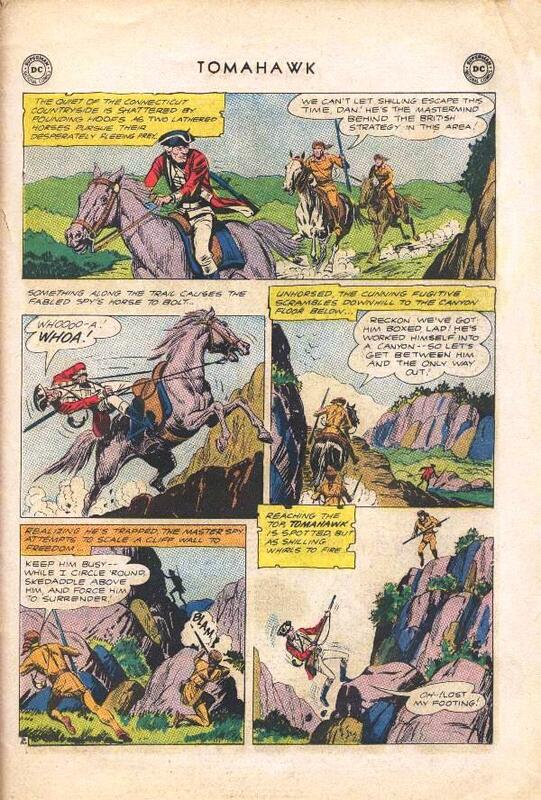 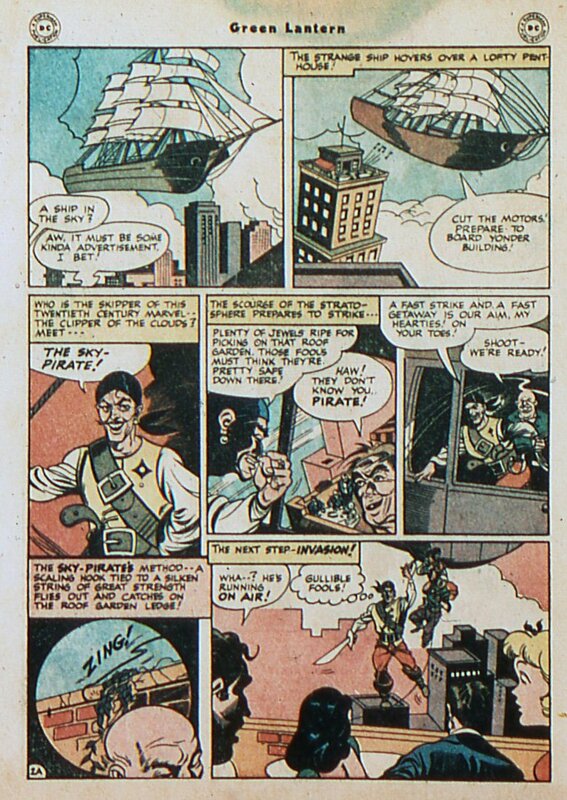 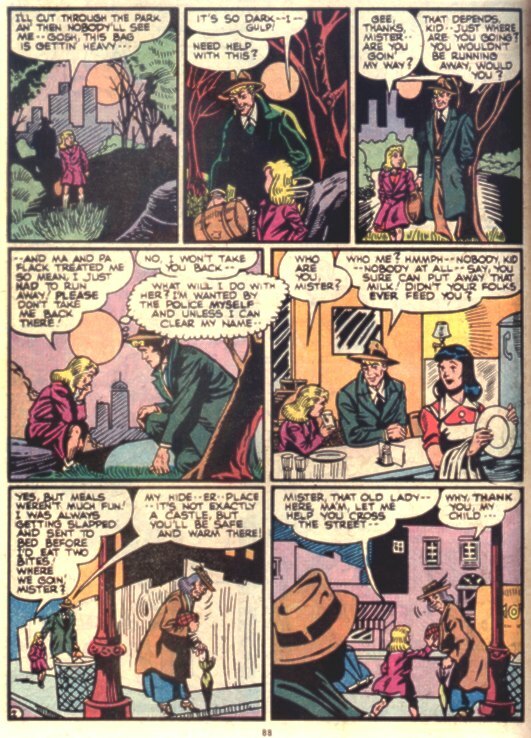 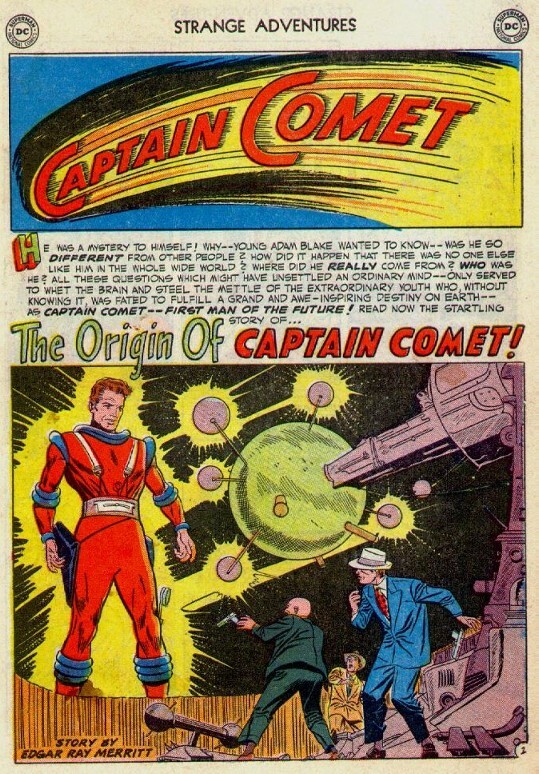 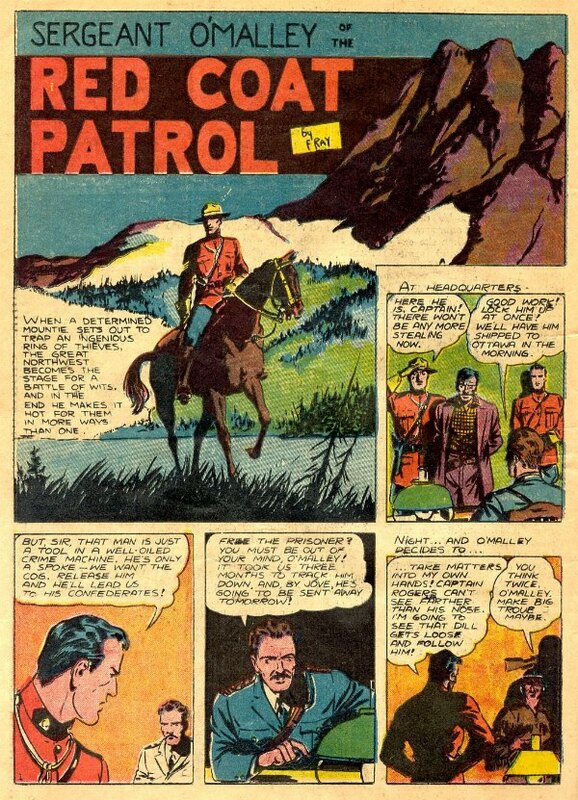 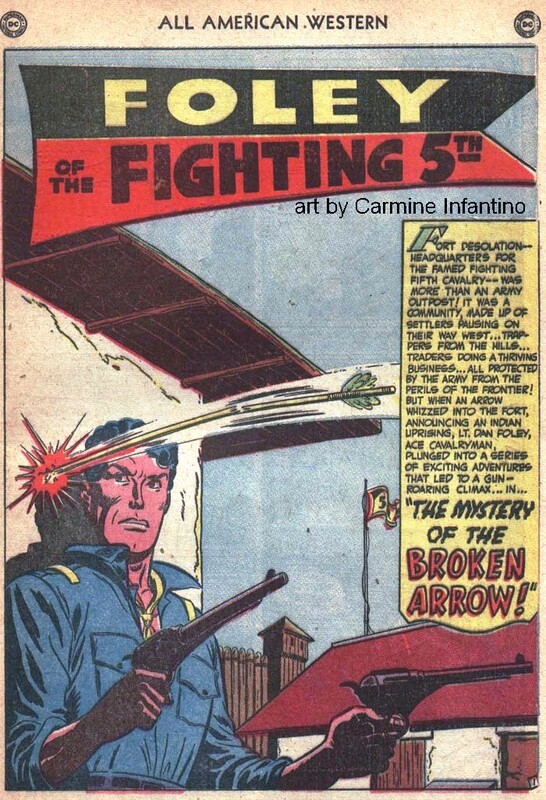 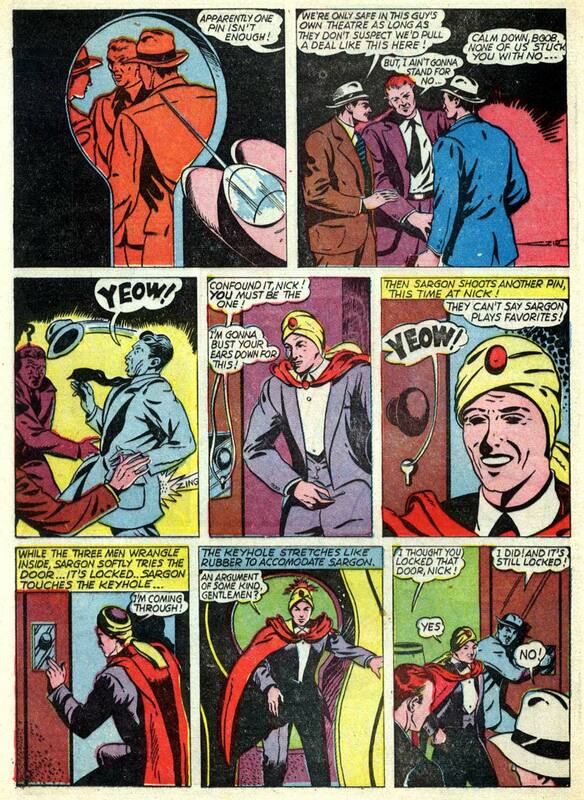 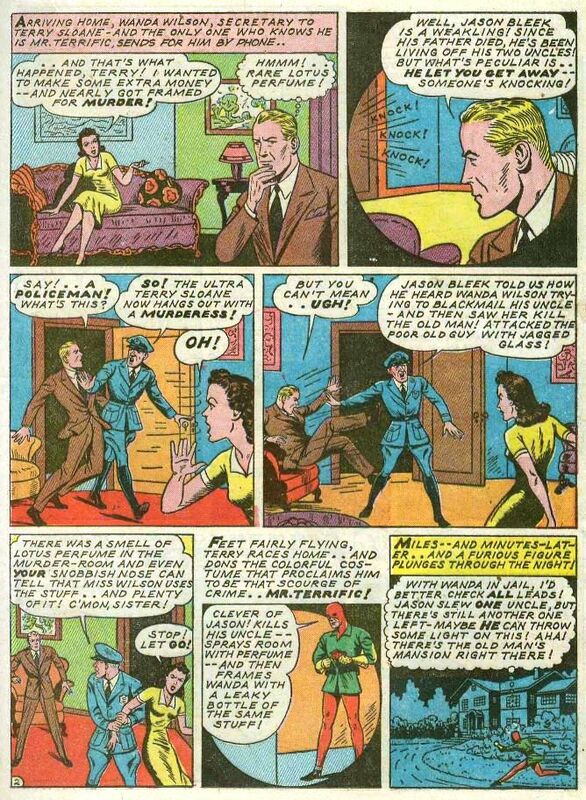 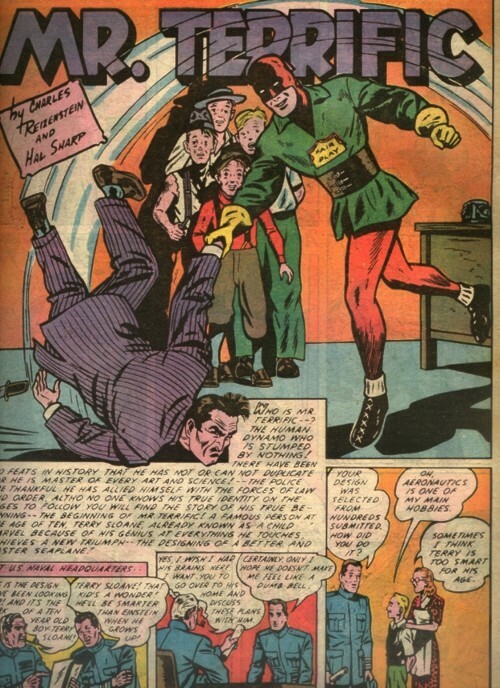 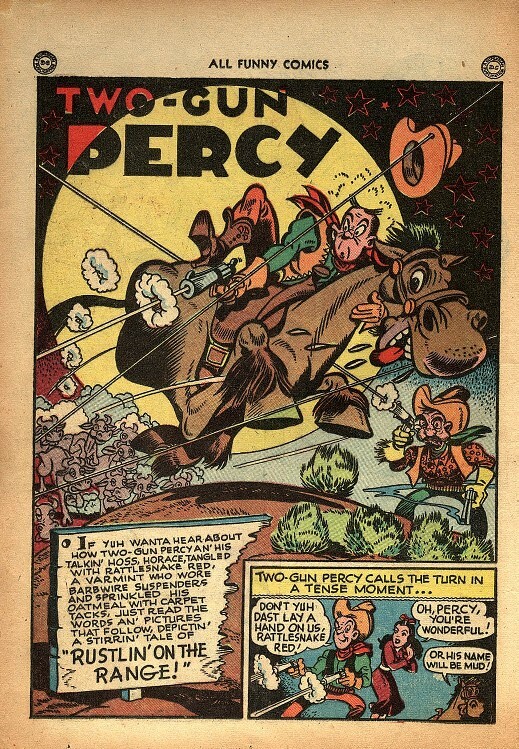 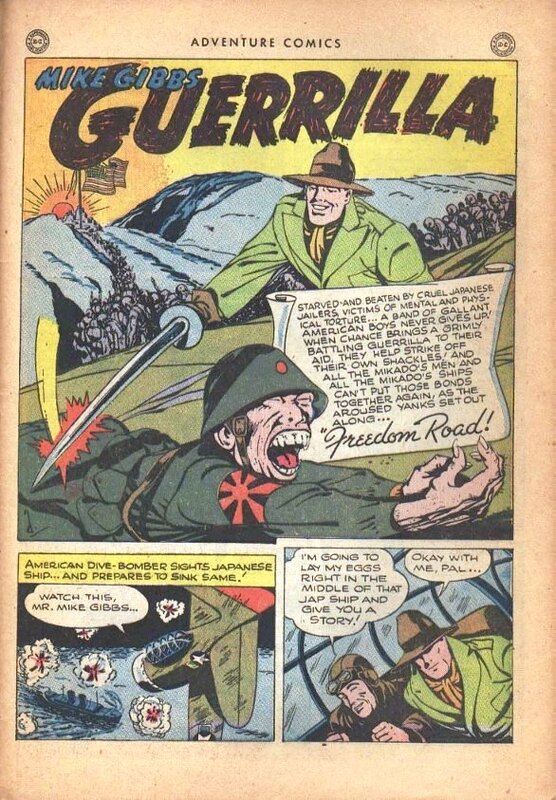 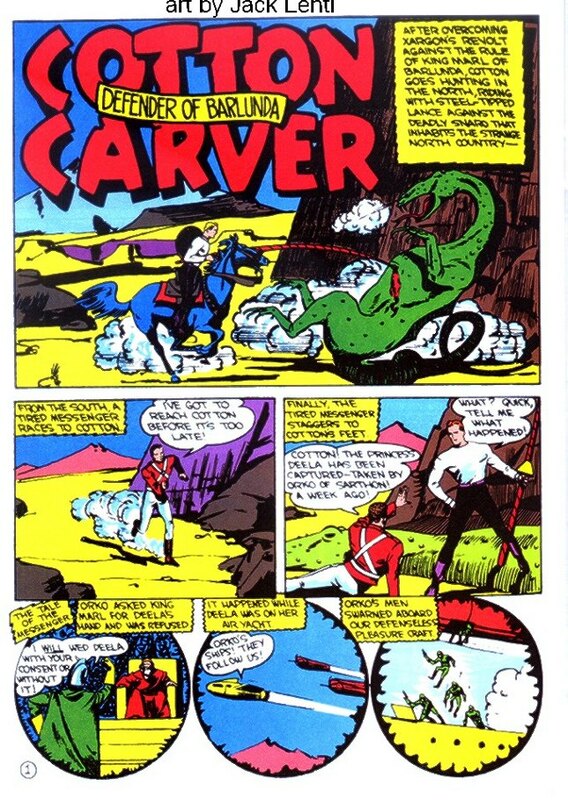 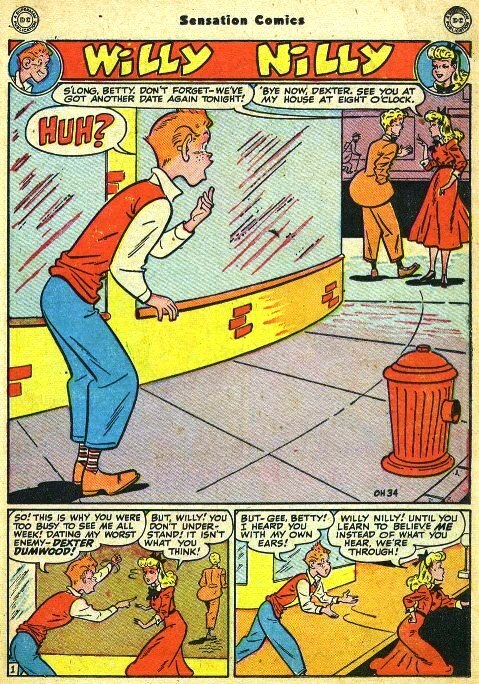 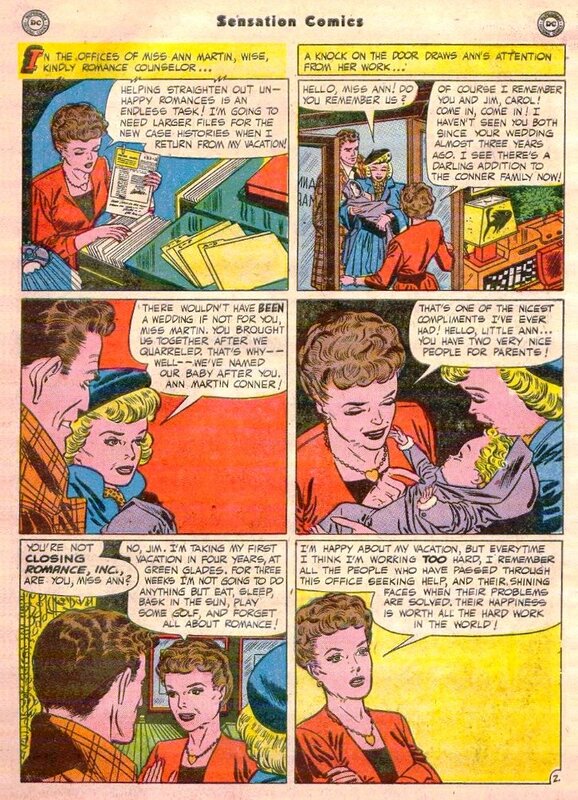 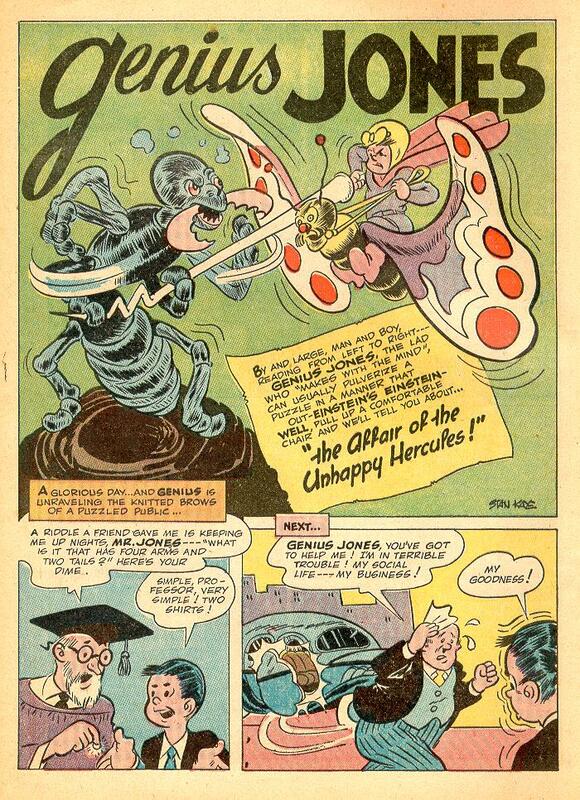 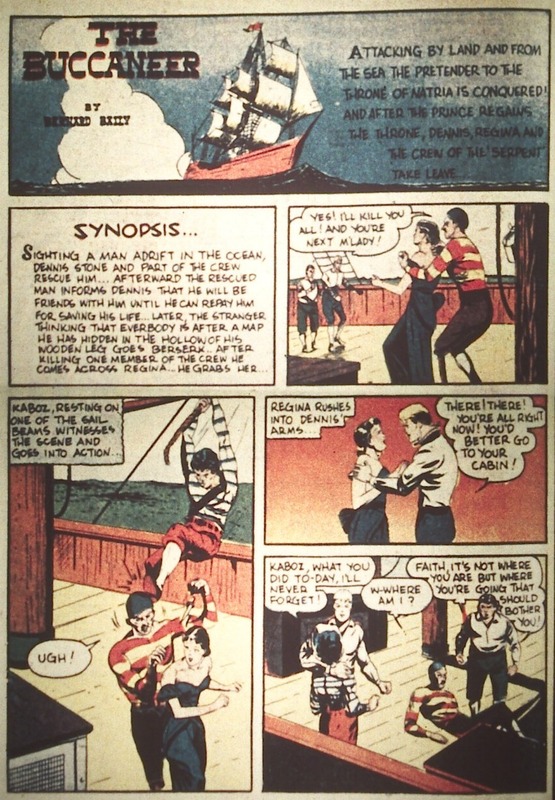 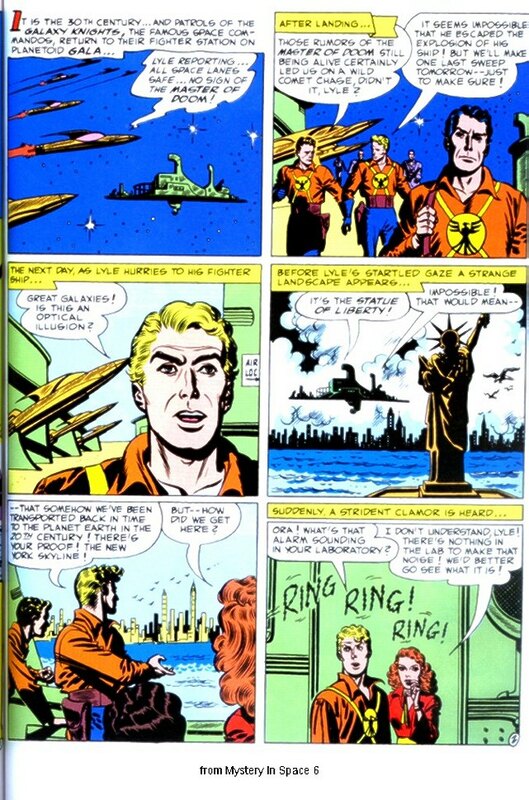 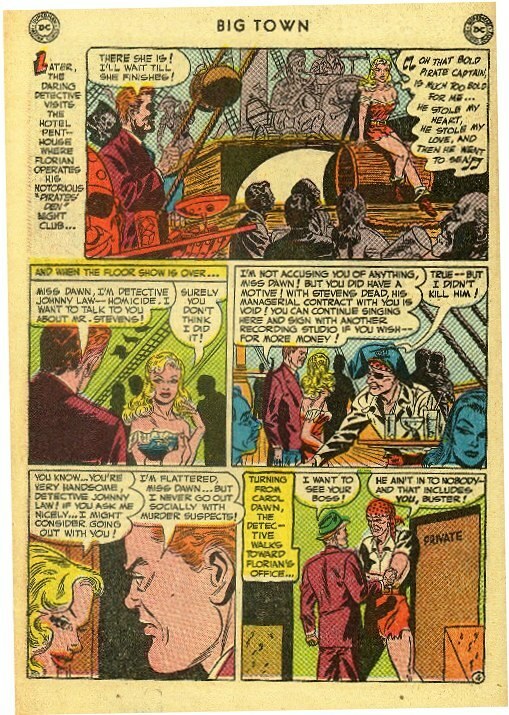 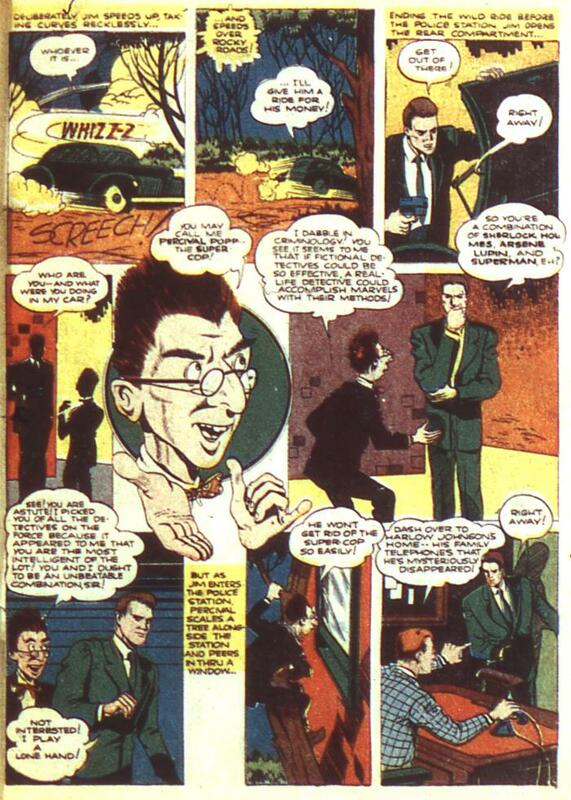 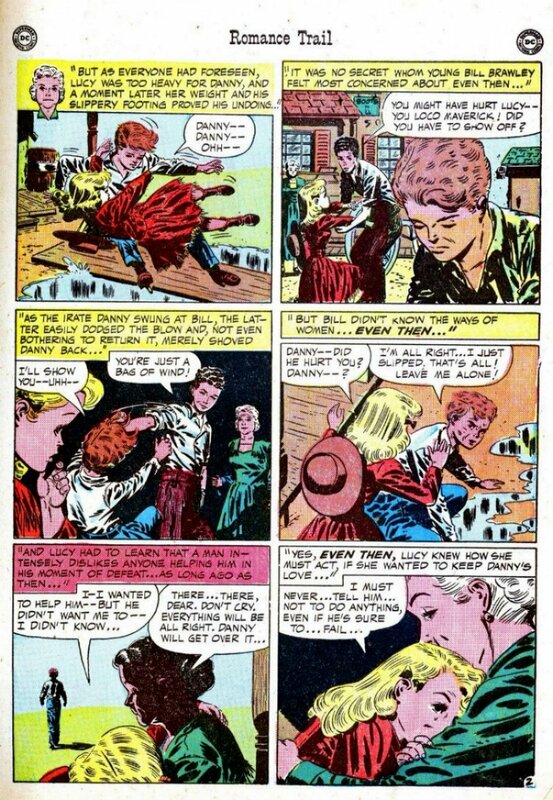 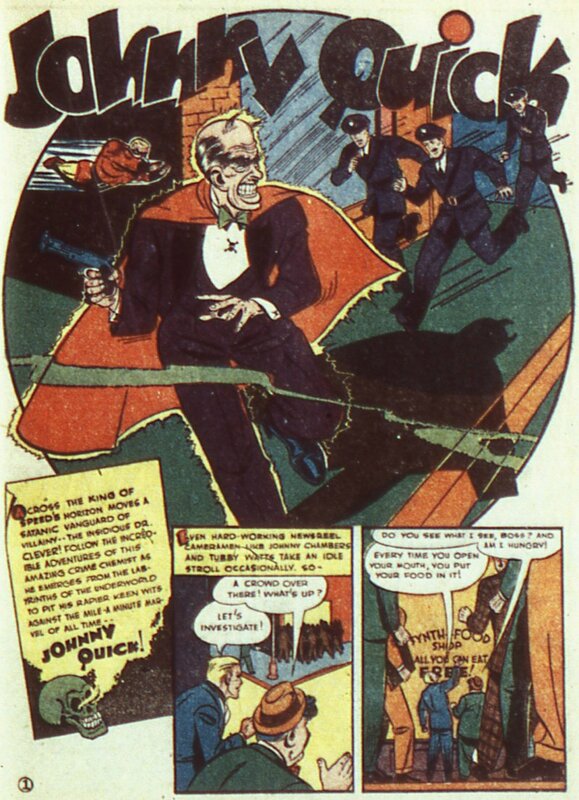 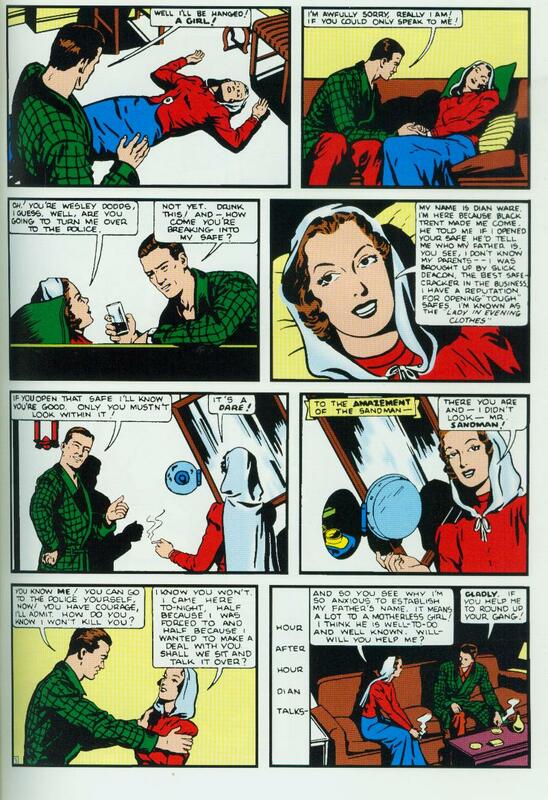 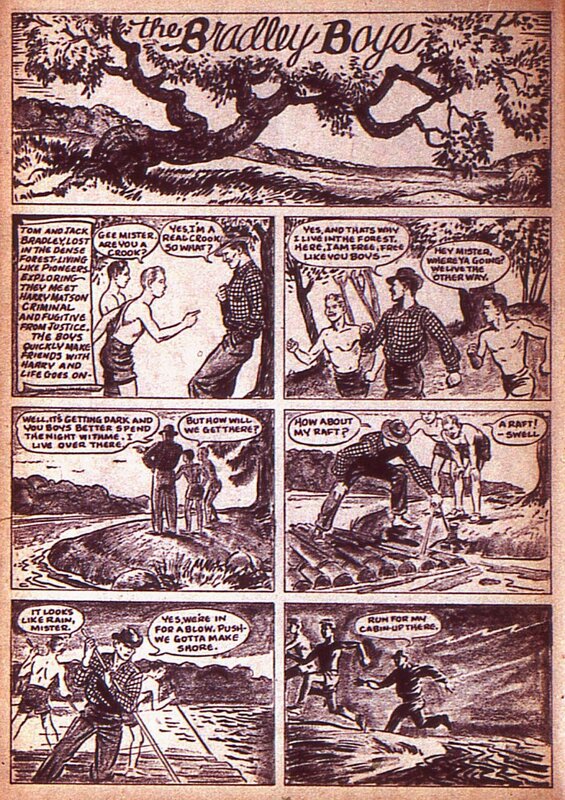 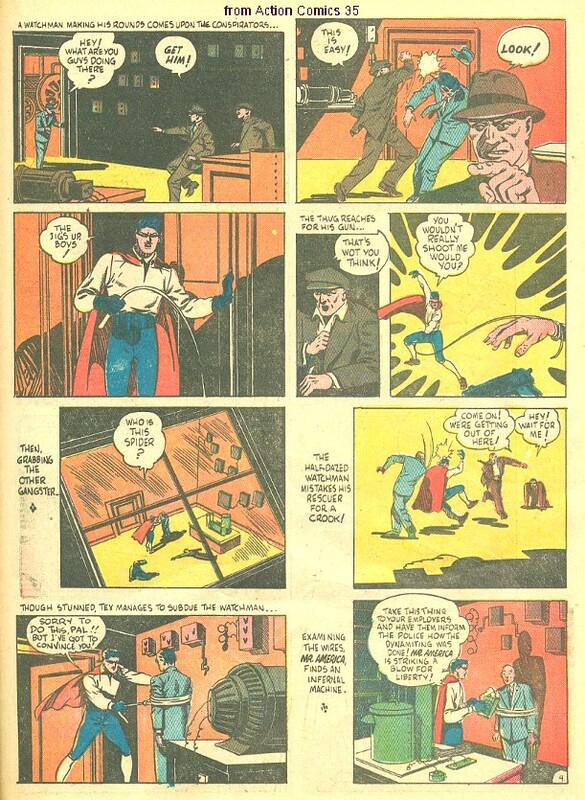 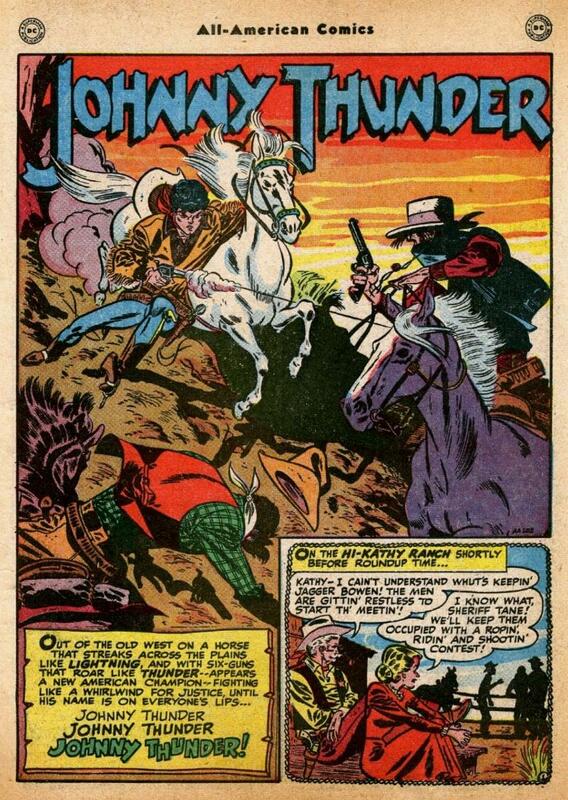 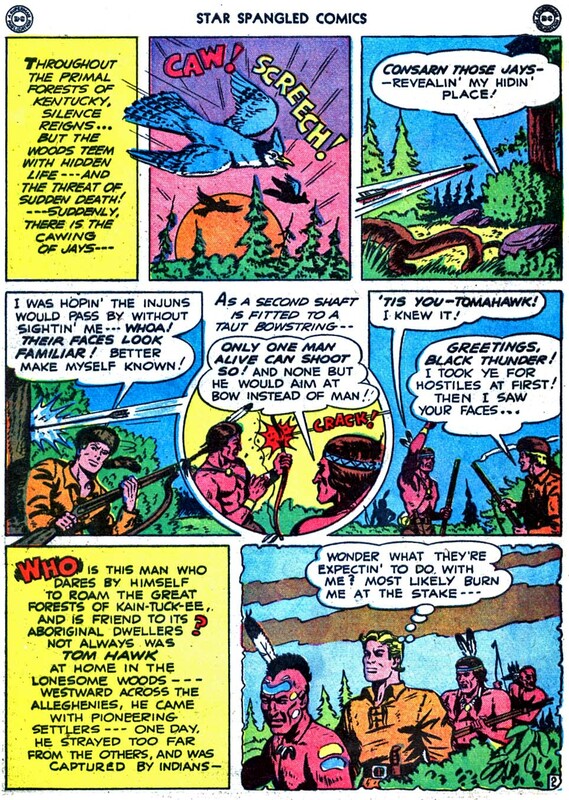 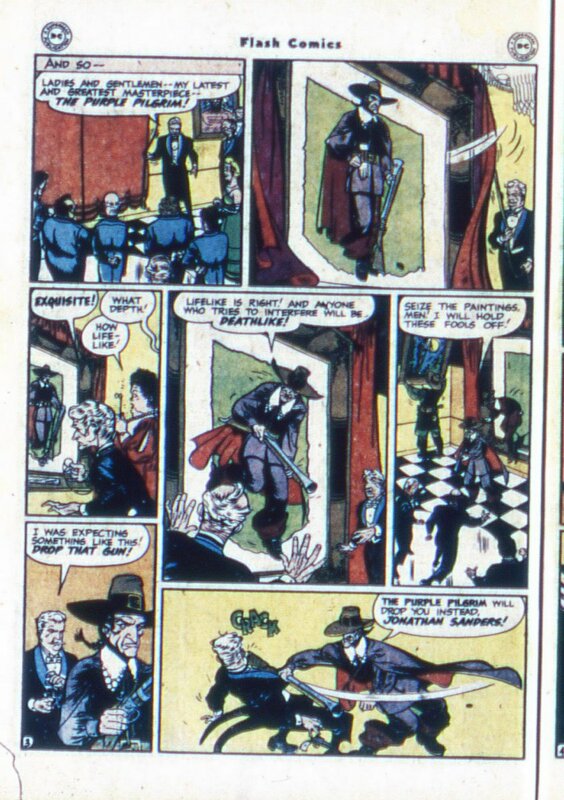 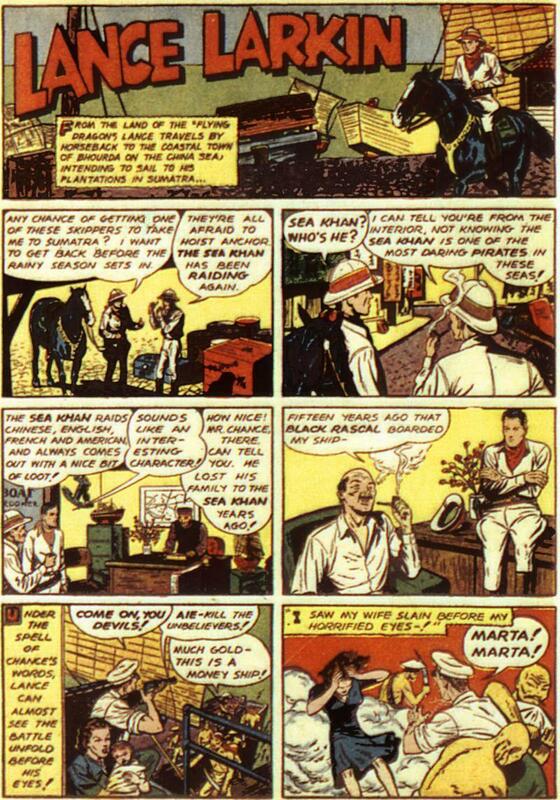 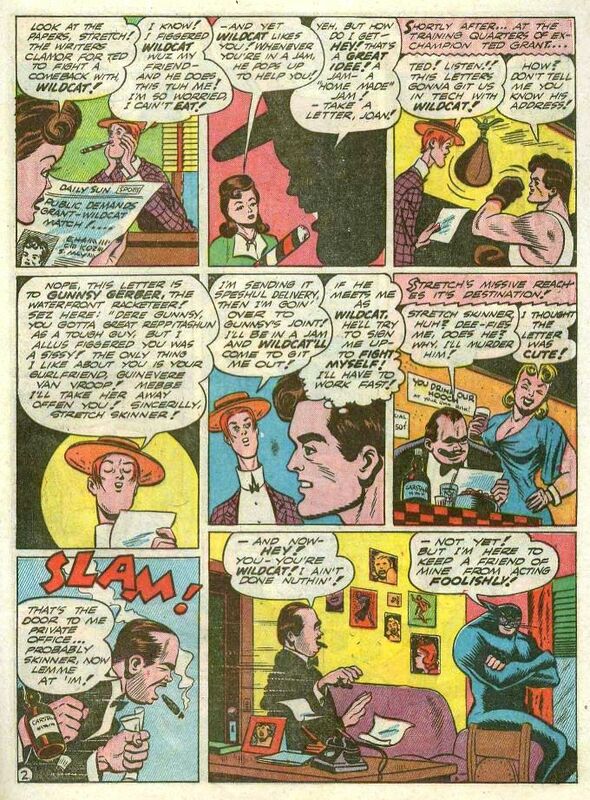 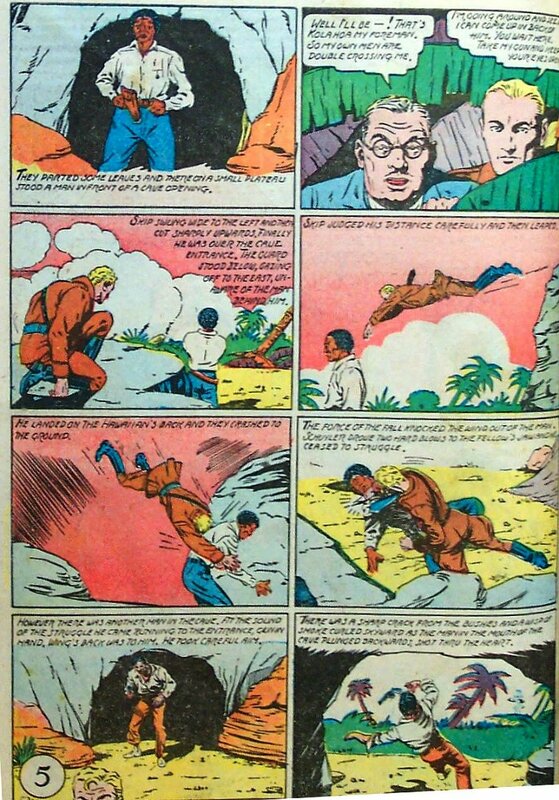 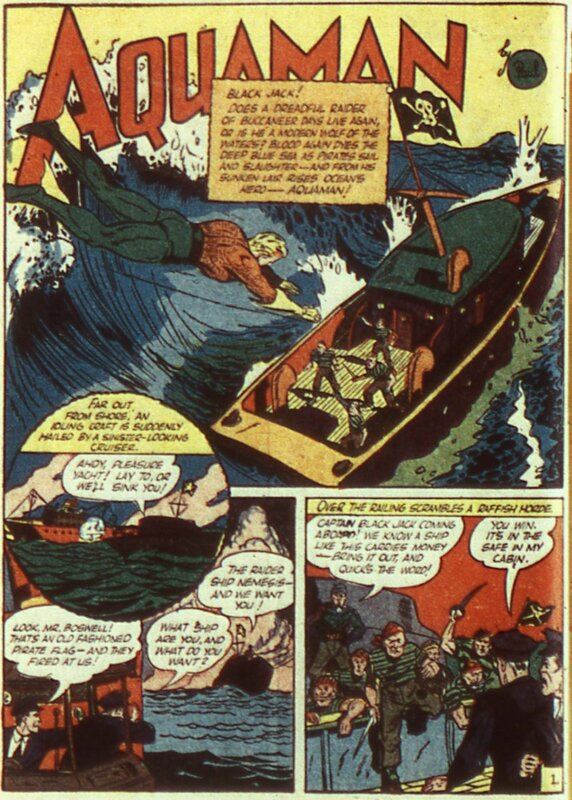 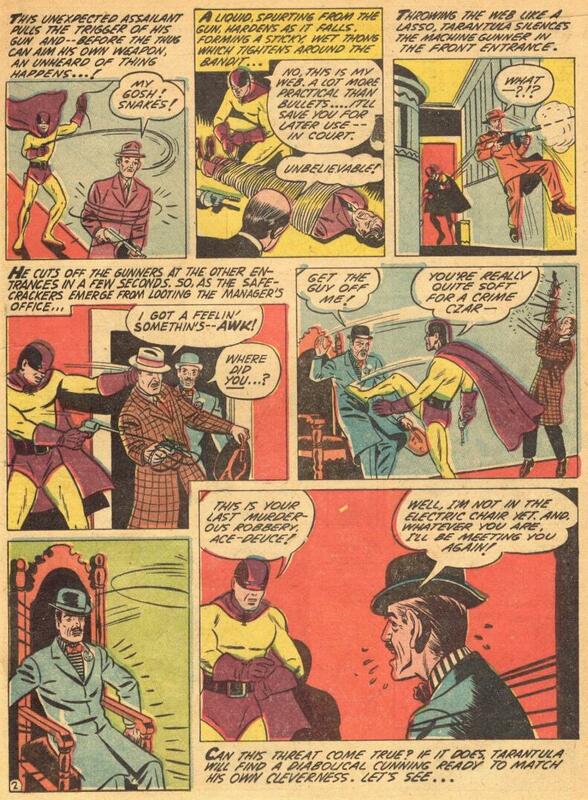 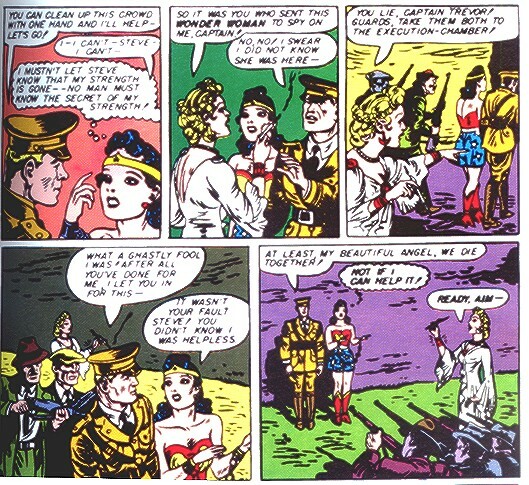 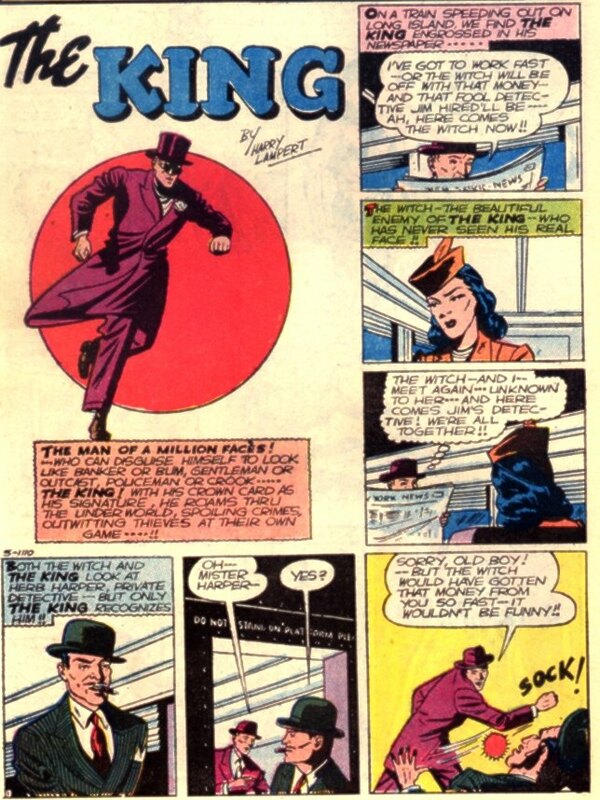 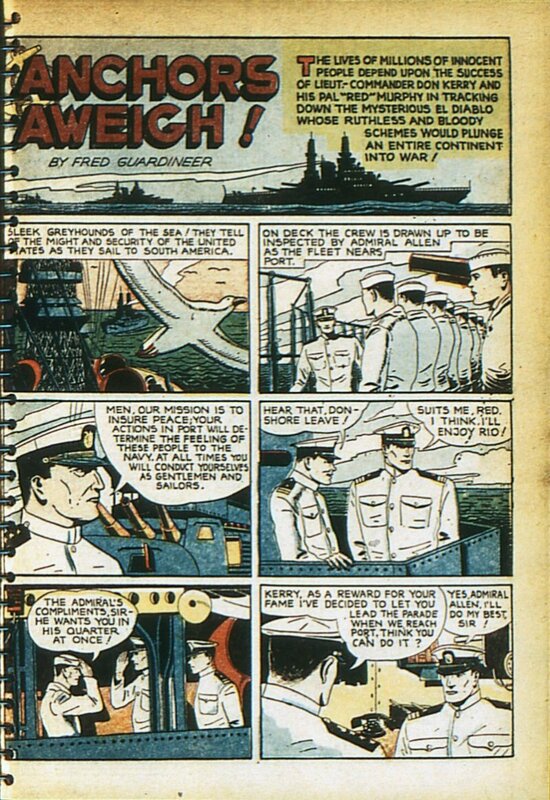 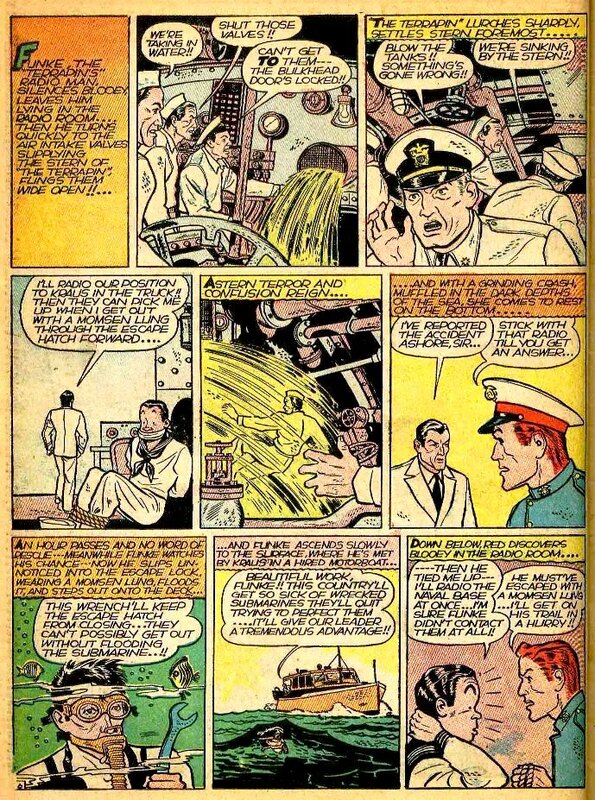 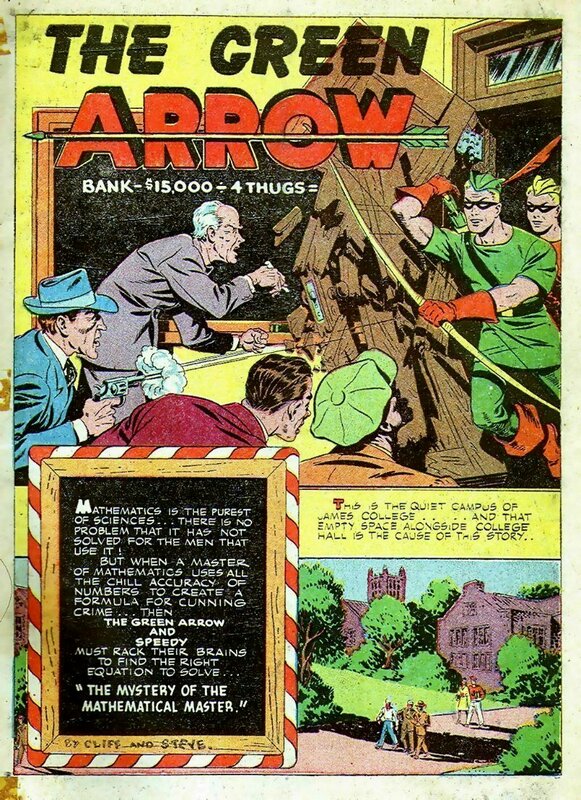 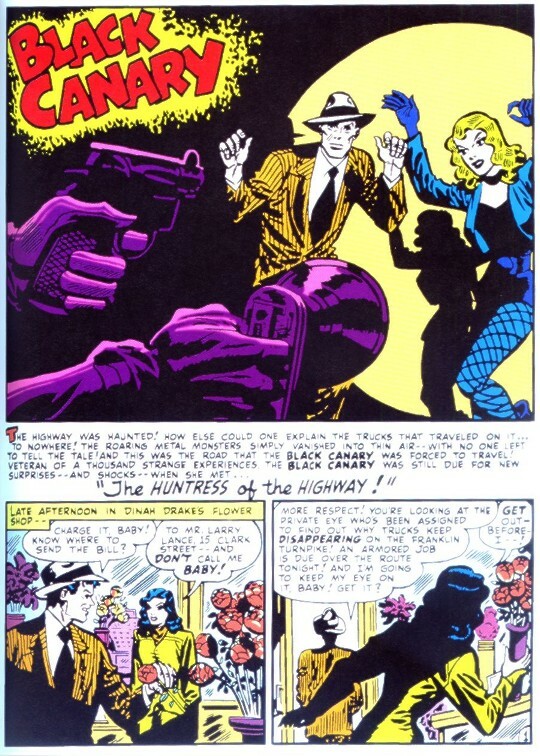 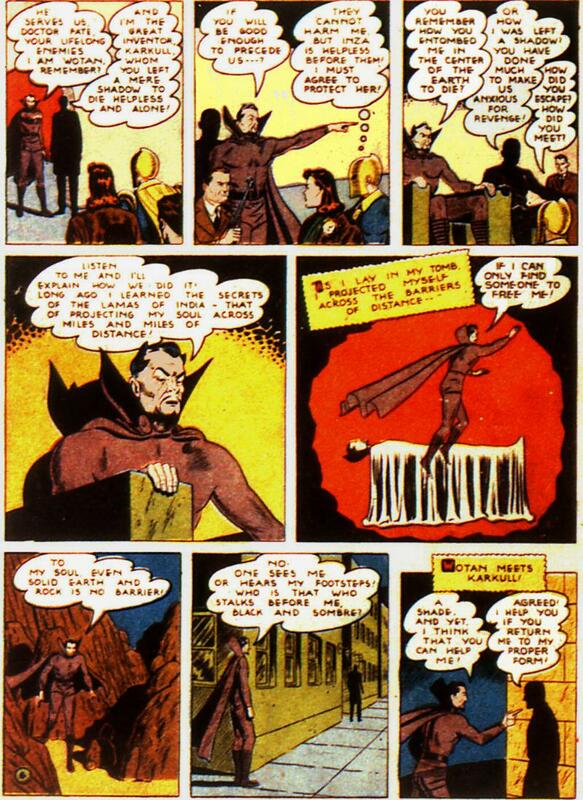 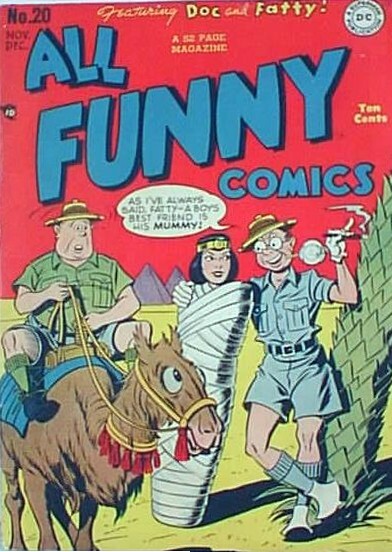 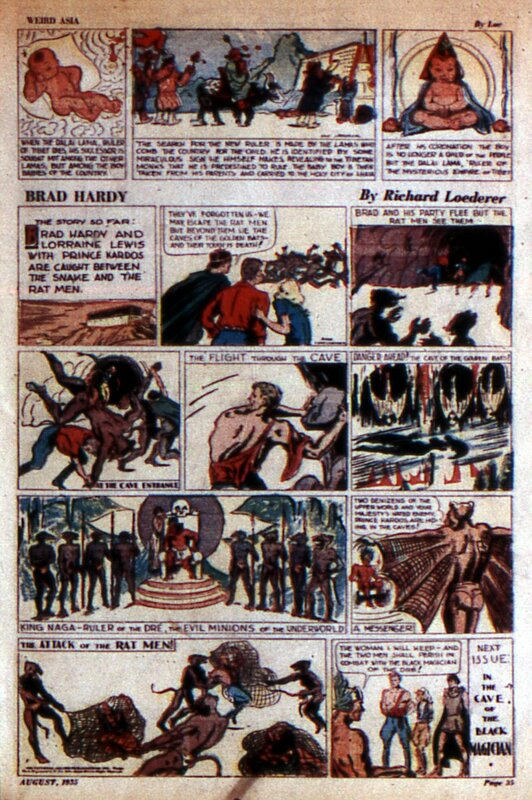 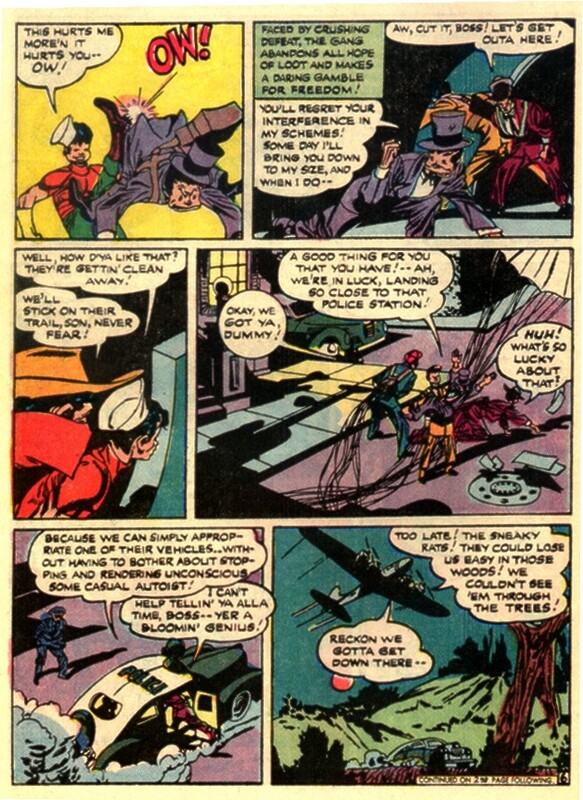 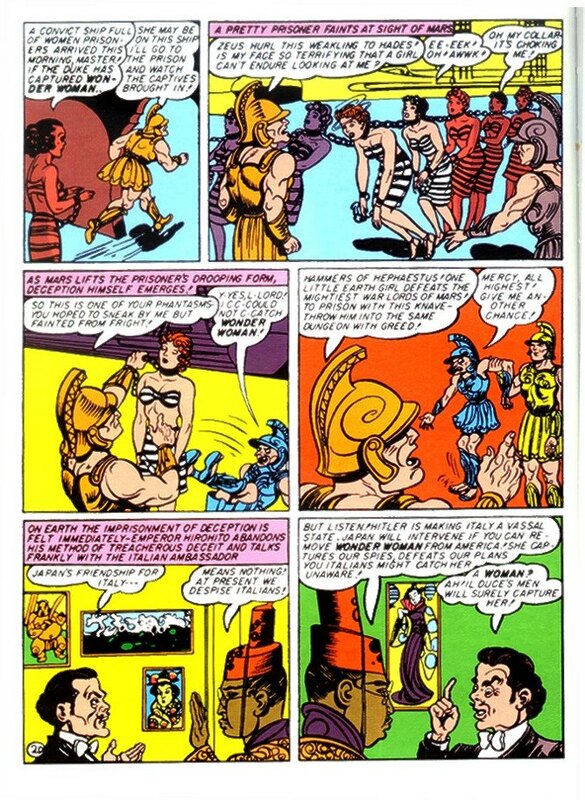 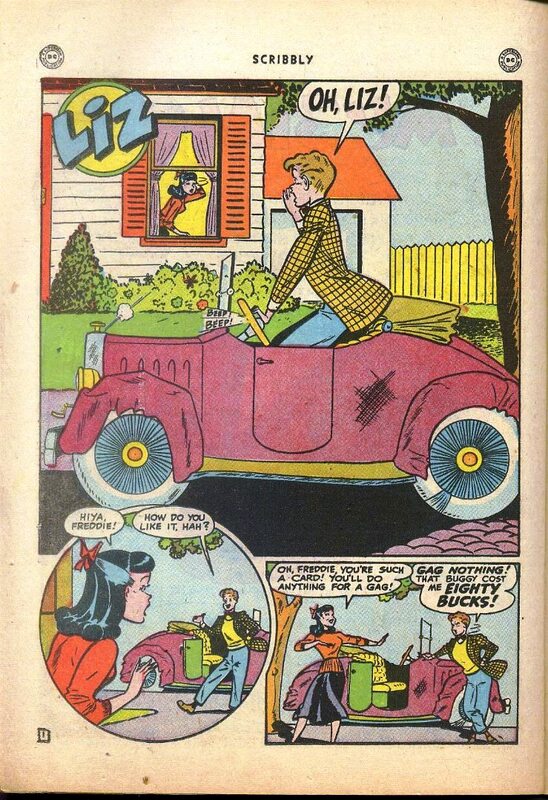 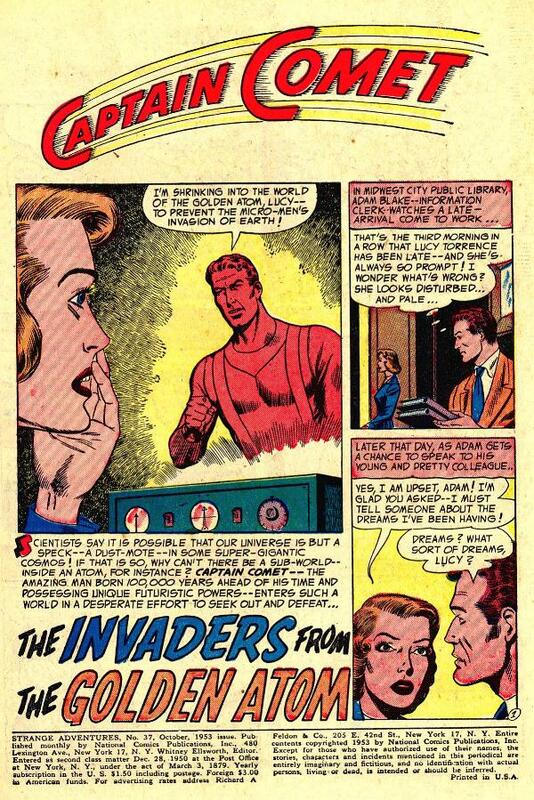 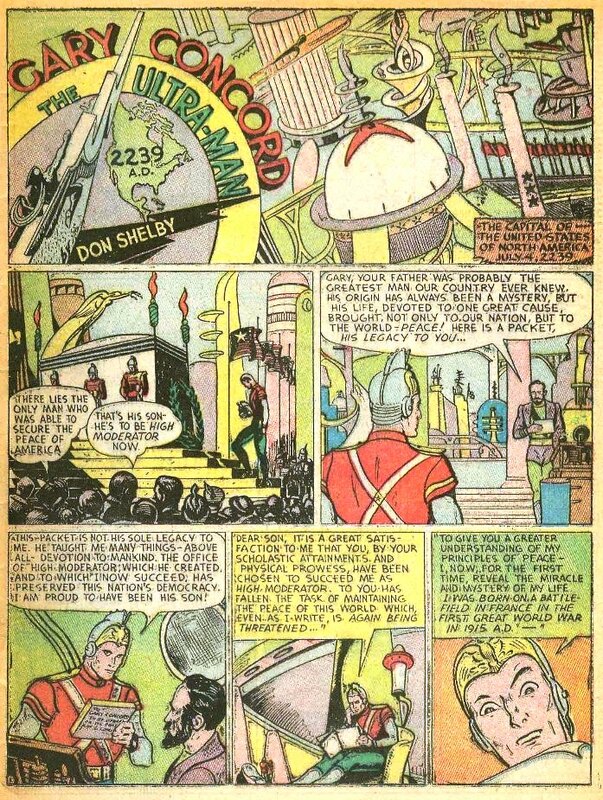 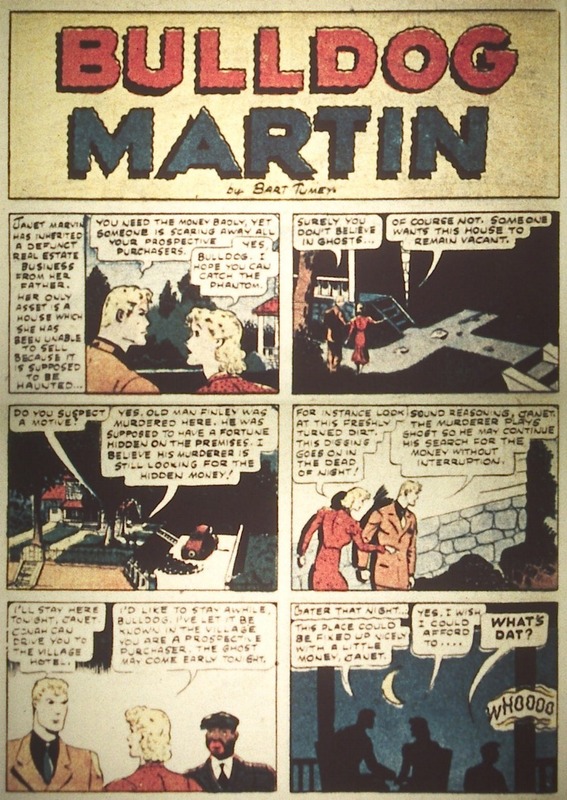 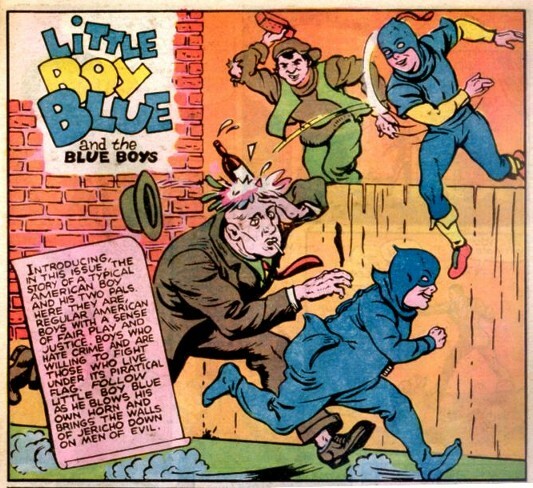 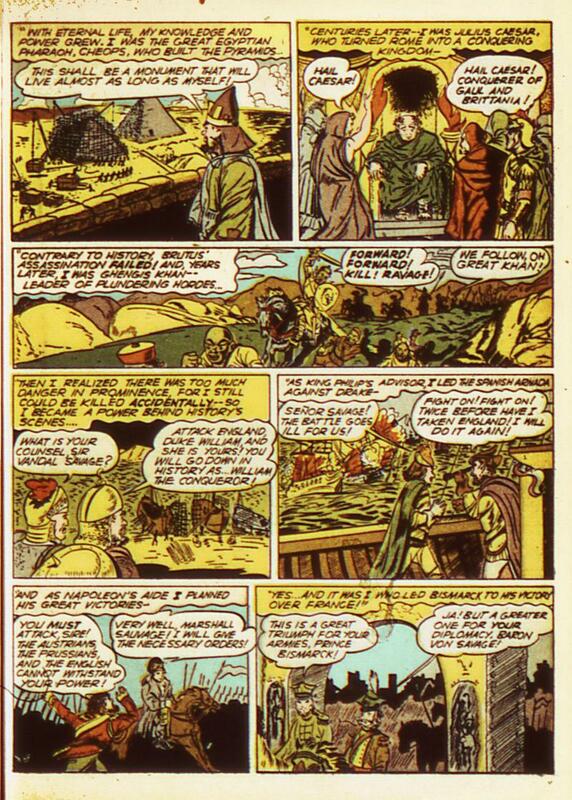 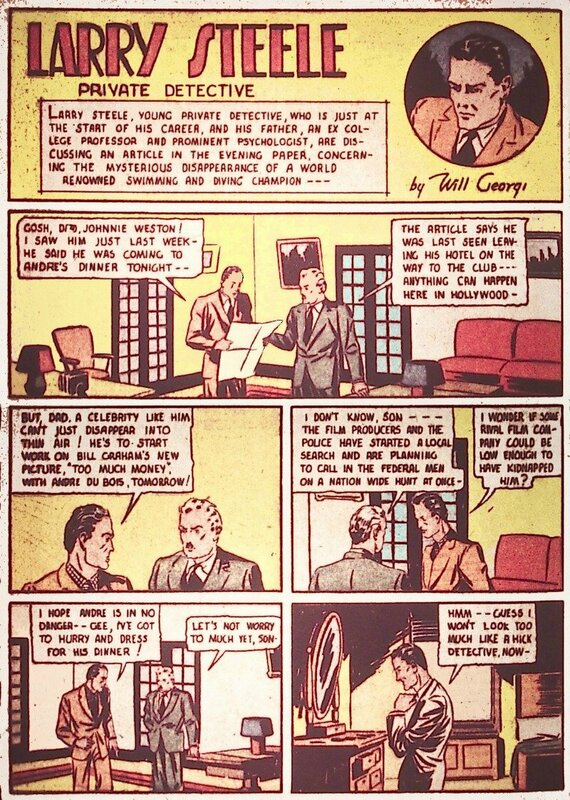 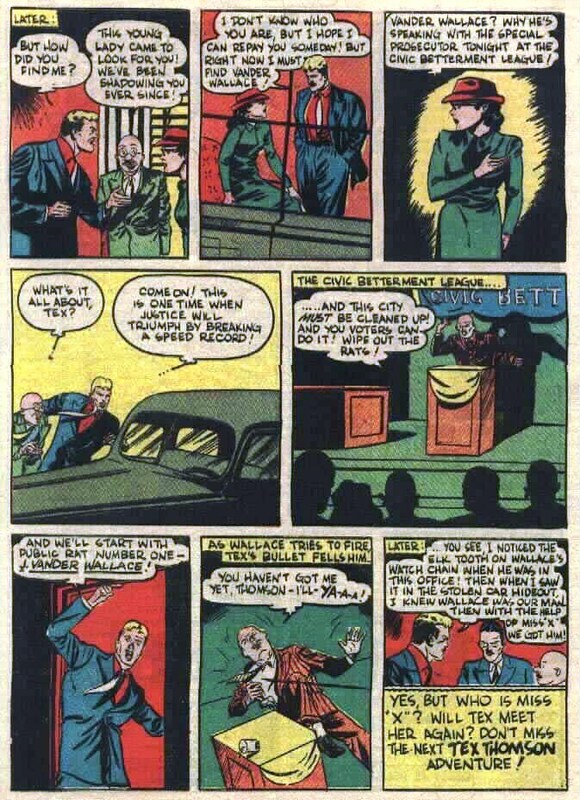 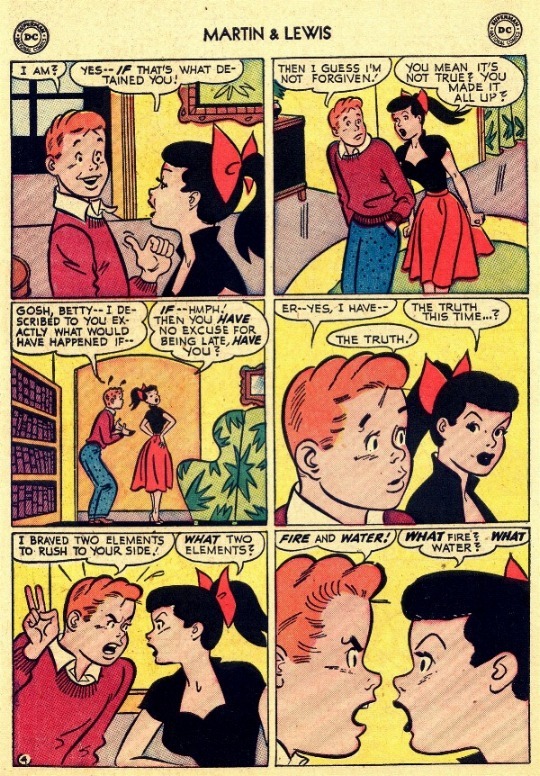 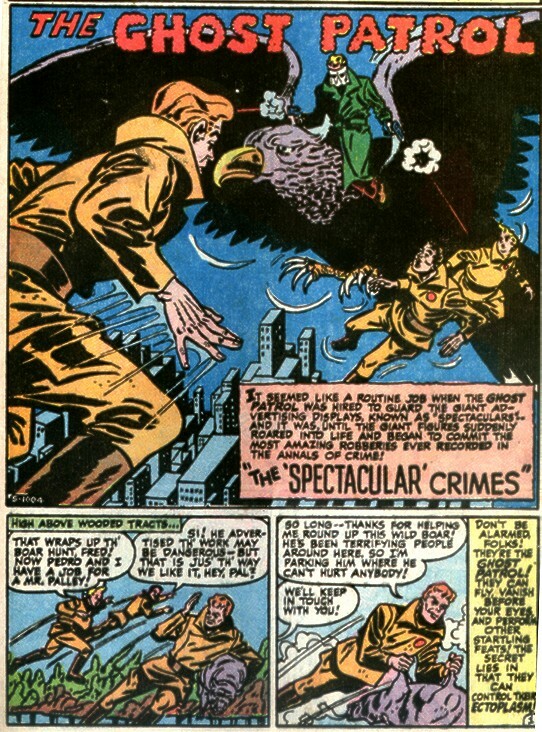 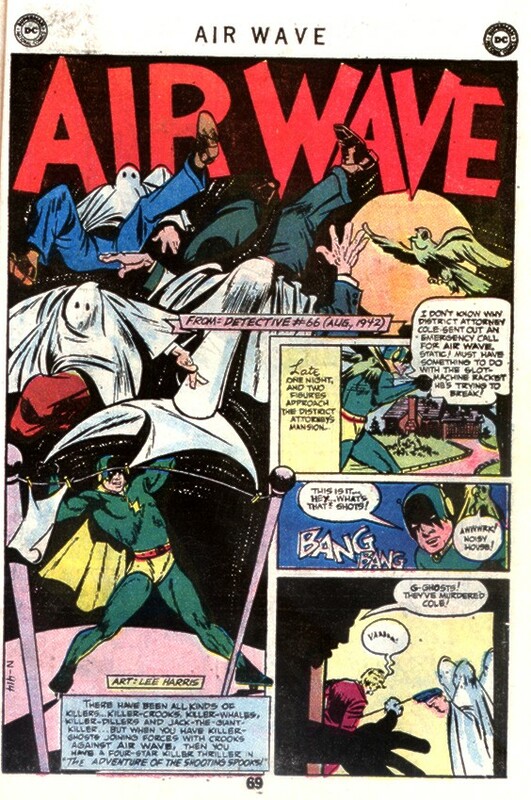 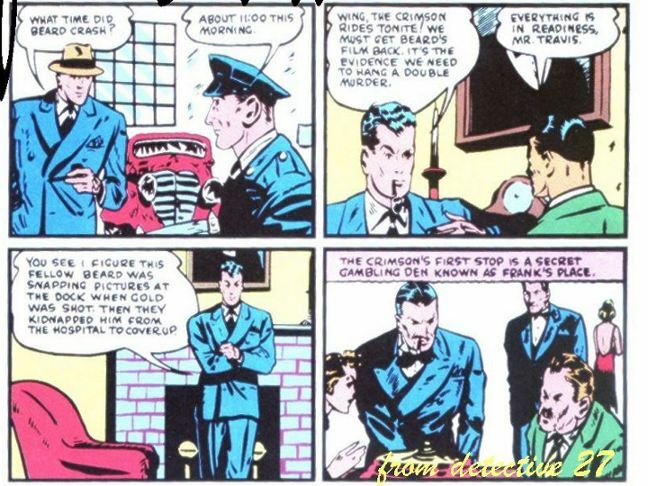 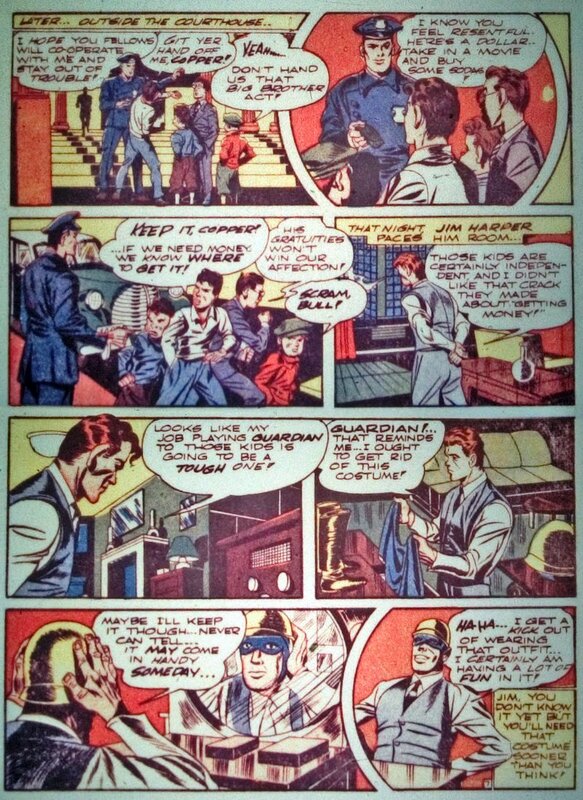 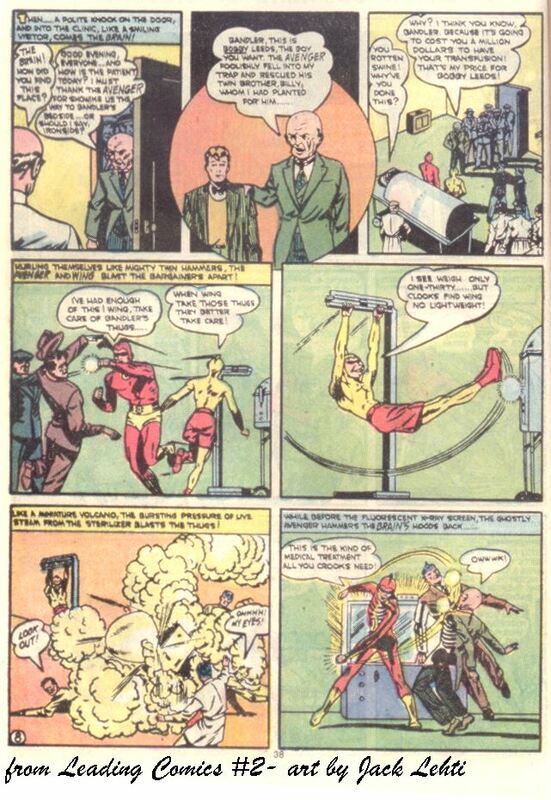 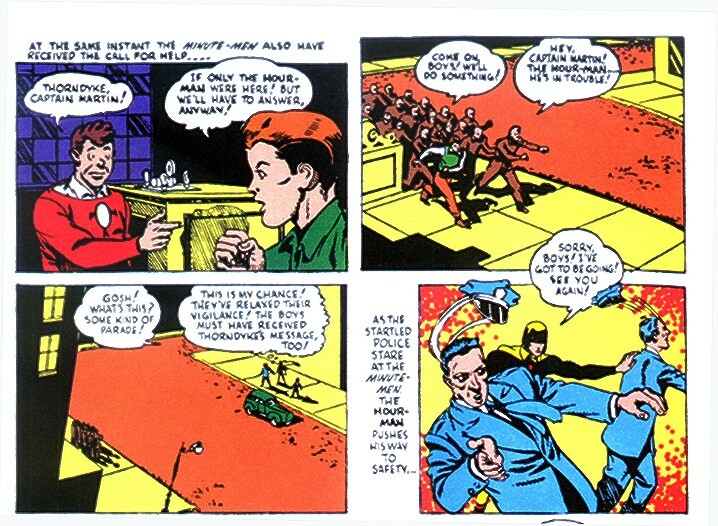 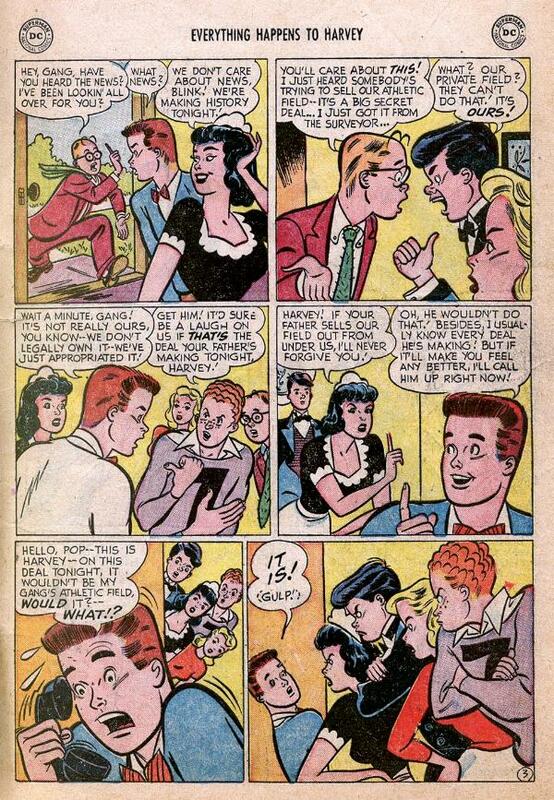 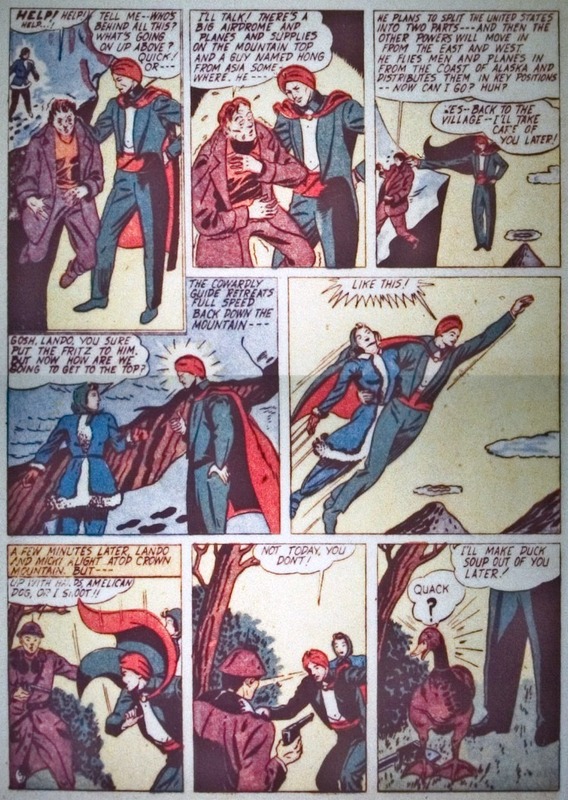 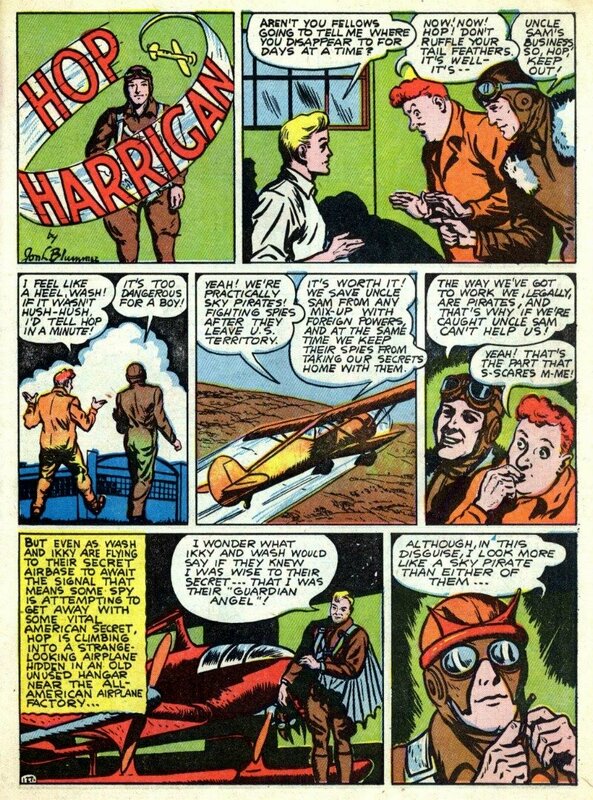 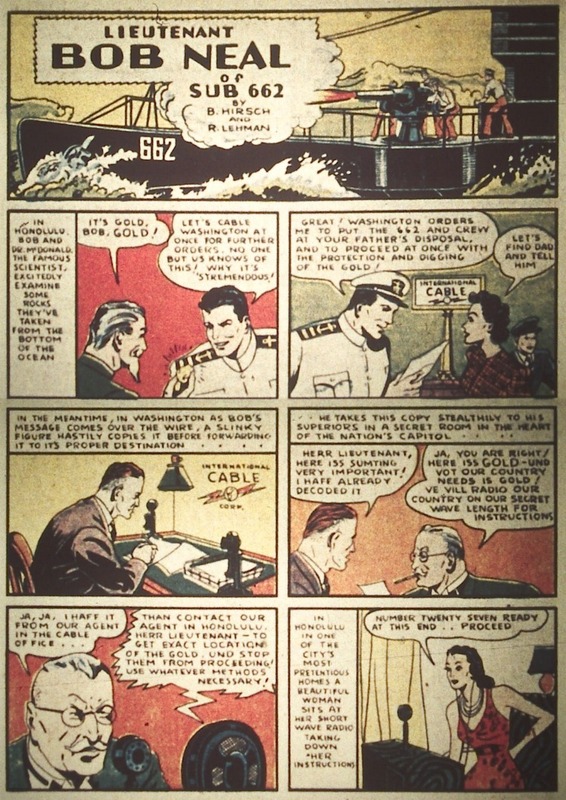 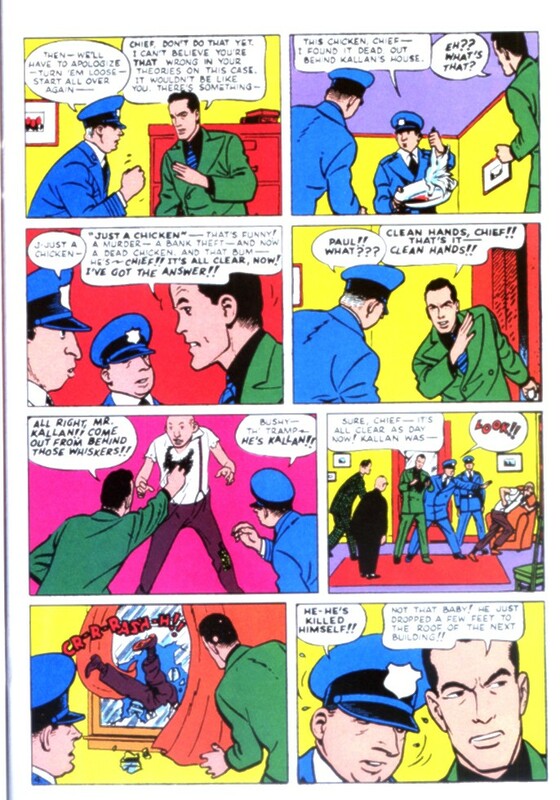 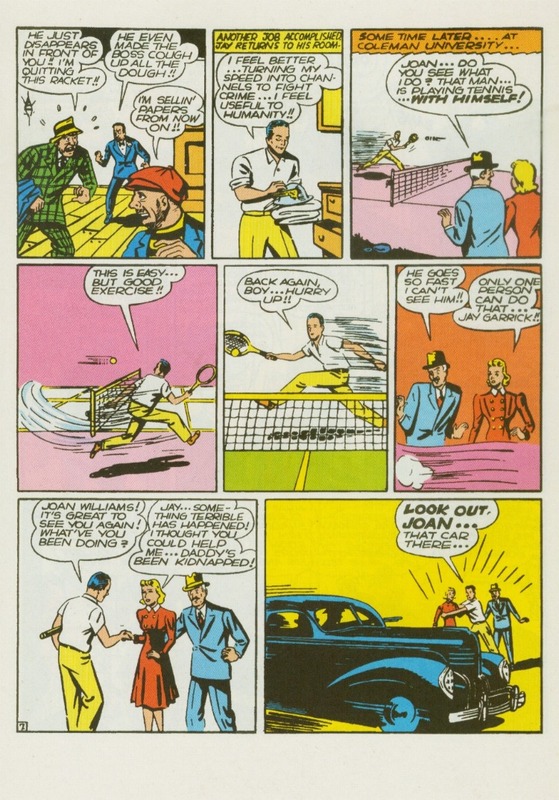 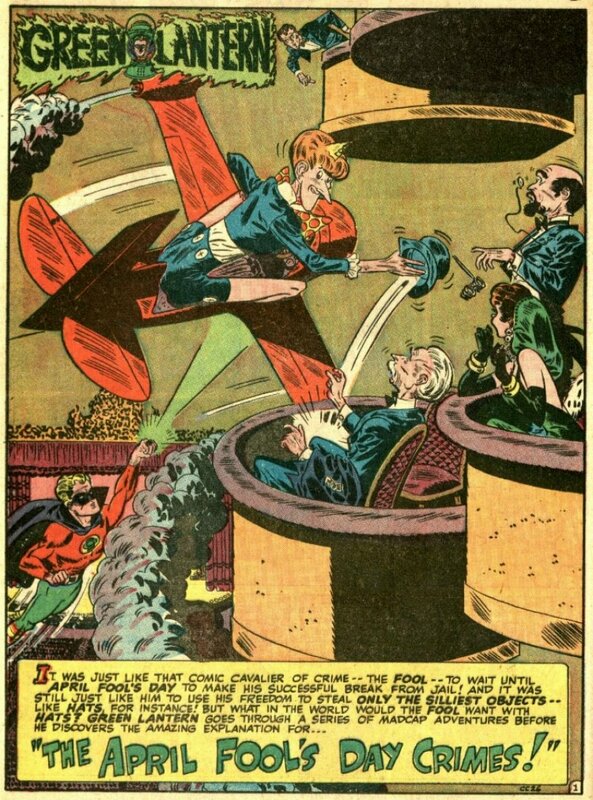 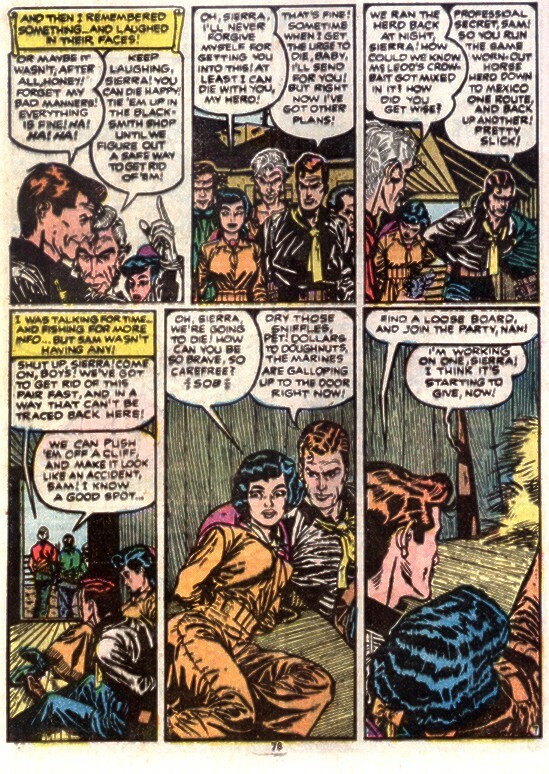 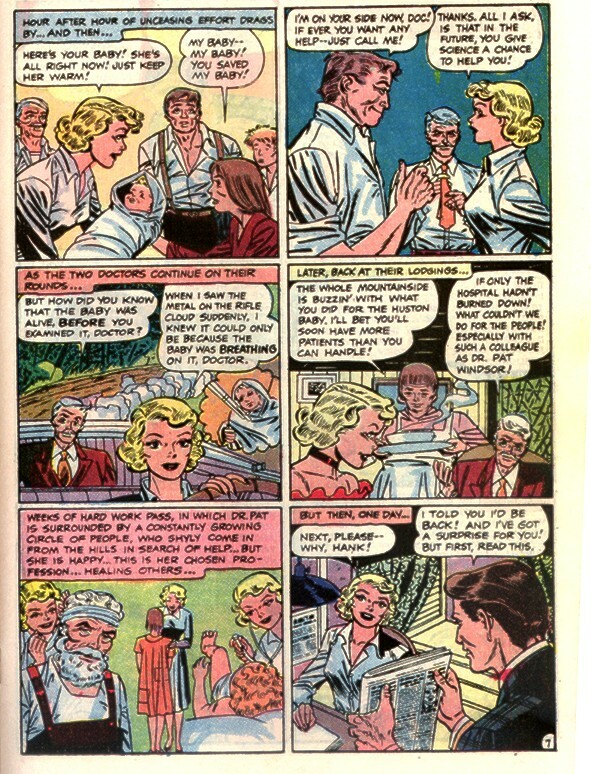 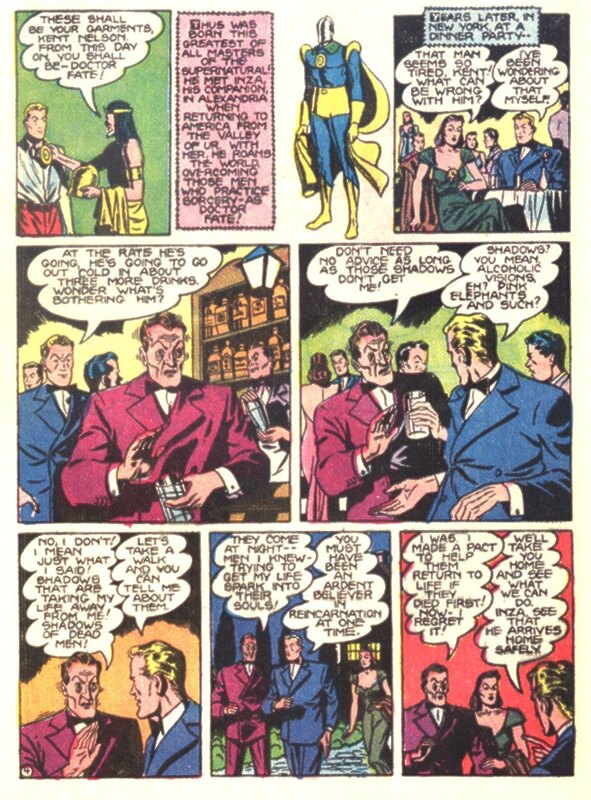 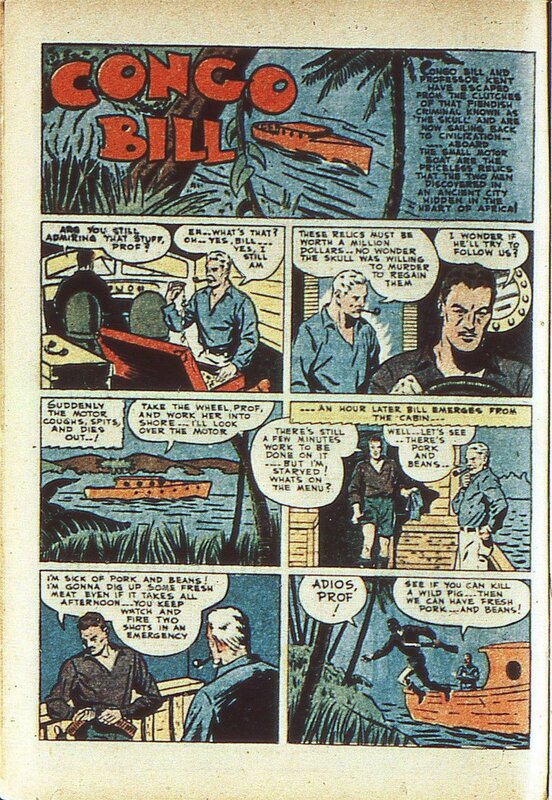 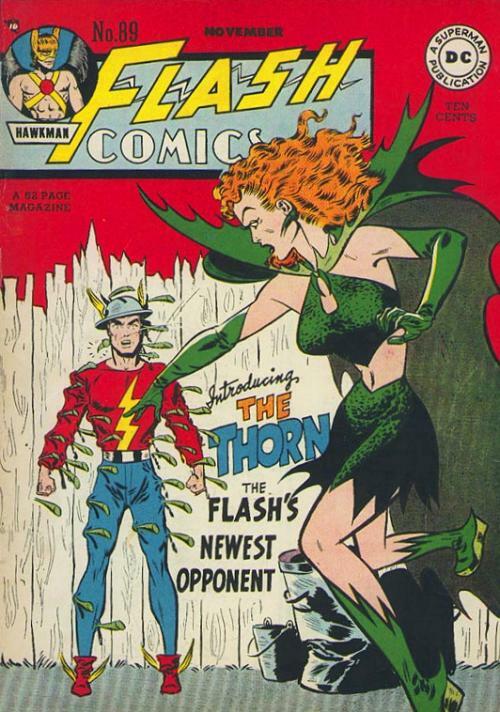 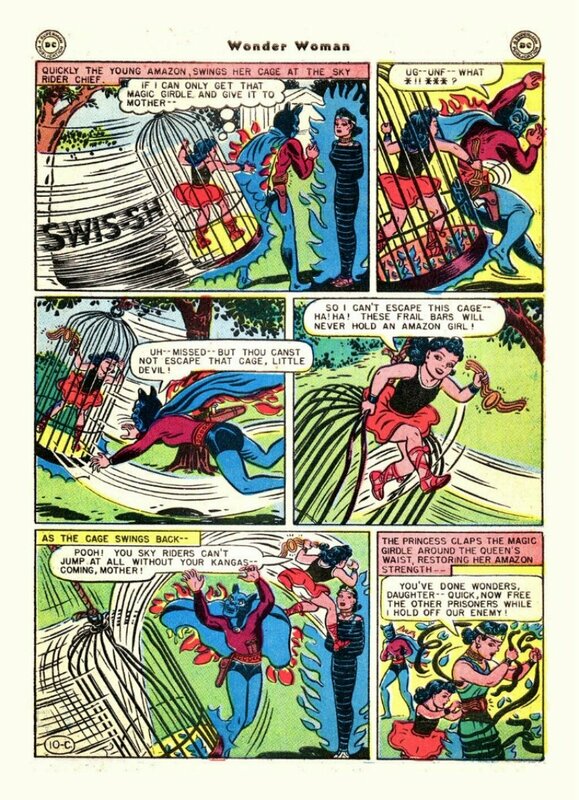 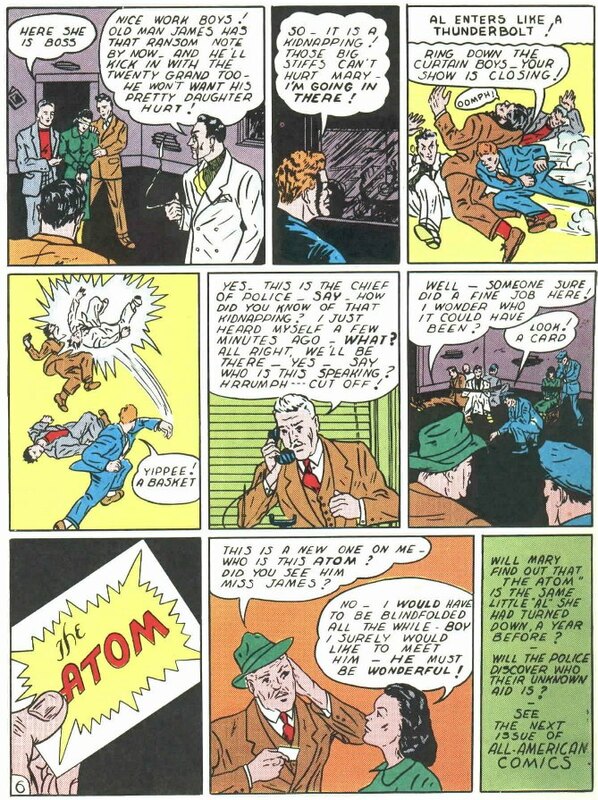 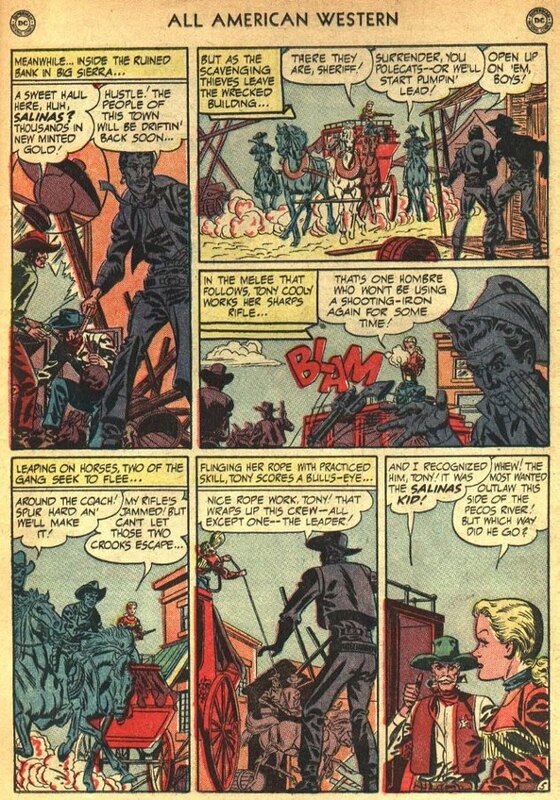 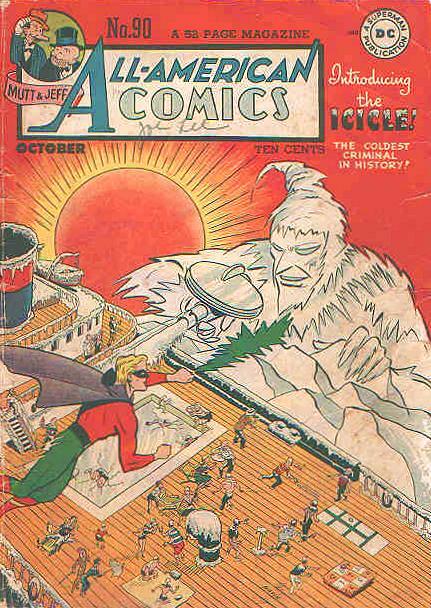 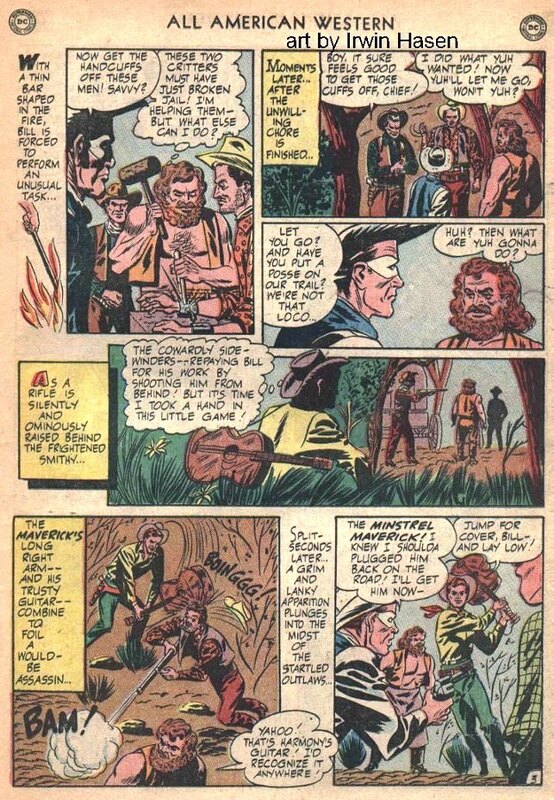 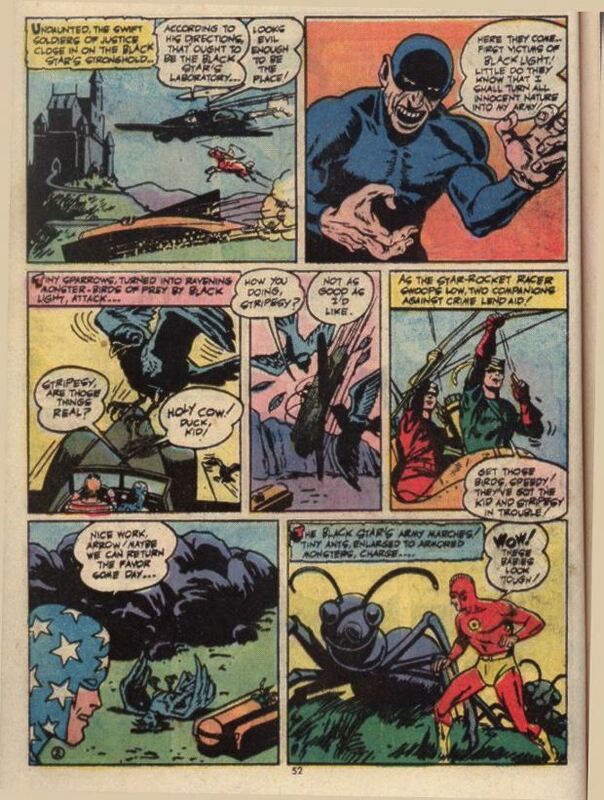 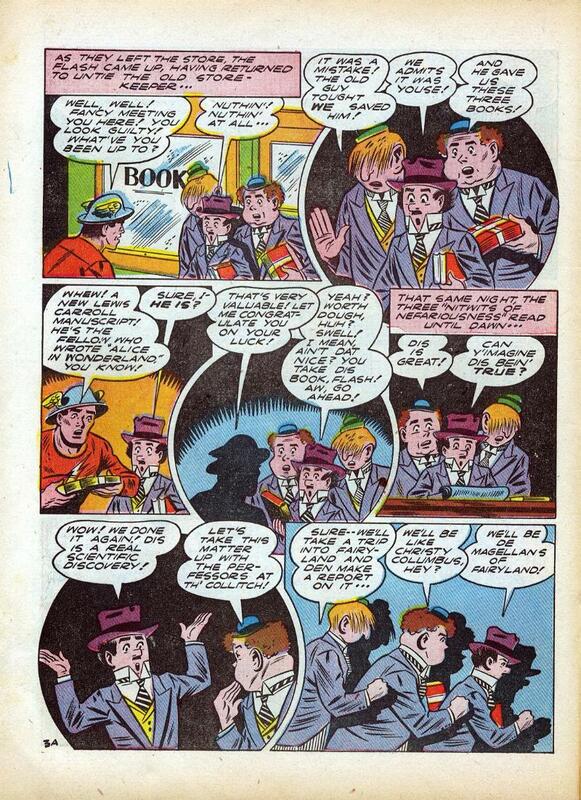 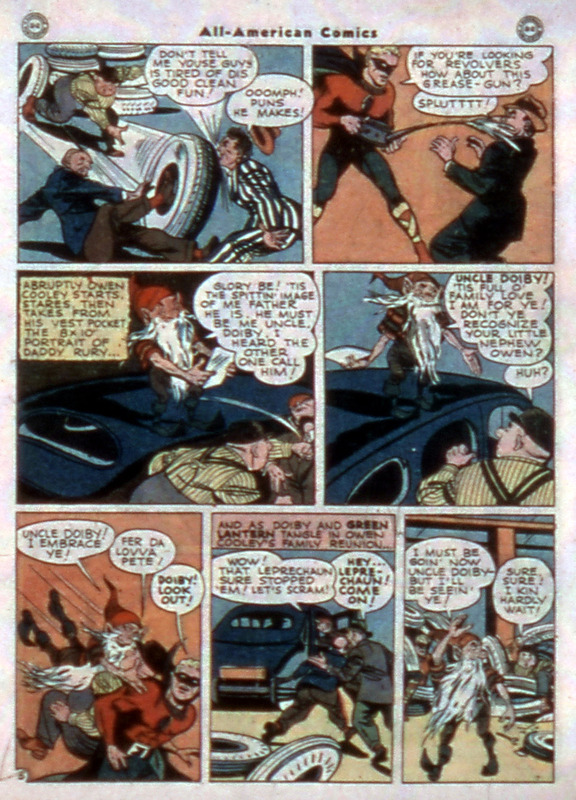 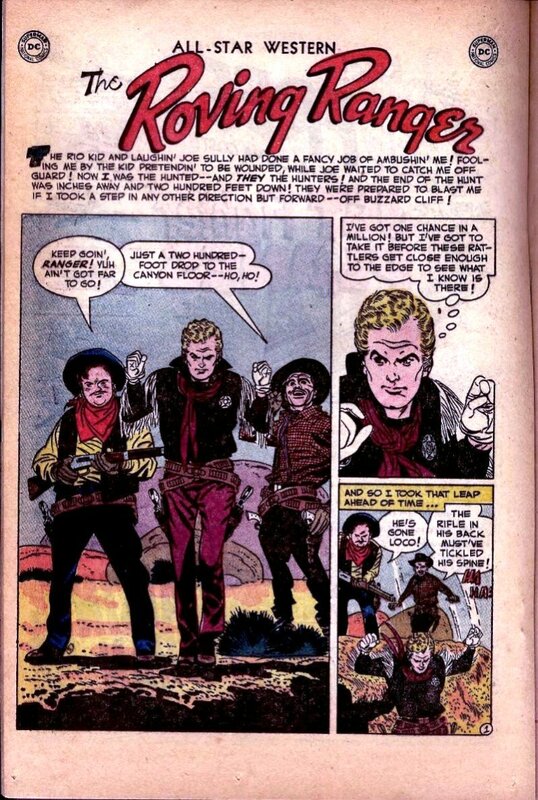 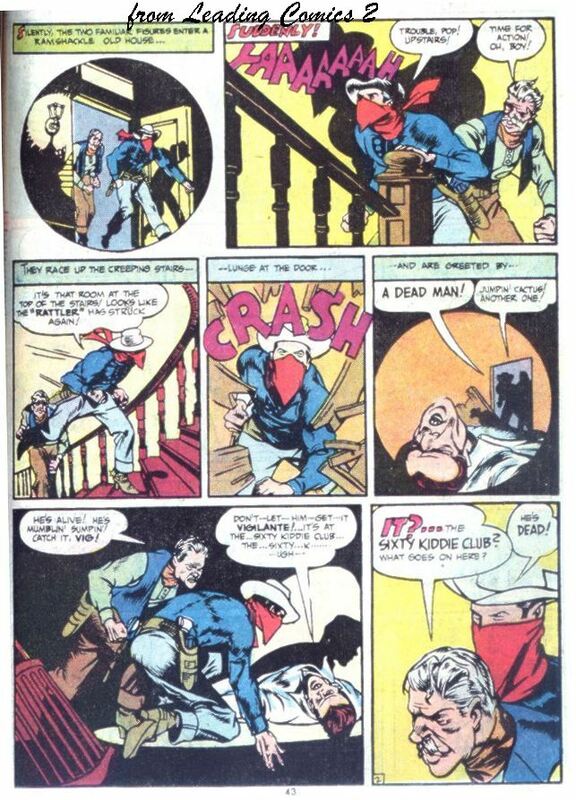 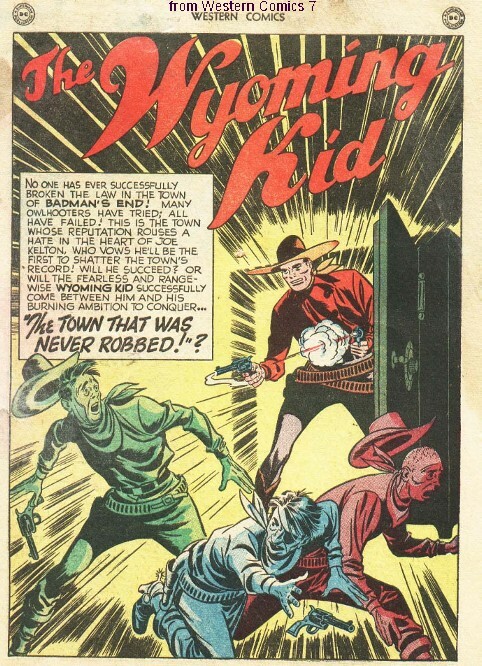 The name Arthur Curry first appears in Adventure Comics 260 in May 1959. 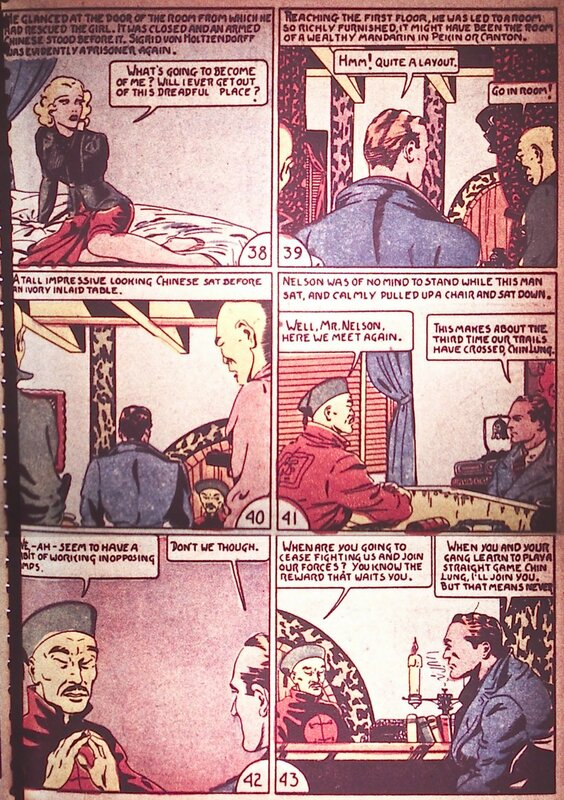 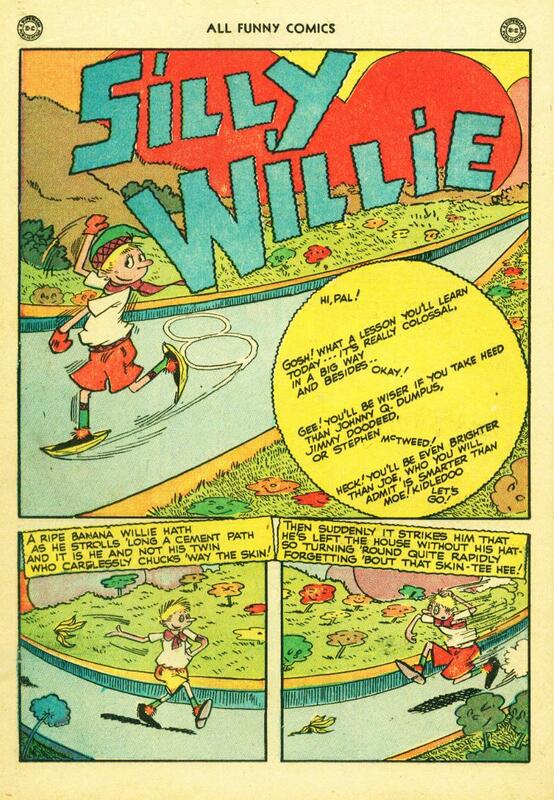 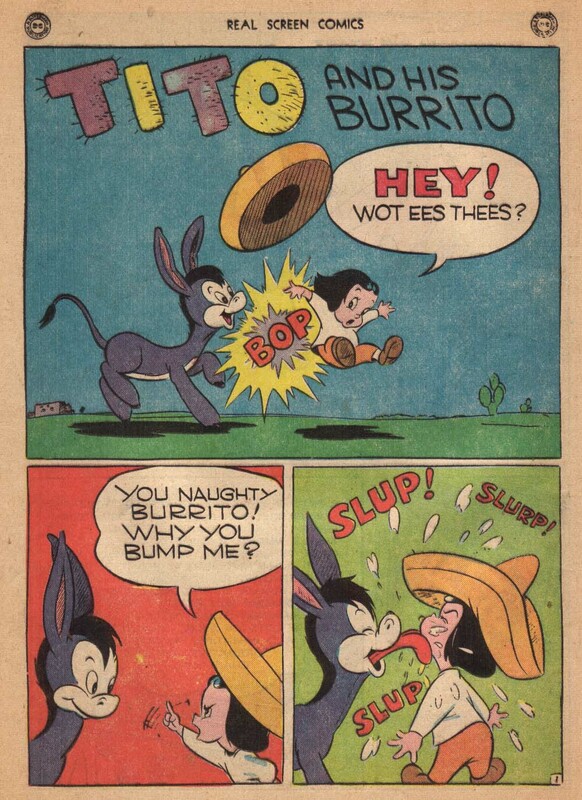 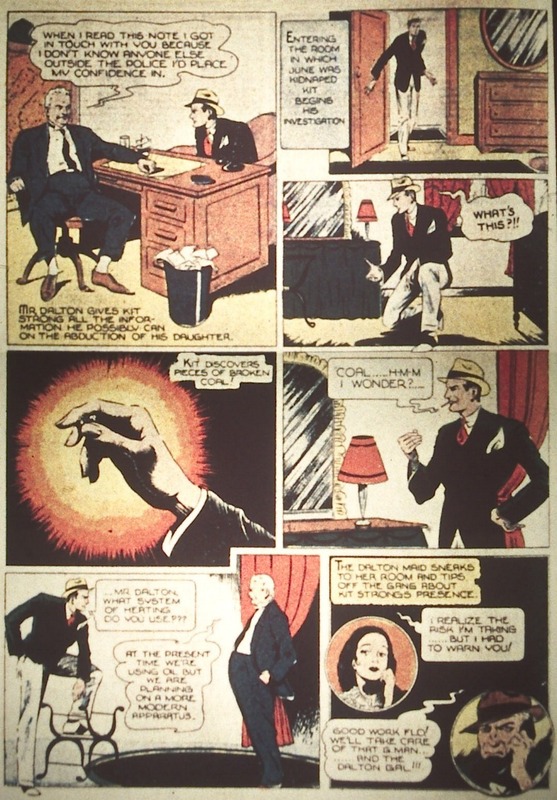 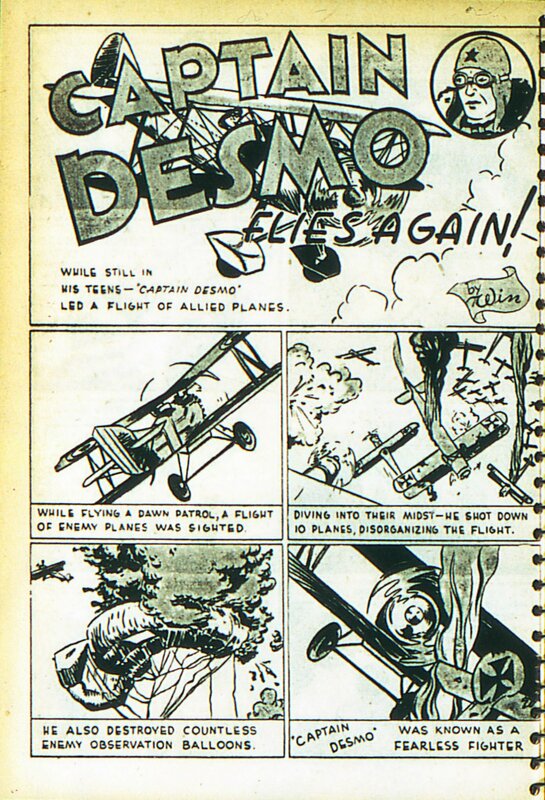 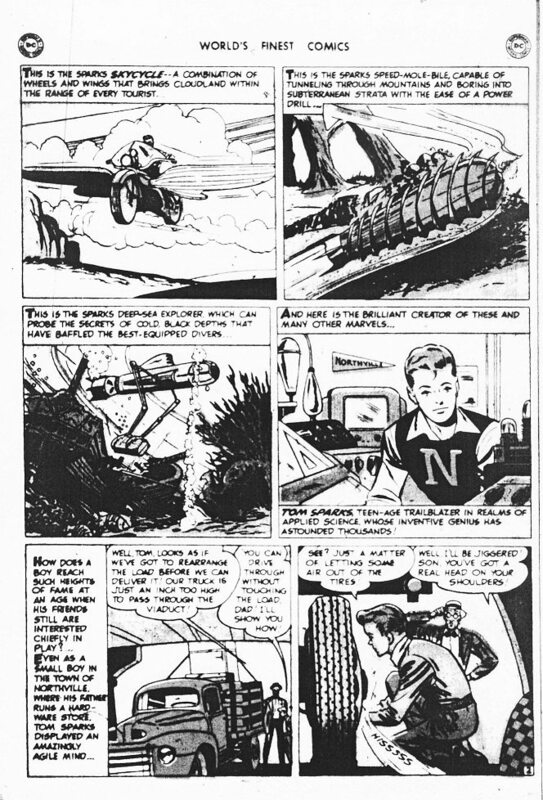 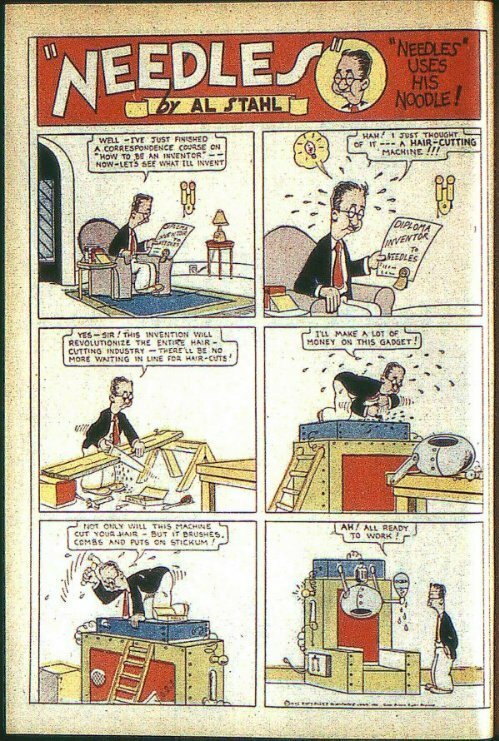 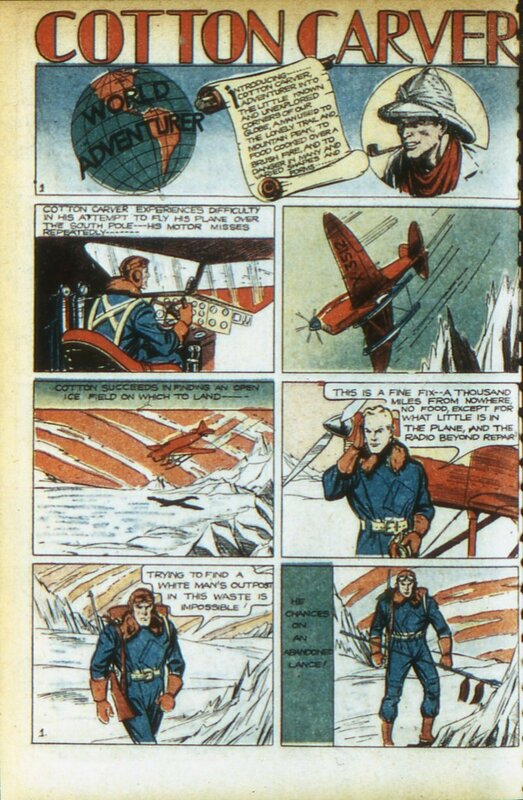 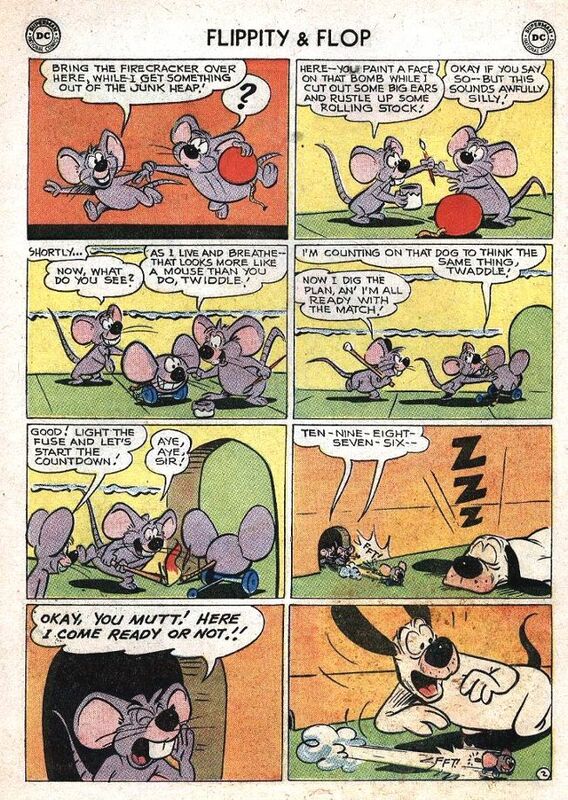 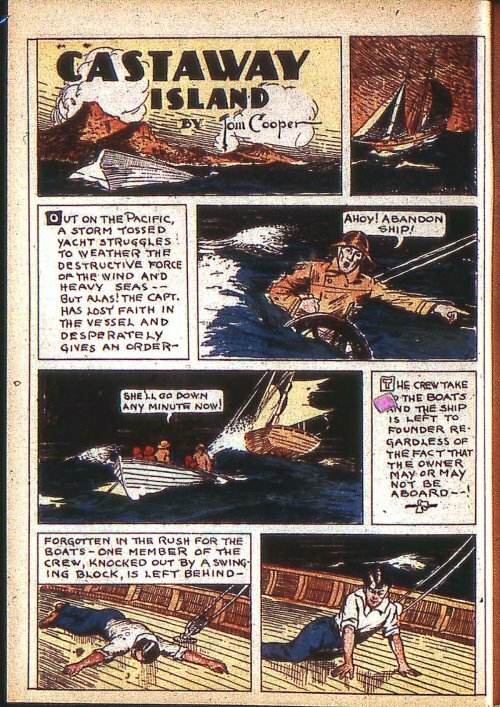 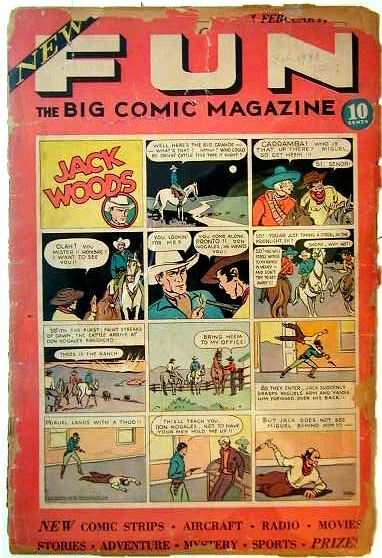 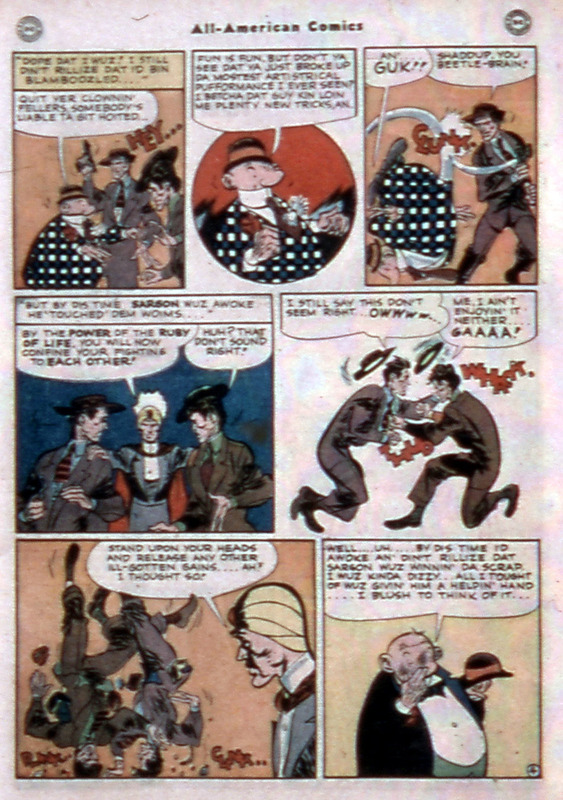 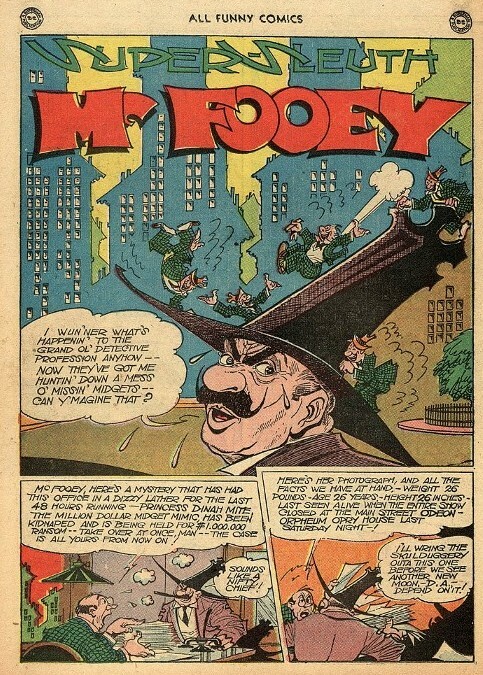 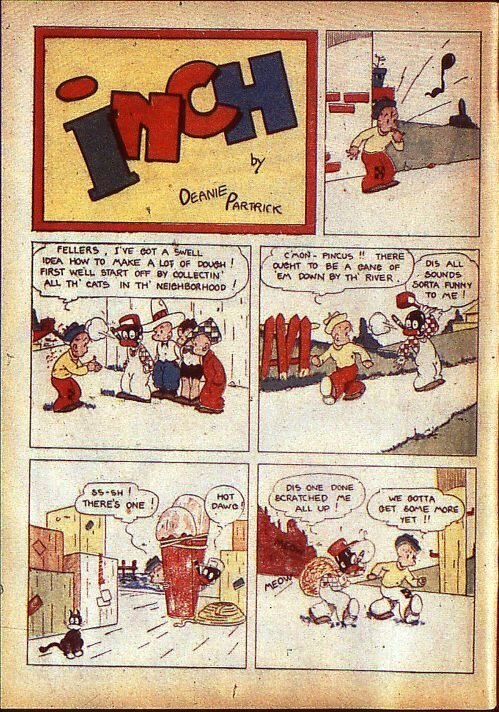 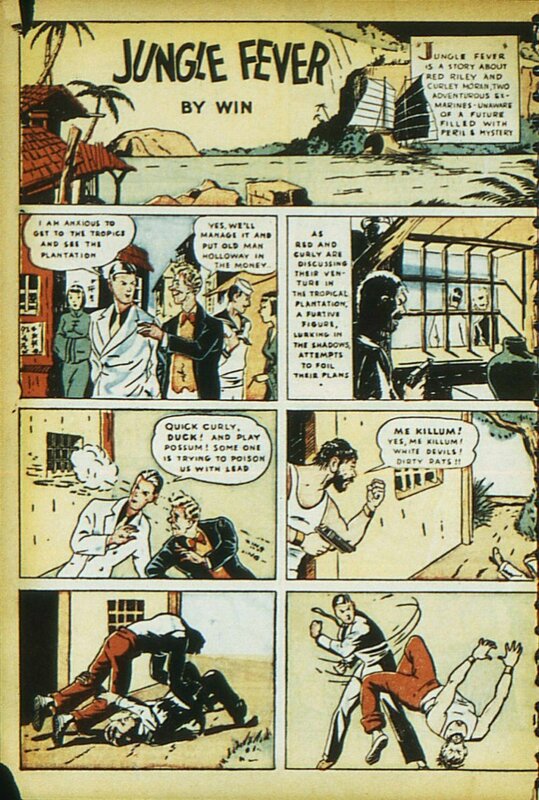 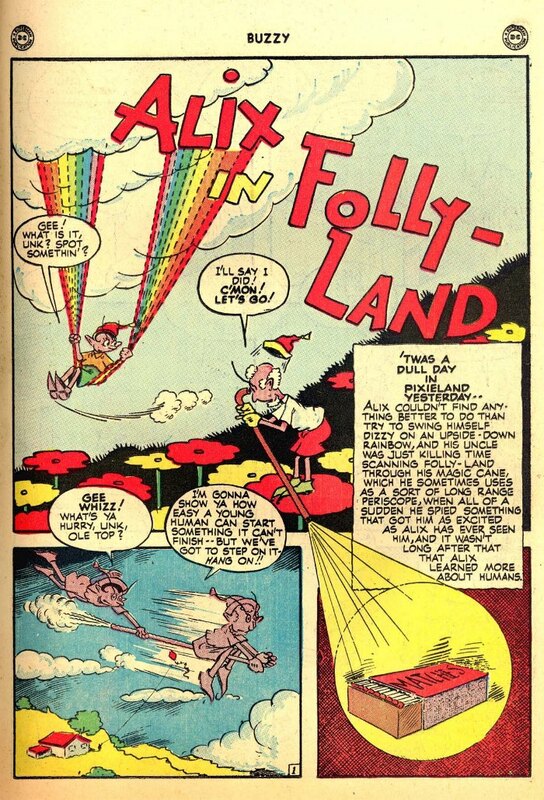 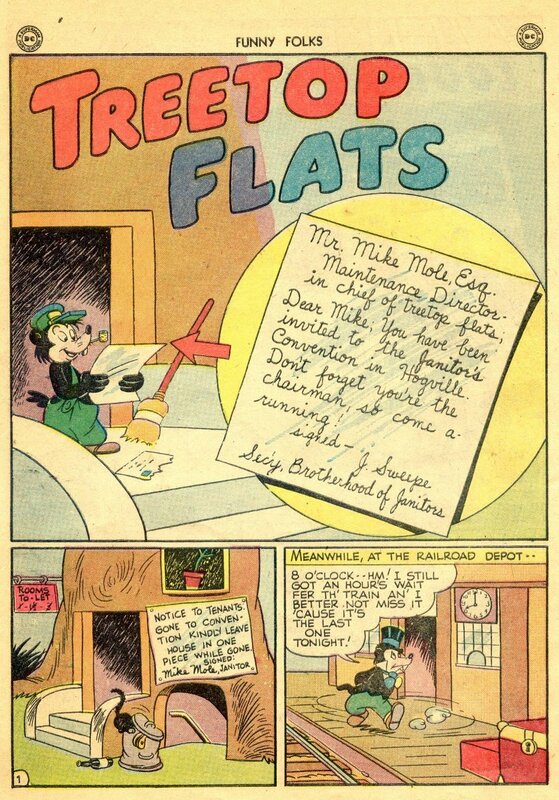 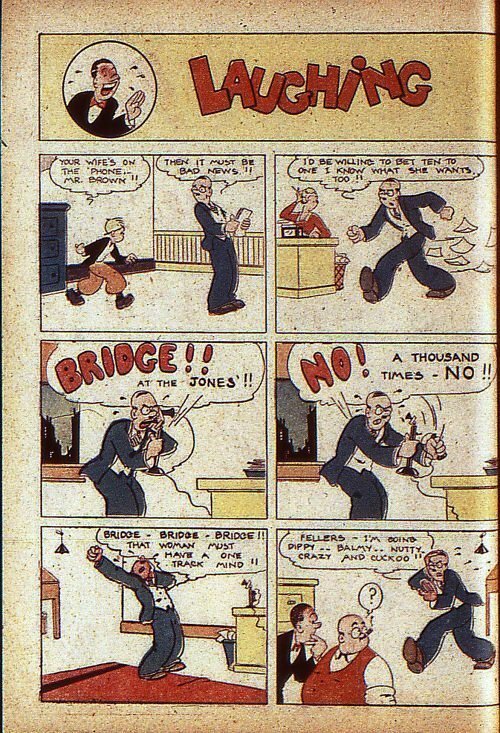 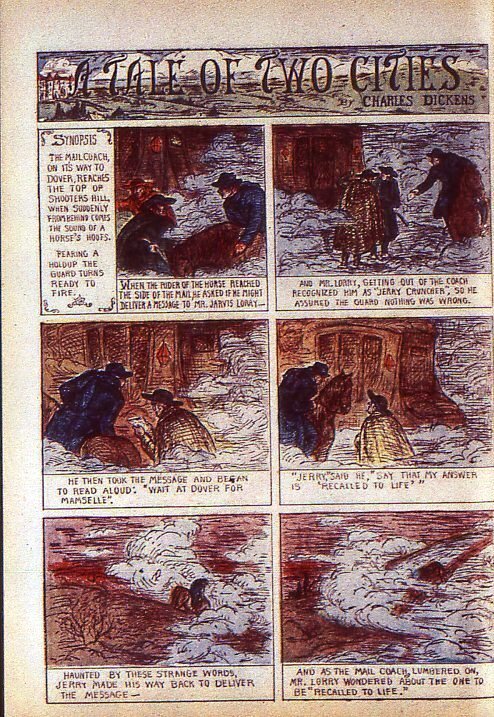 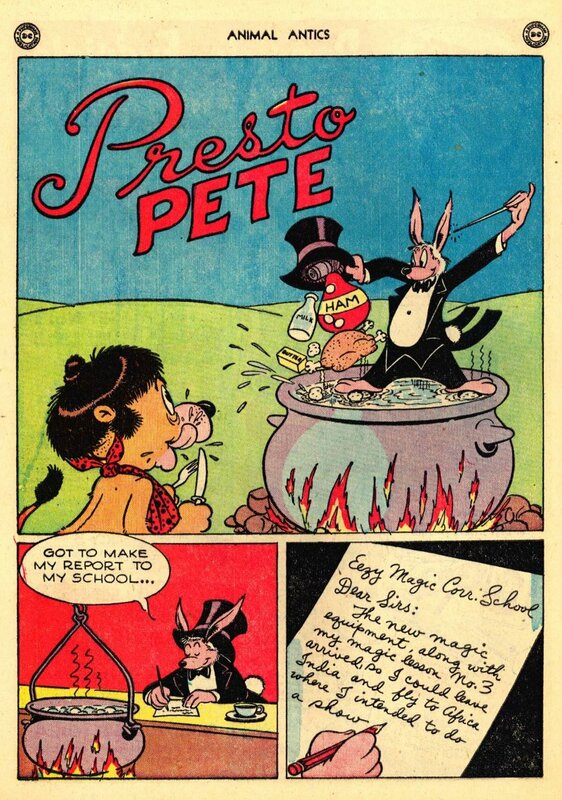 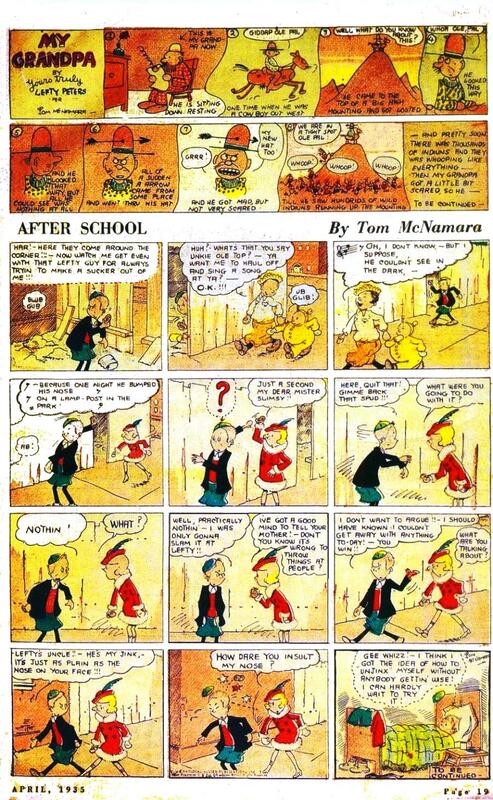 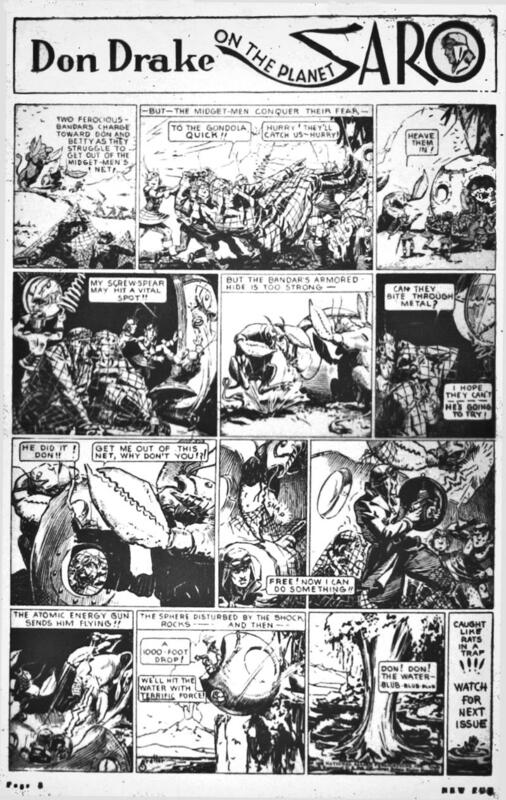 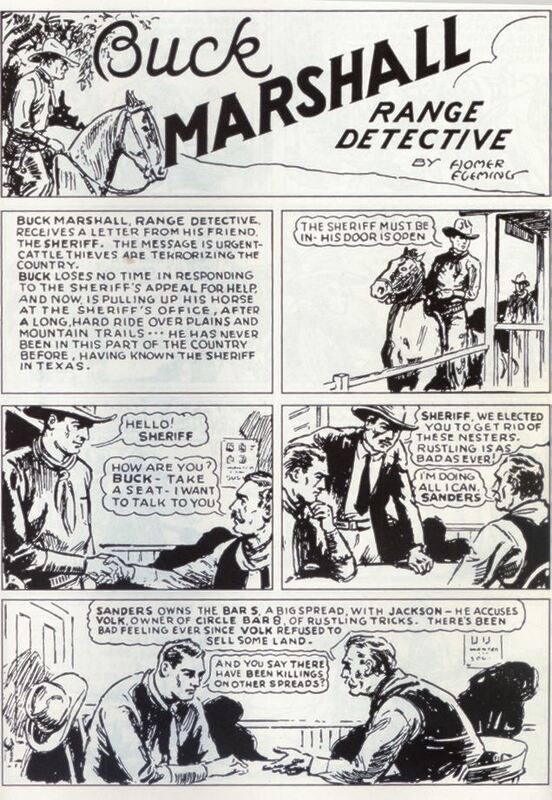 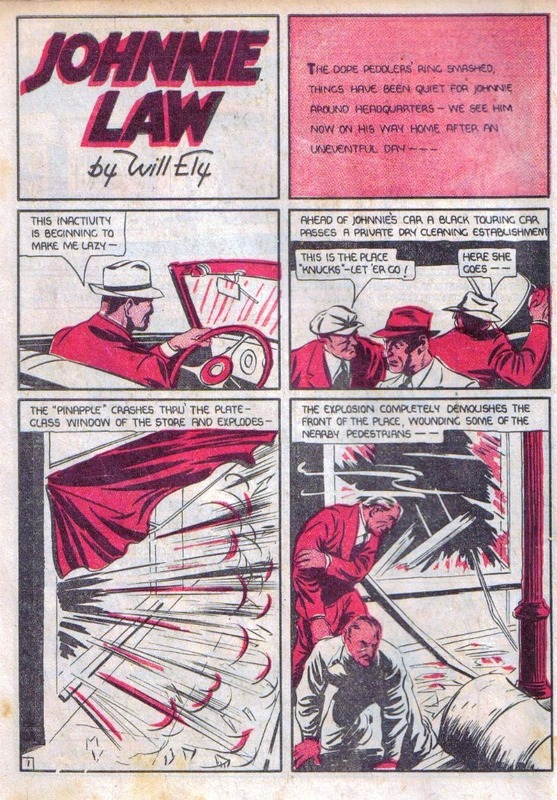 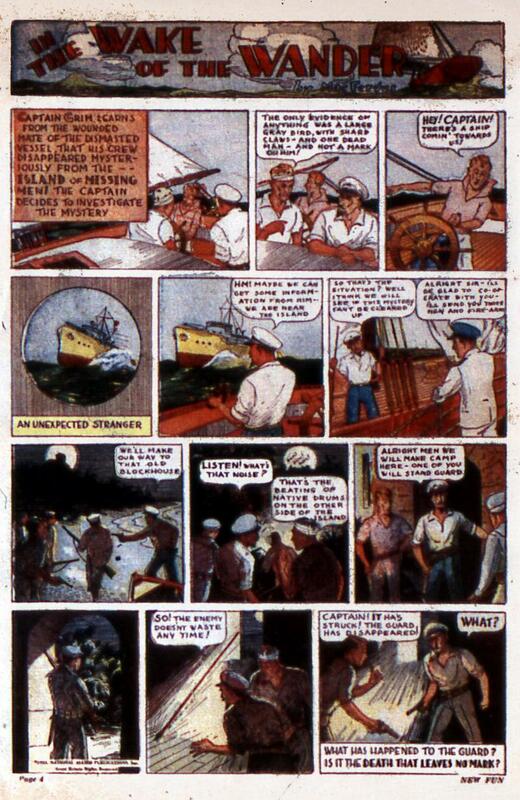 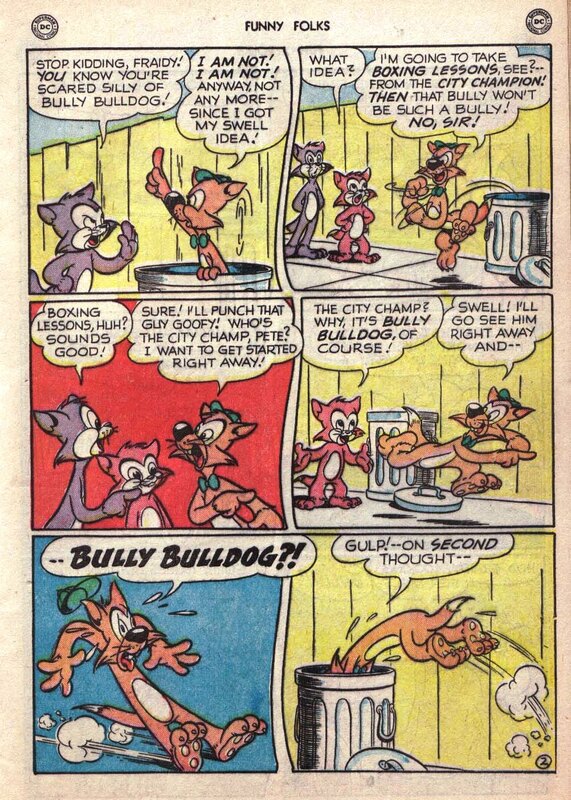 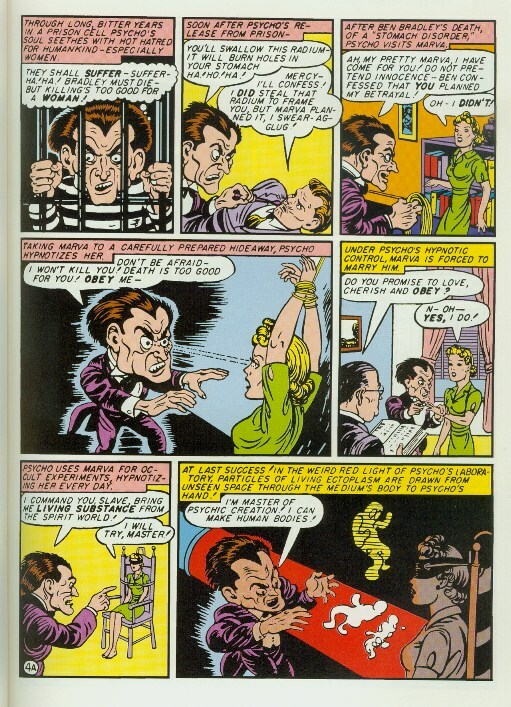 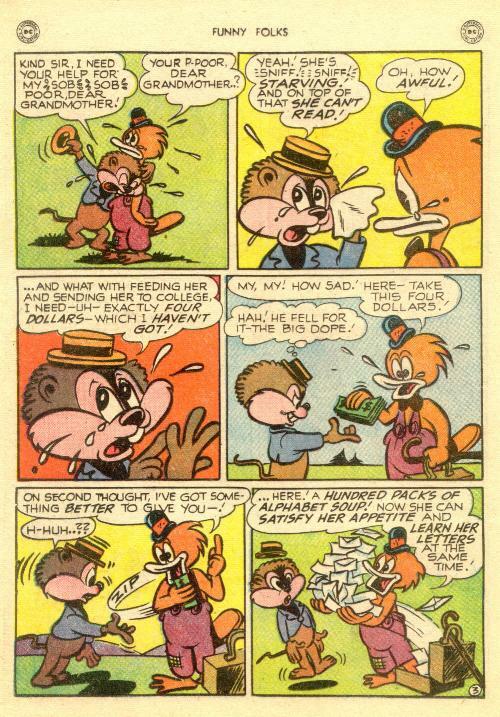 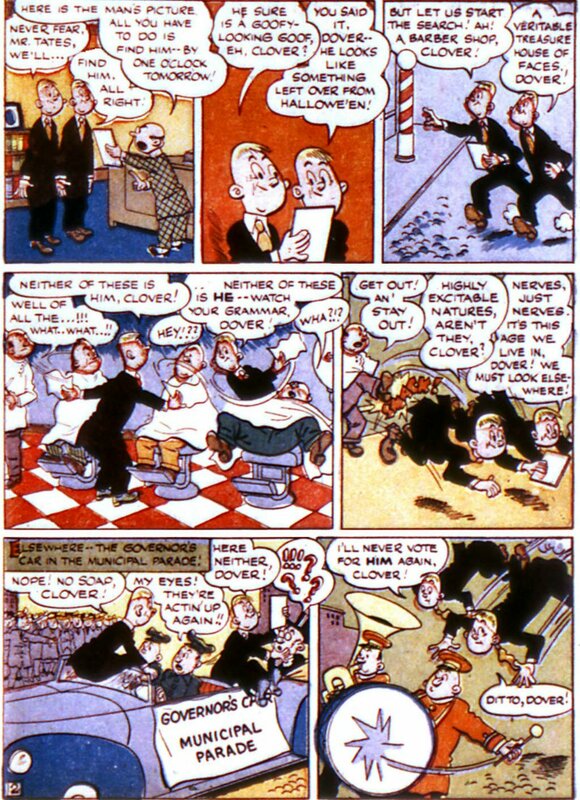 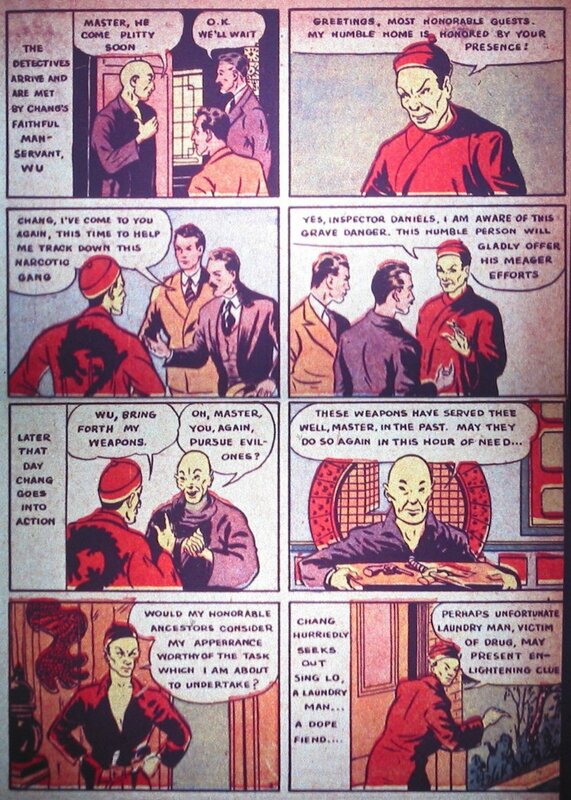 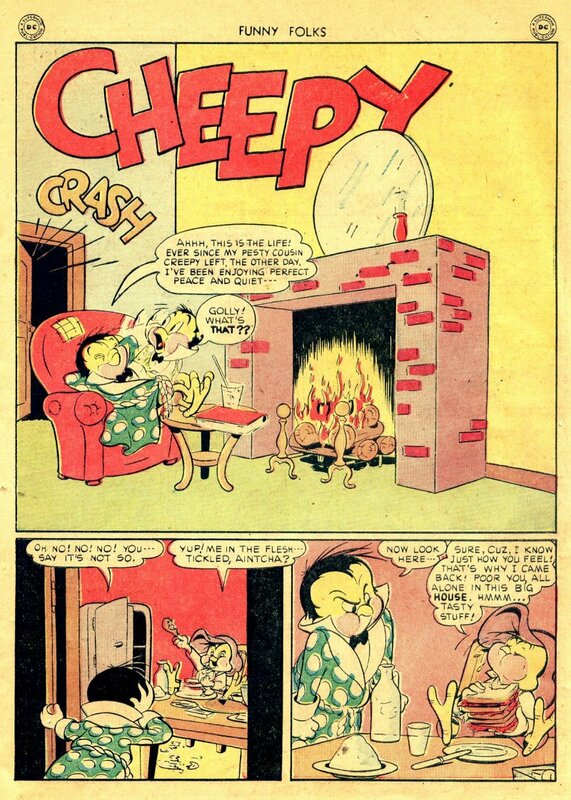 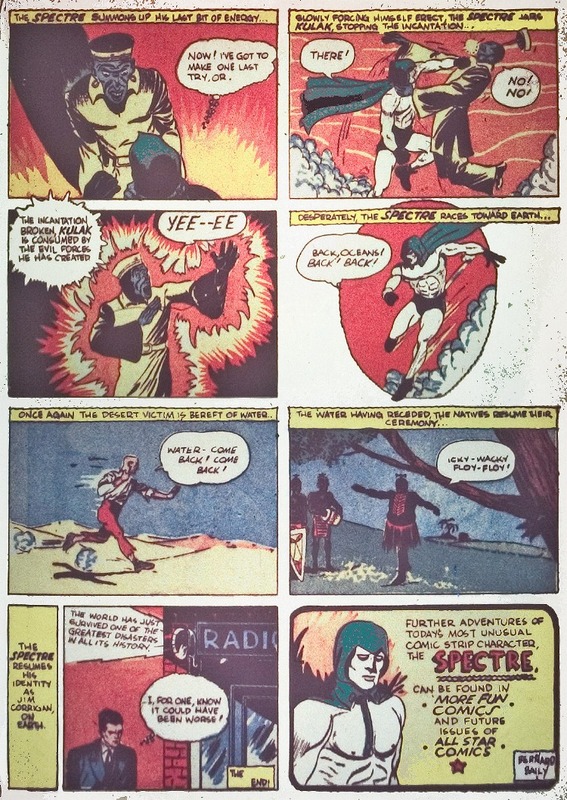 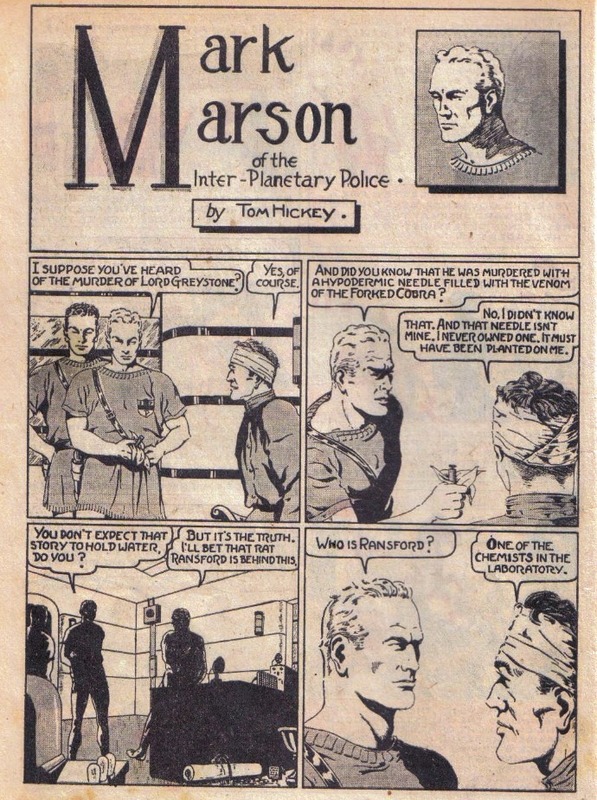 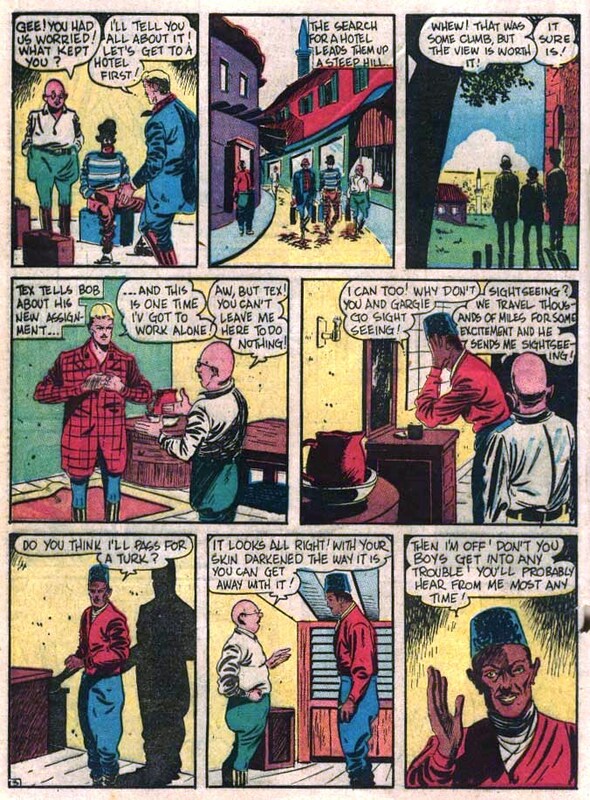 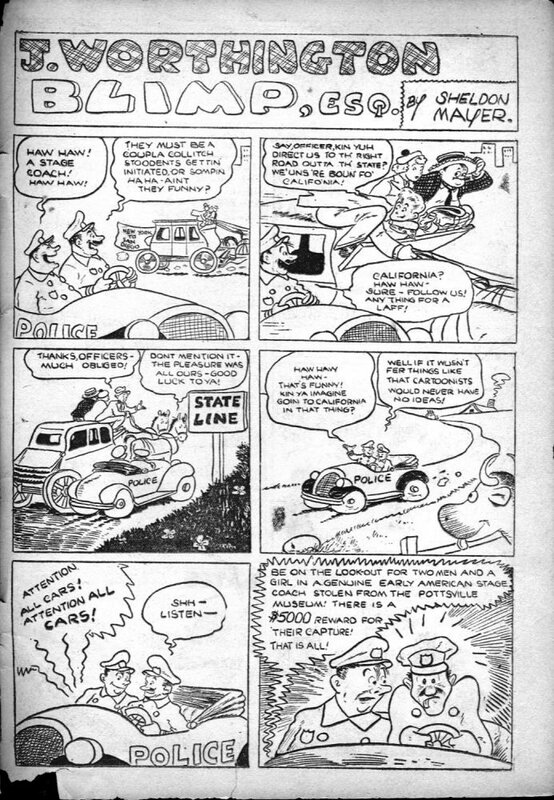 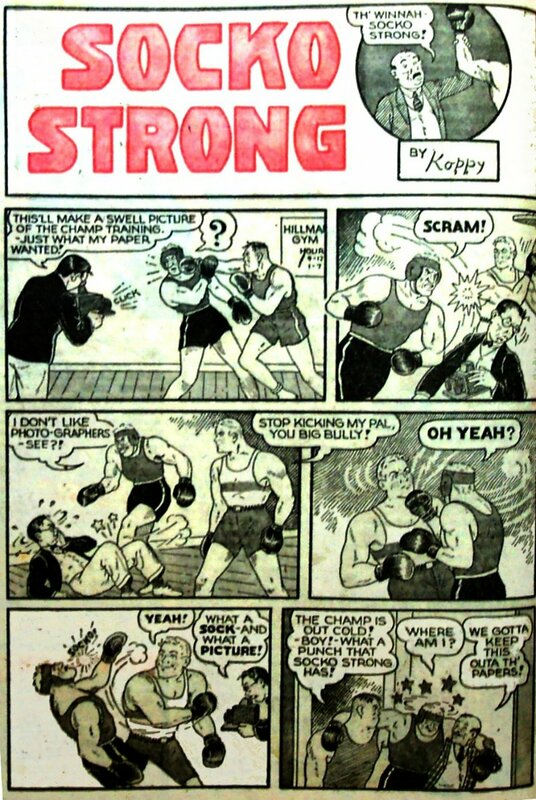 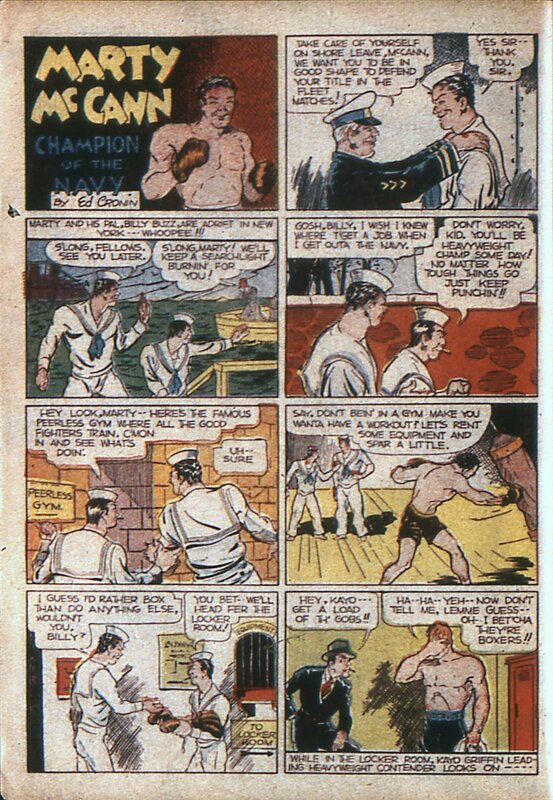 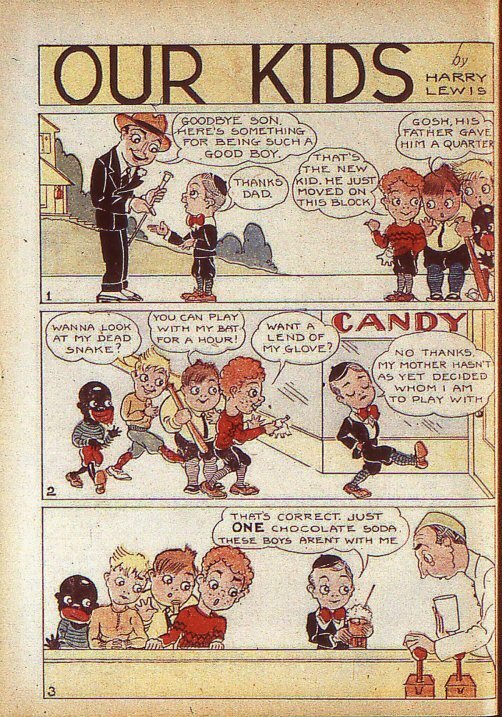 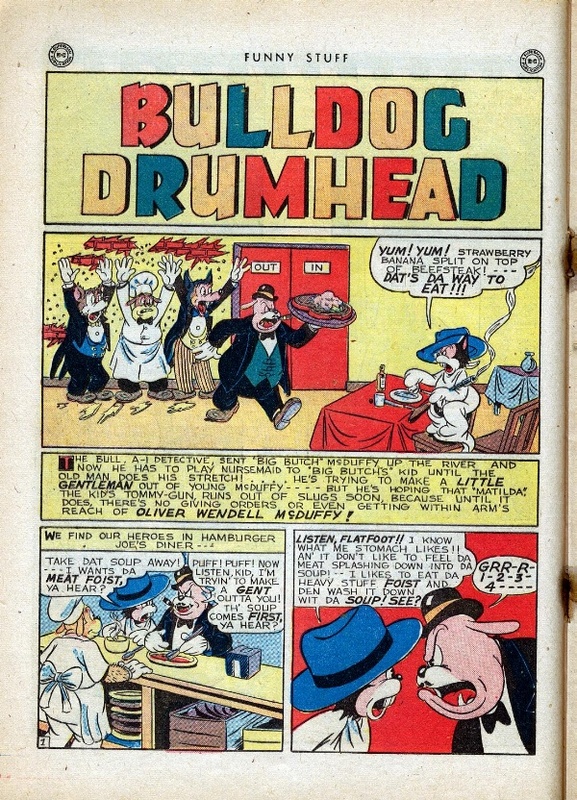 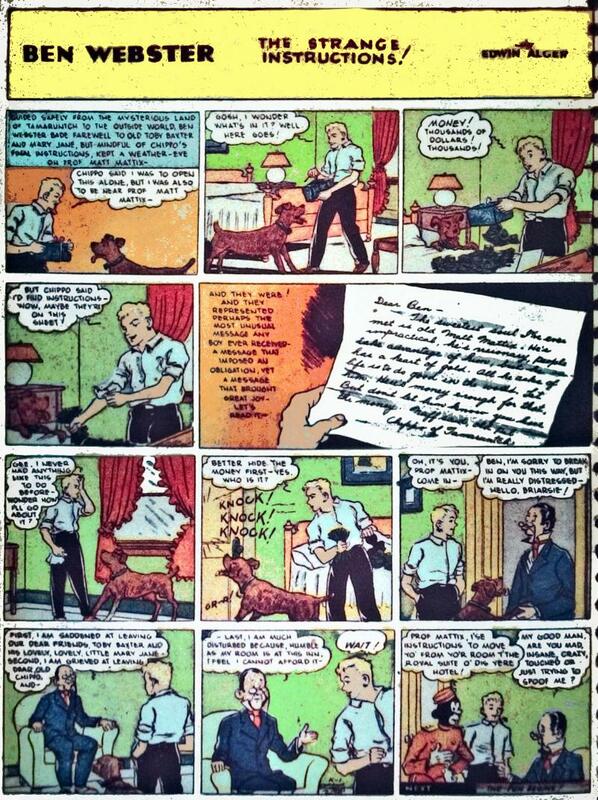 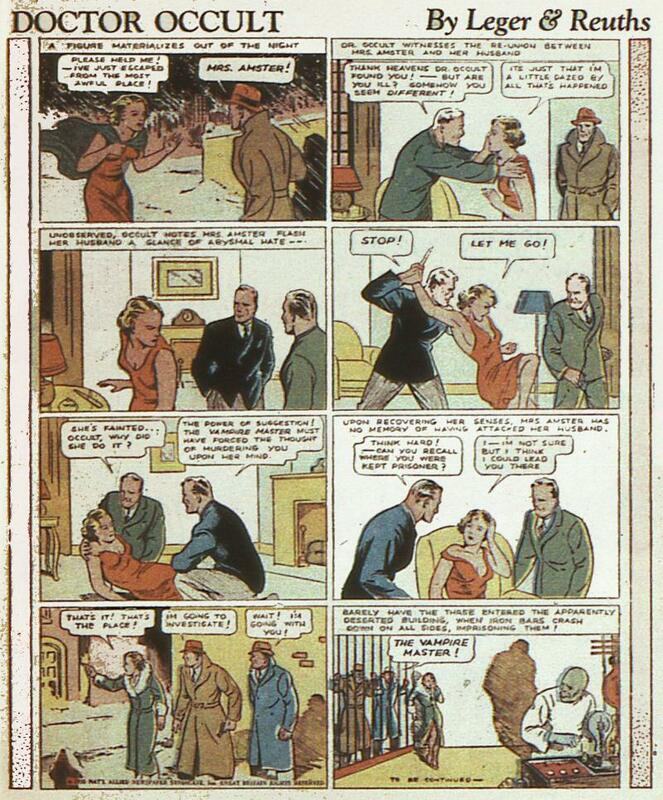 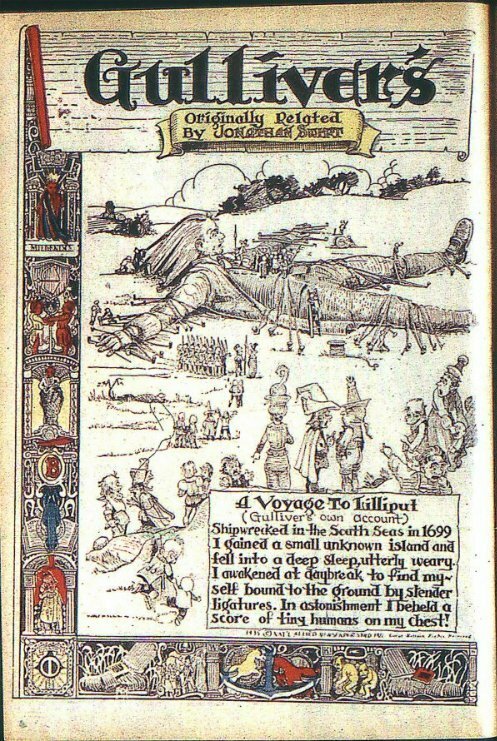 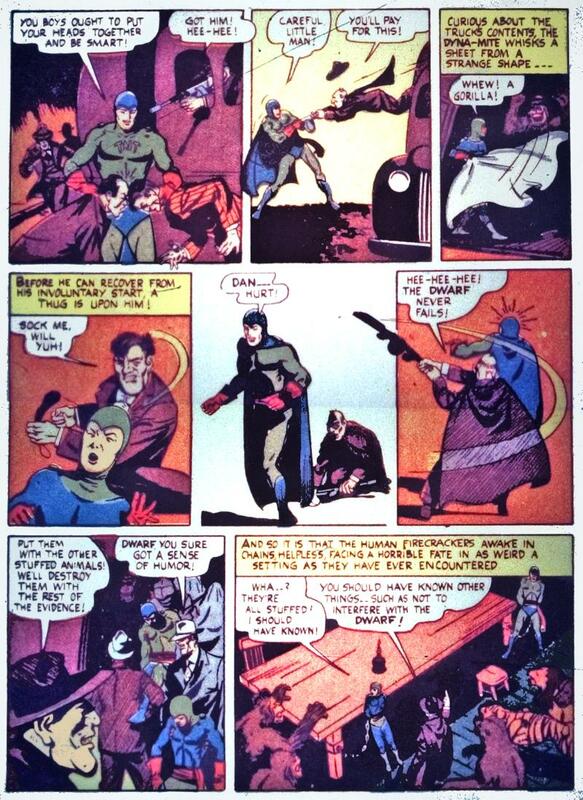 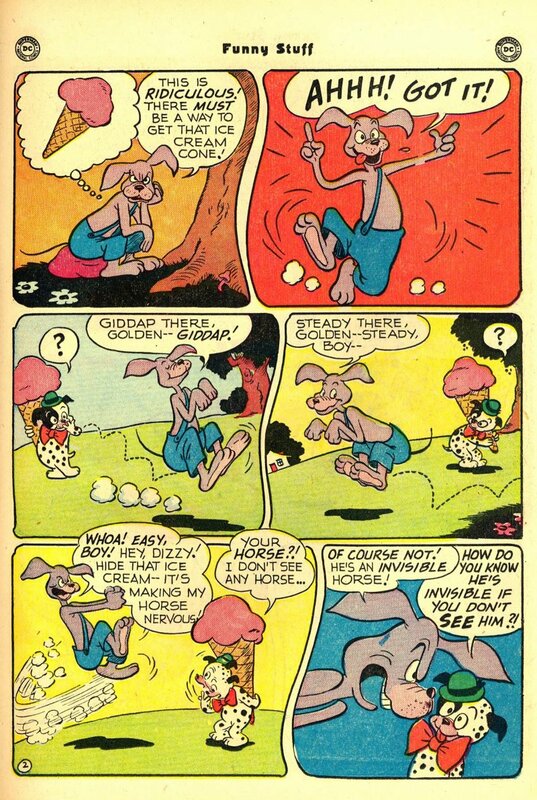 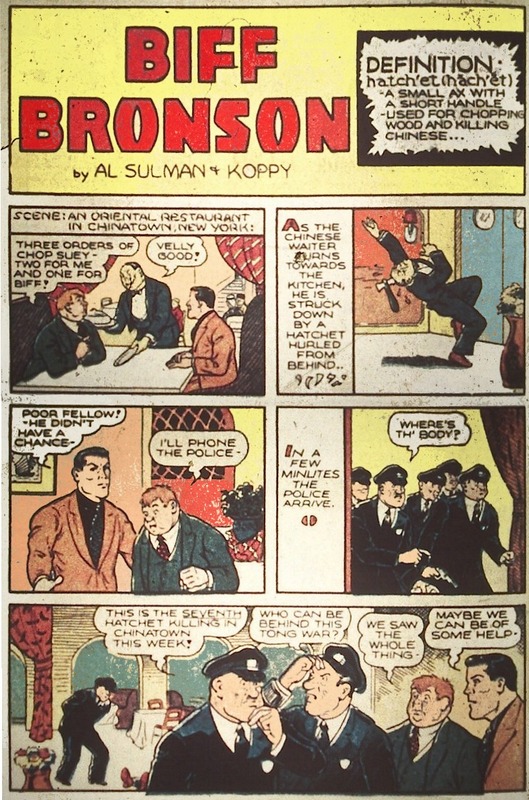 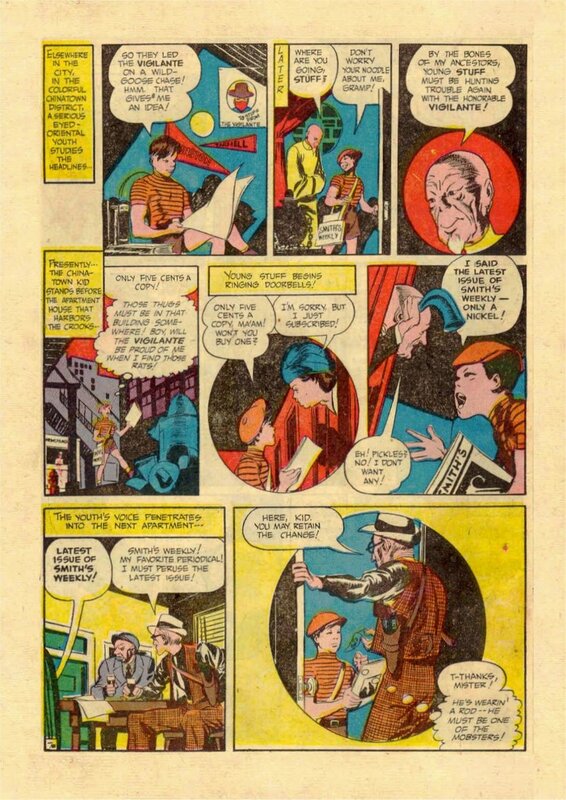 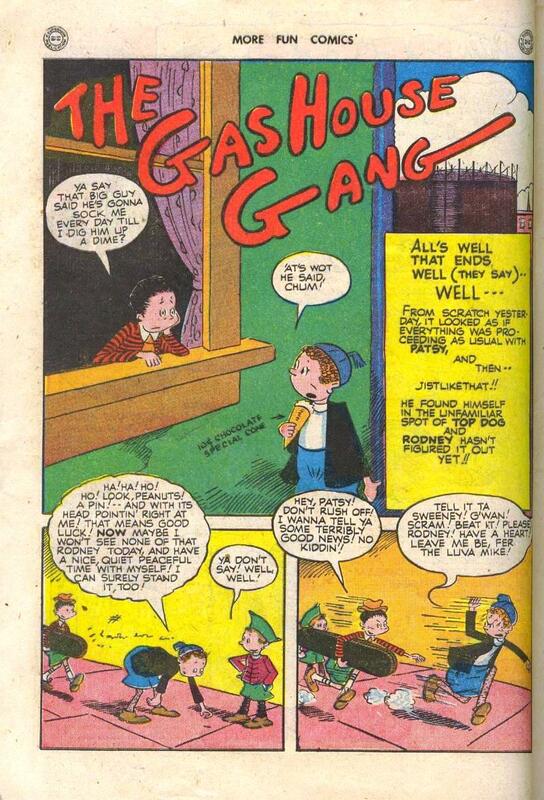 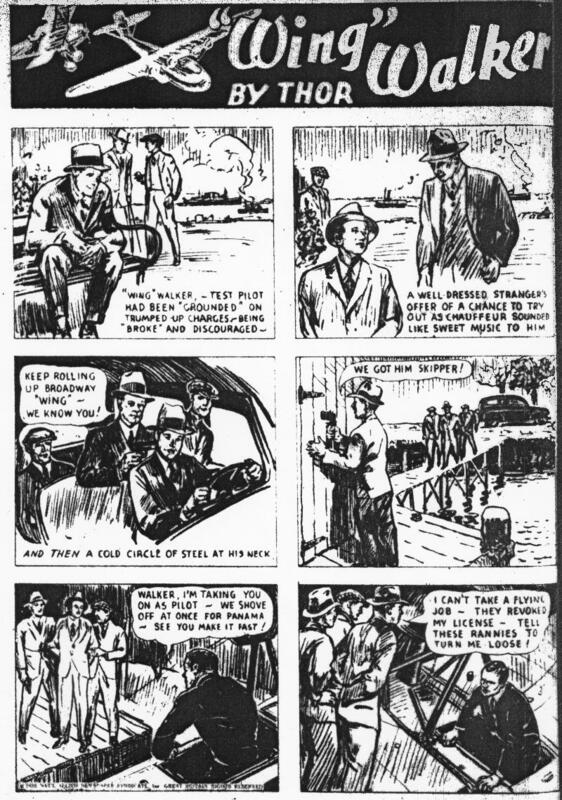 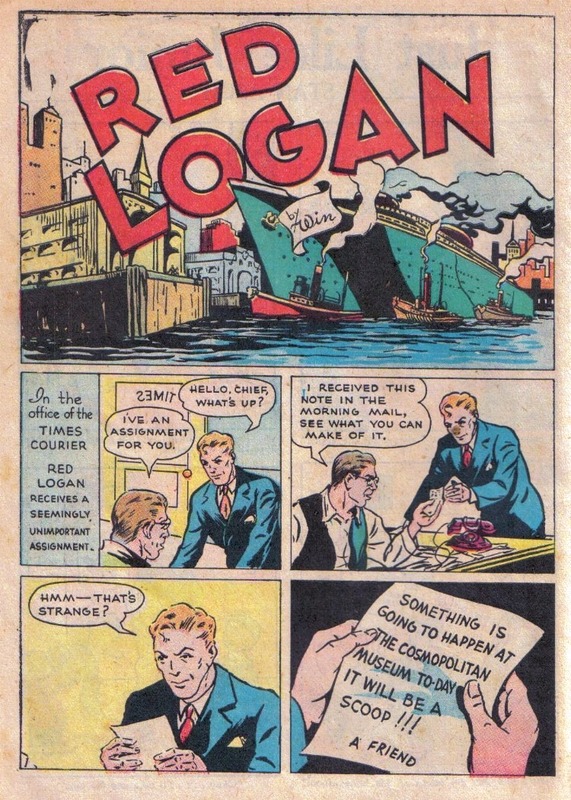 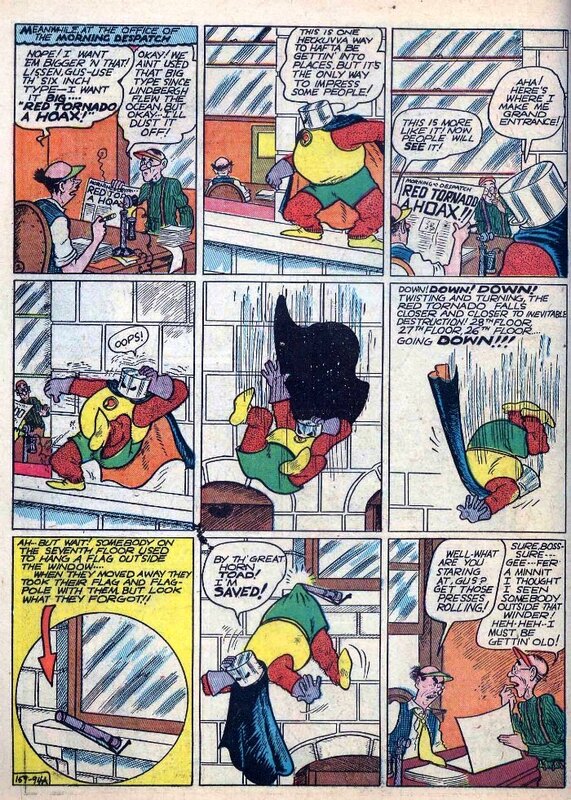 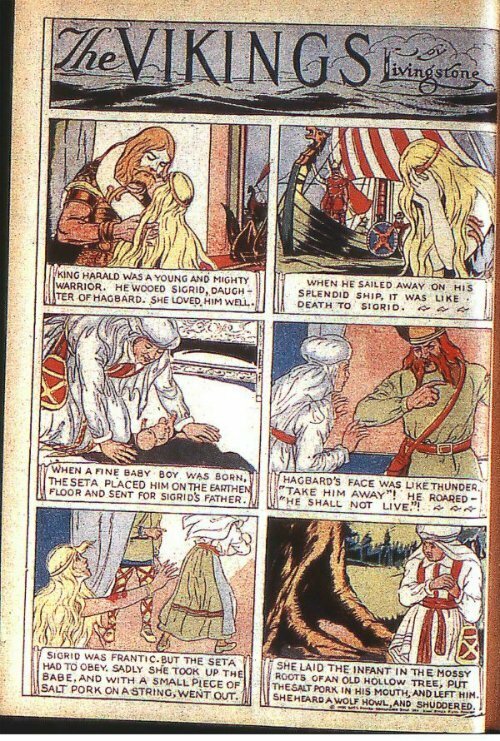 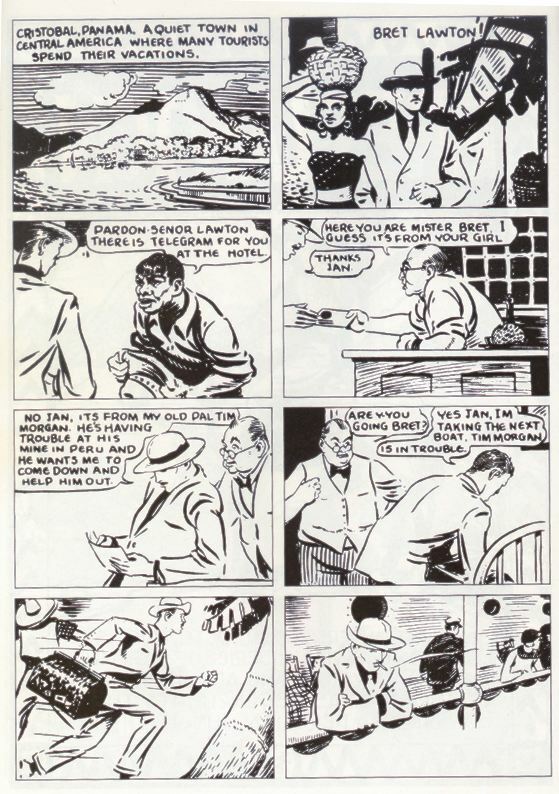 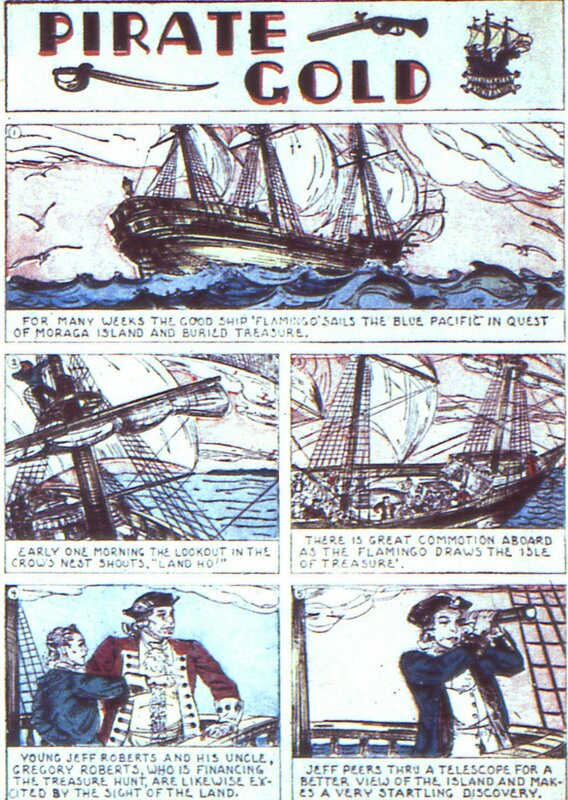 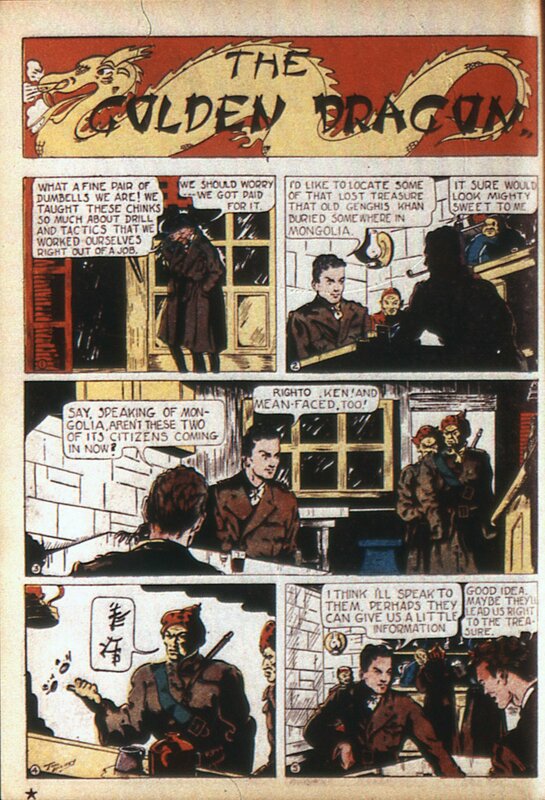 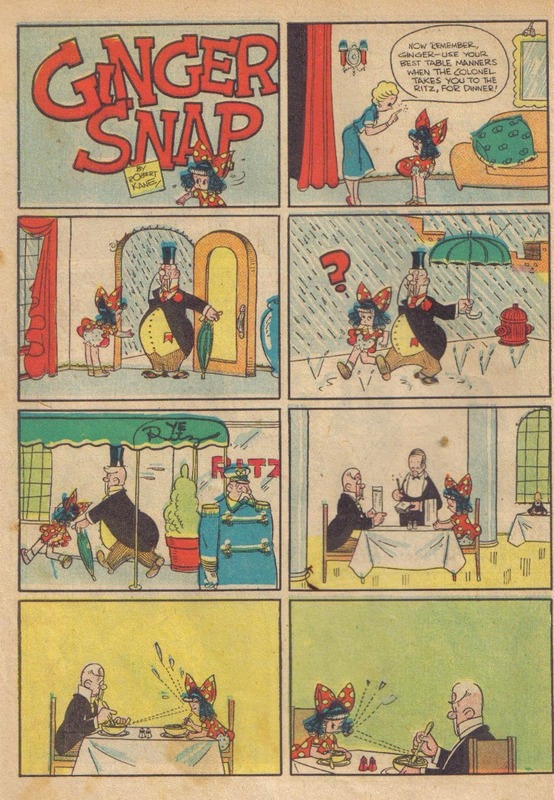 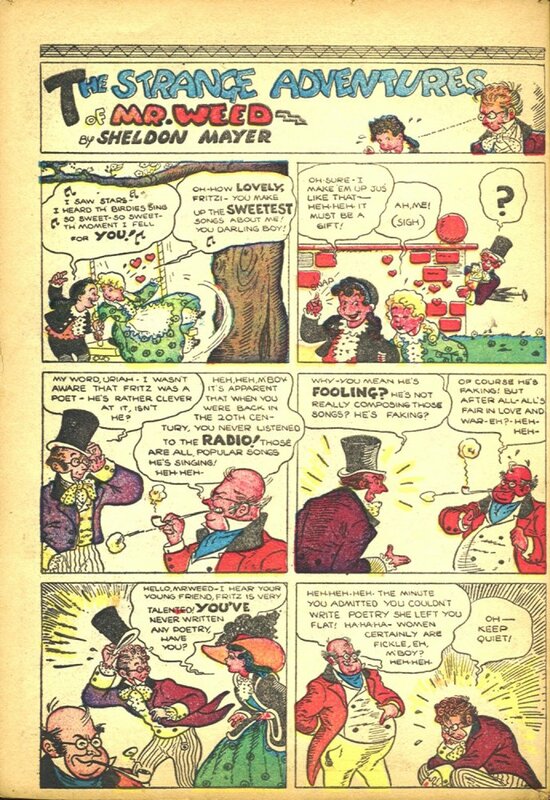 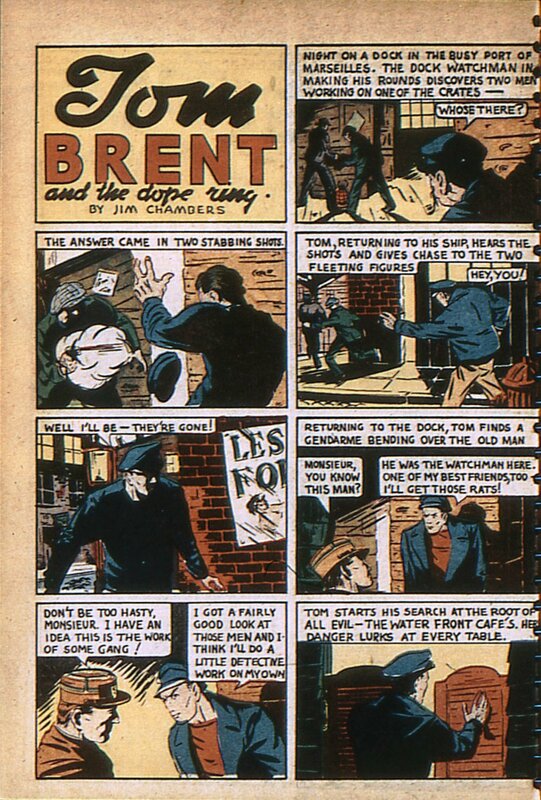 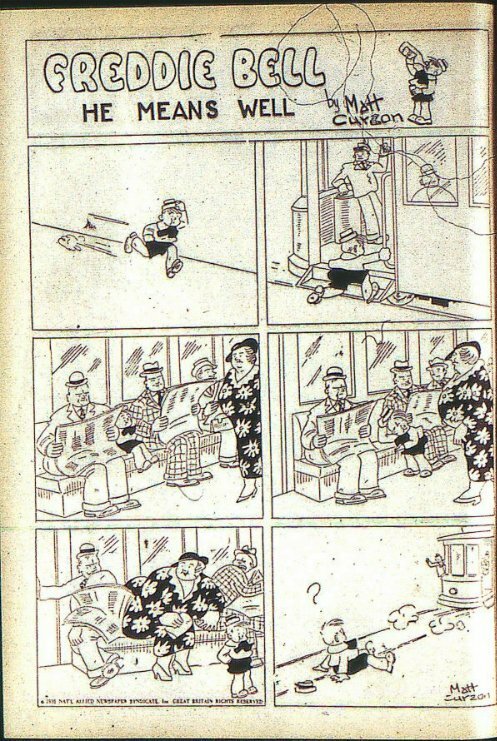 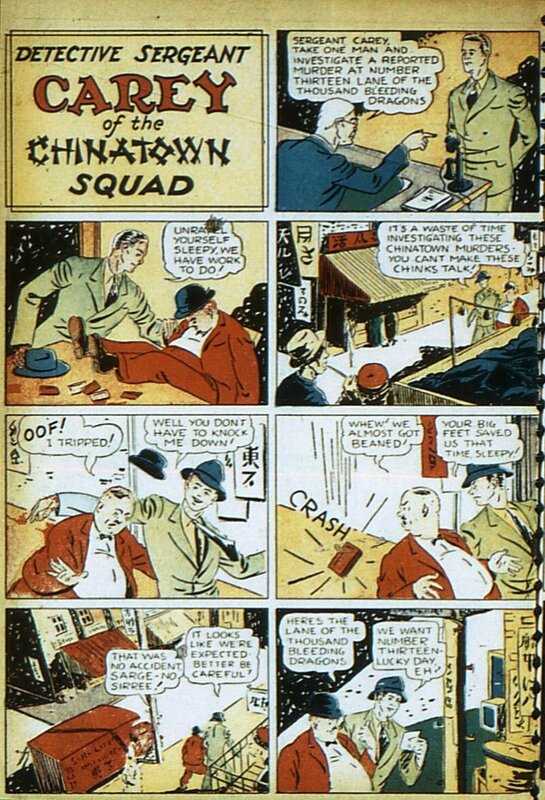 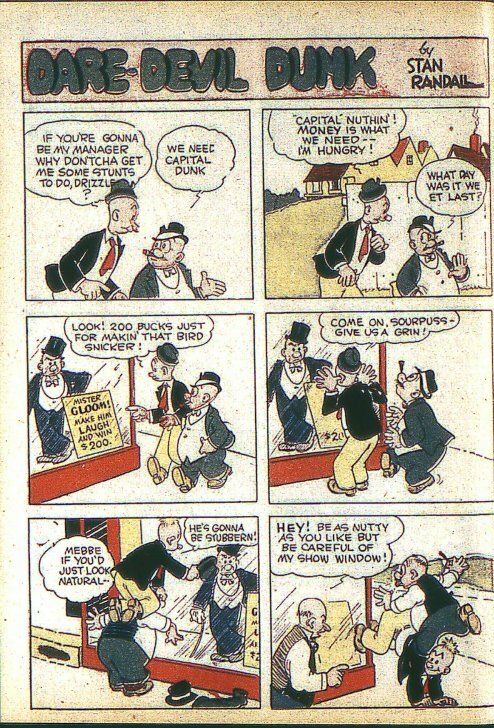 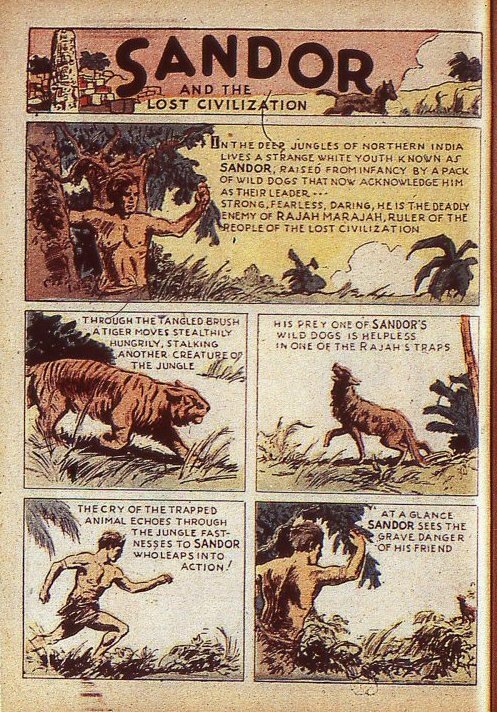 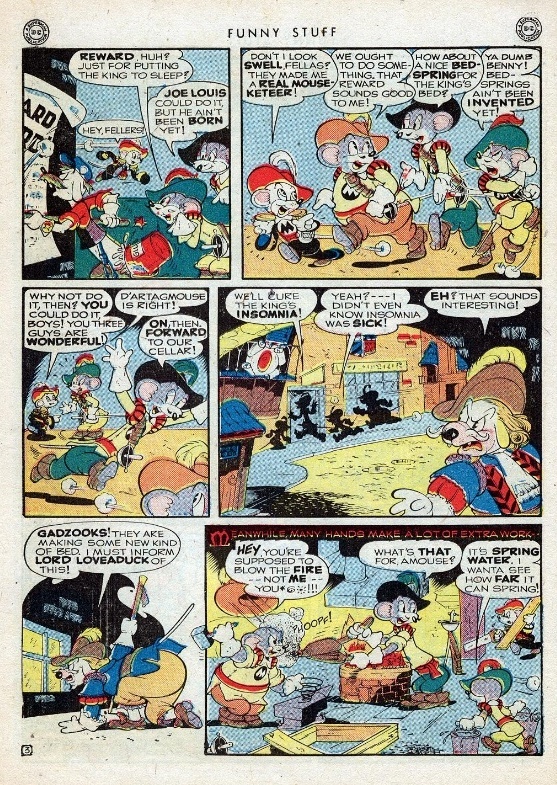 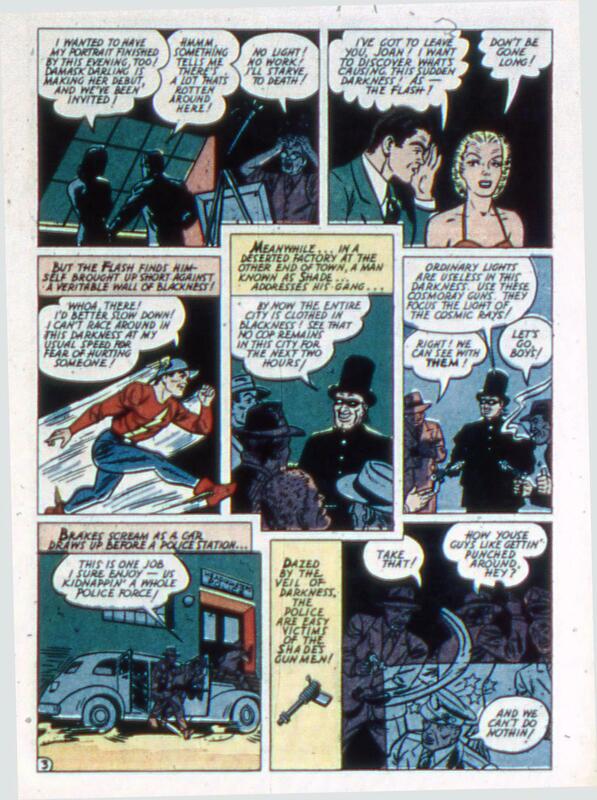 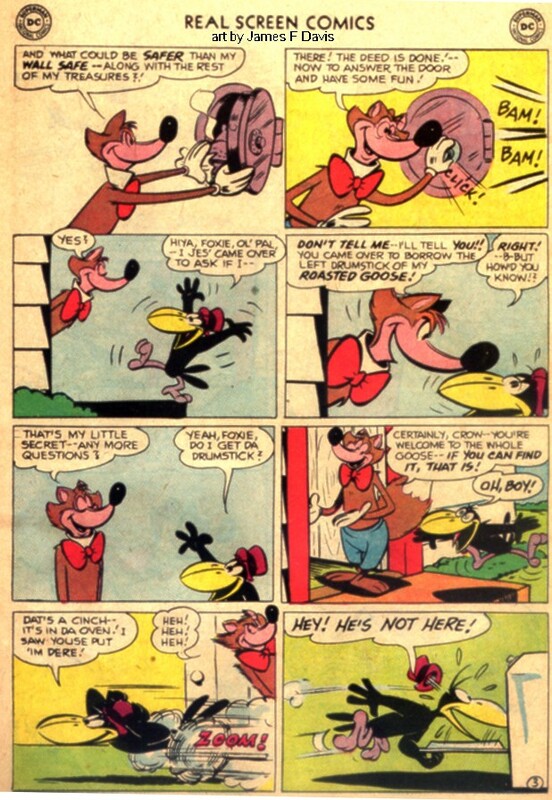 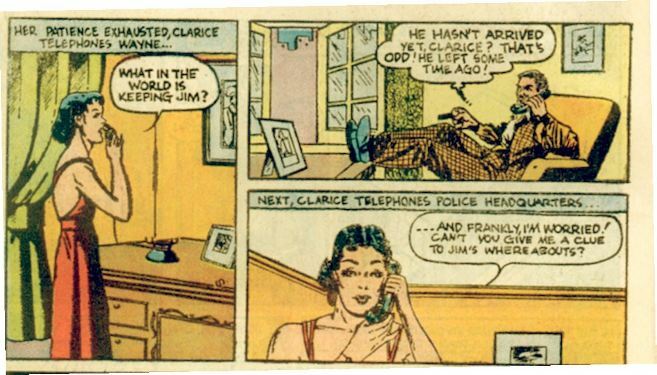 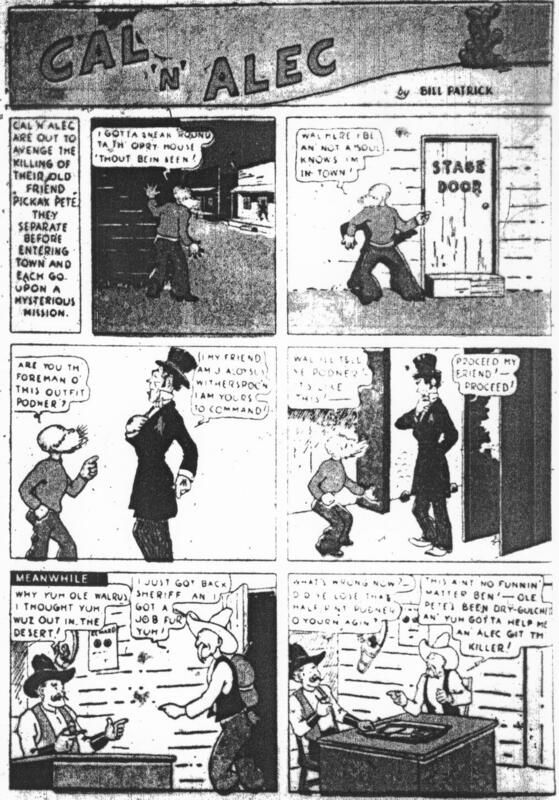 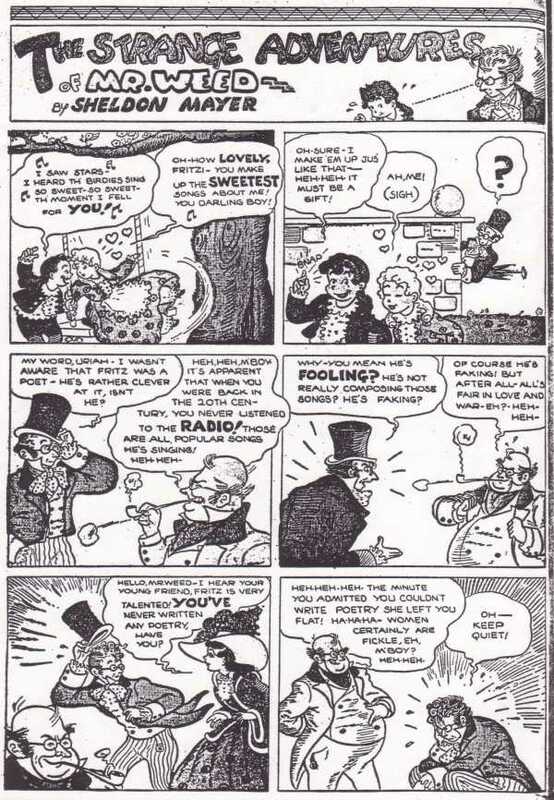 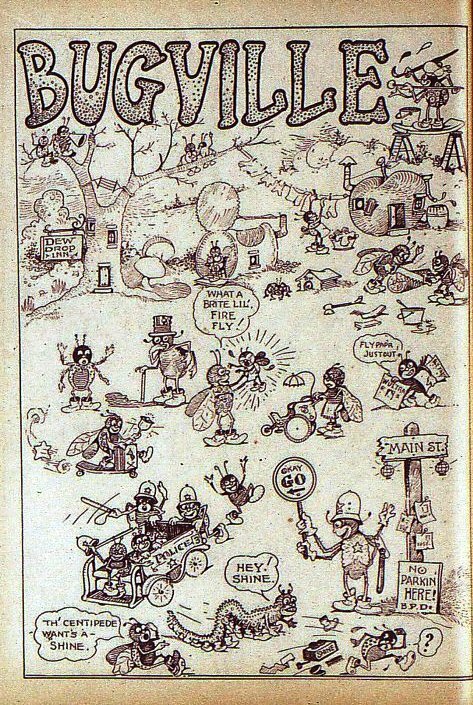 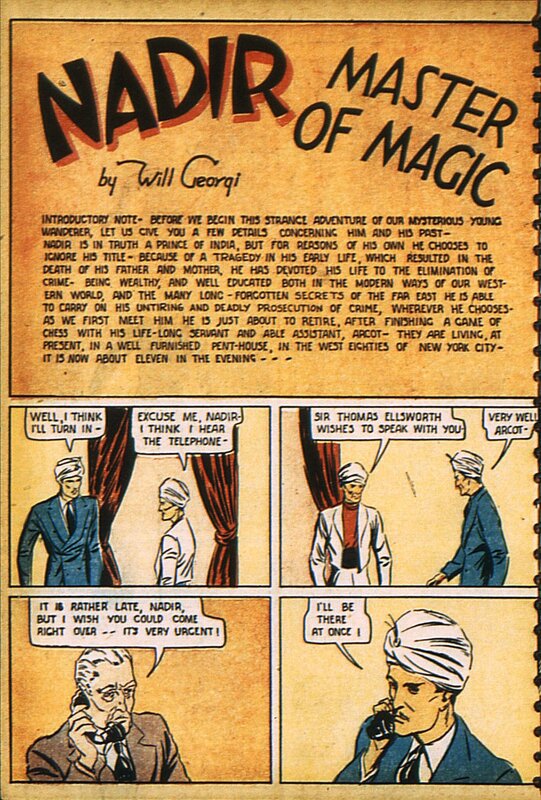 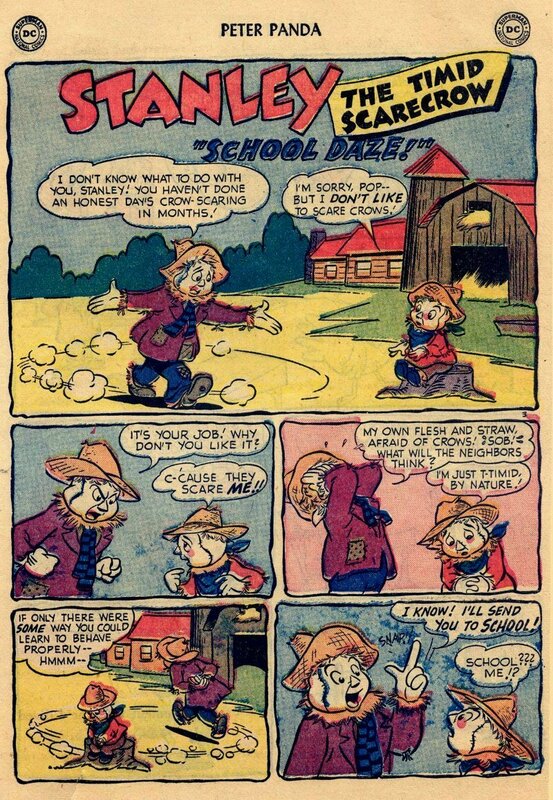 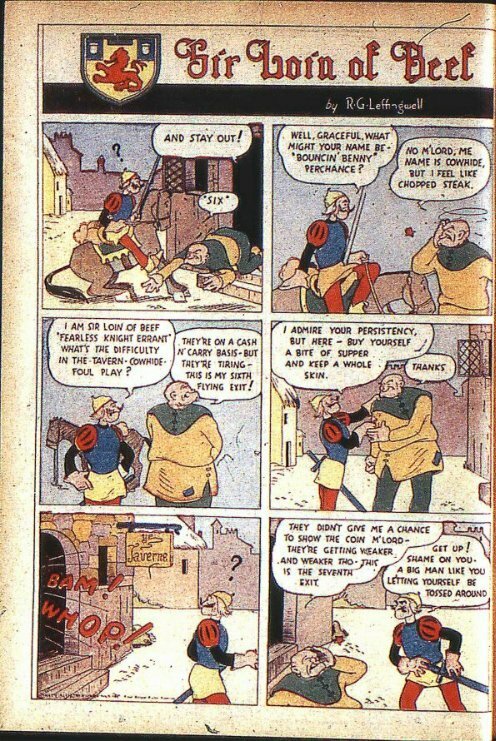 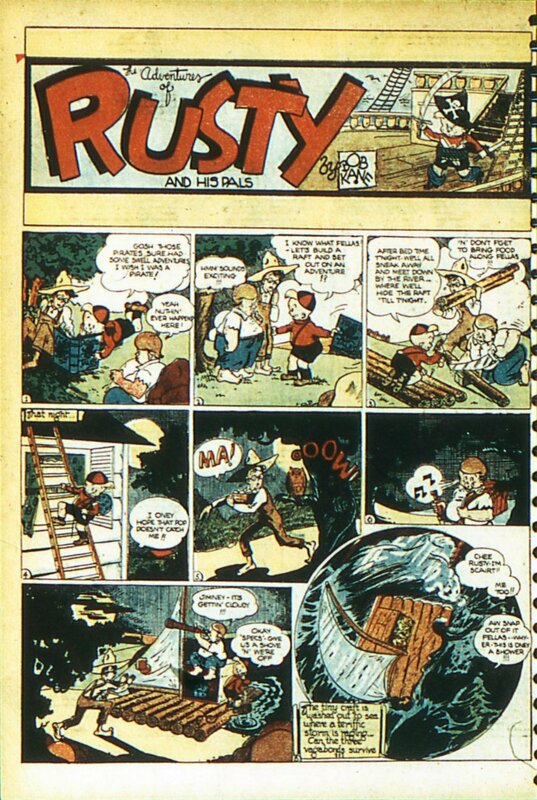 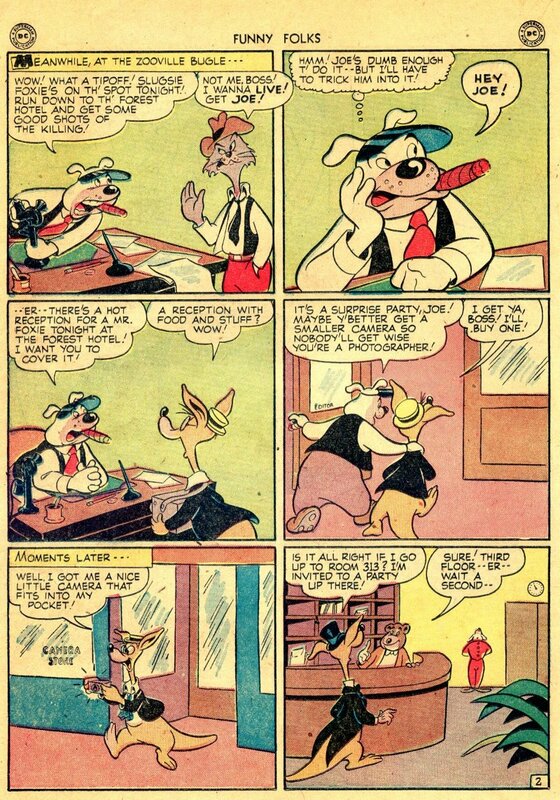 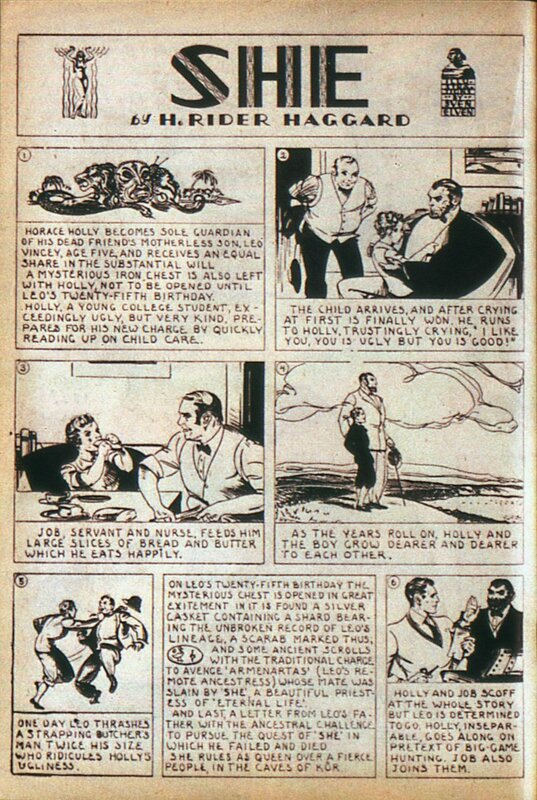 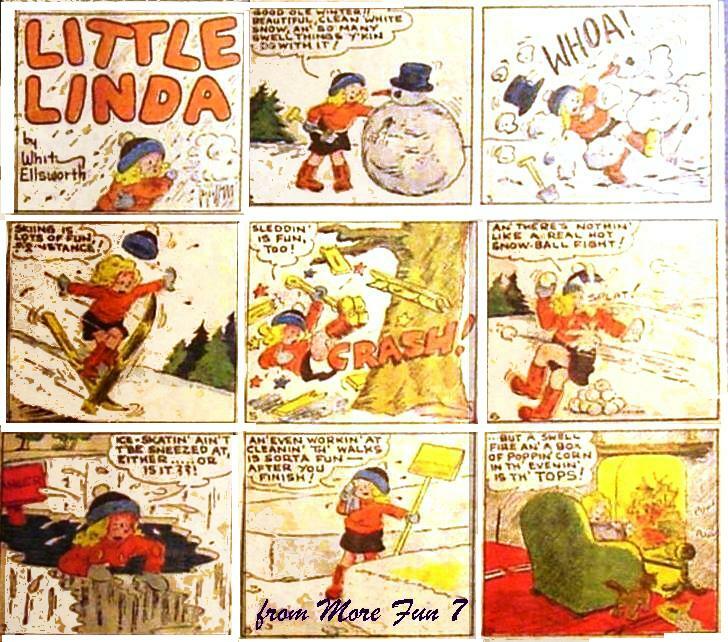 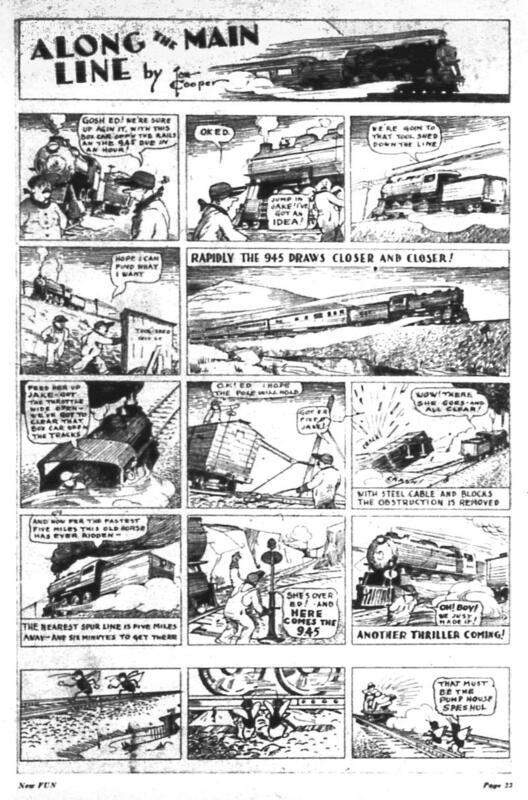 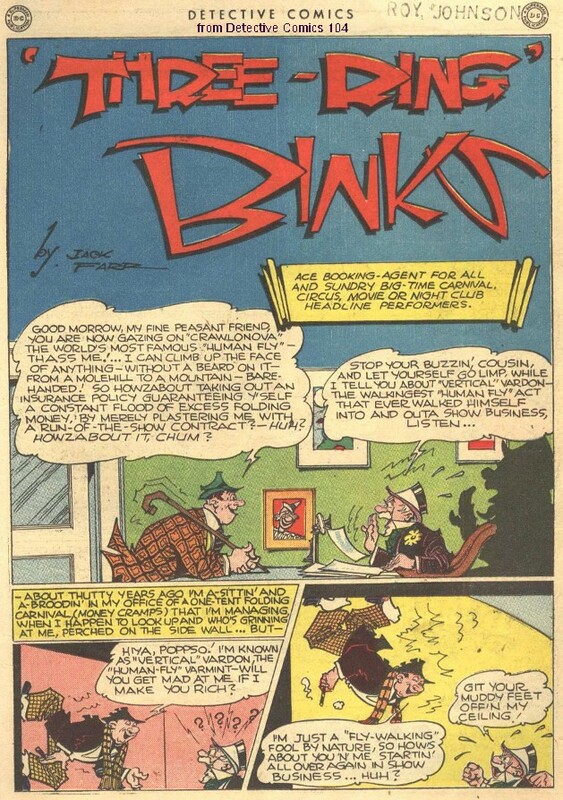 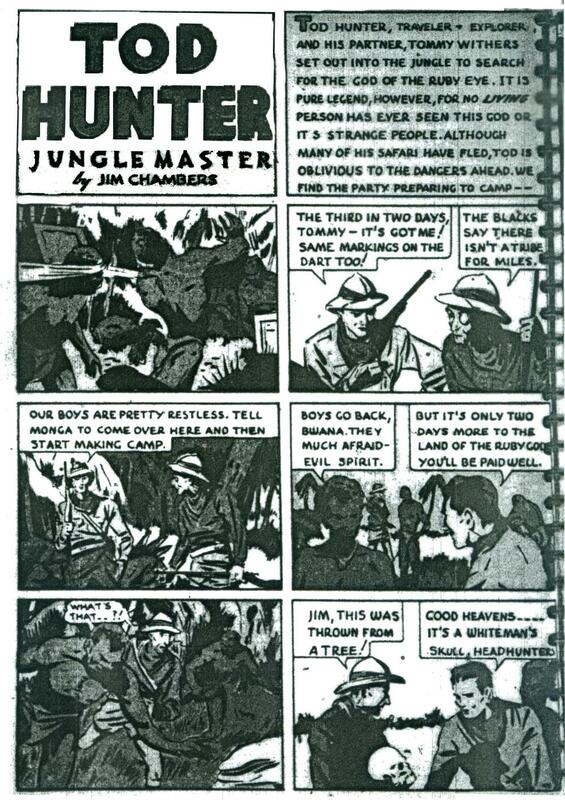 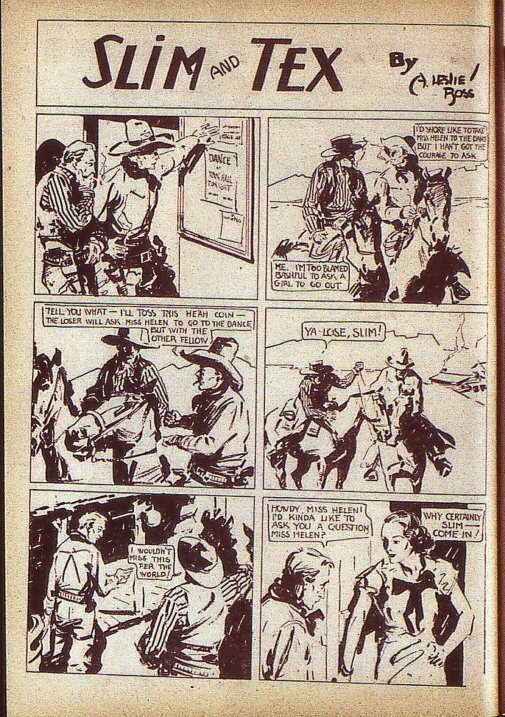 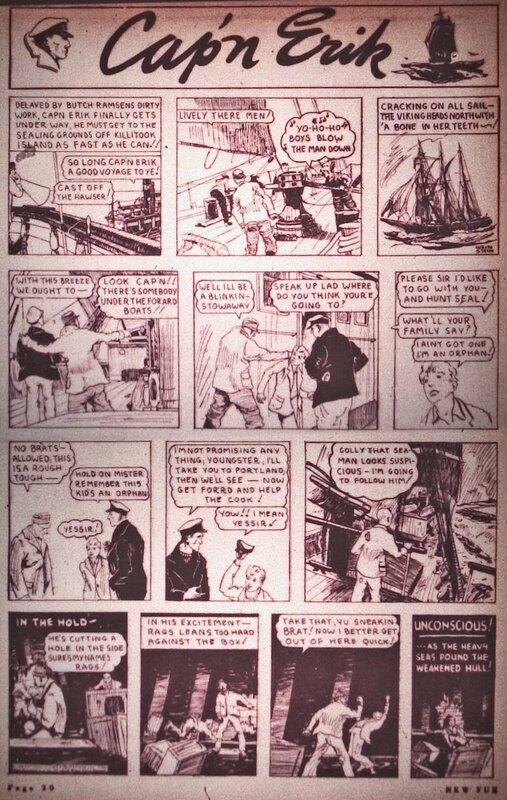 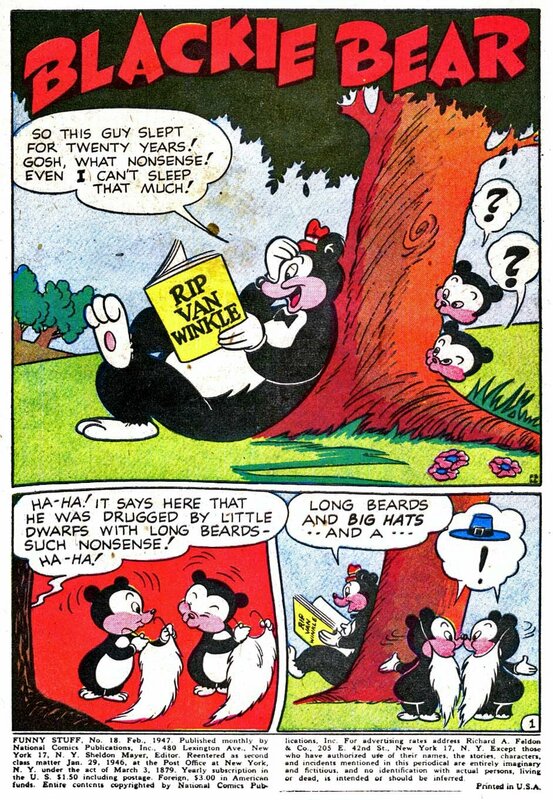 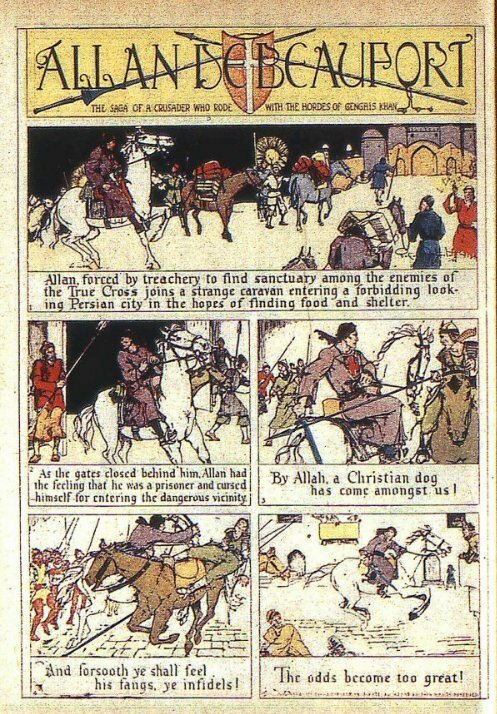 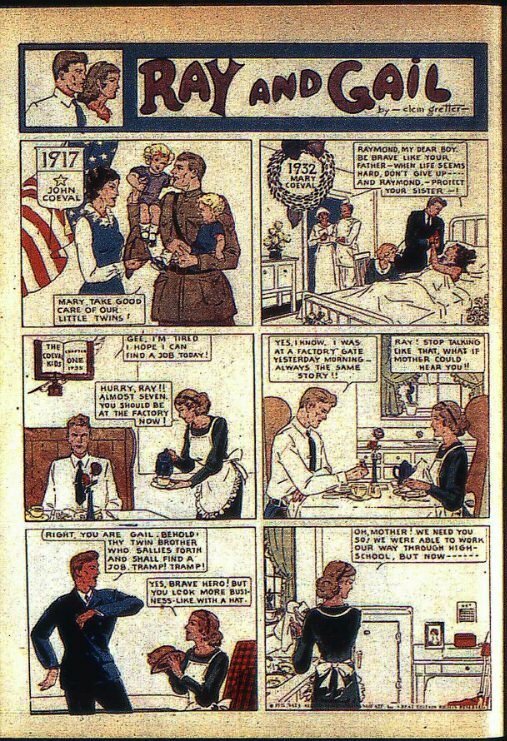 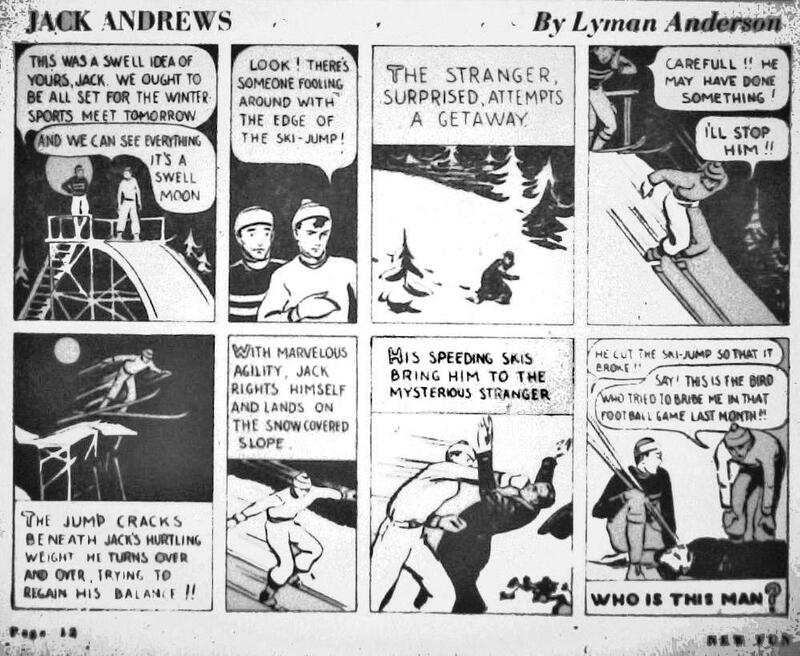 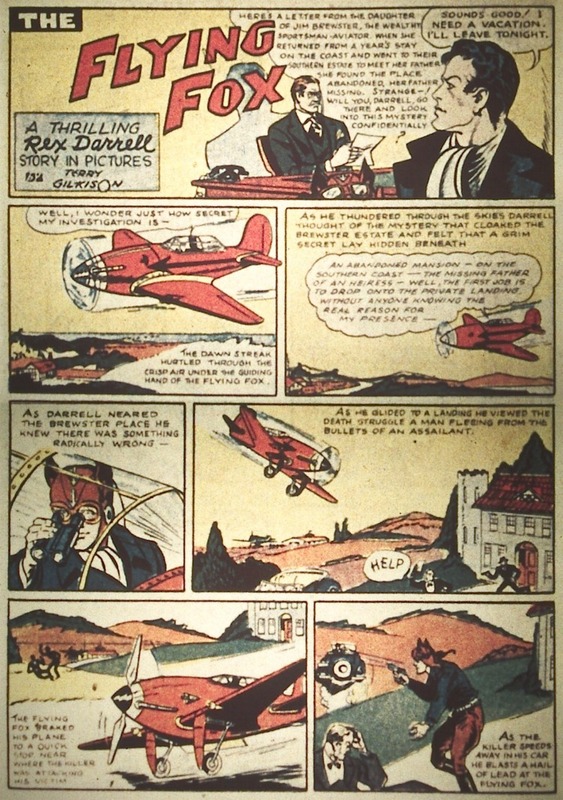 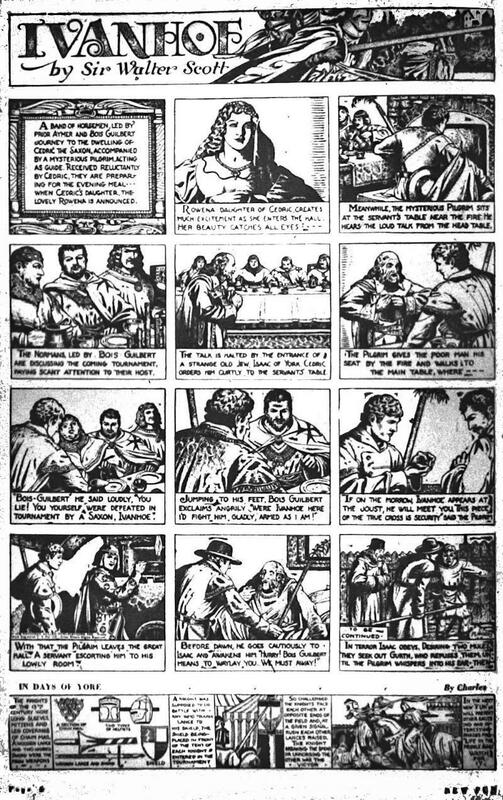 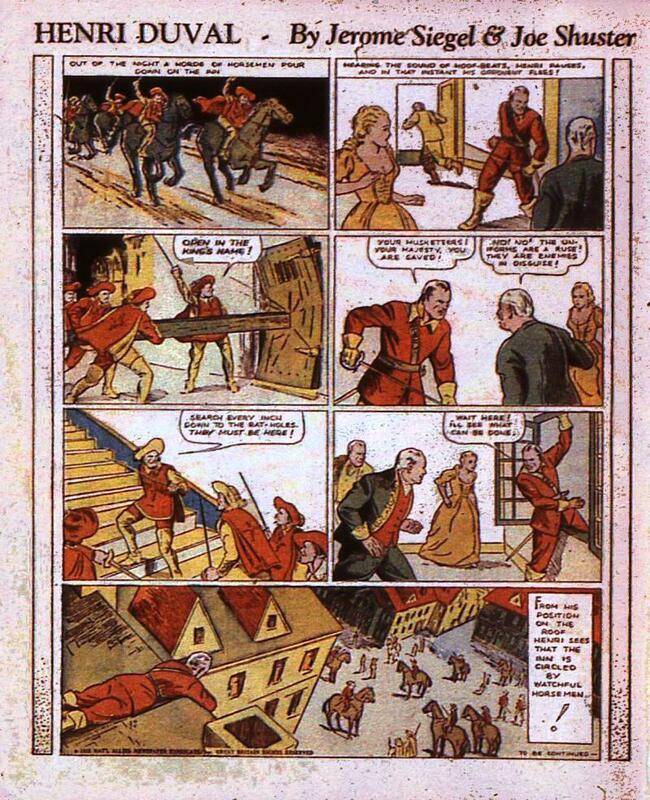 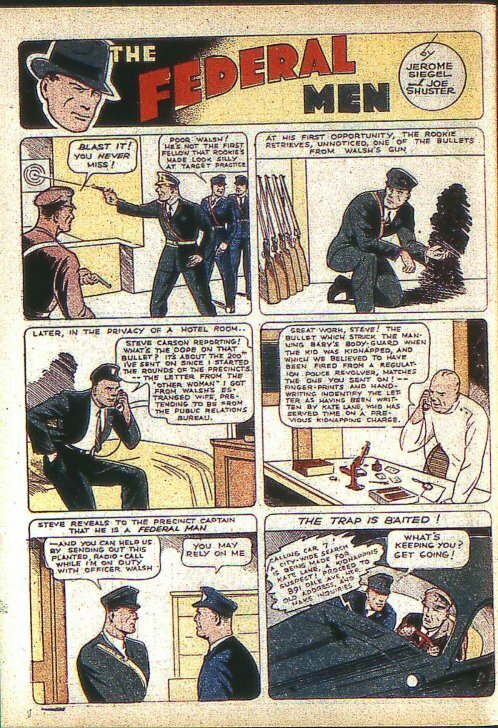 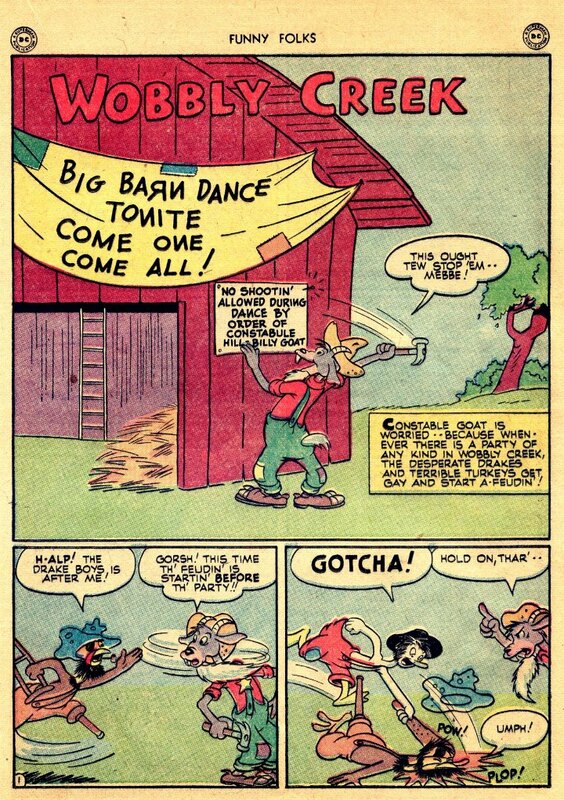 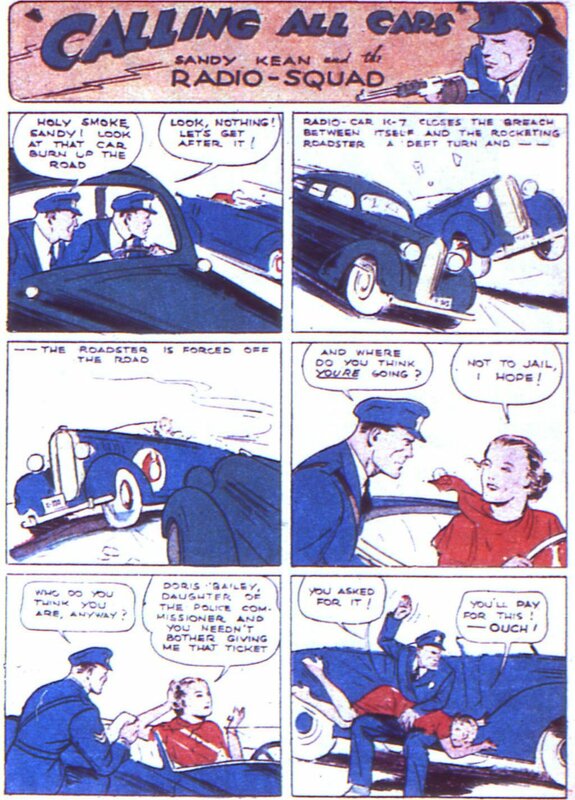 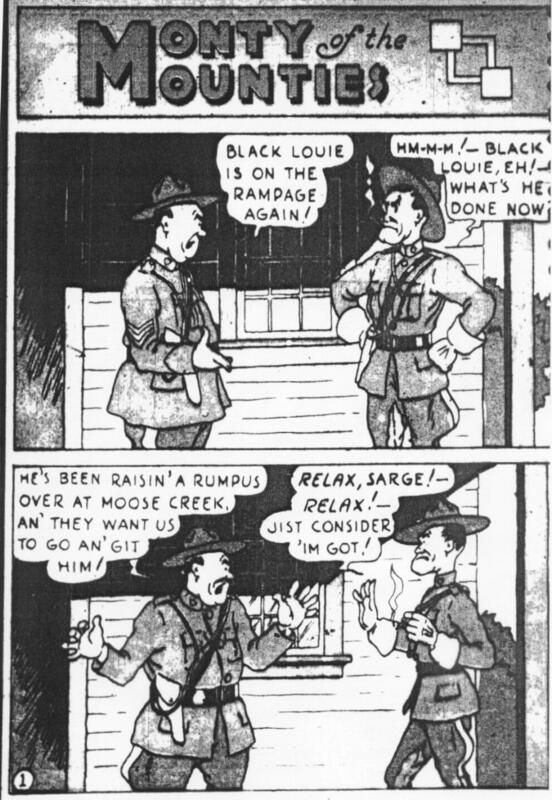 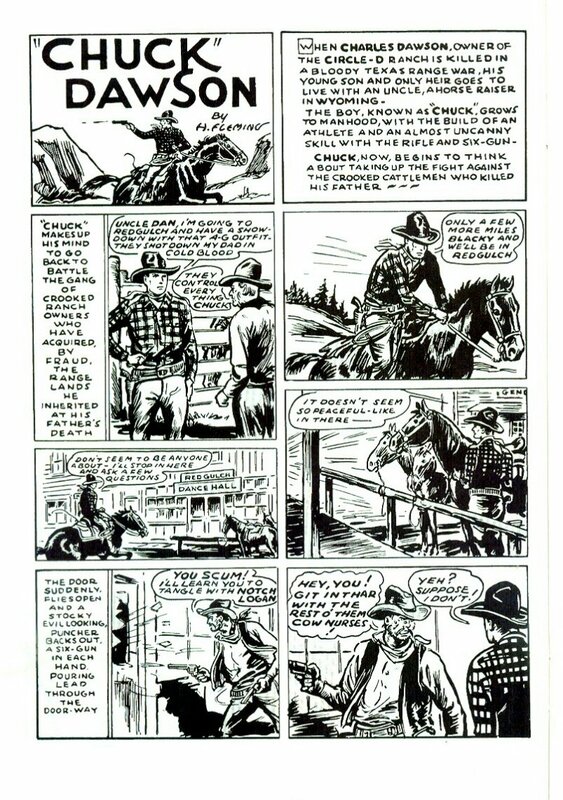 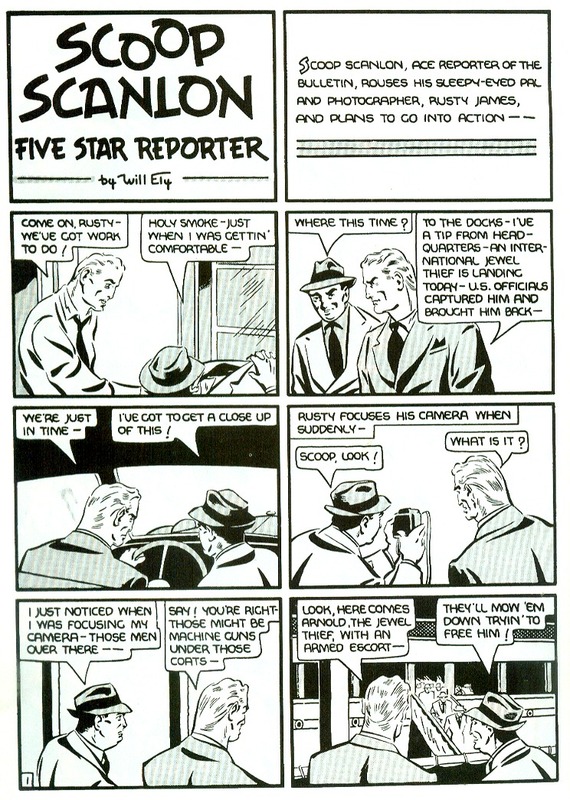 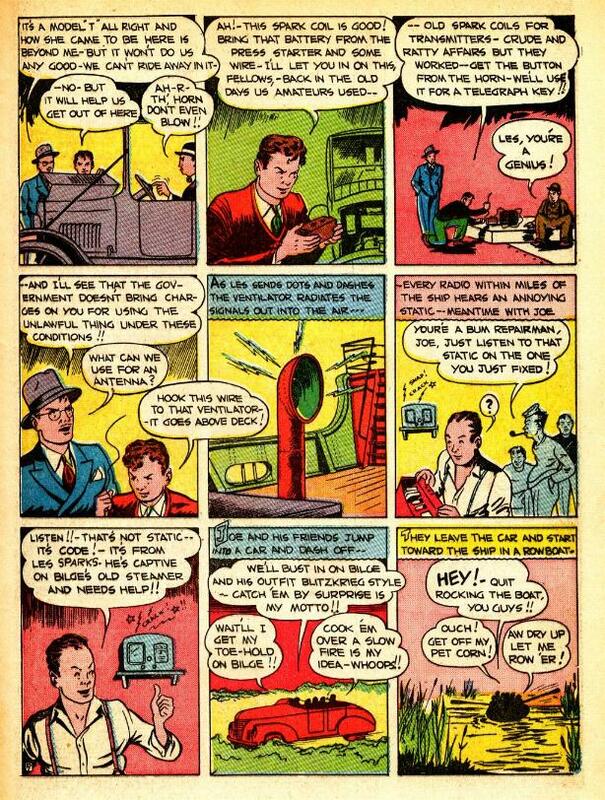 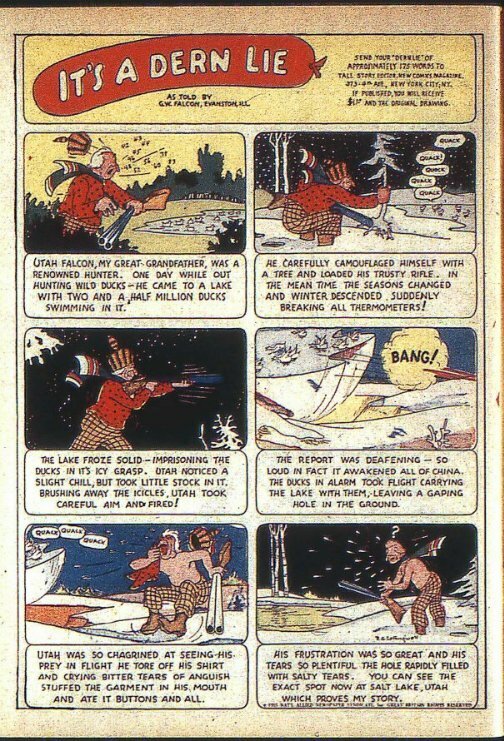 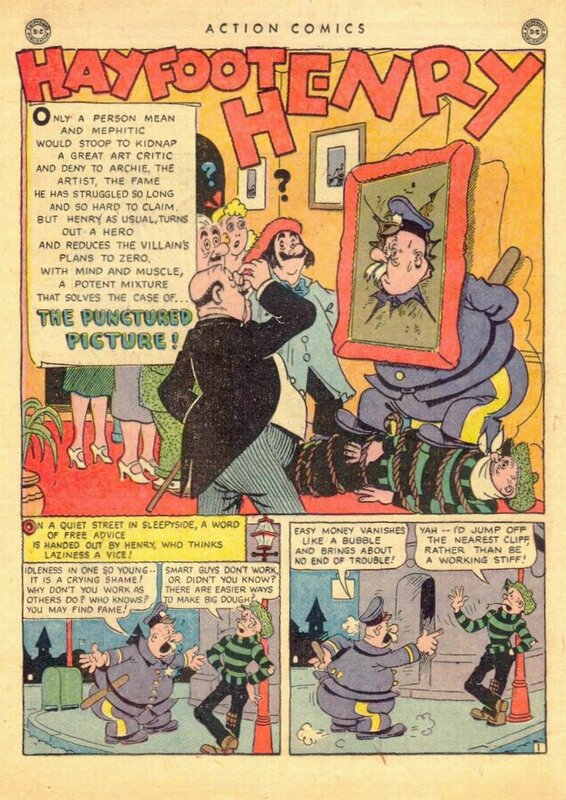 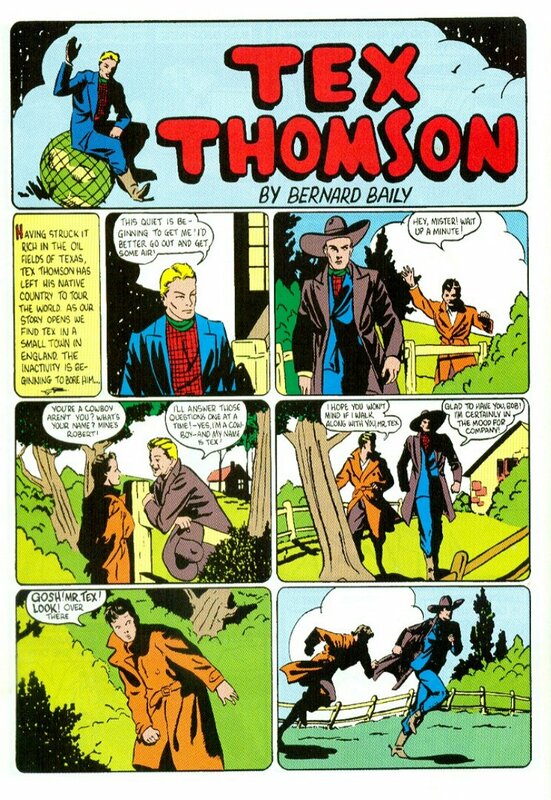 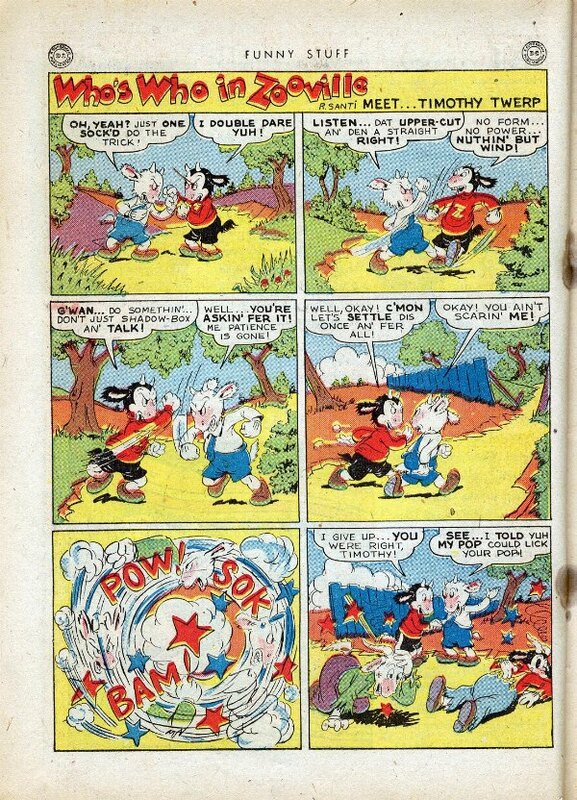 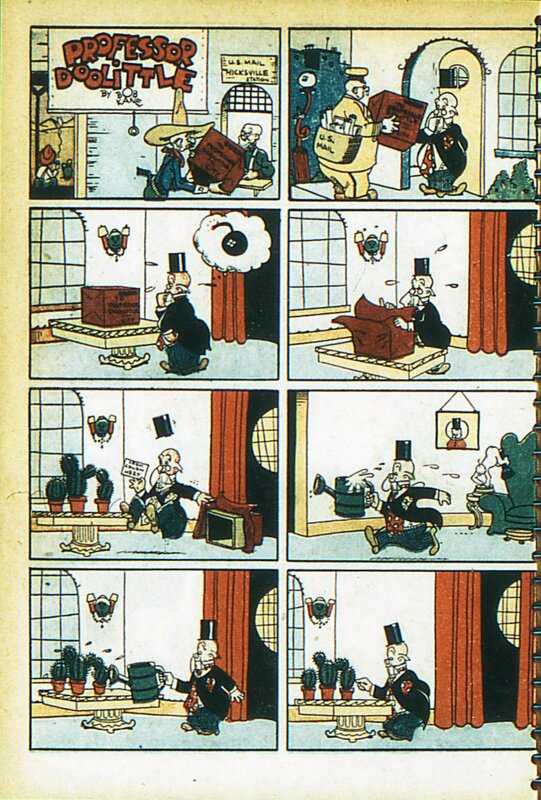 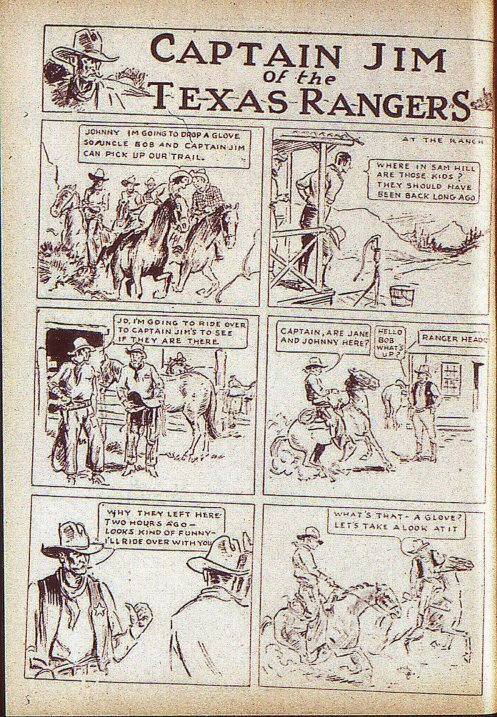 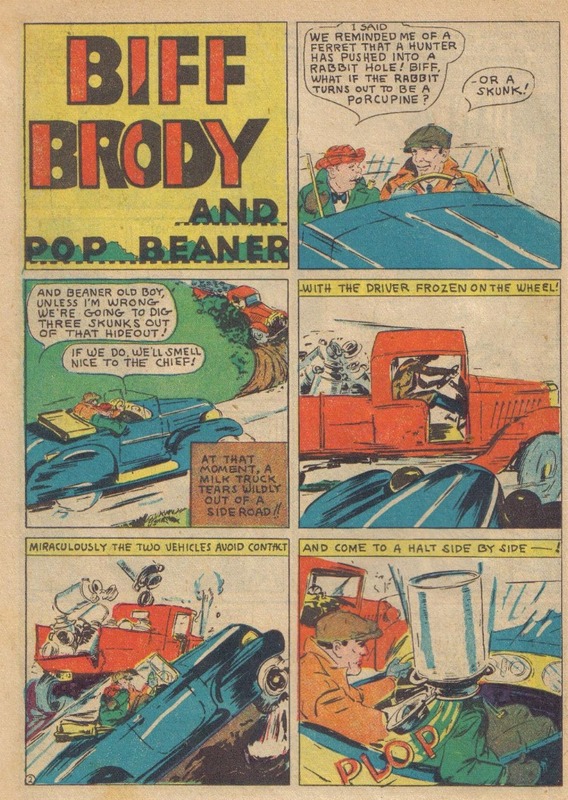 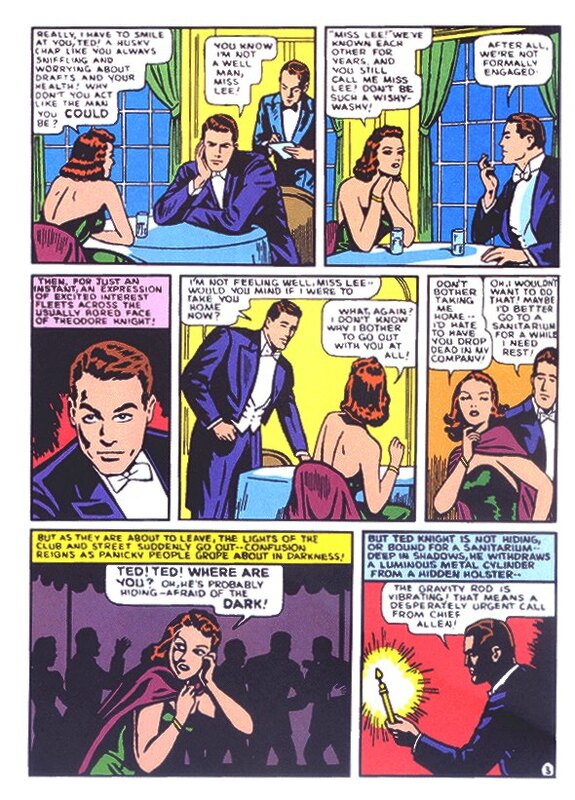 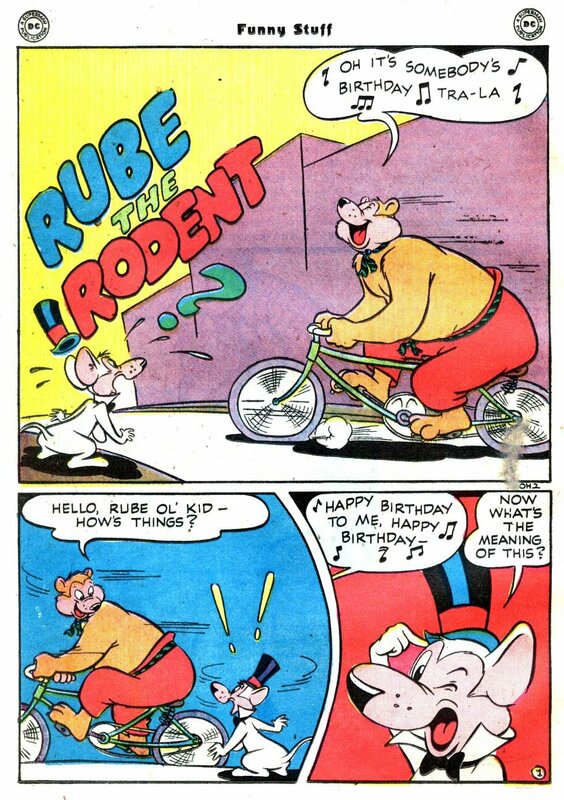 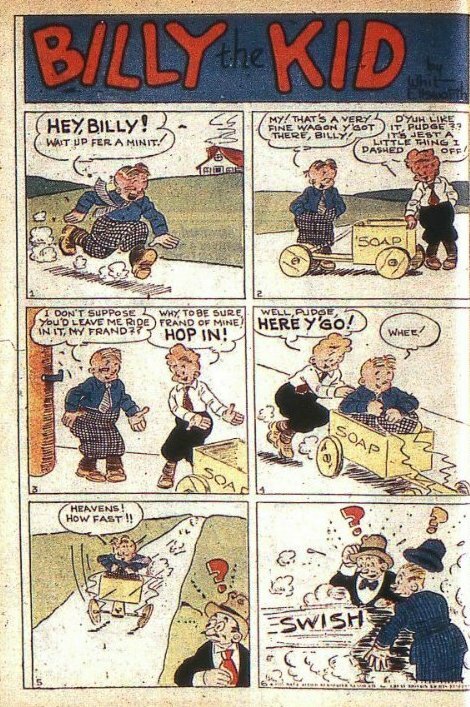 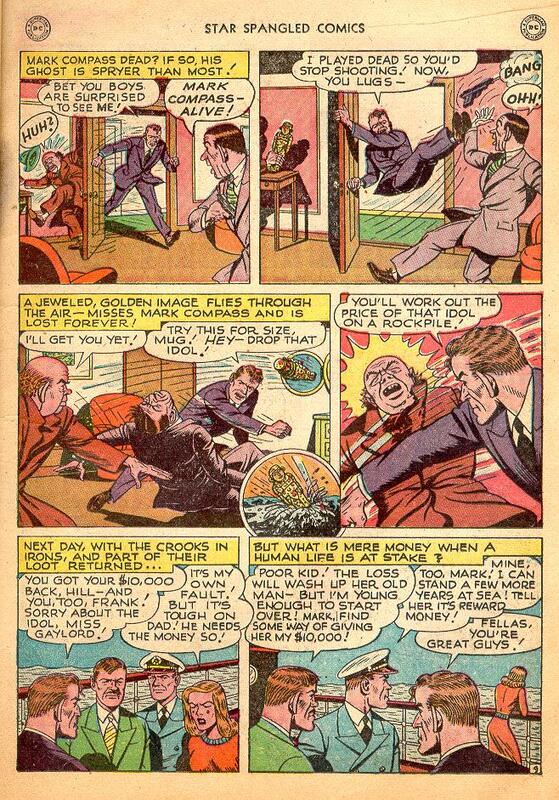 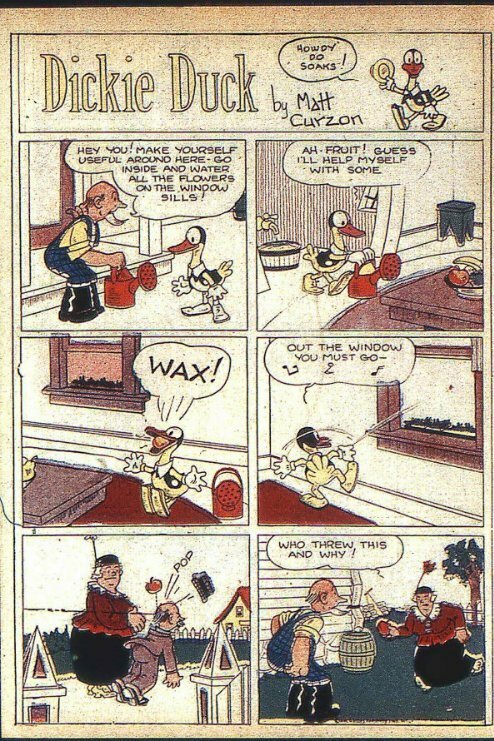 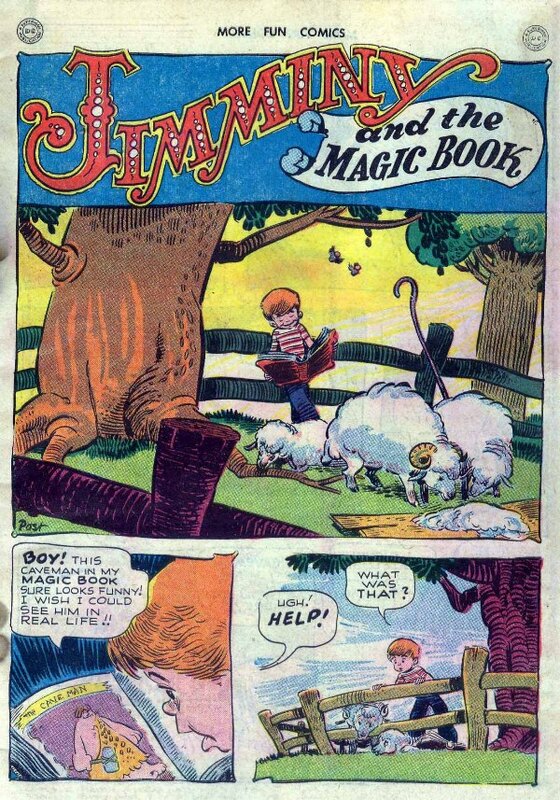 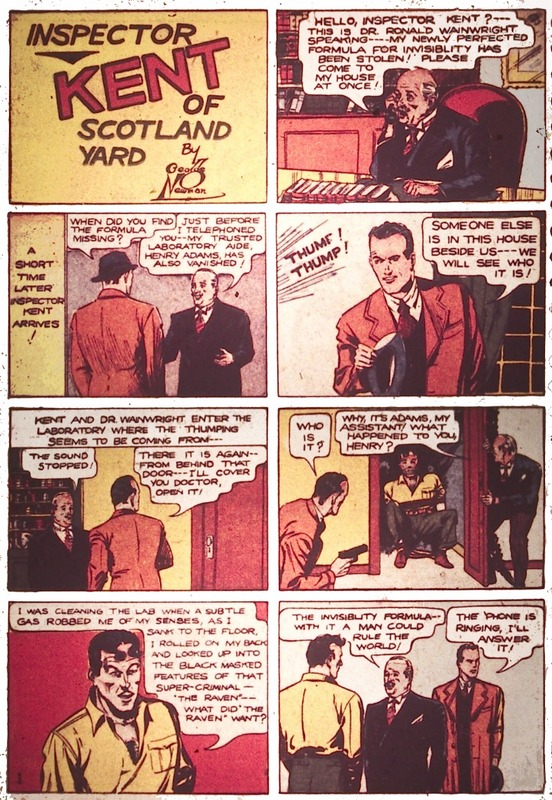 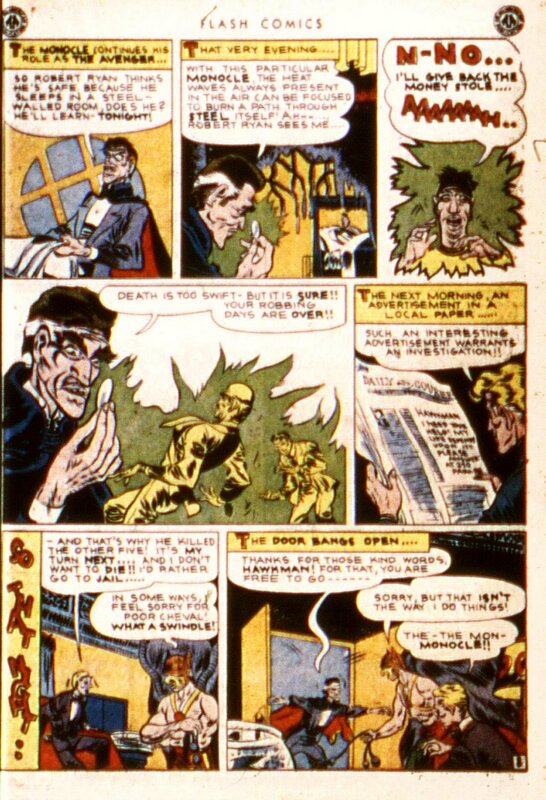 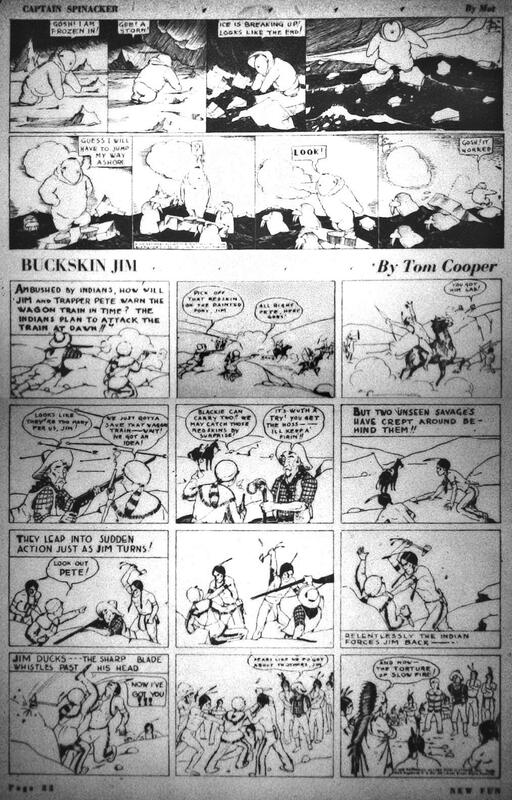 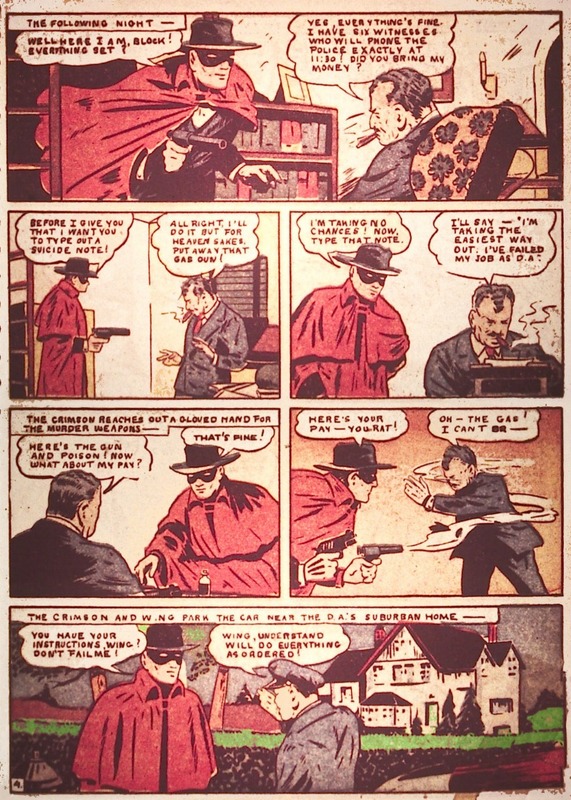 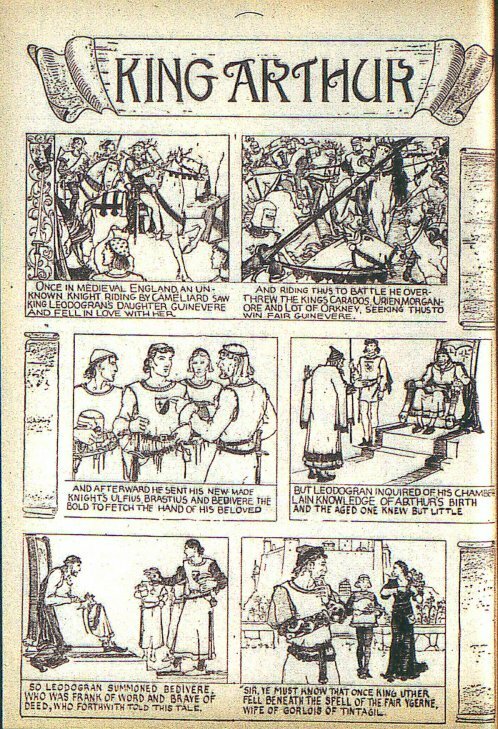 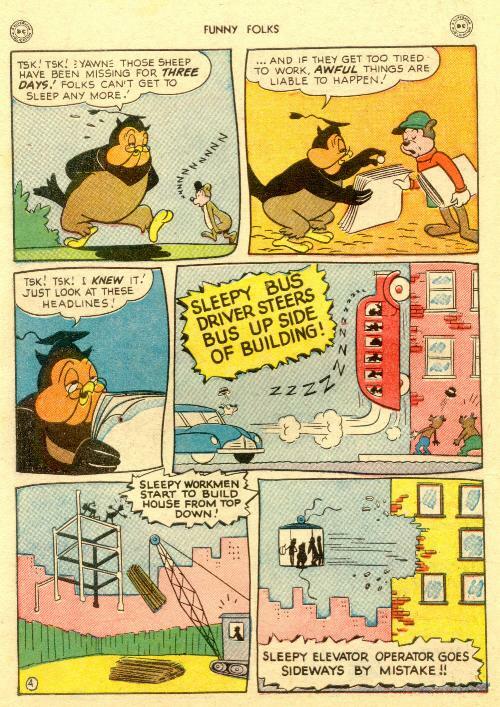 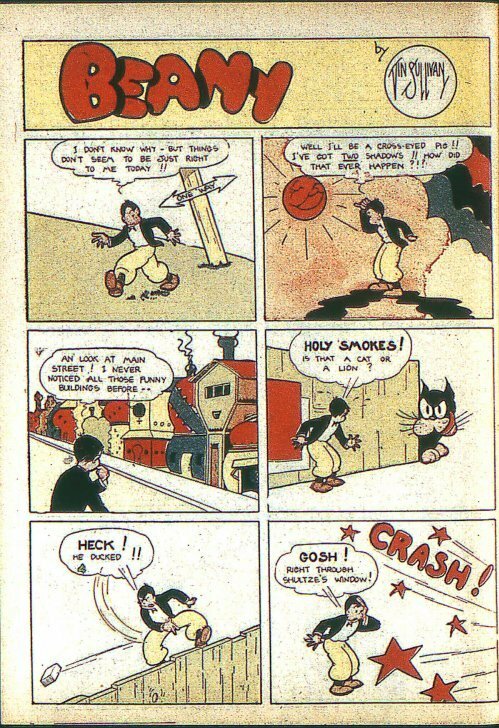 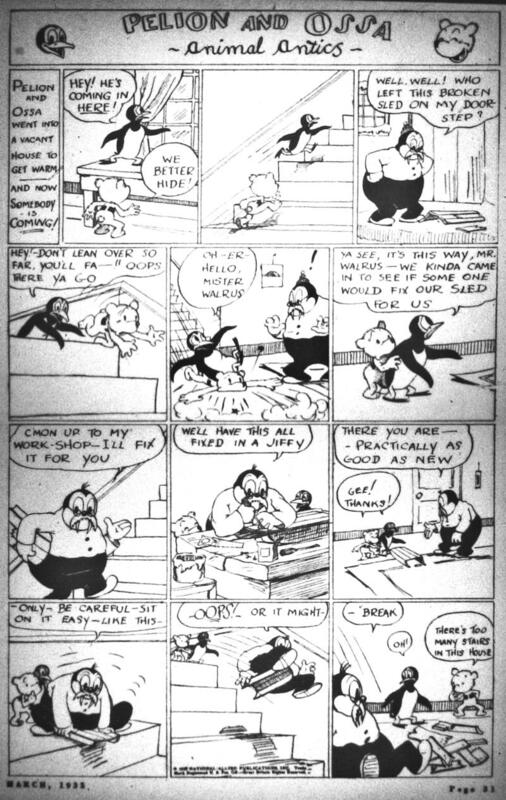 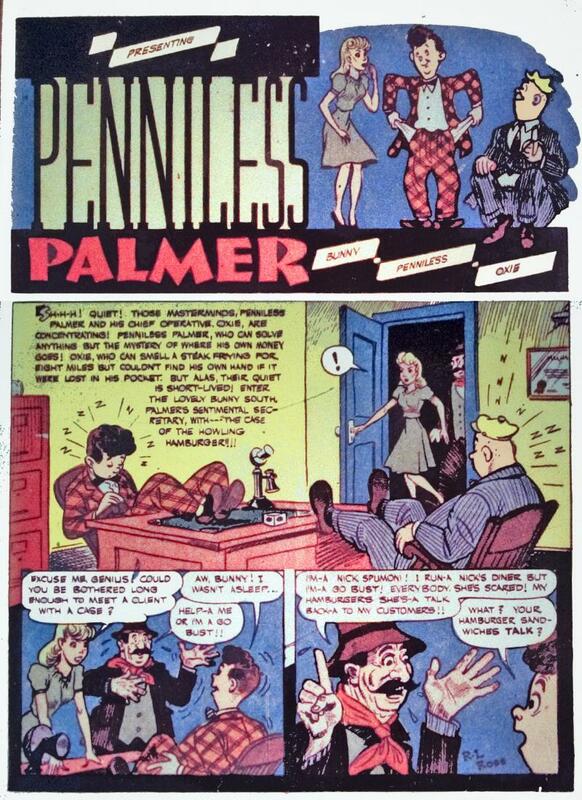 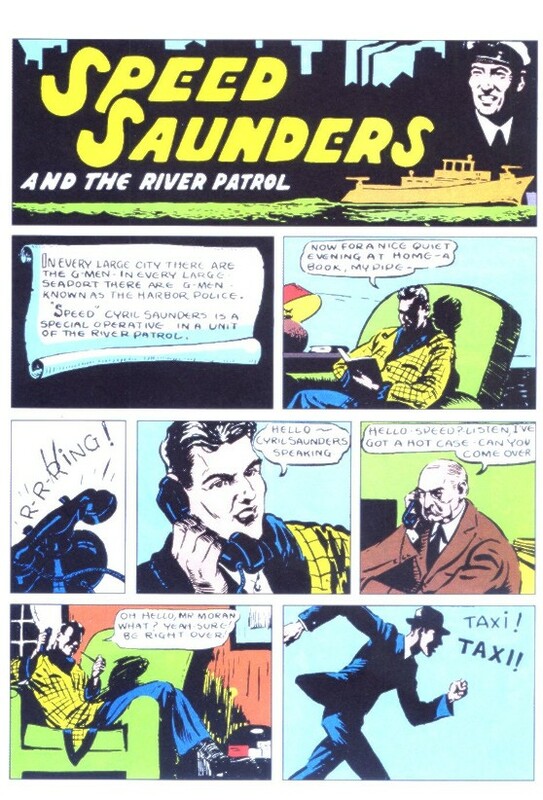 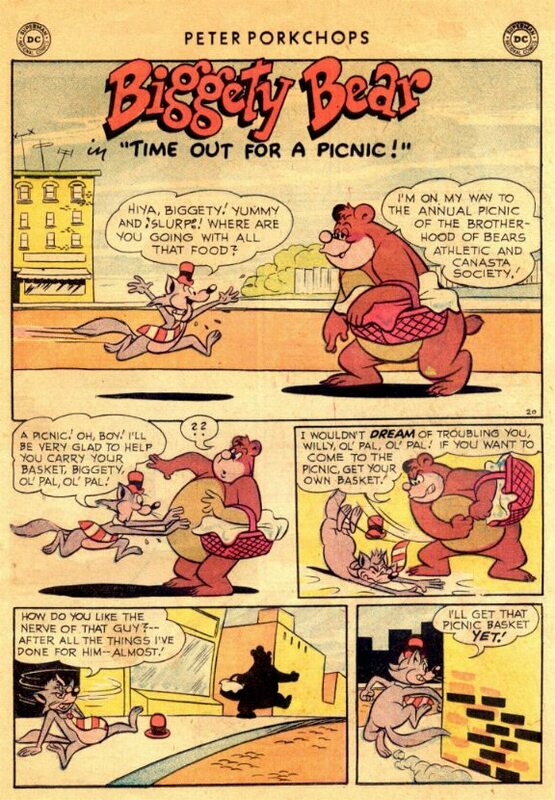 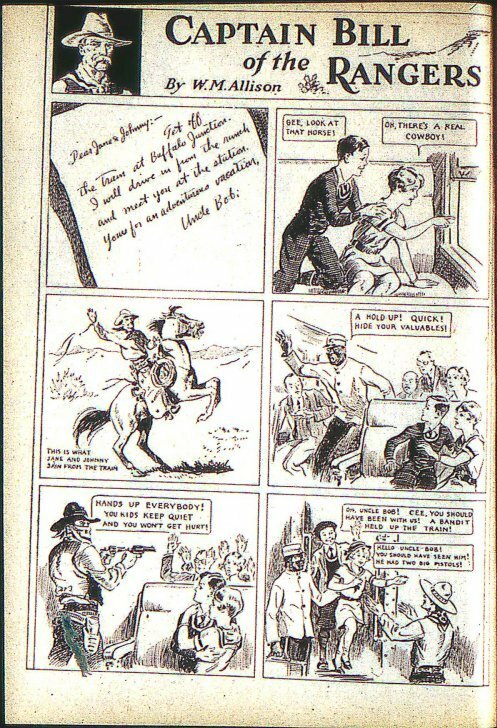 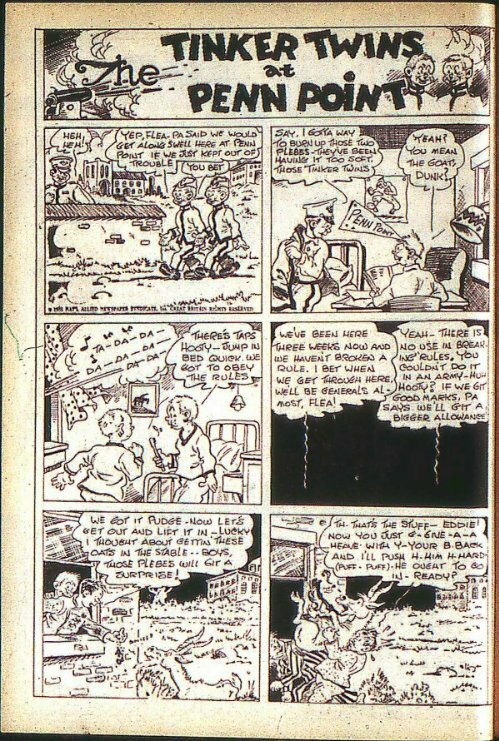 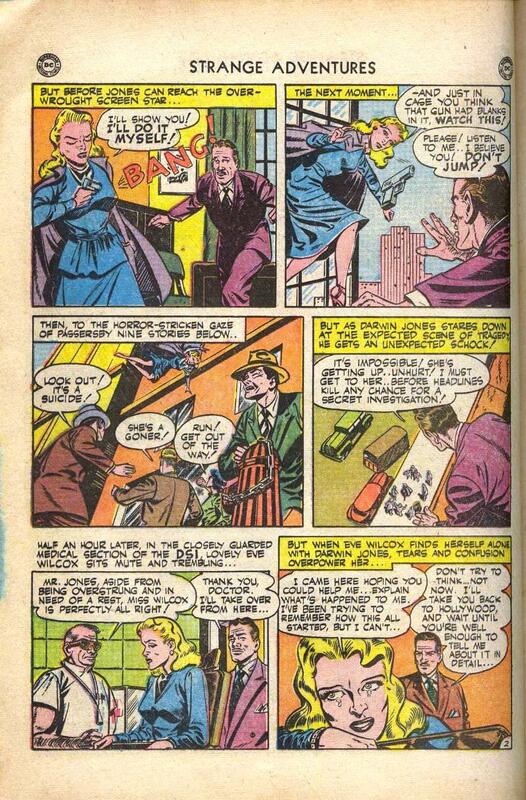 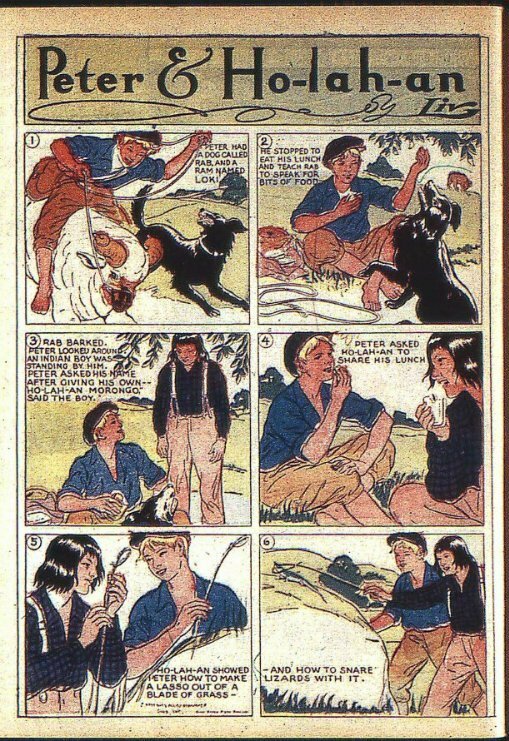 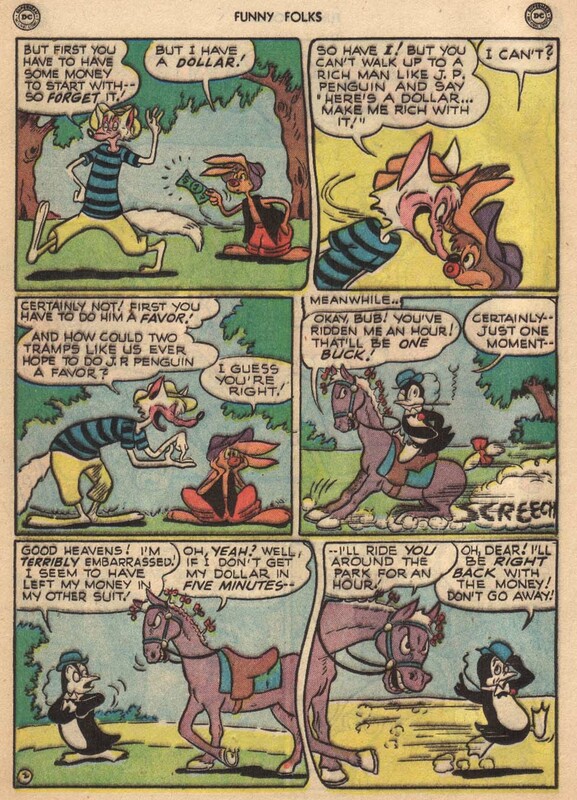 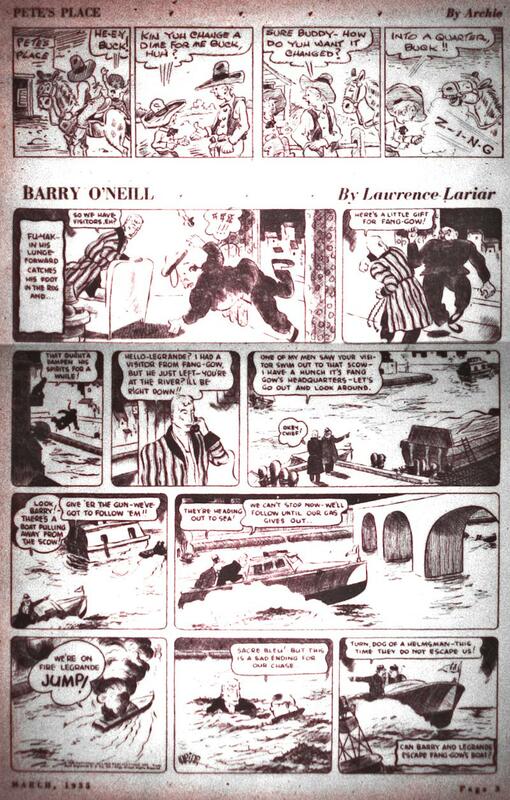 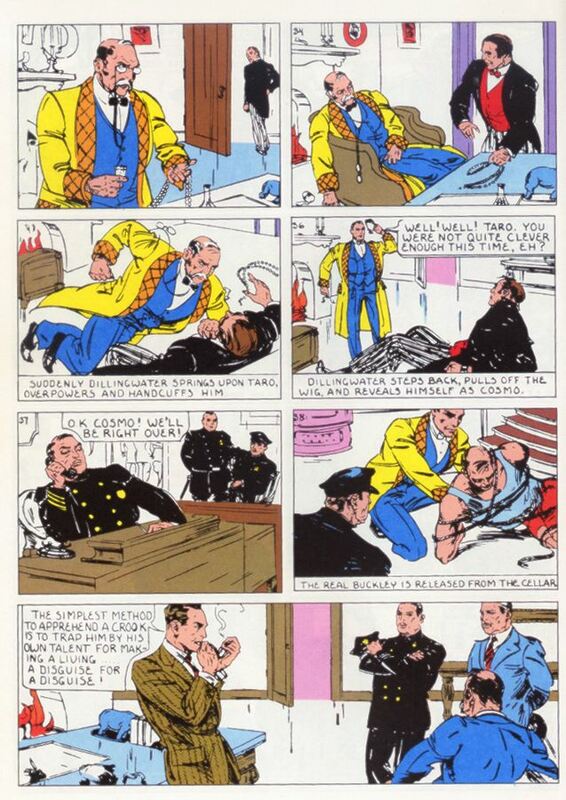 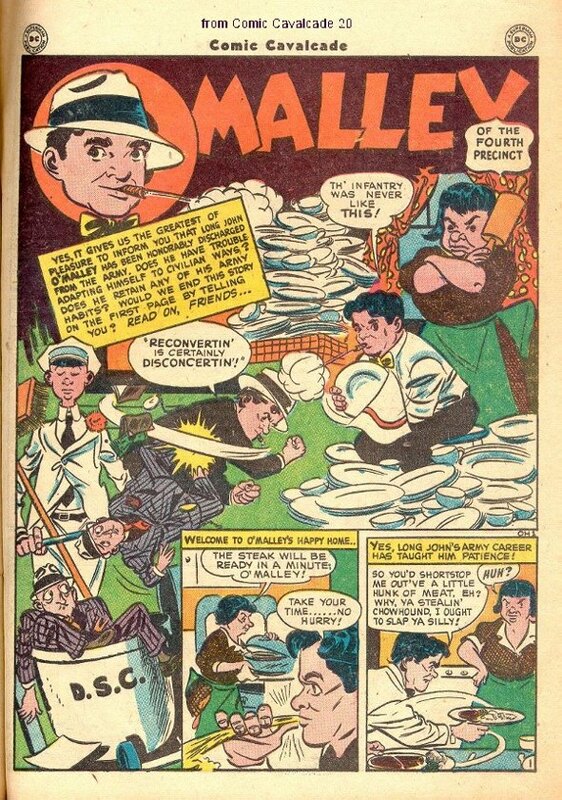 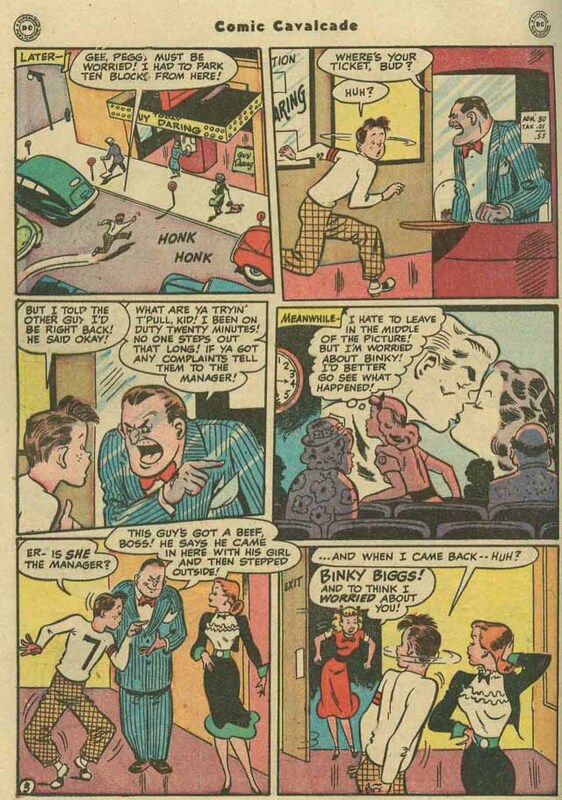 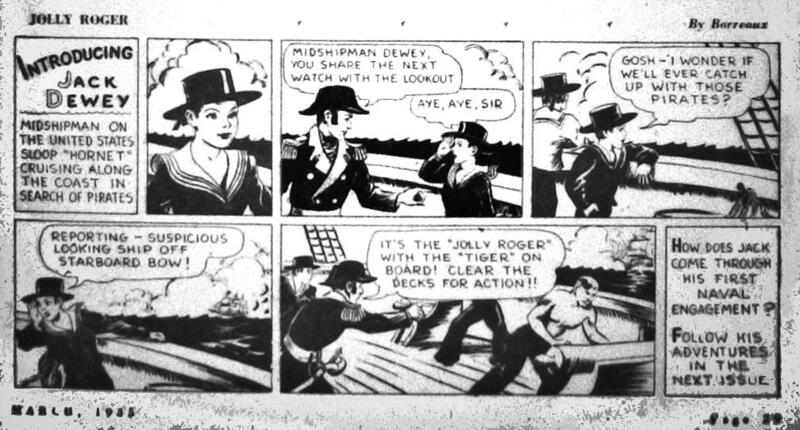 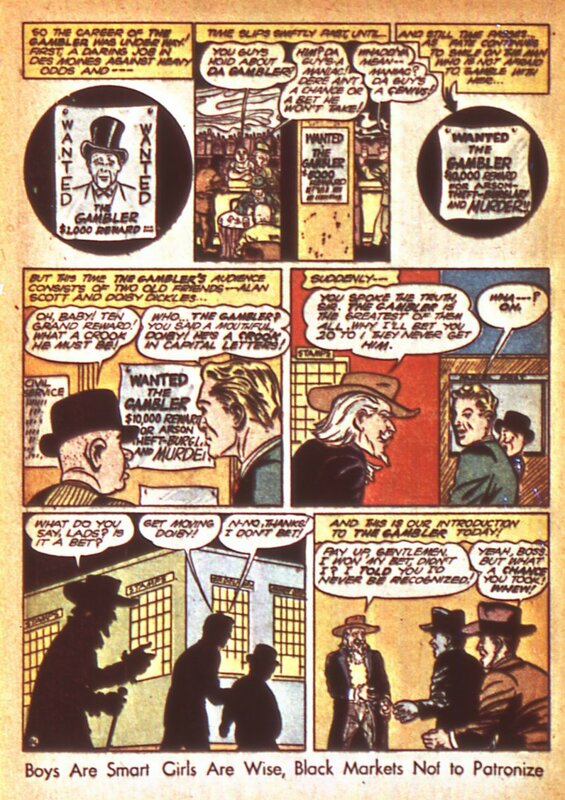 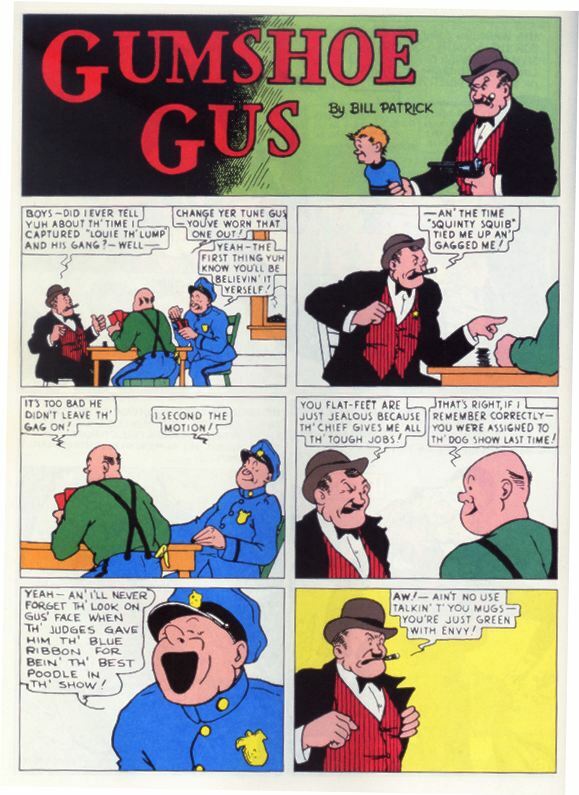 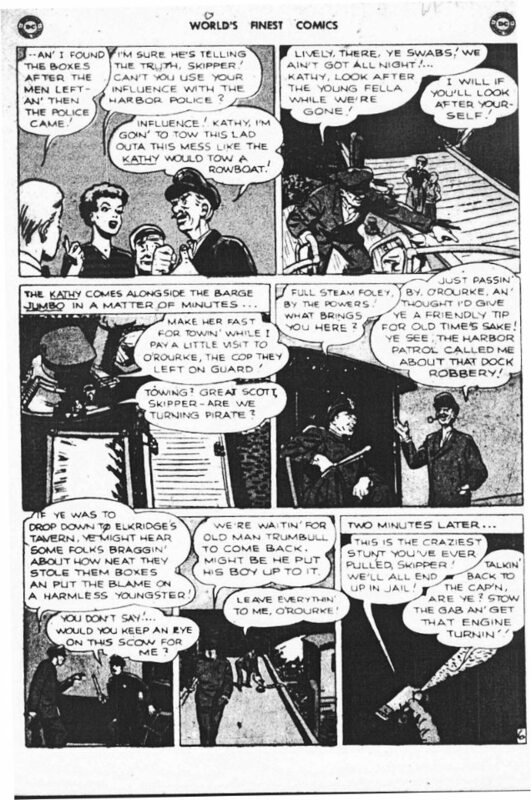 Newspaper strip that began in 1926. 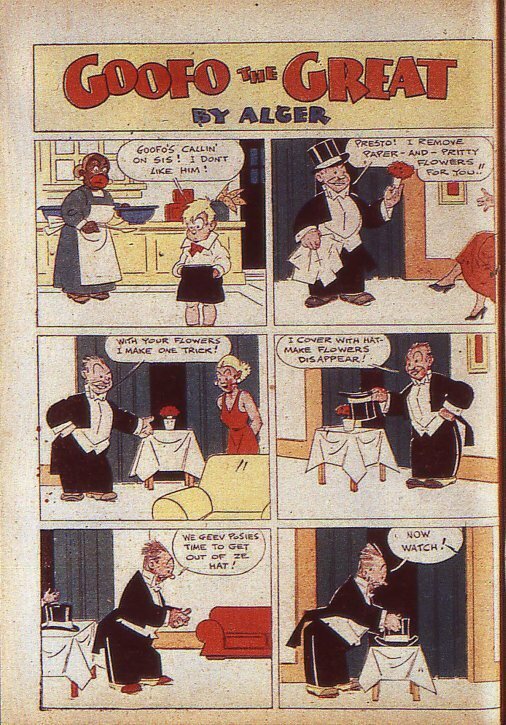 Uncertain as to whether Alger drew as well as wrote this. 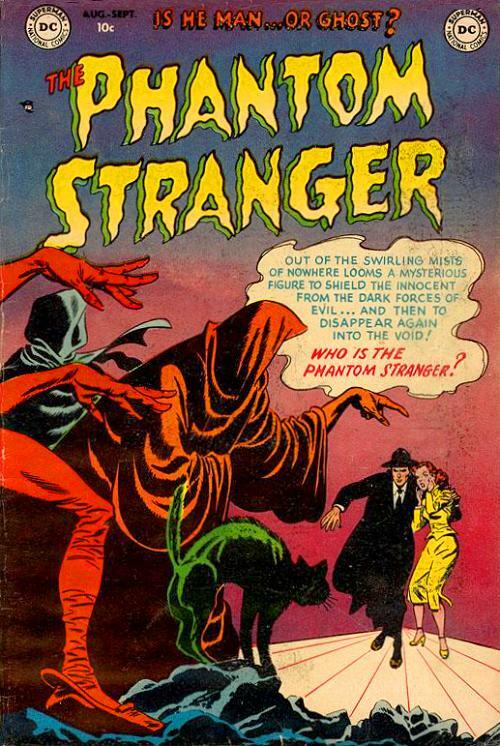 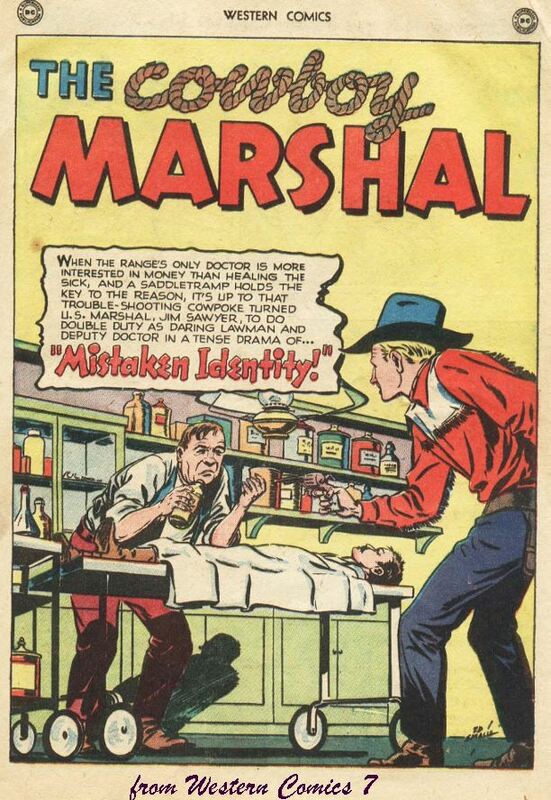 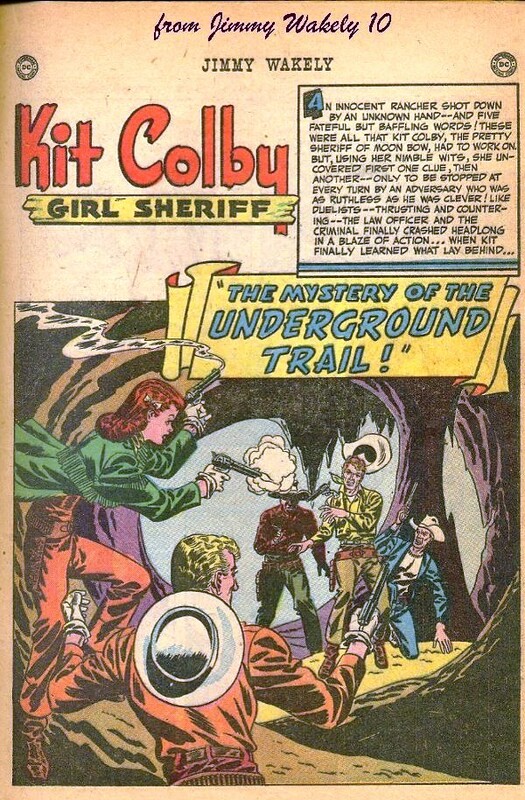 Not to be confused with Russell Cole, who used the pen-name Alger. 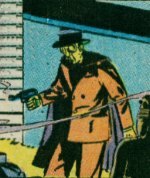 new costume: by Jack Lehti, Detective 44, 10/40. 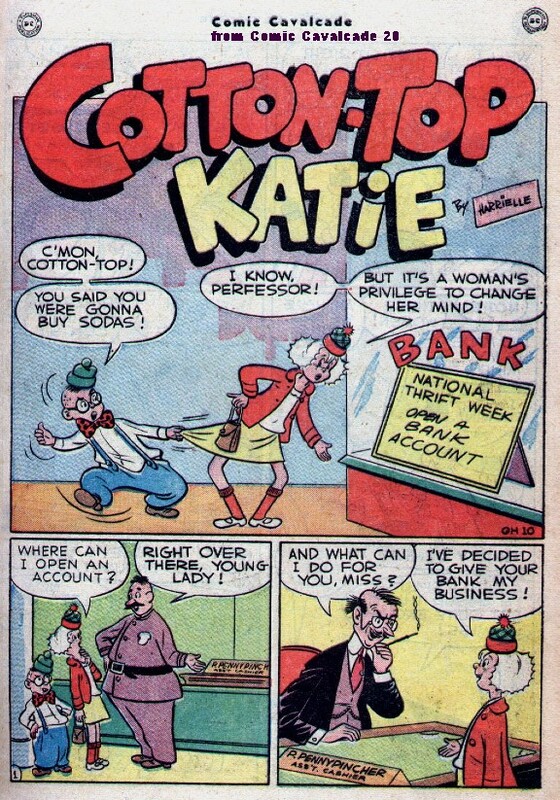 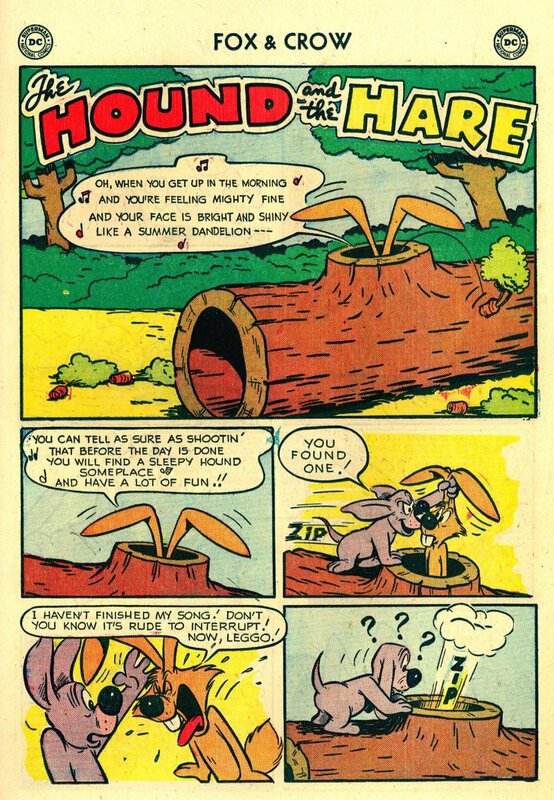 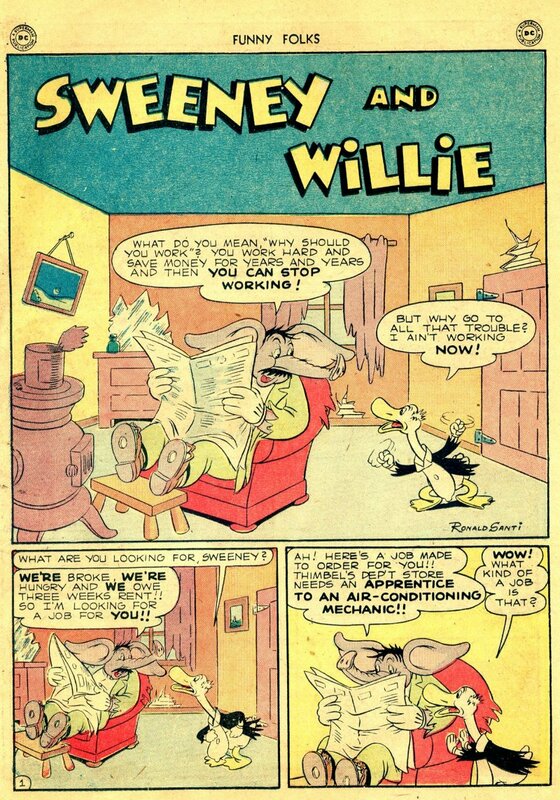 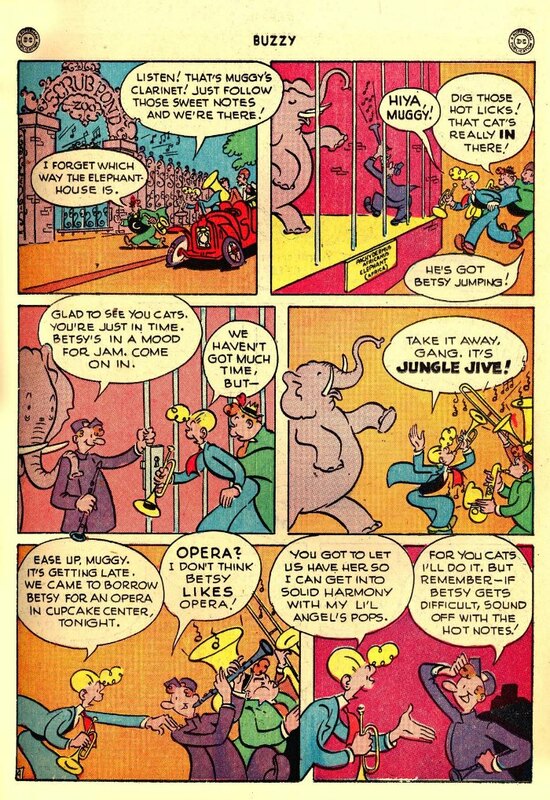 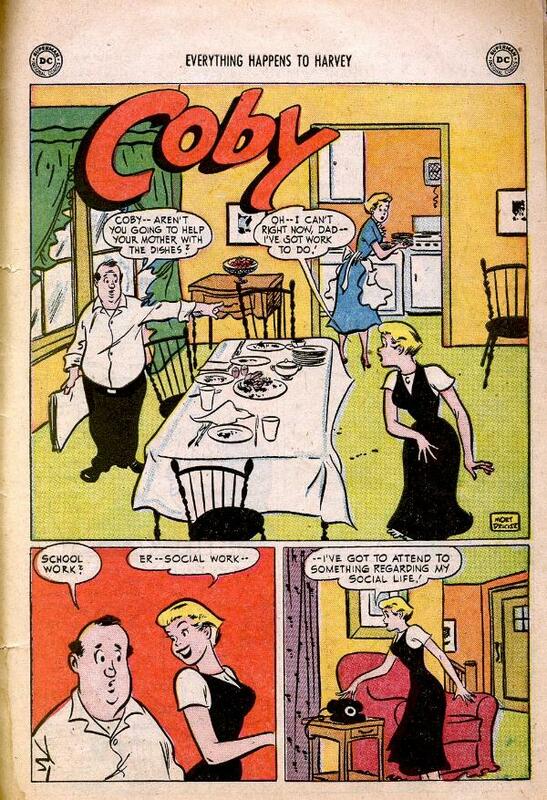 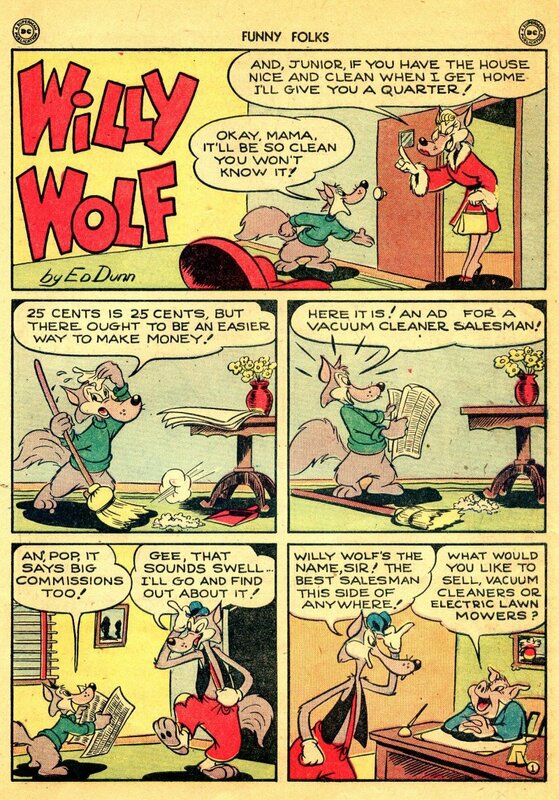 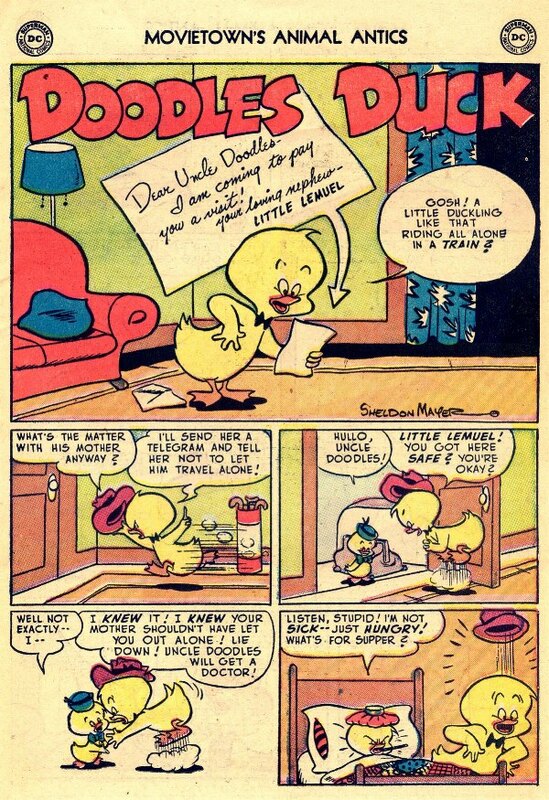 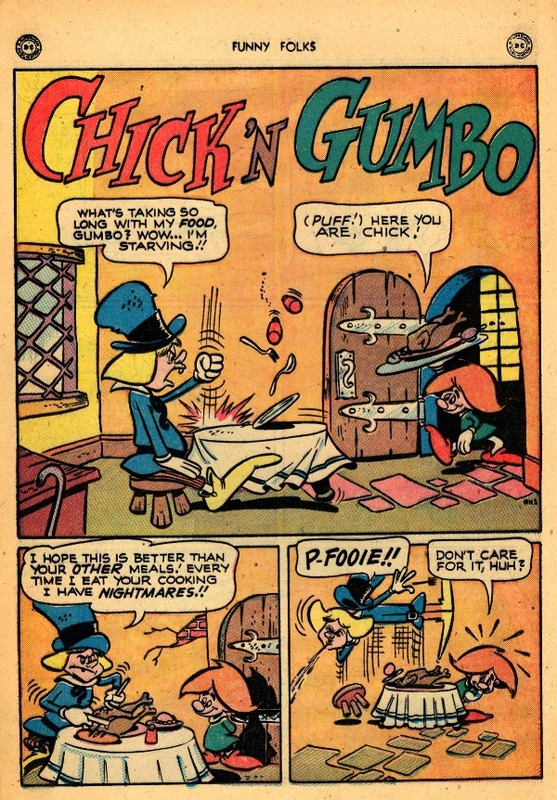 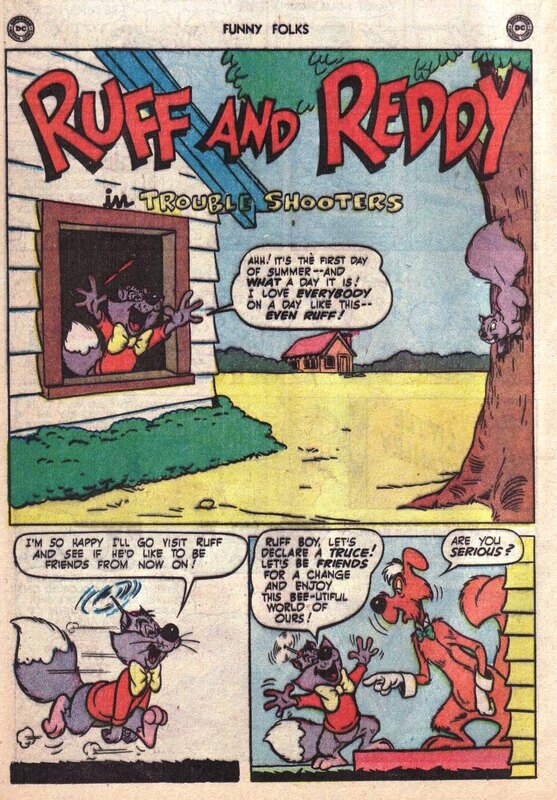 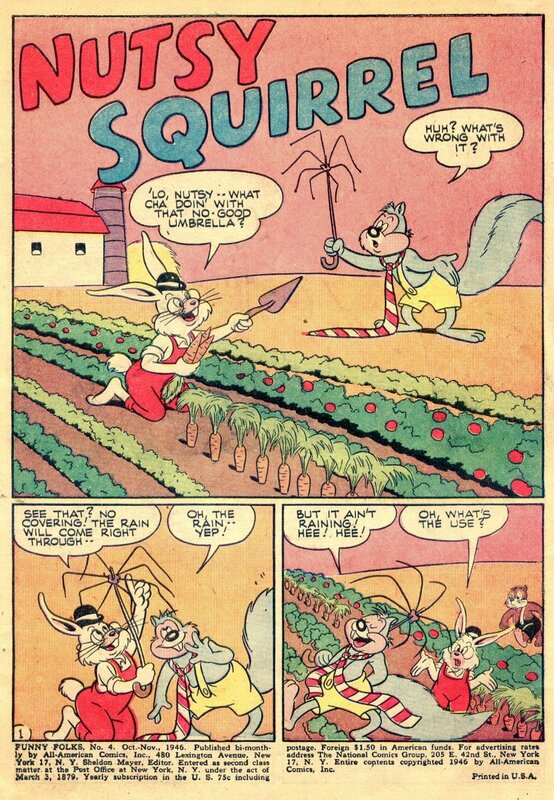 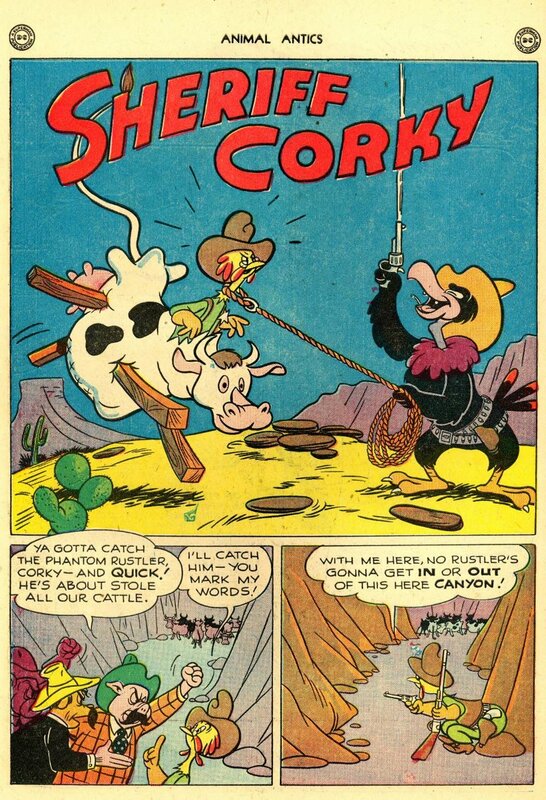 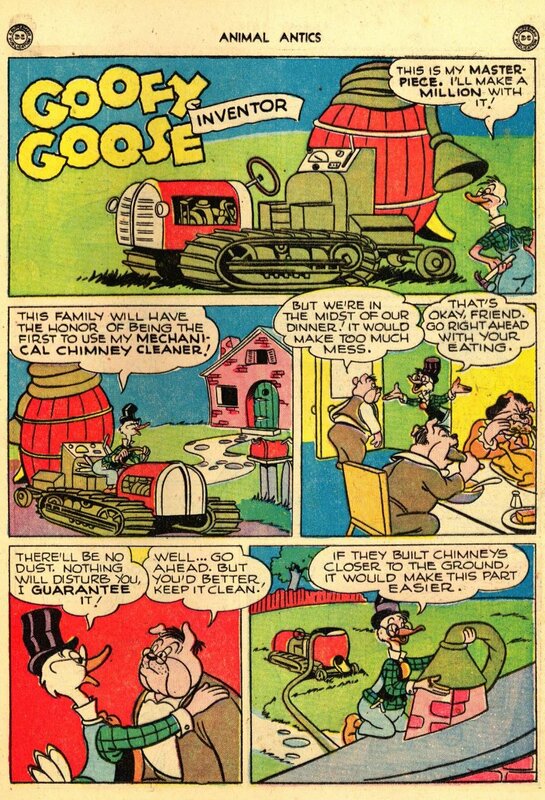 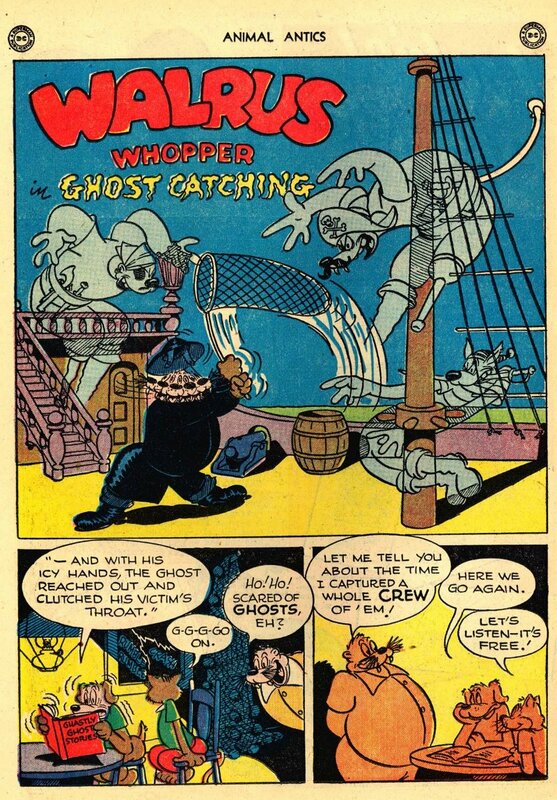 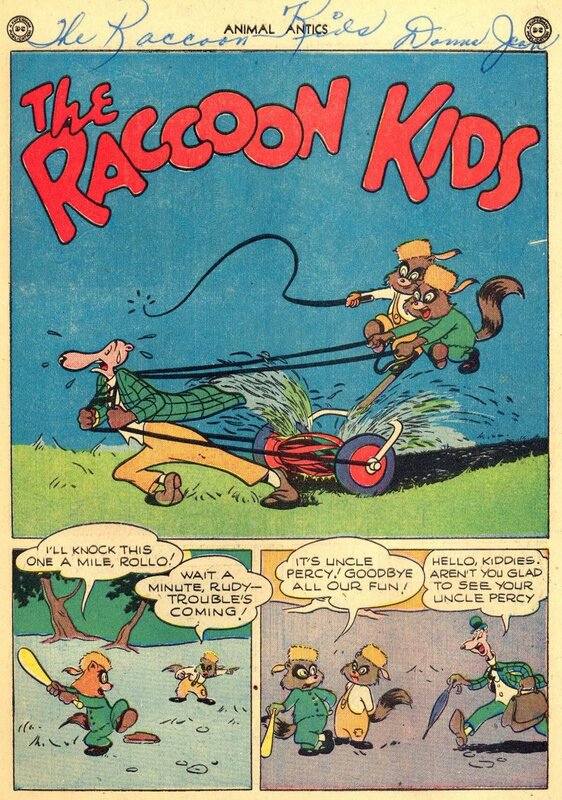 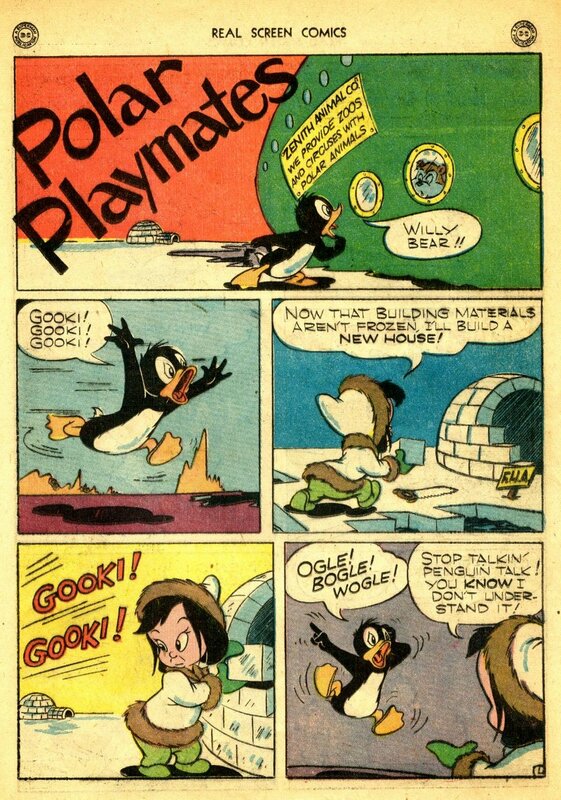 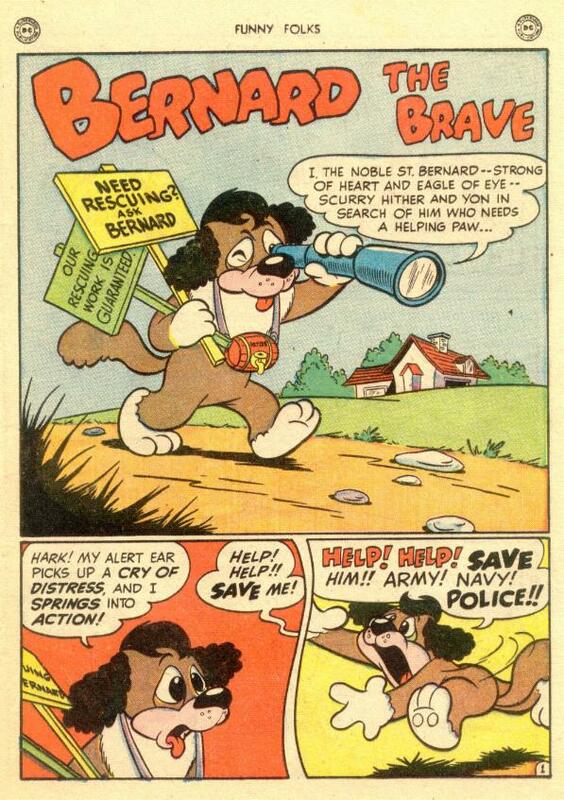 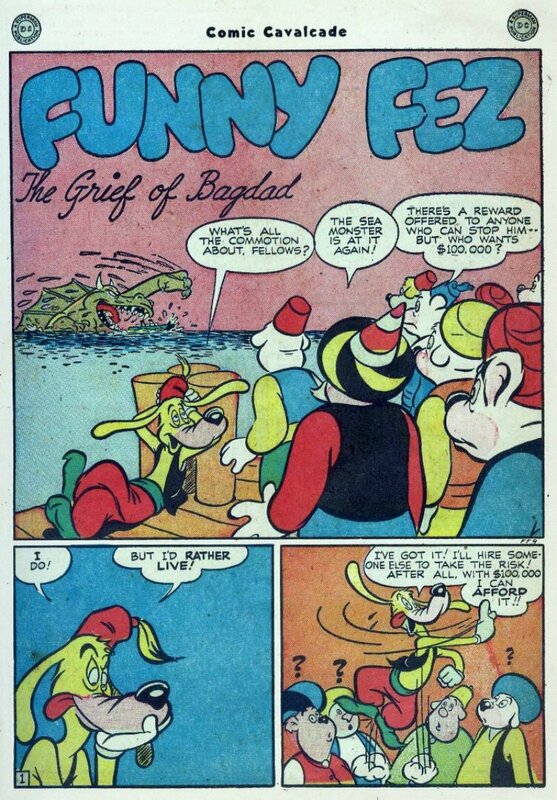 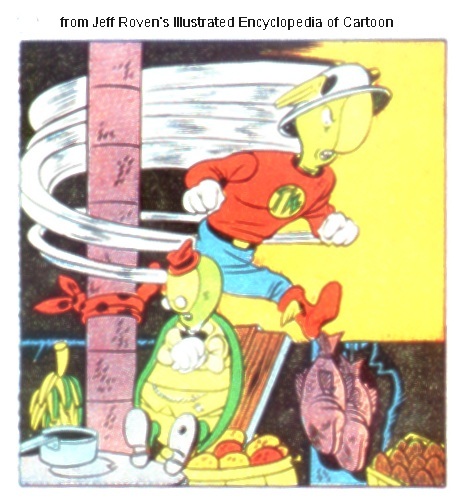 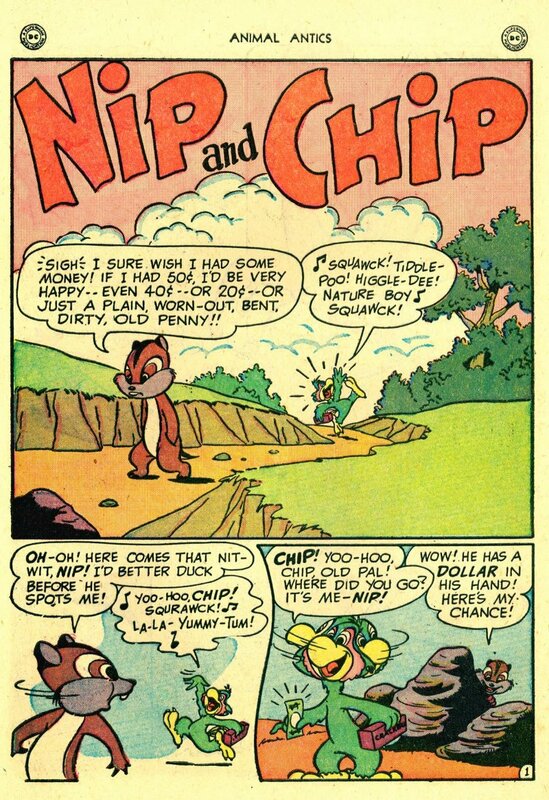 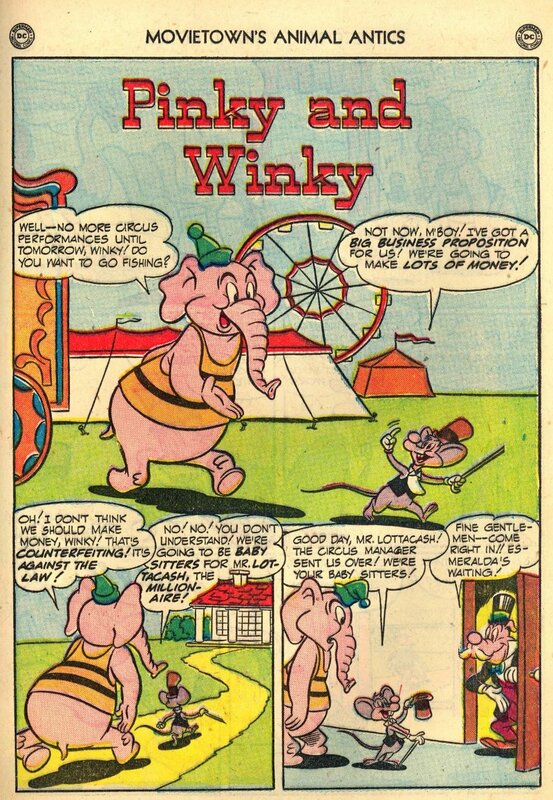 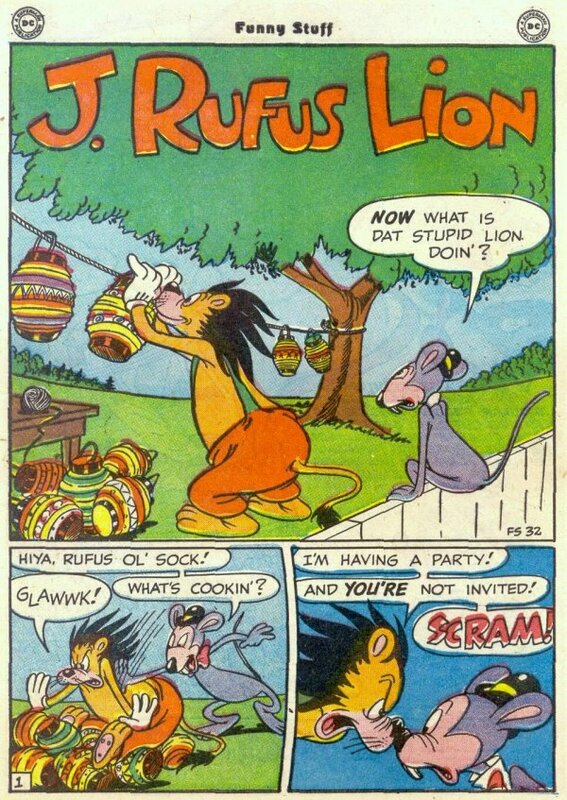 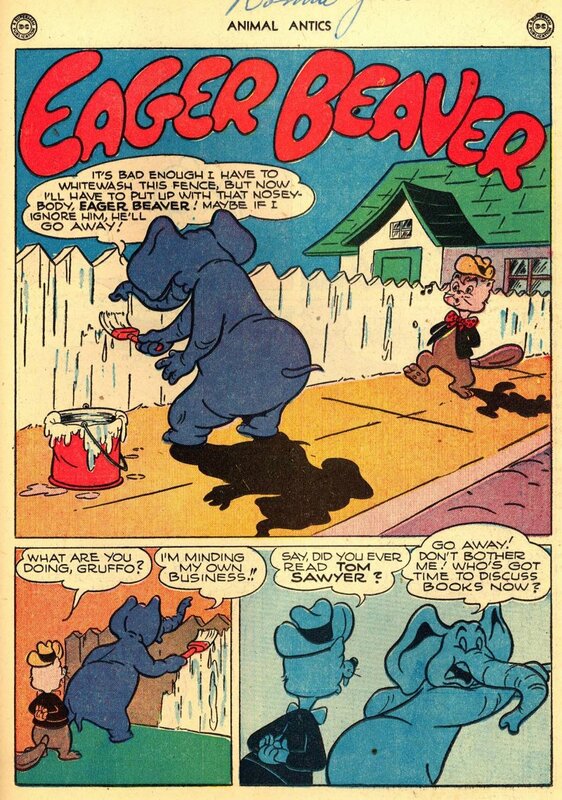 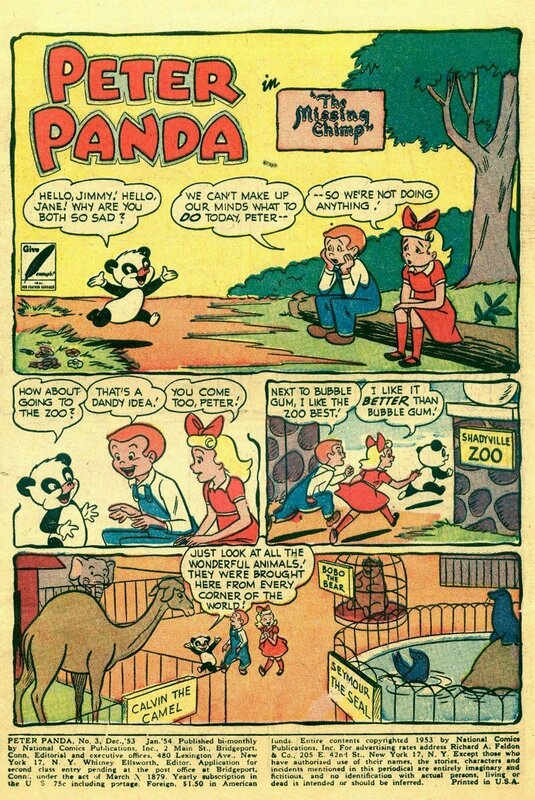 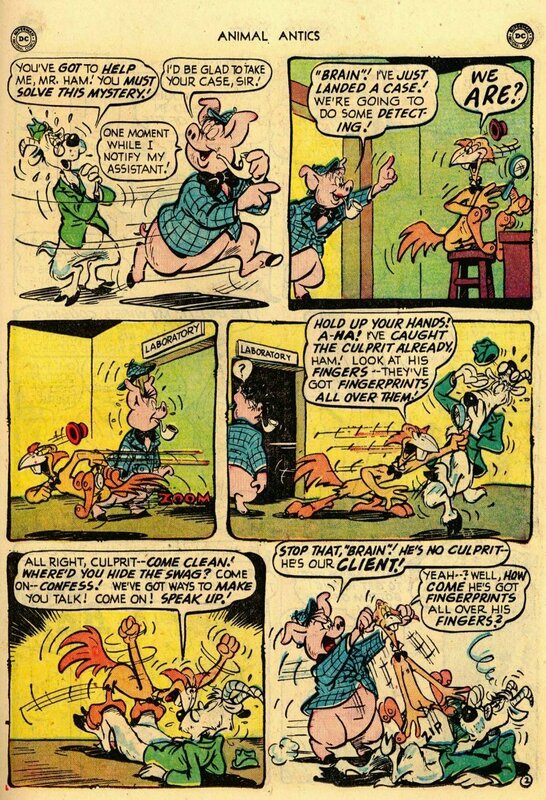 created by Bob Wickersham for Screen Gems cartoons in 1945. 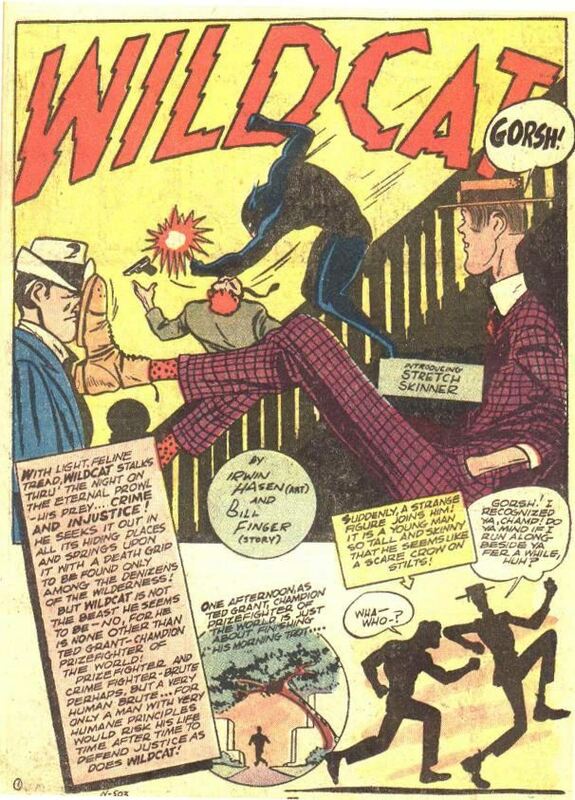 Wildcat villain. 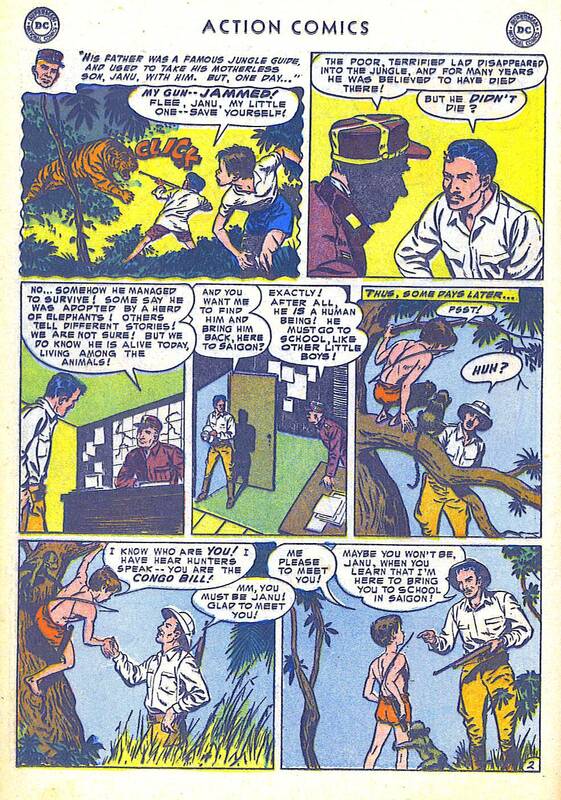 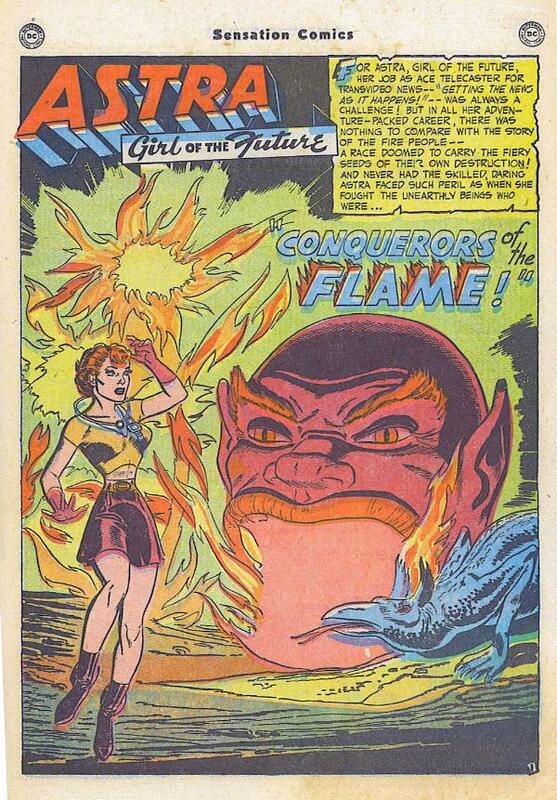 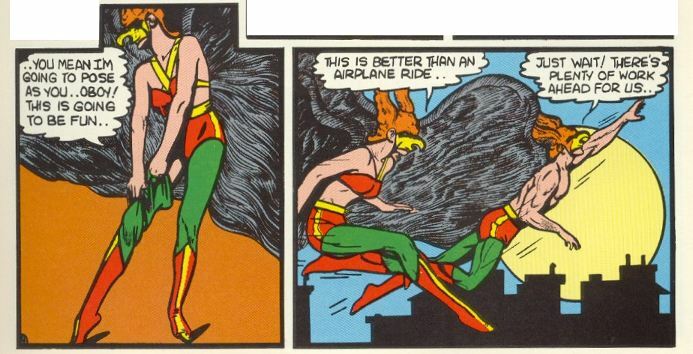 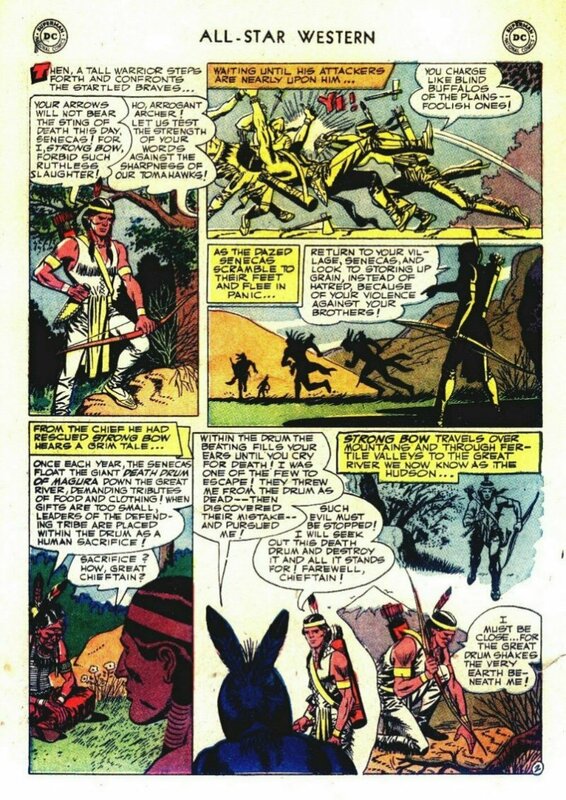 Was this character given a civilian name before Roy Thomas retconned her as the Tigress? 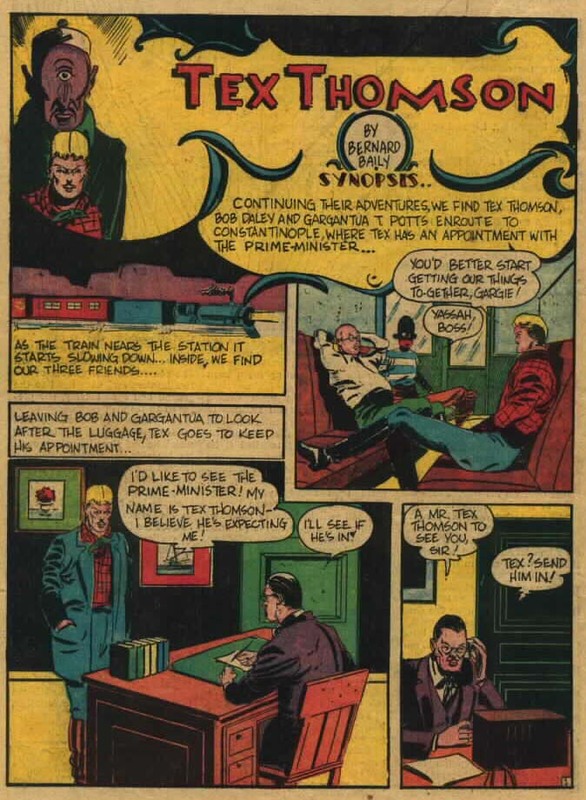 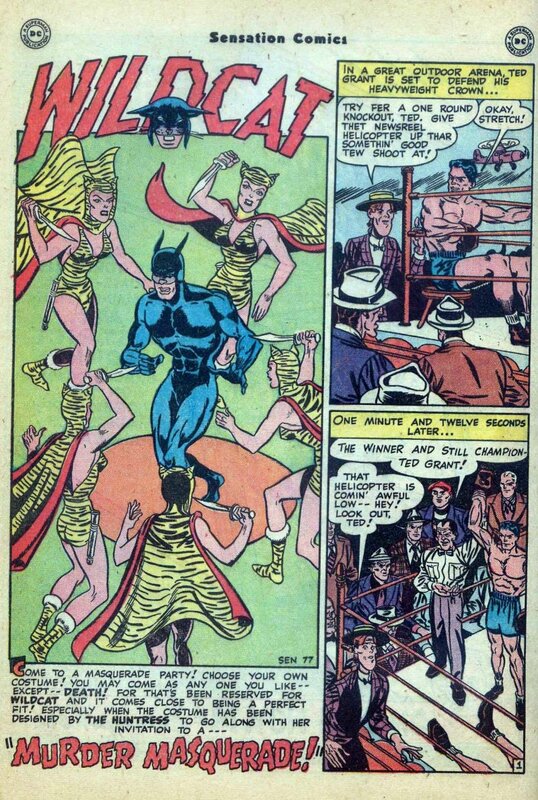 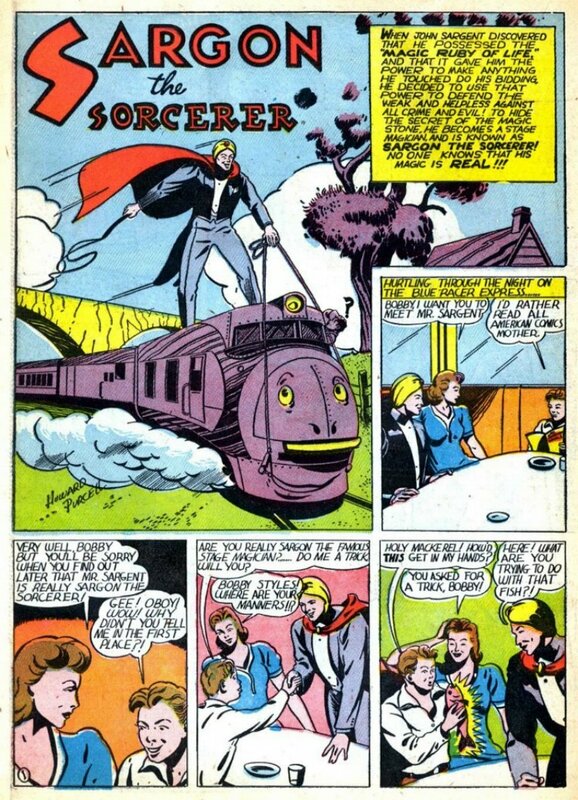 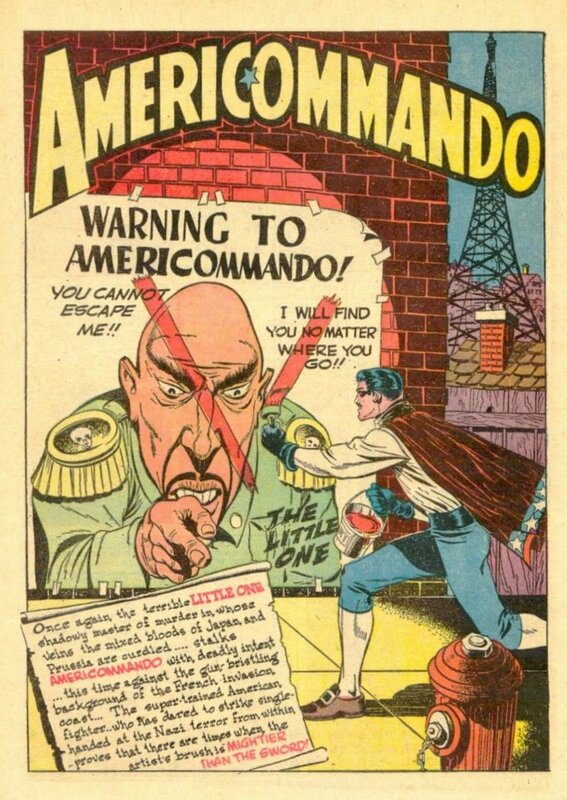 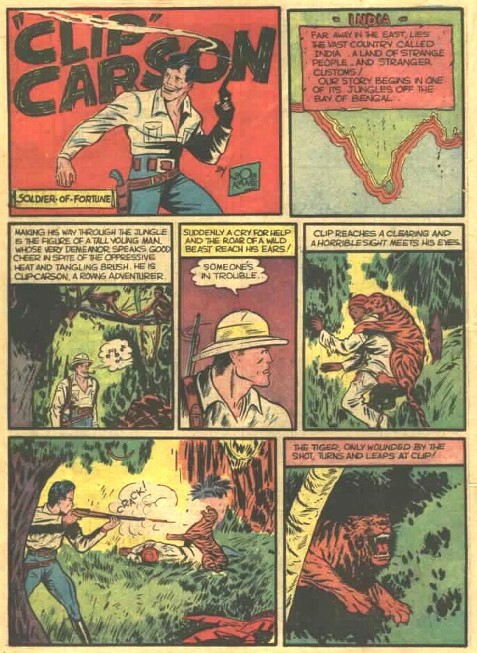 This is not the same Don Cameron who wrote Batman, Superman and Liberty Belle. 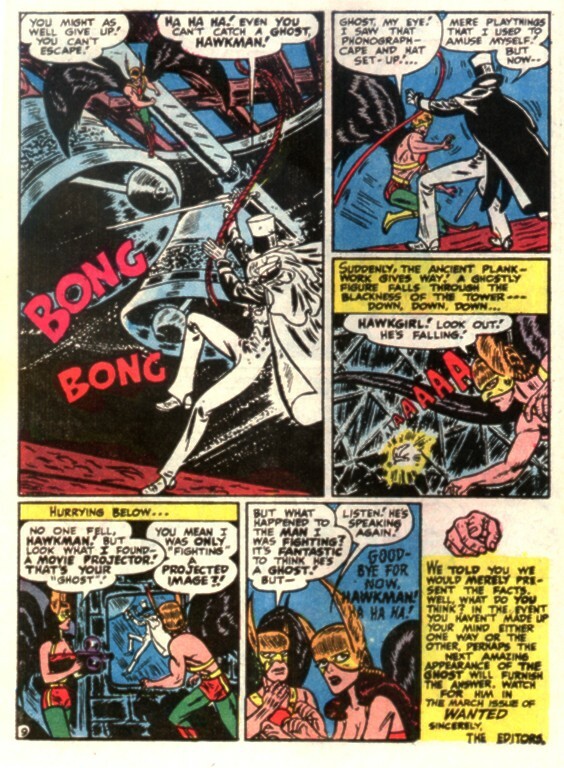 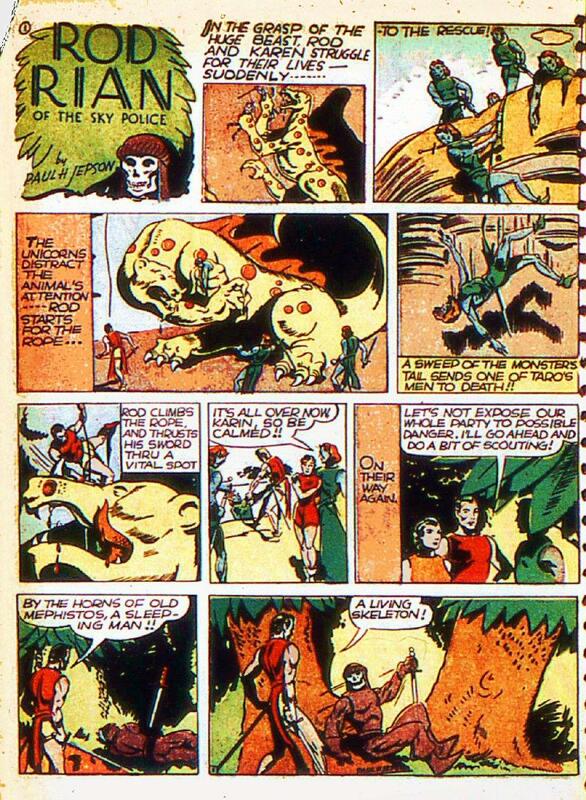 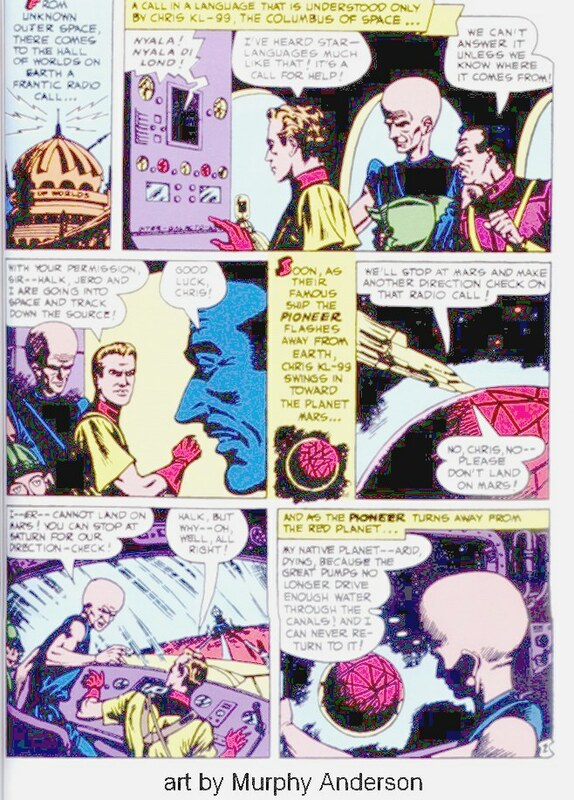 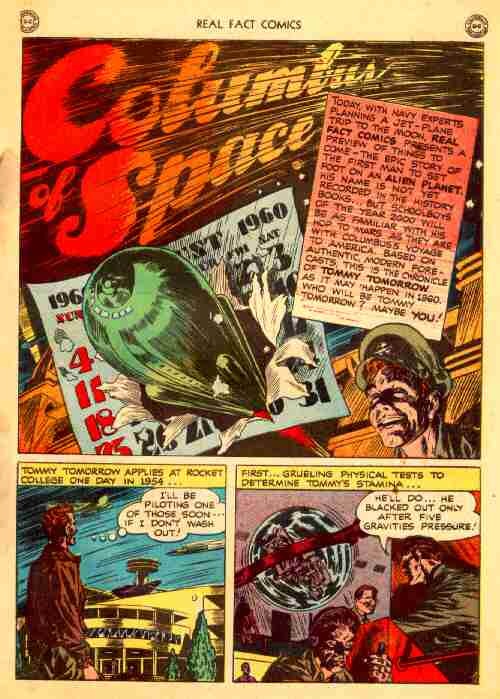 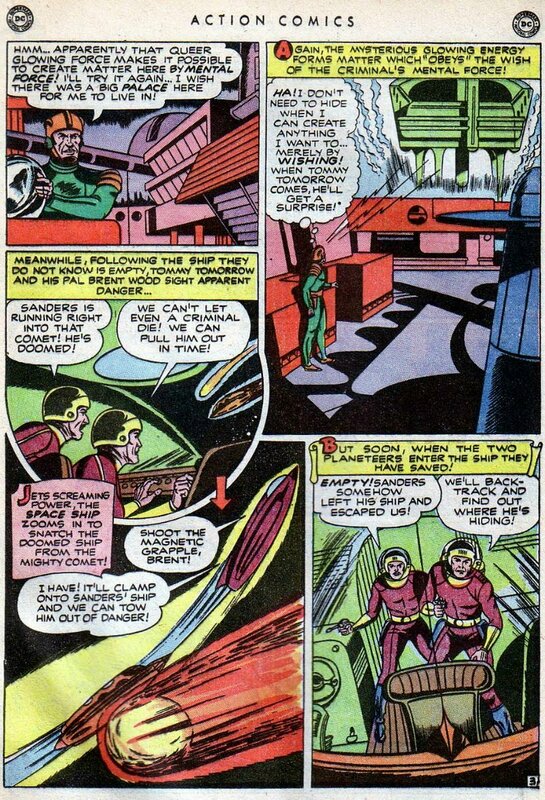 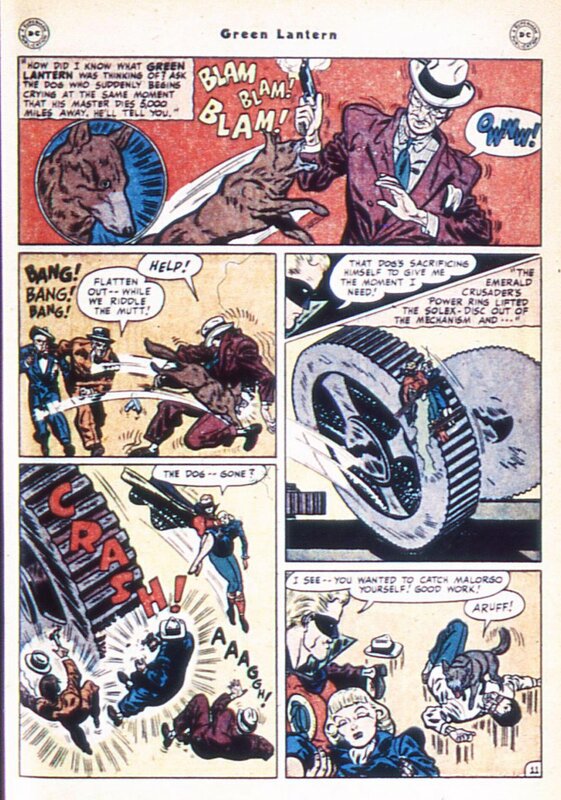 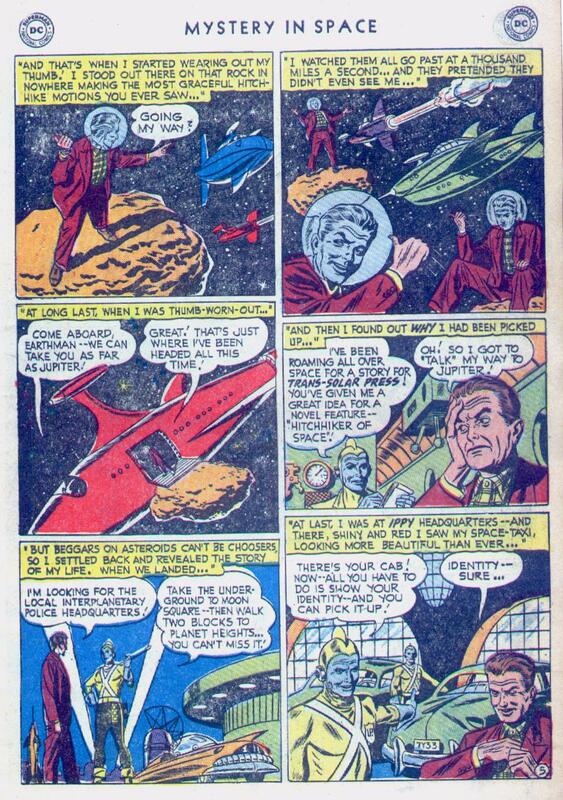 Jack Burnley credits Alfred Bester with writing this story (see Starman). 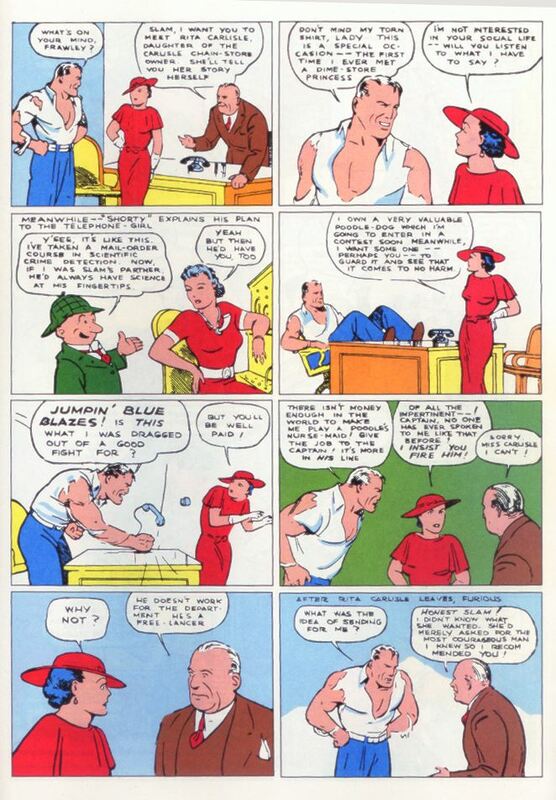 Red Dugan, Whitey Smith, and Blooey Blue. 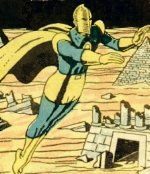 The identity of the writer of the first Starman story has not been definitively established. 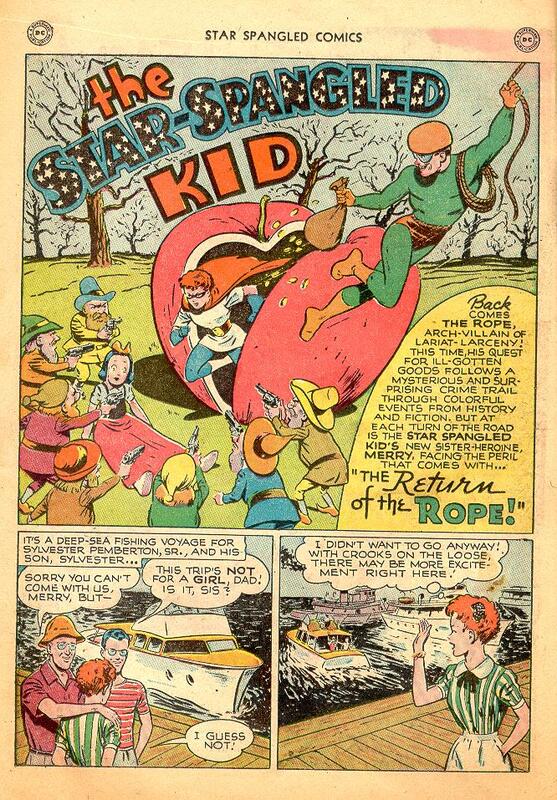 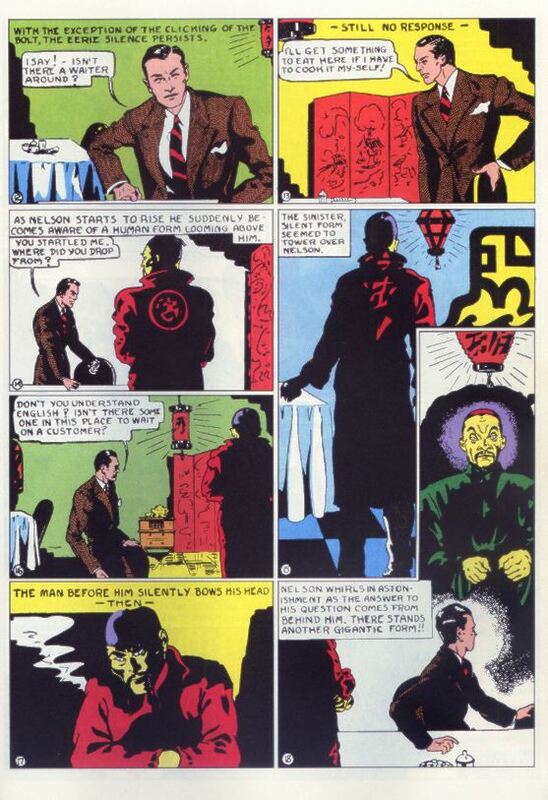 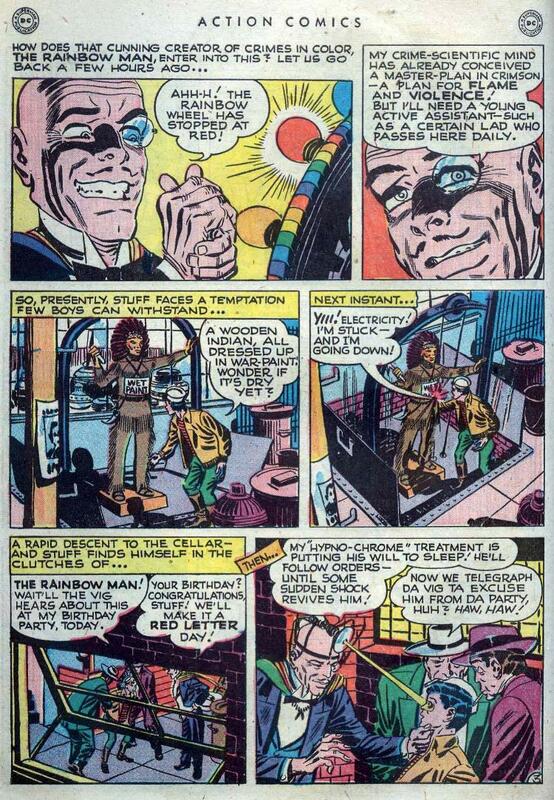 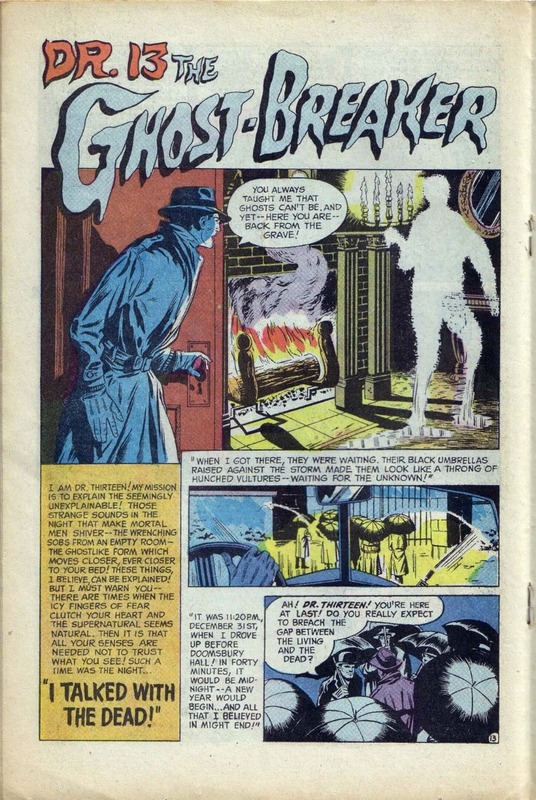 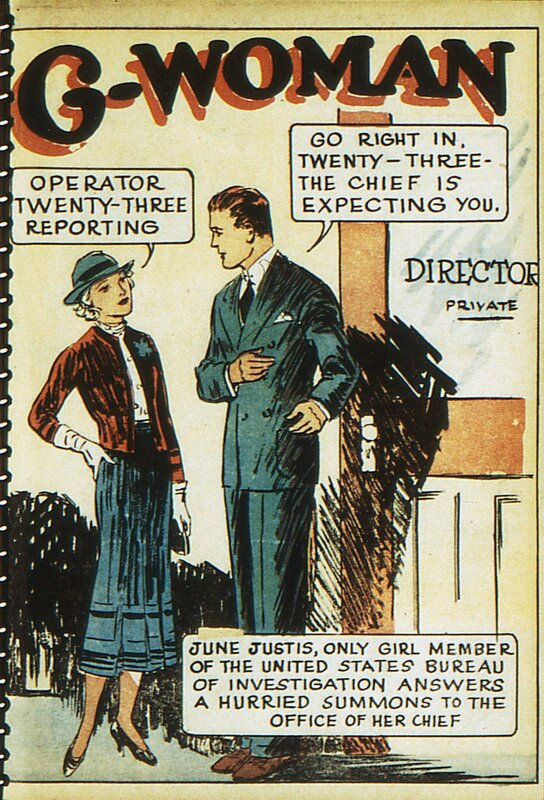 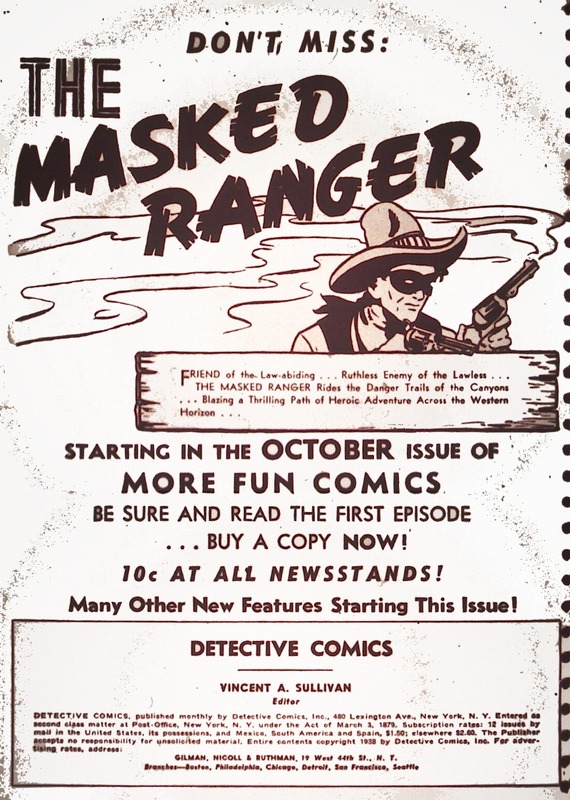 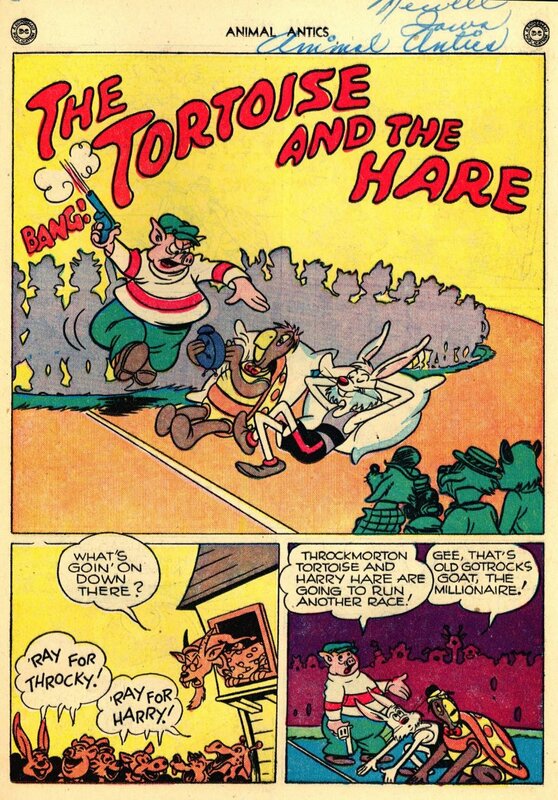 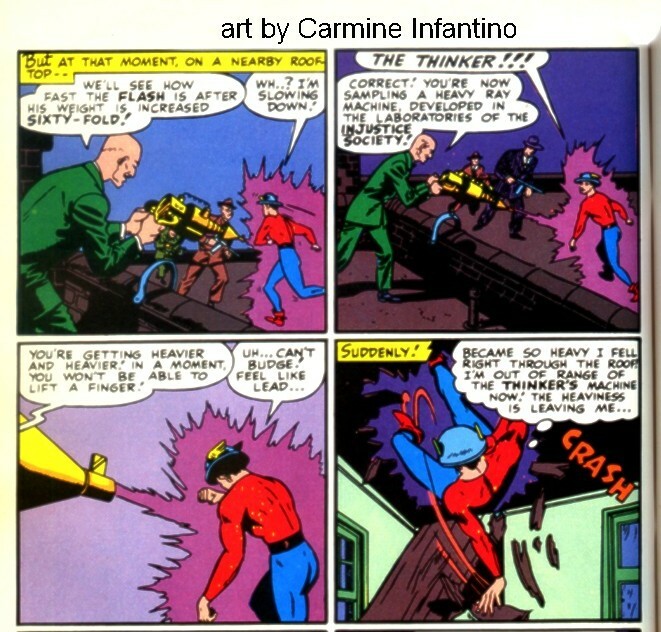 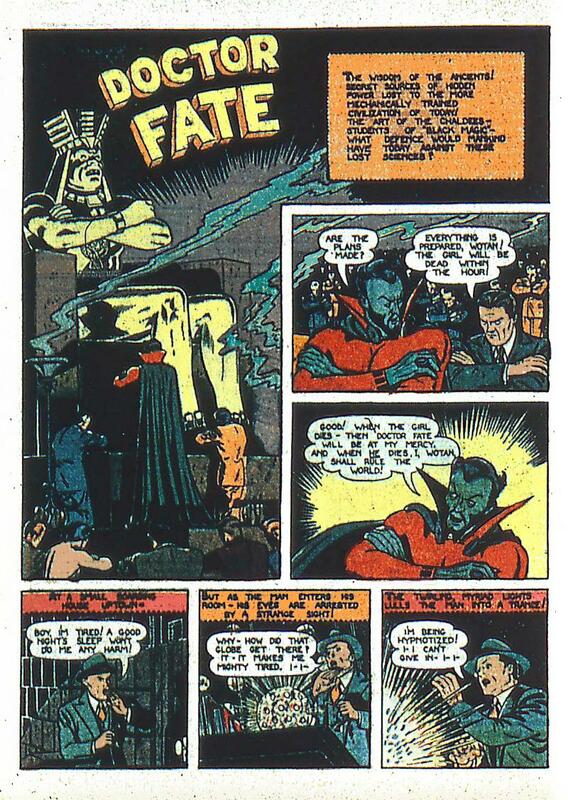 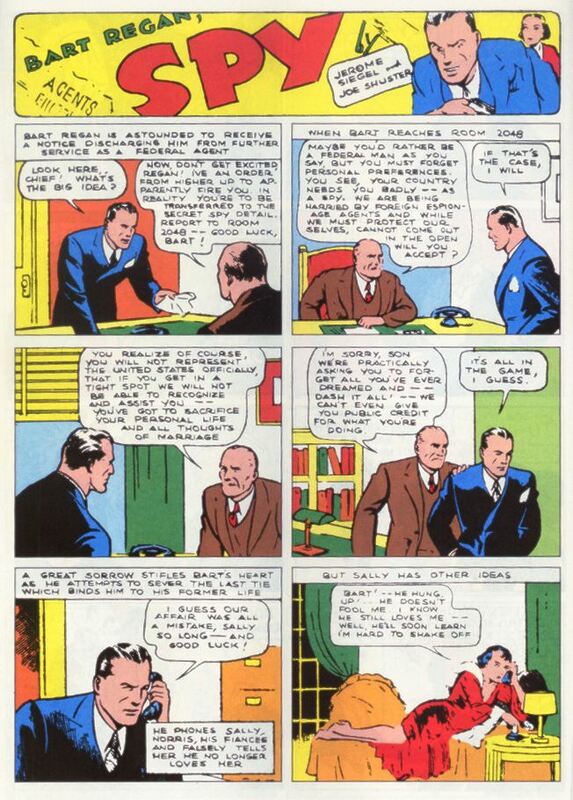 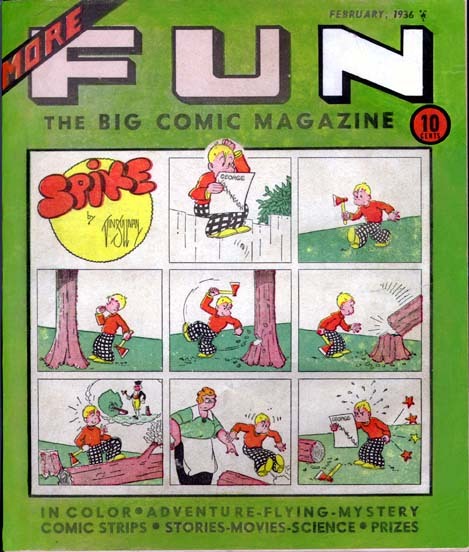 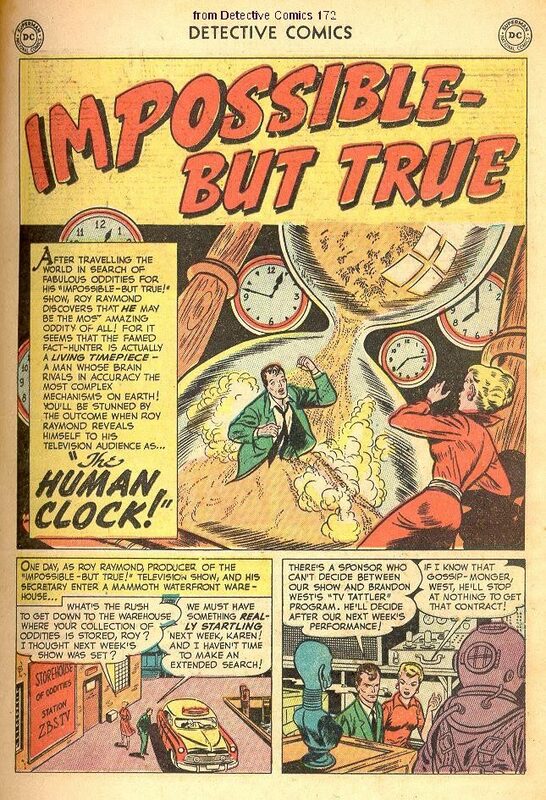 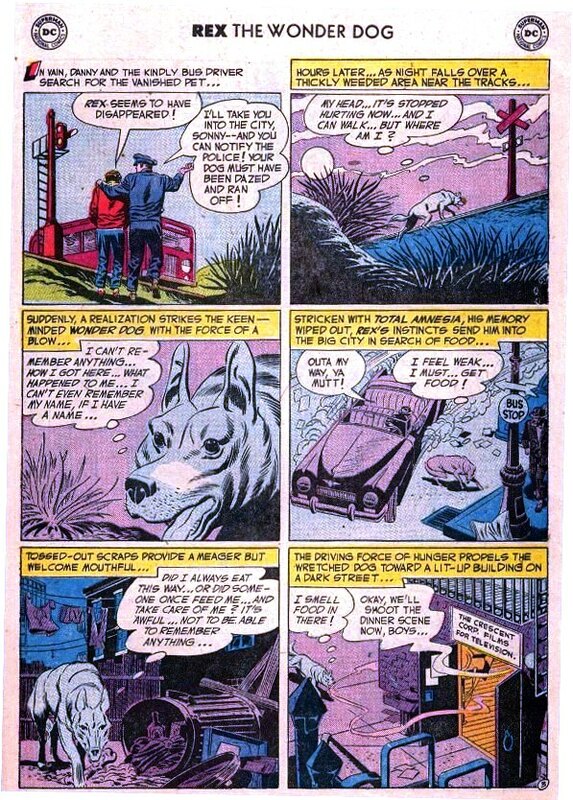 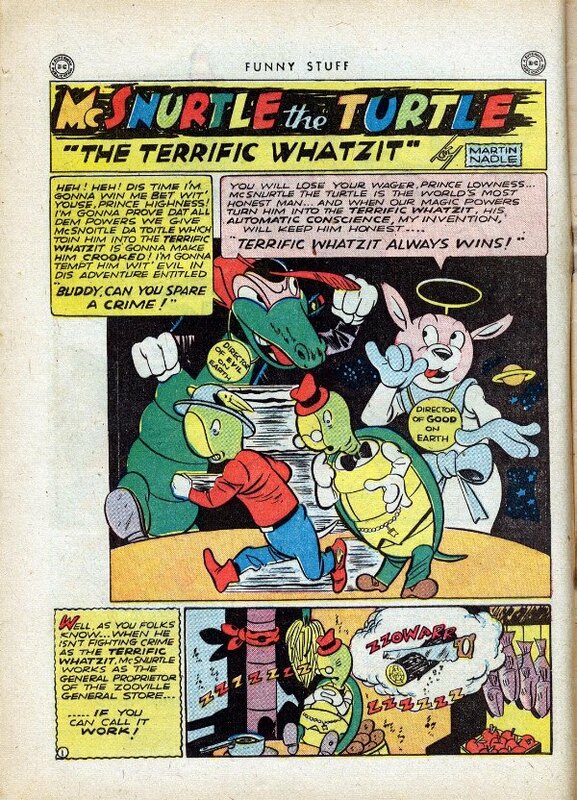 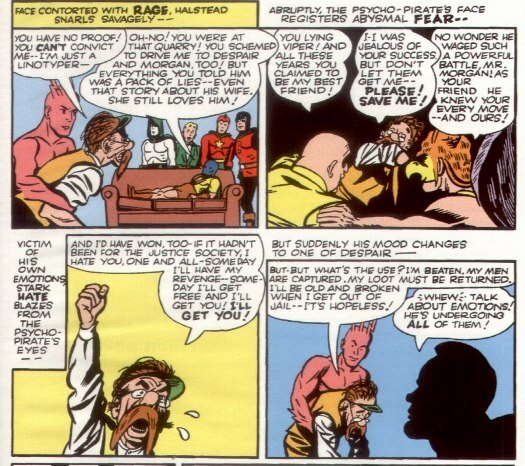 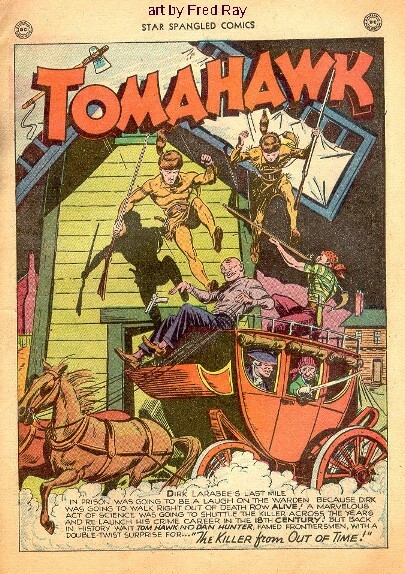 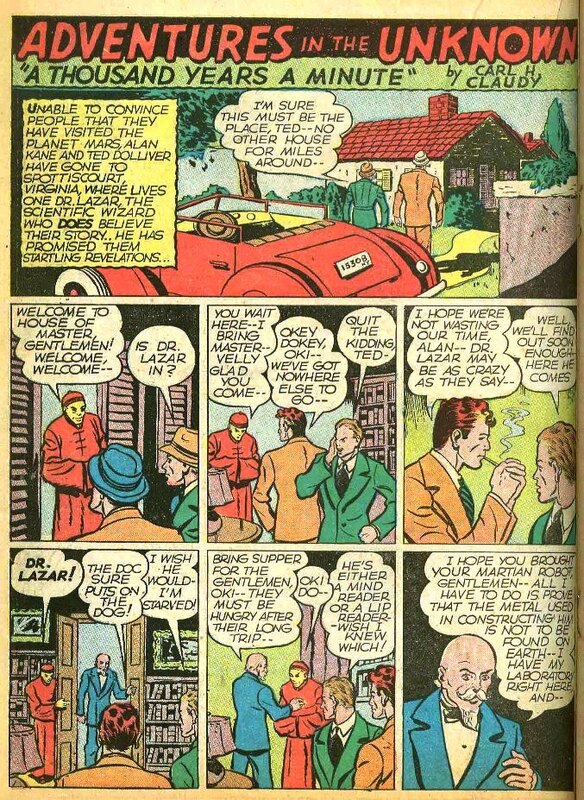 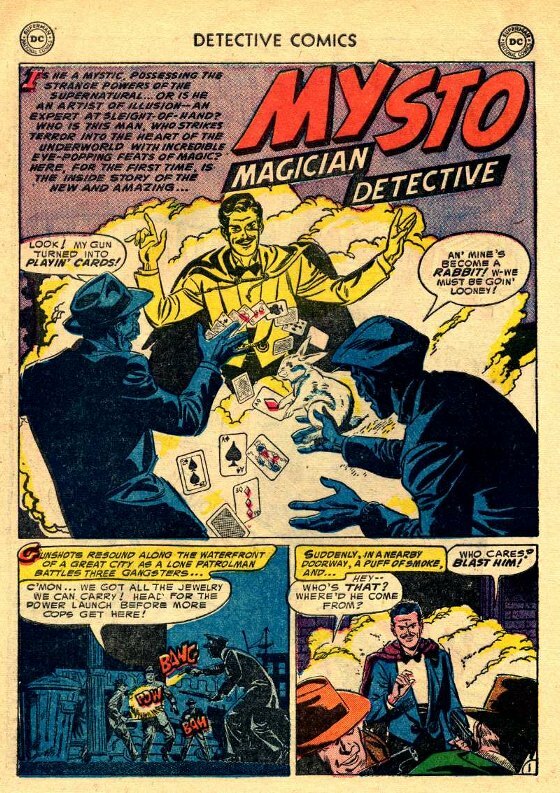 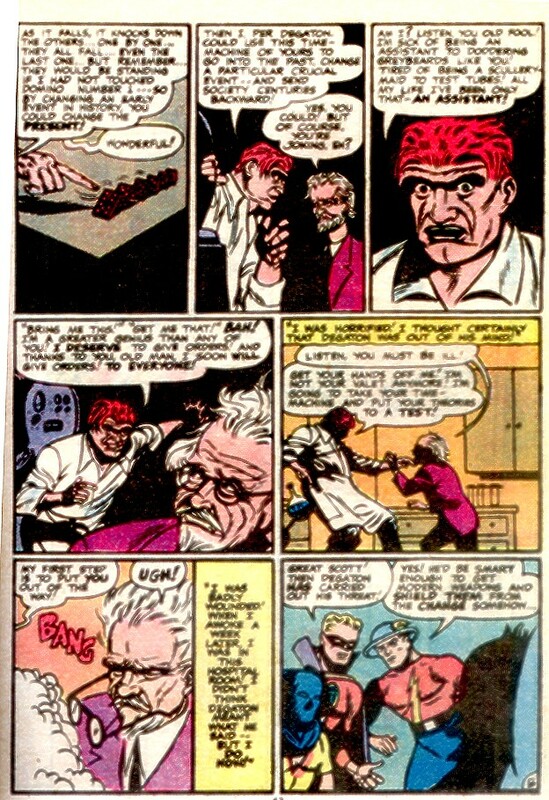 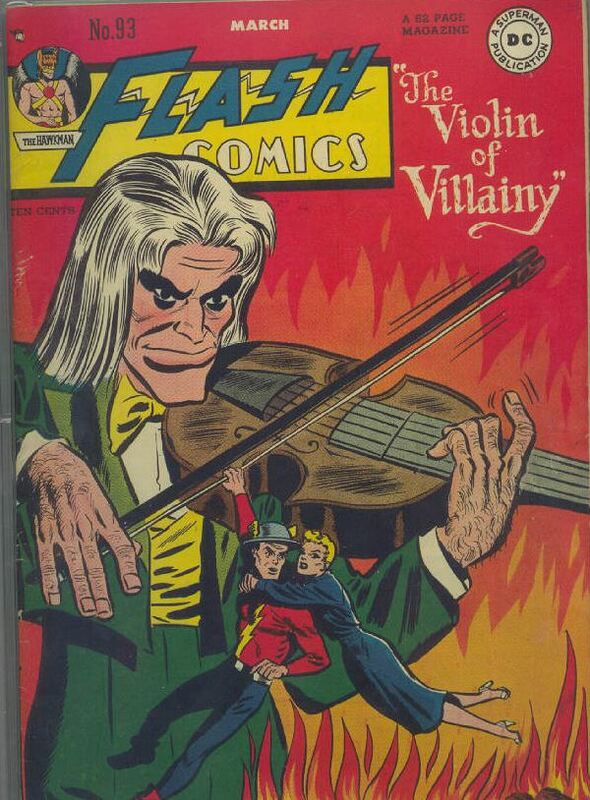 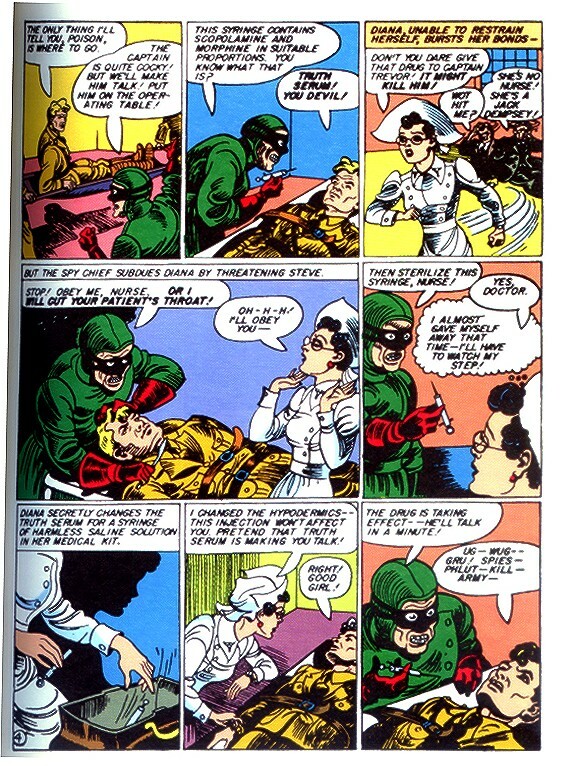 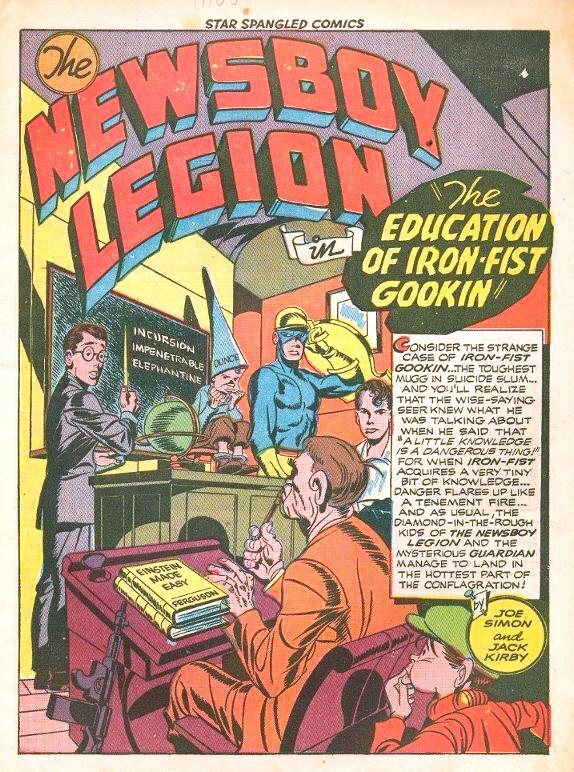 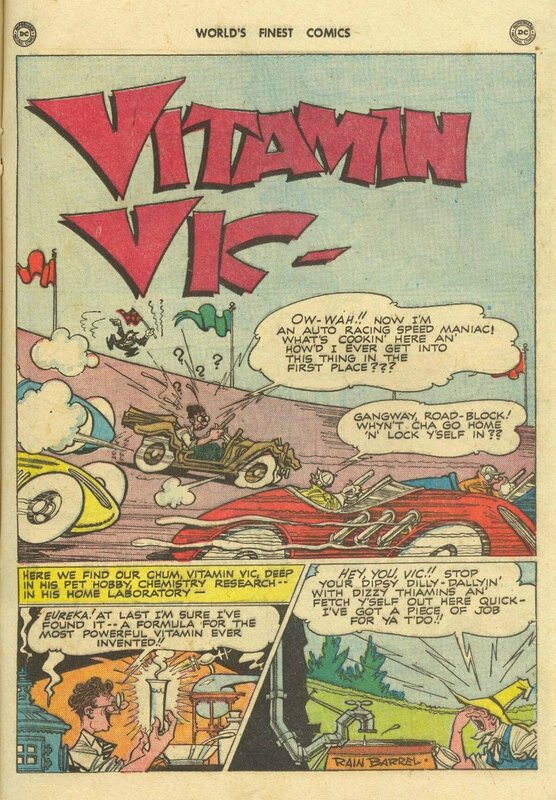 Jack Burnley has stated that it was not Gardner Fox,as has long been surmised. 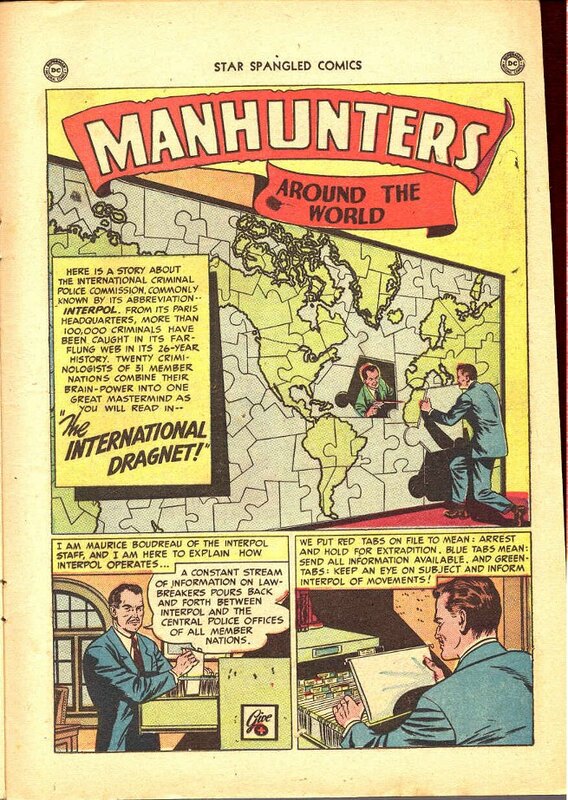 plot by Jack Schiff and Murray Boltinoff?